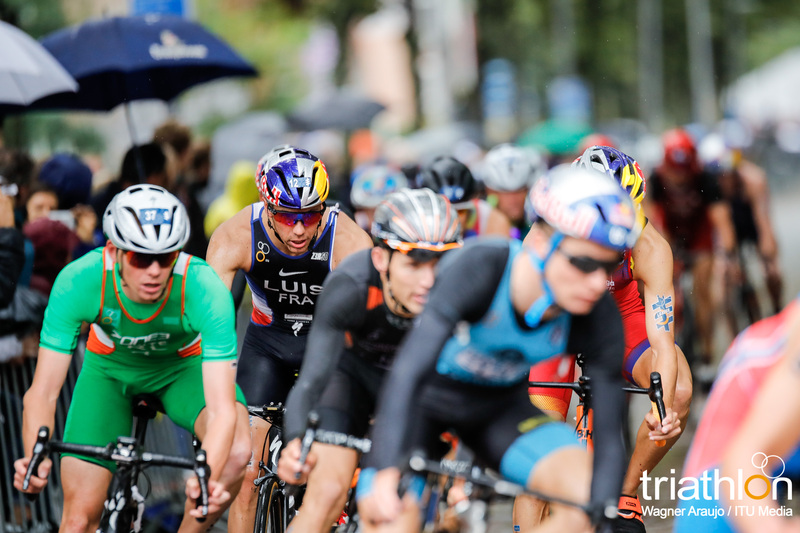 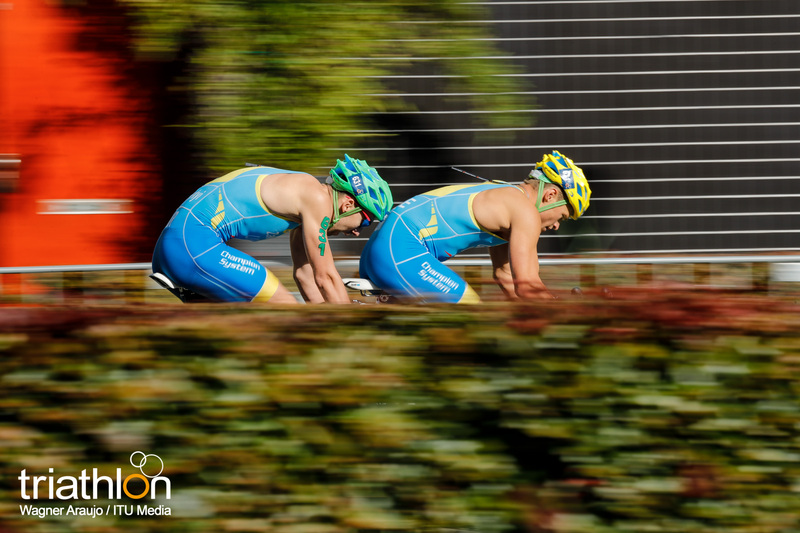 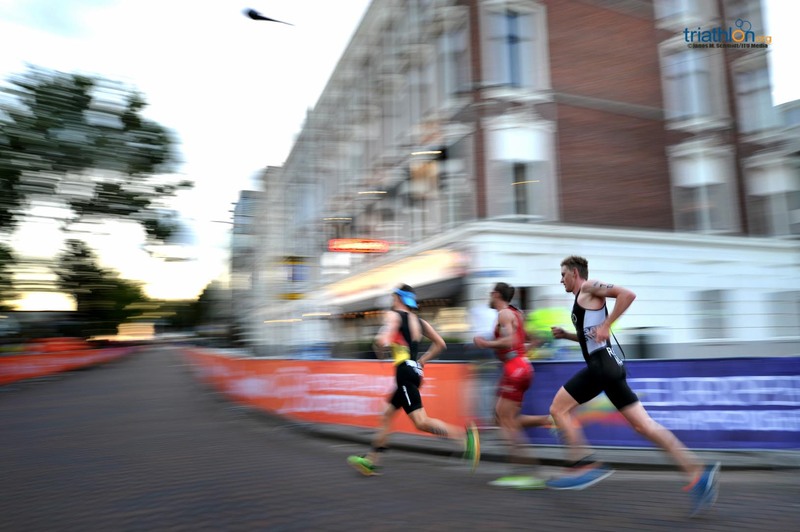 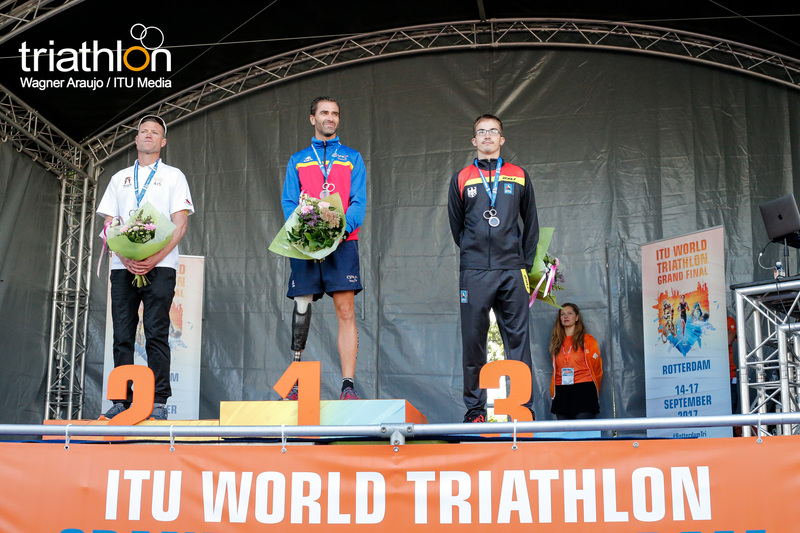 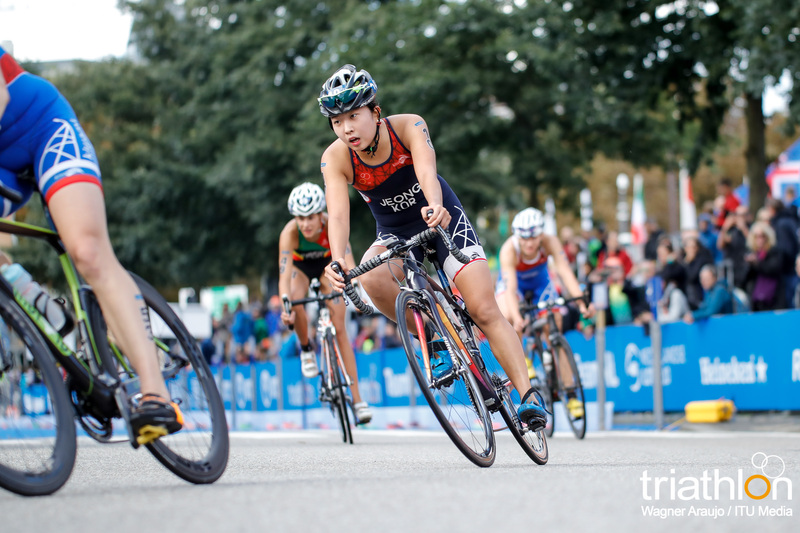 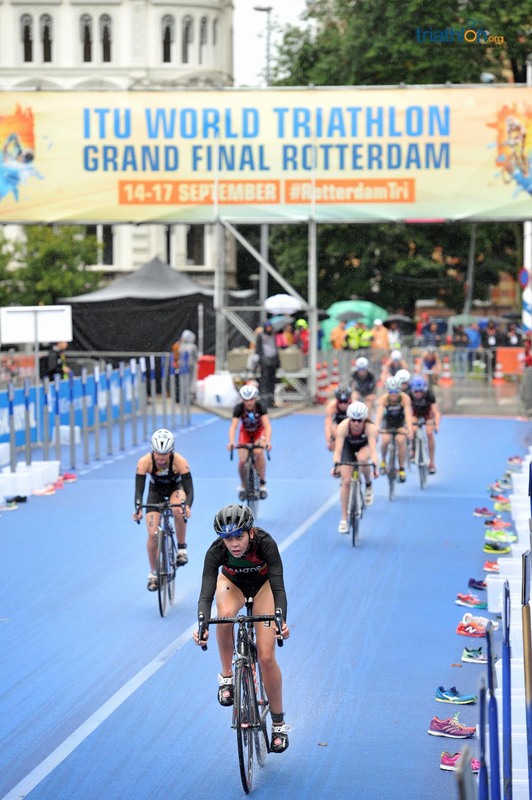 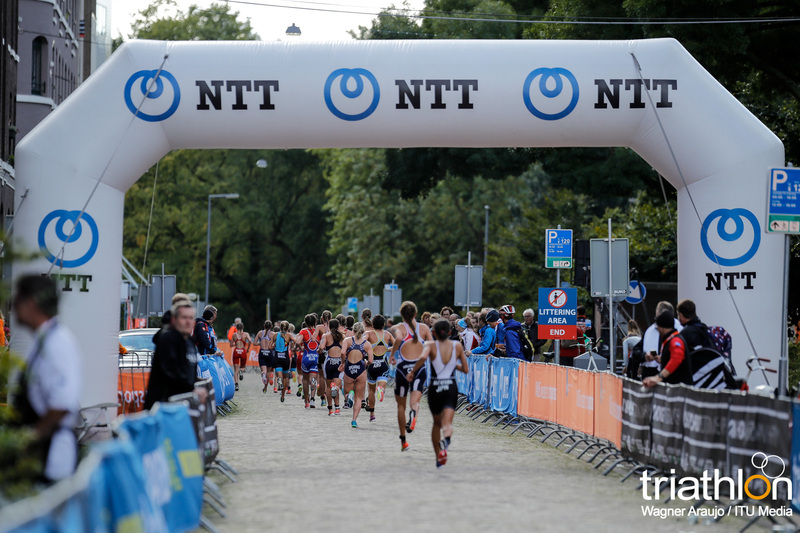 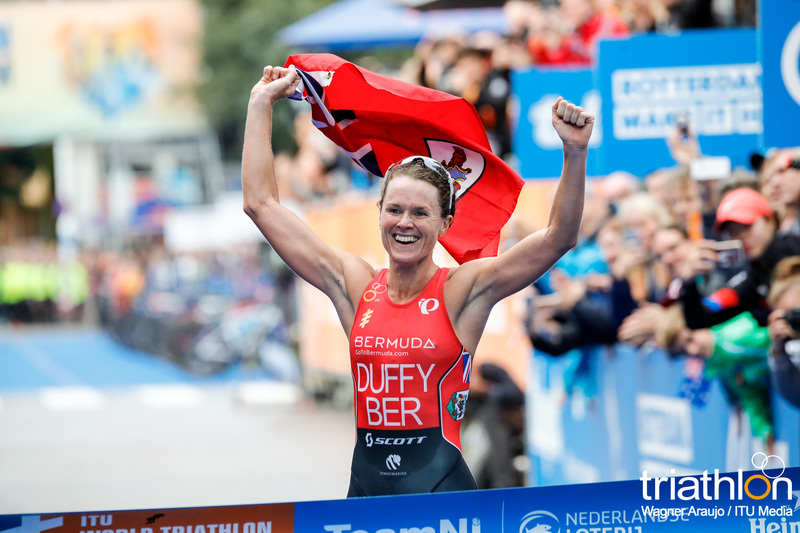 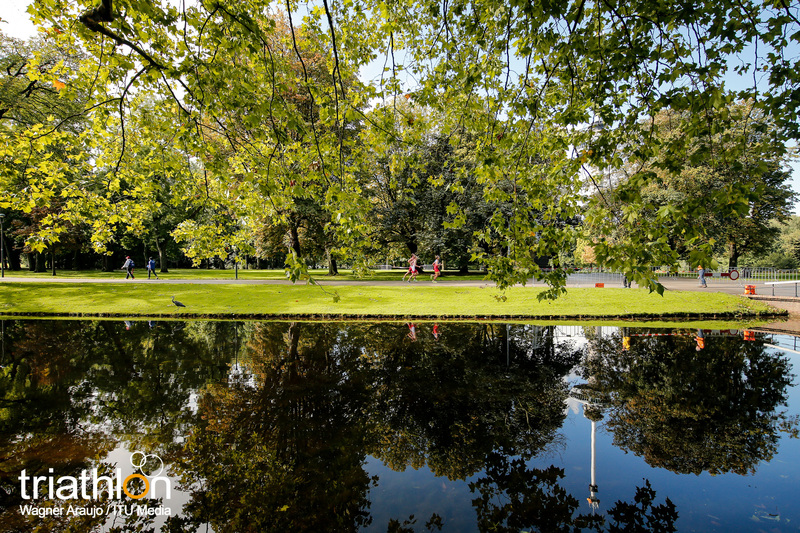 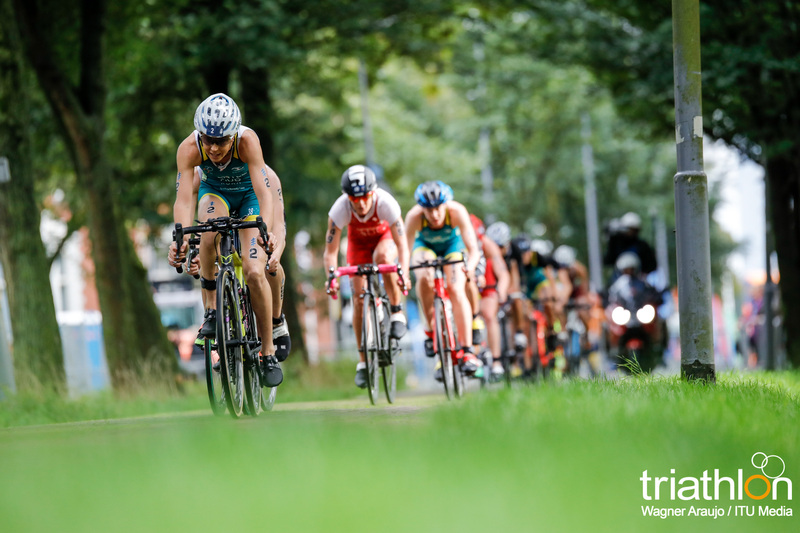 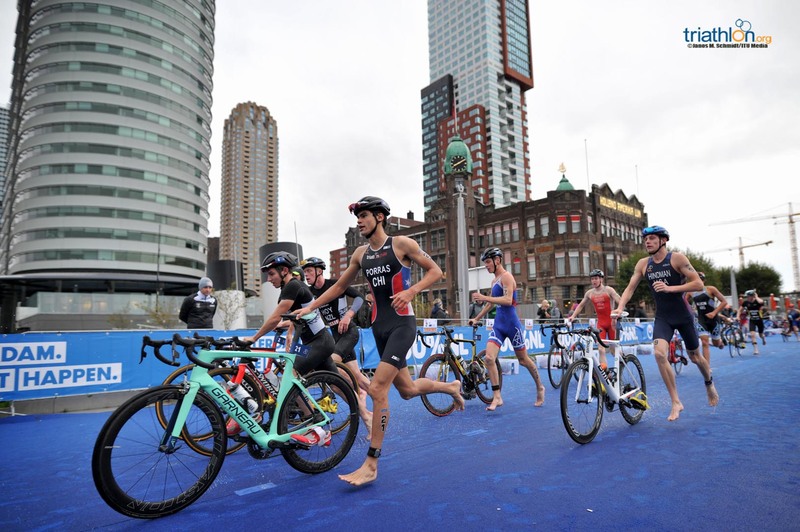 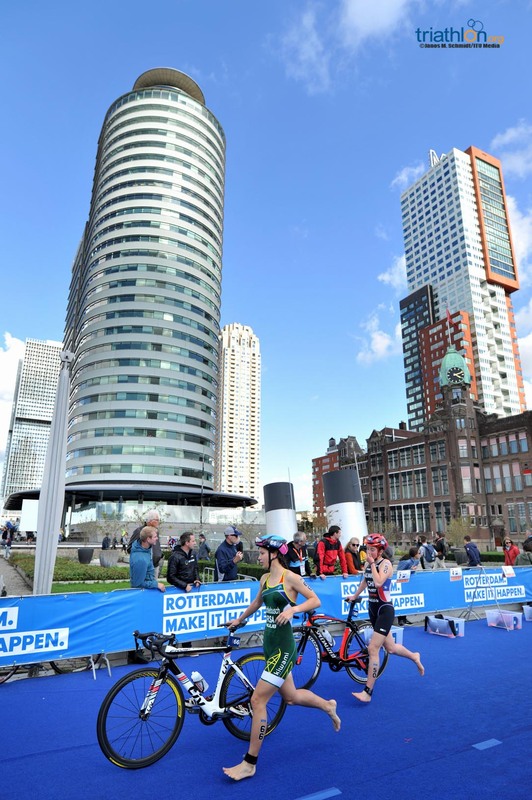 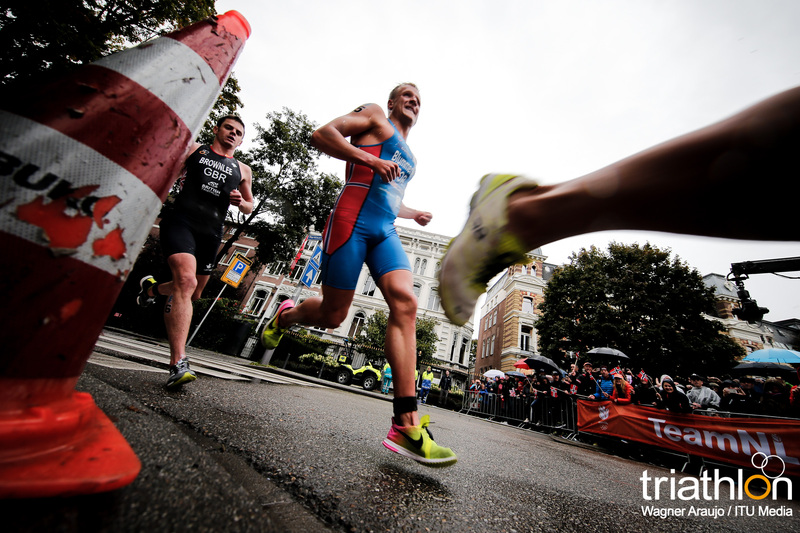 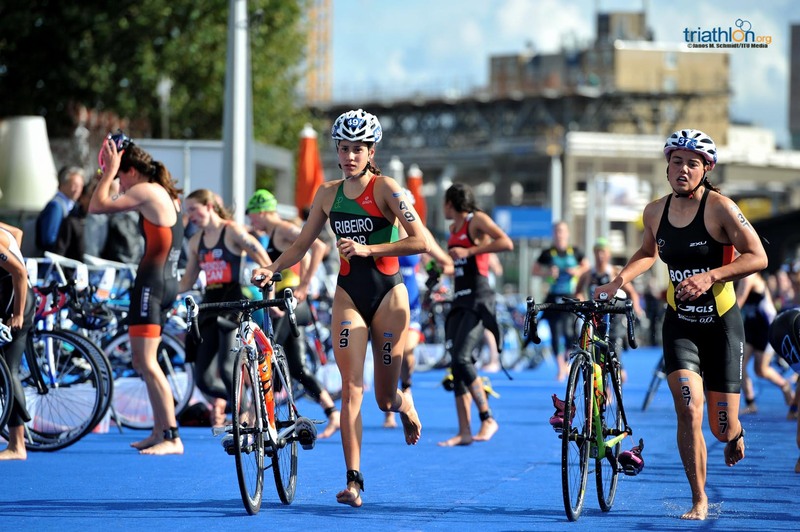 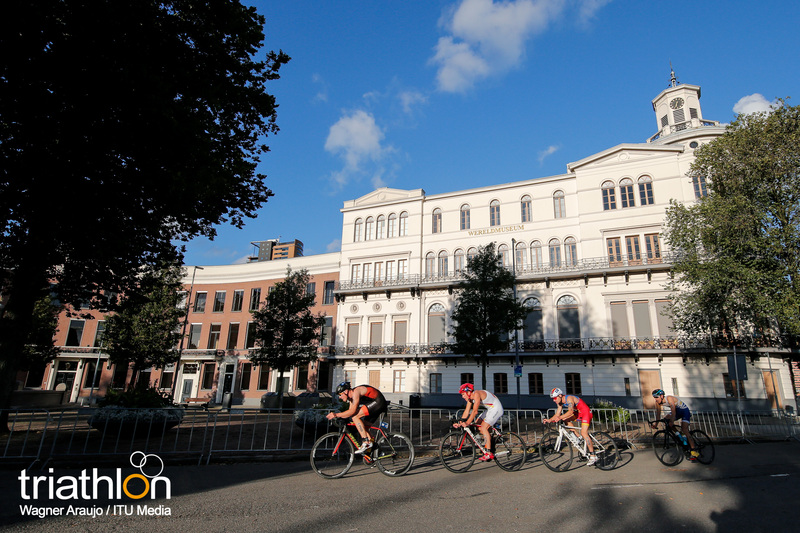 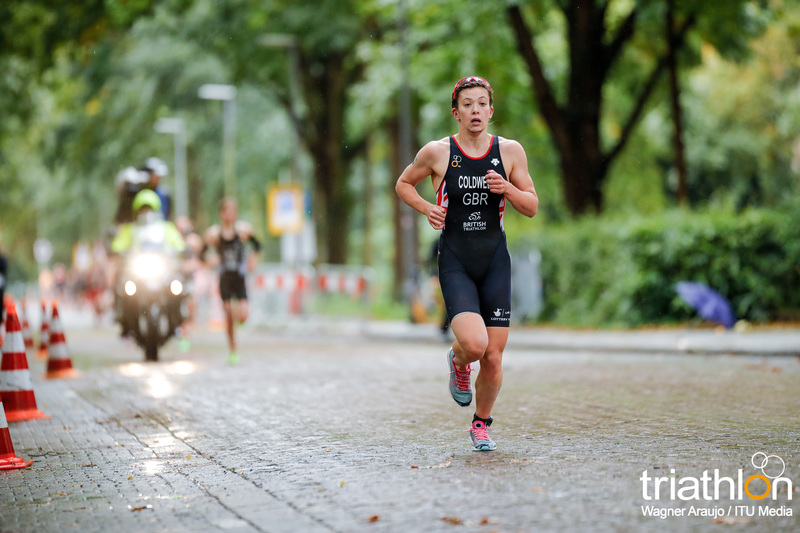 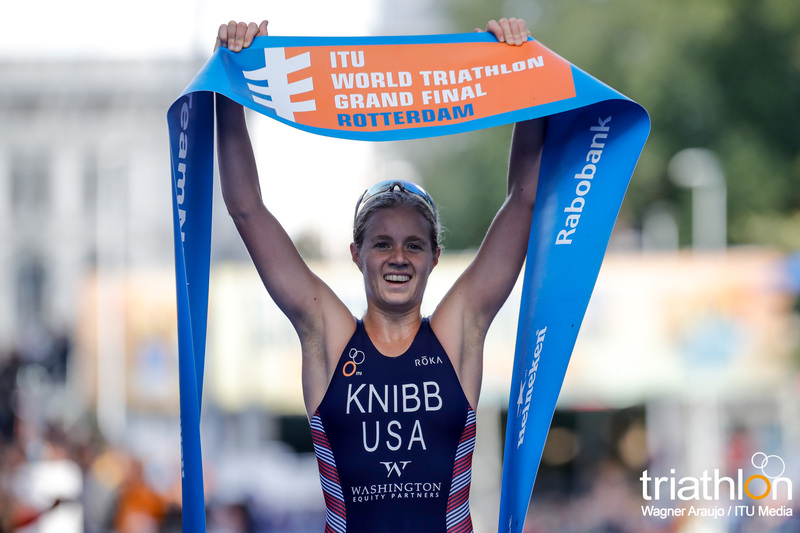 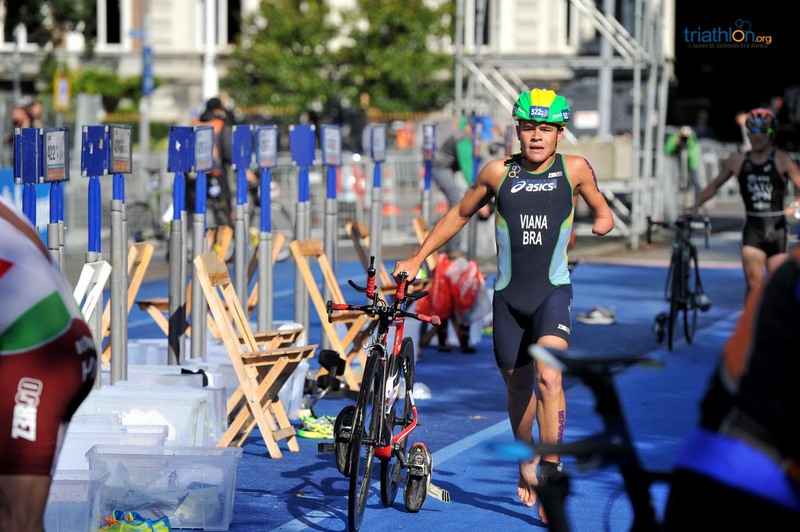 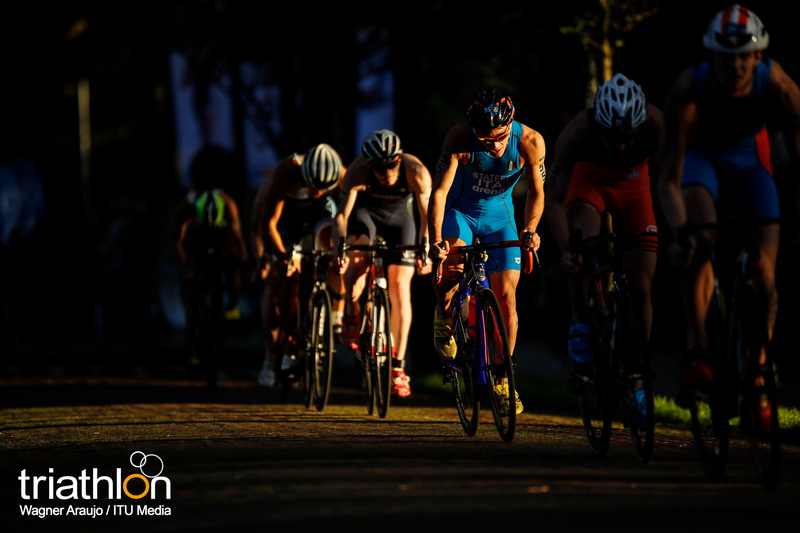 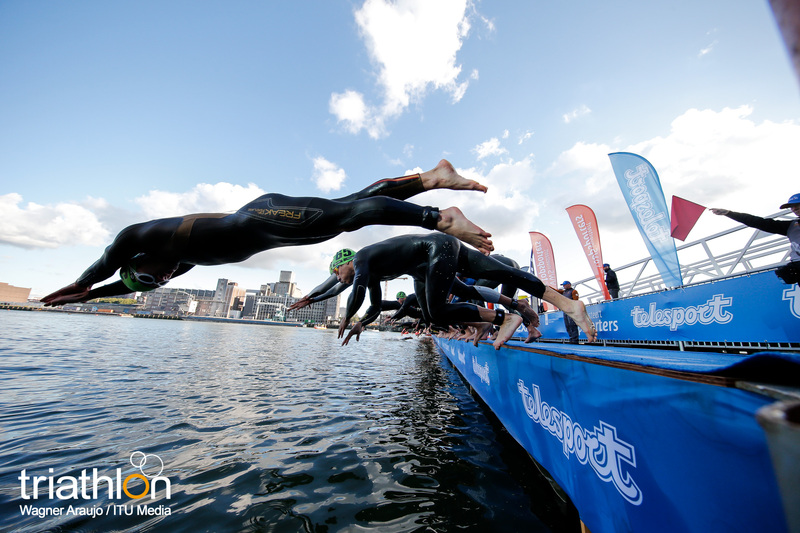 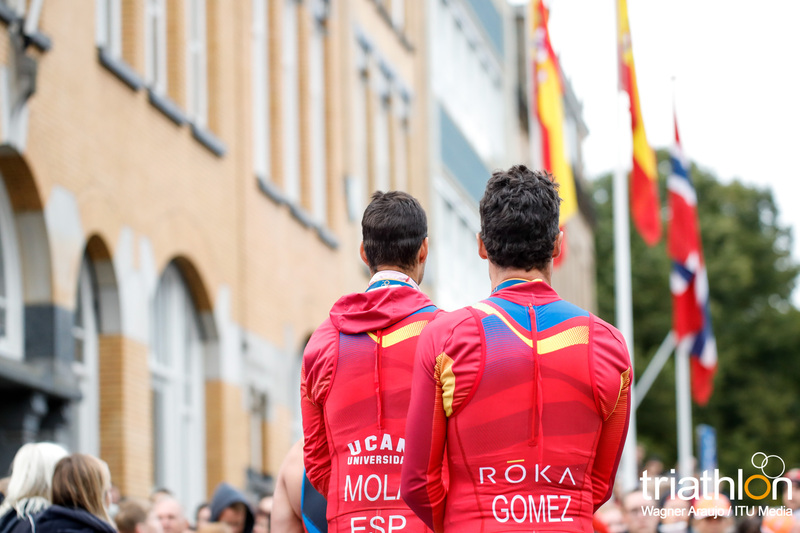 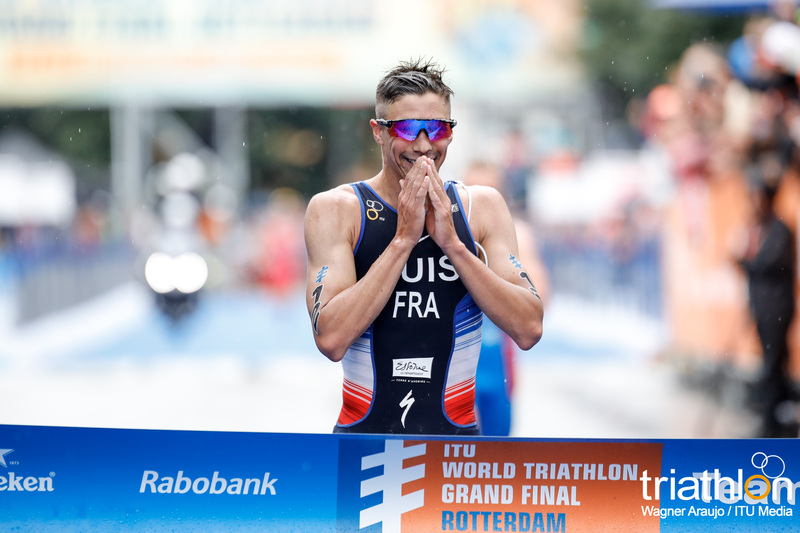 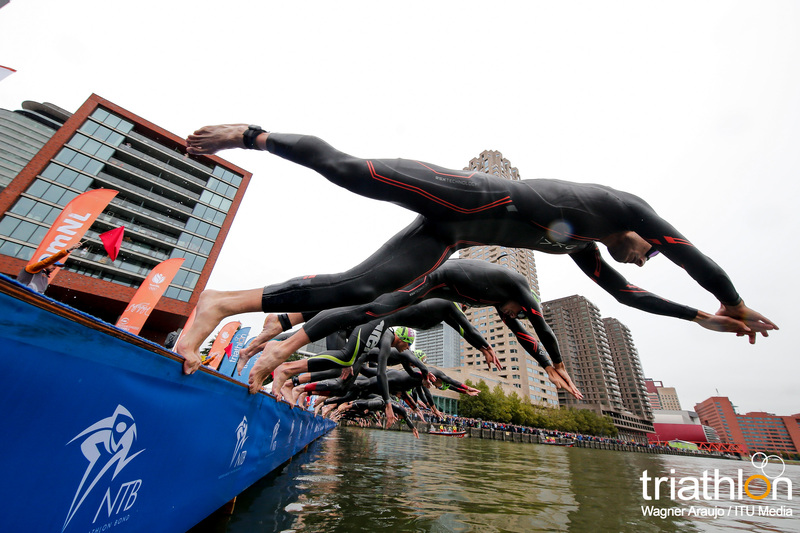 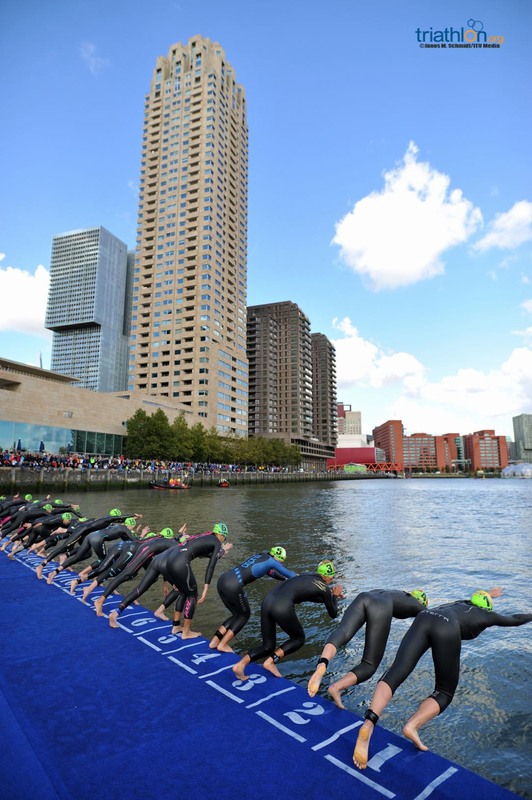 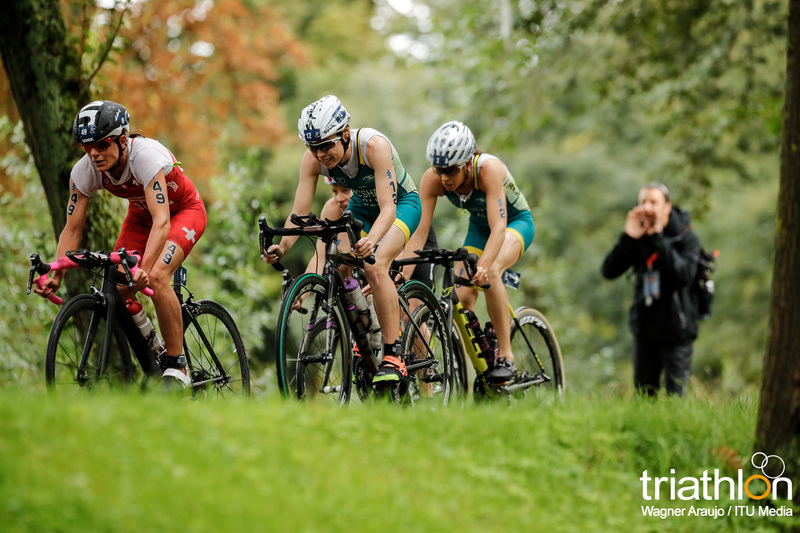 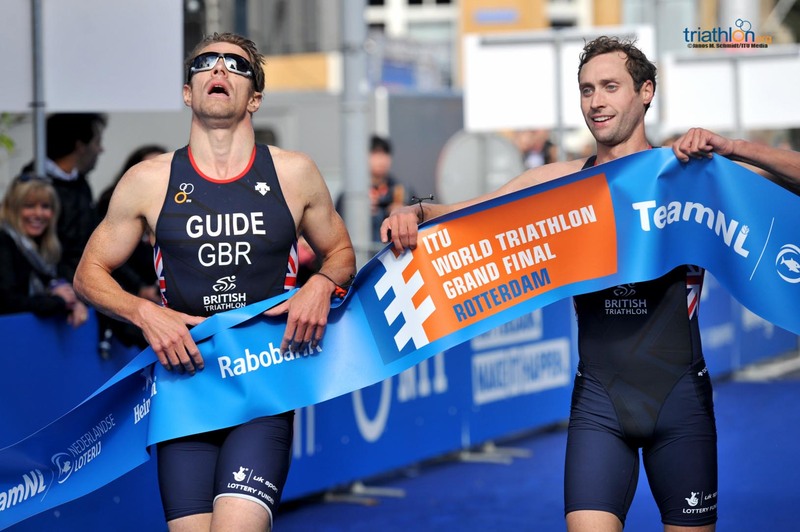 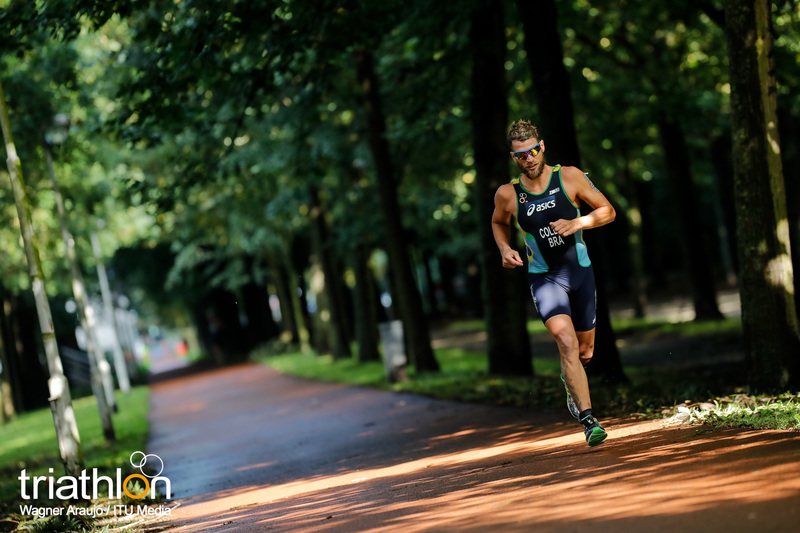 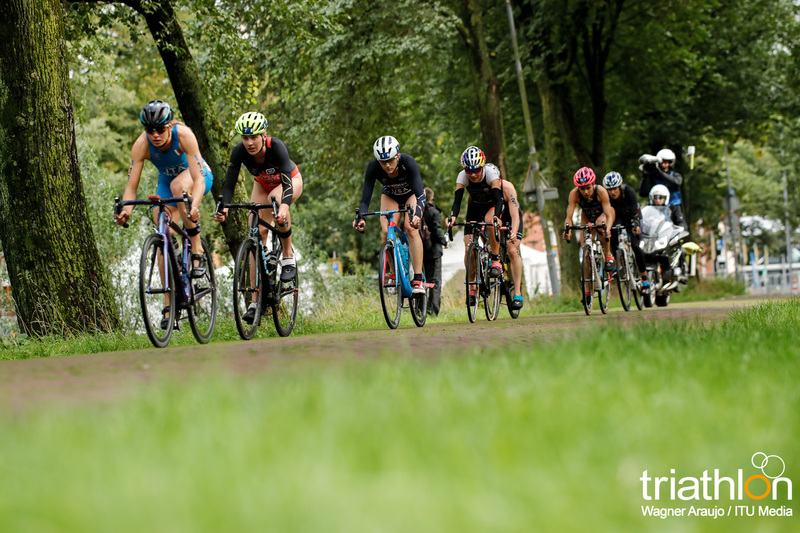 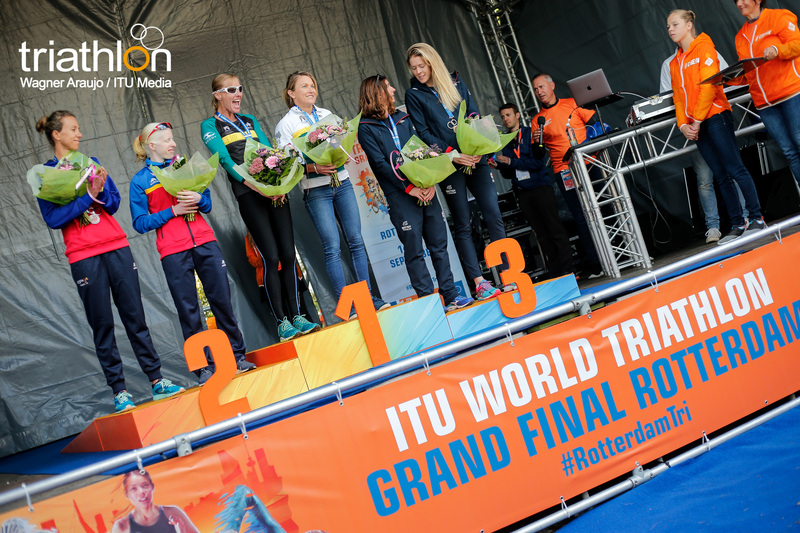 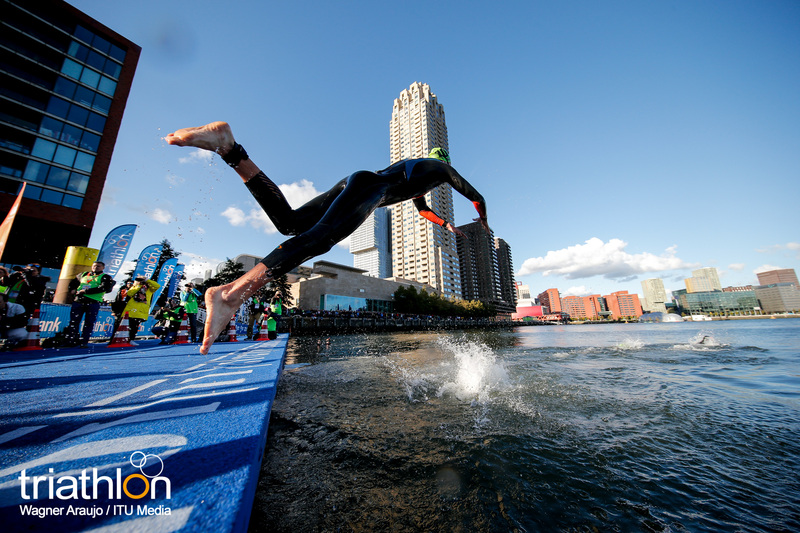 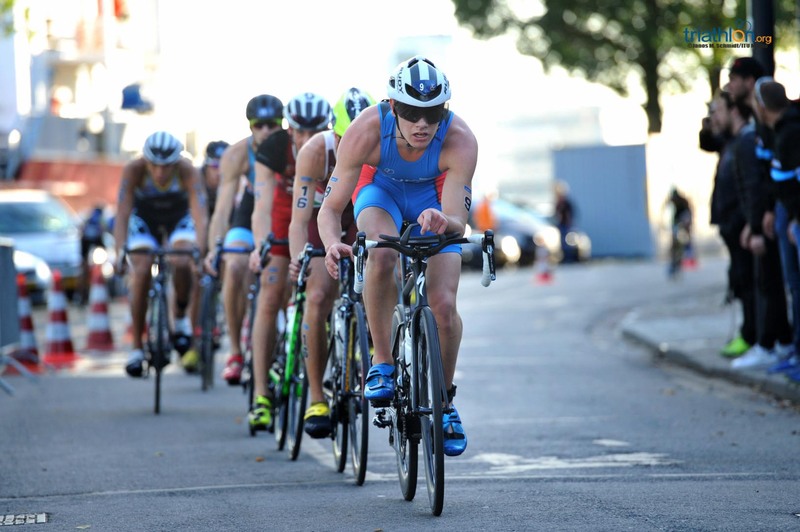 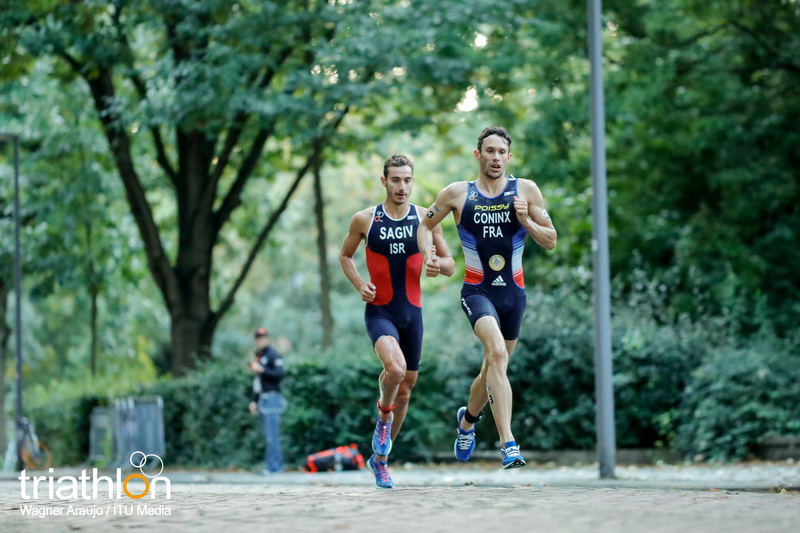 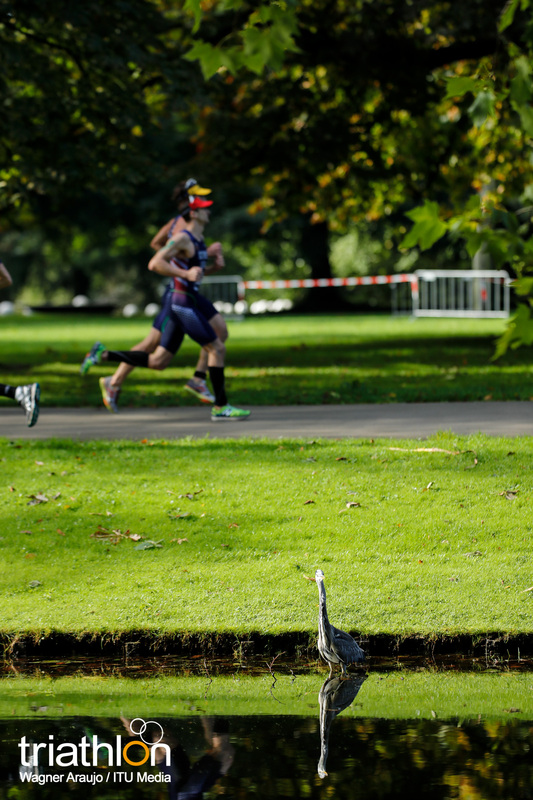 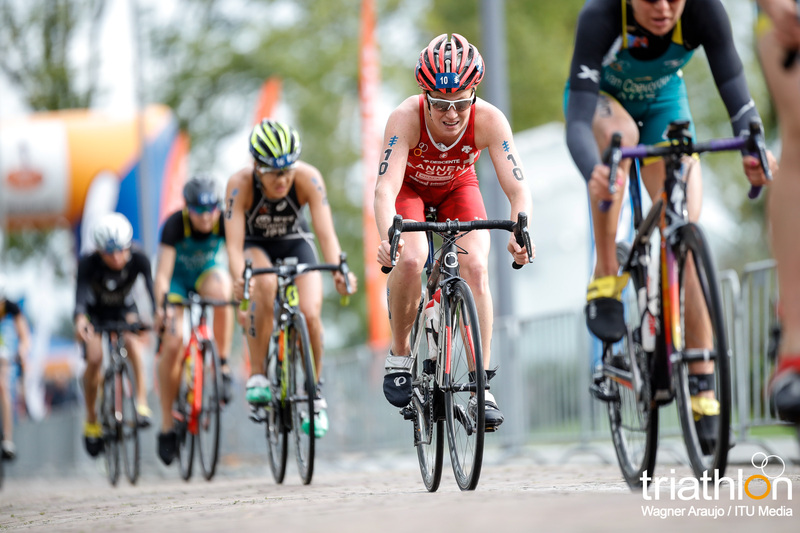 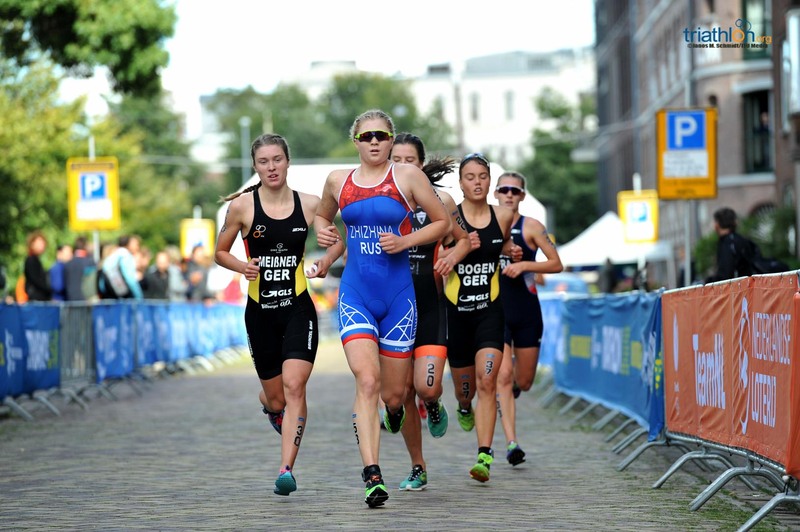 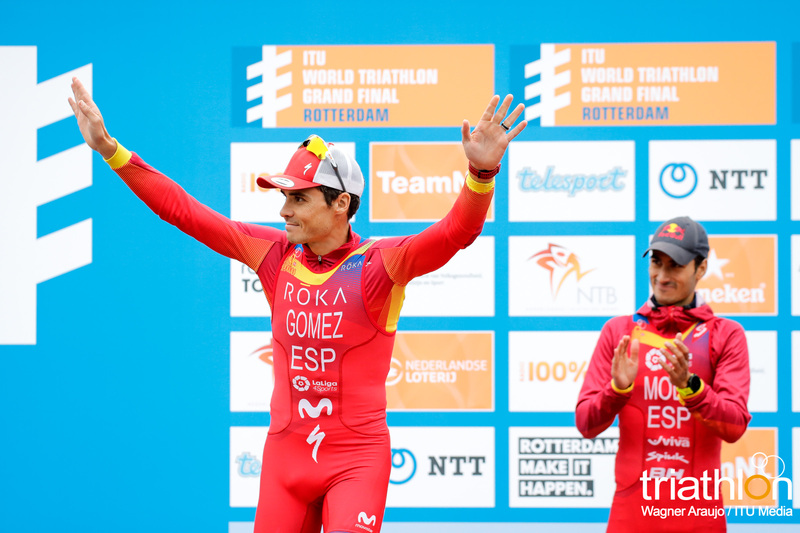 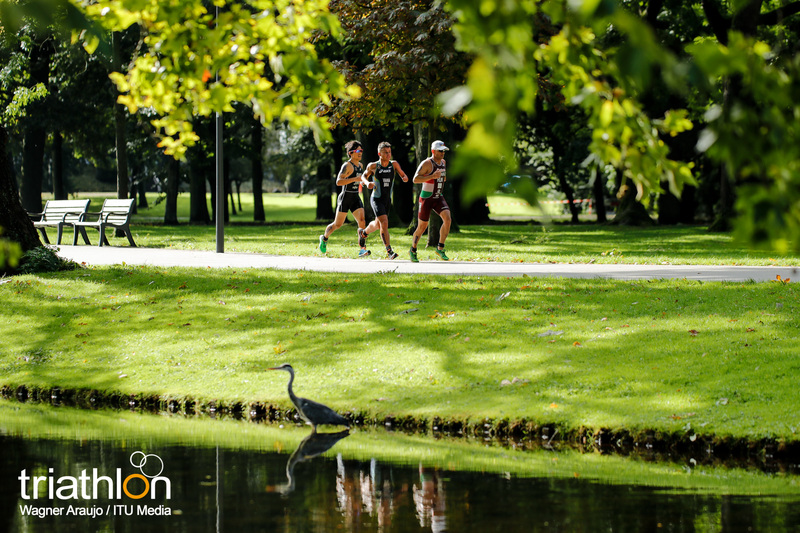 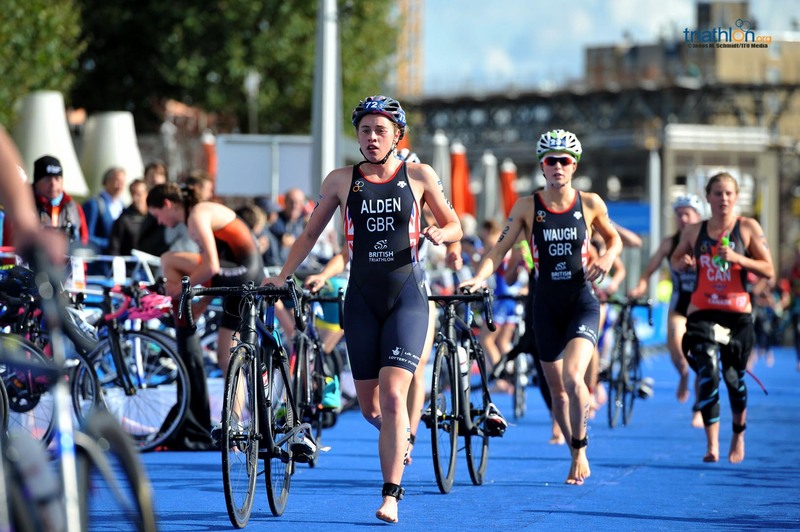 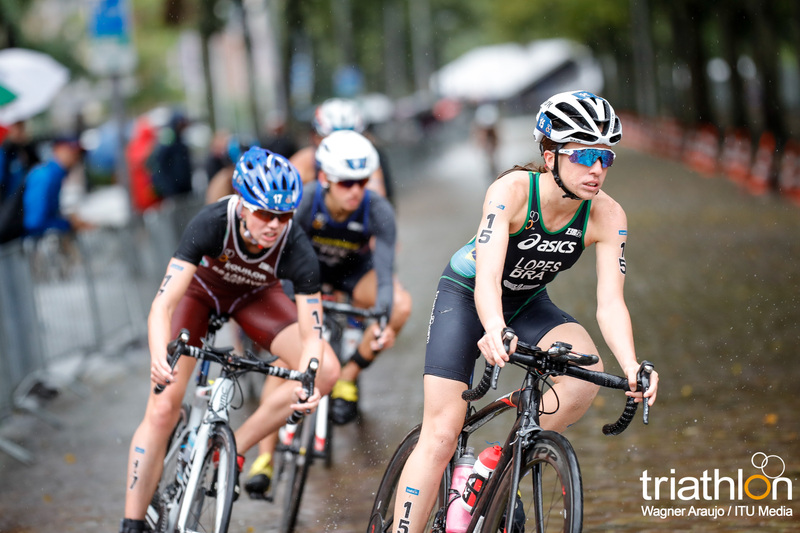 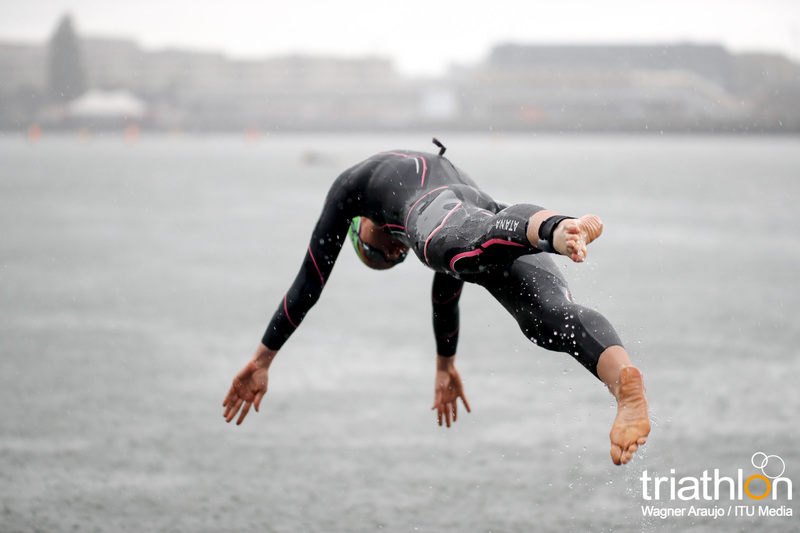 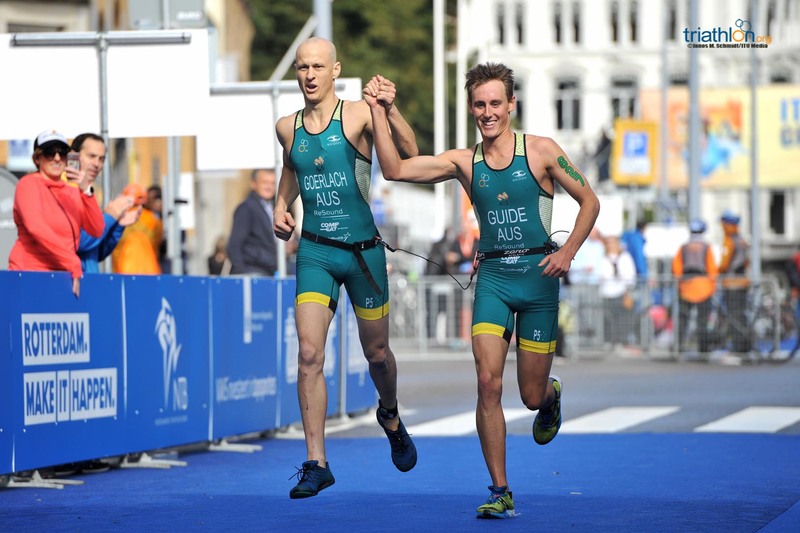 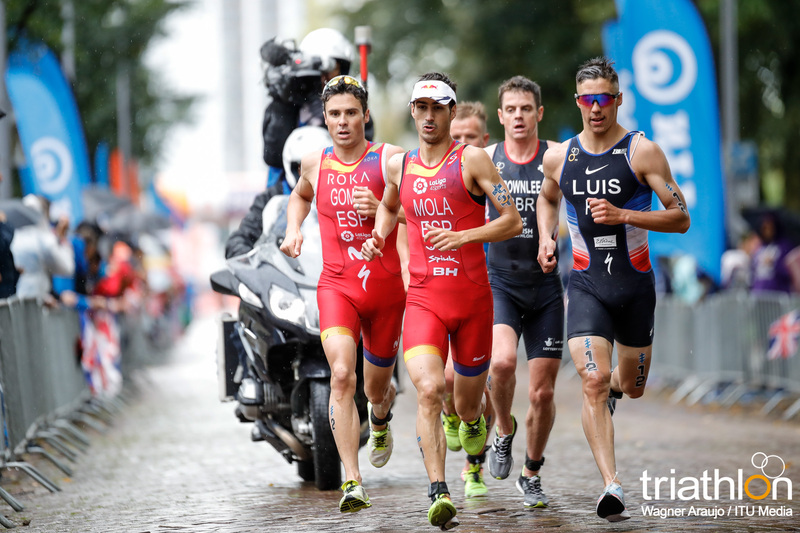 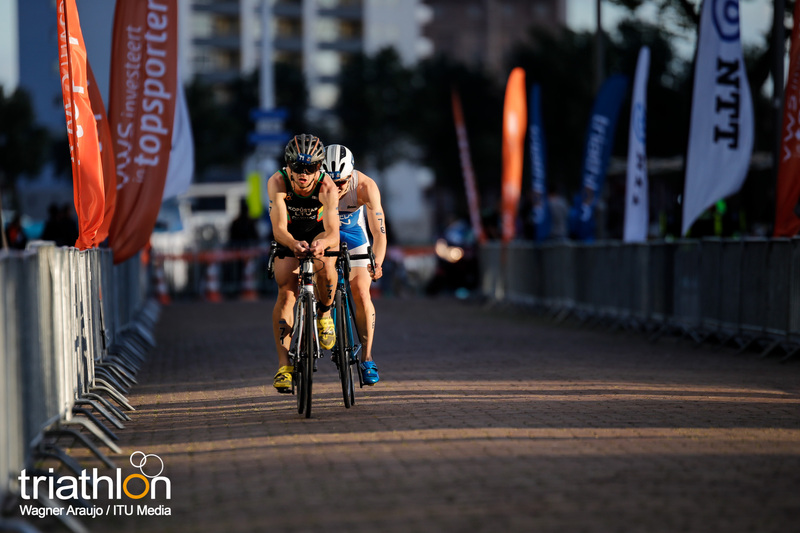 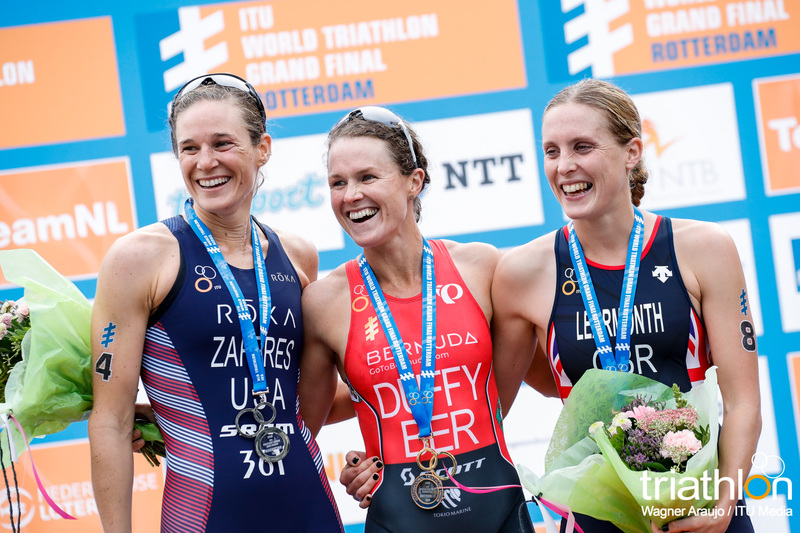 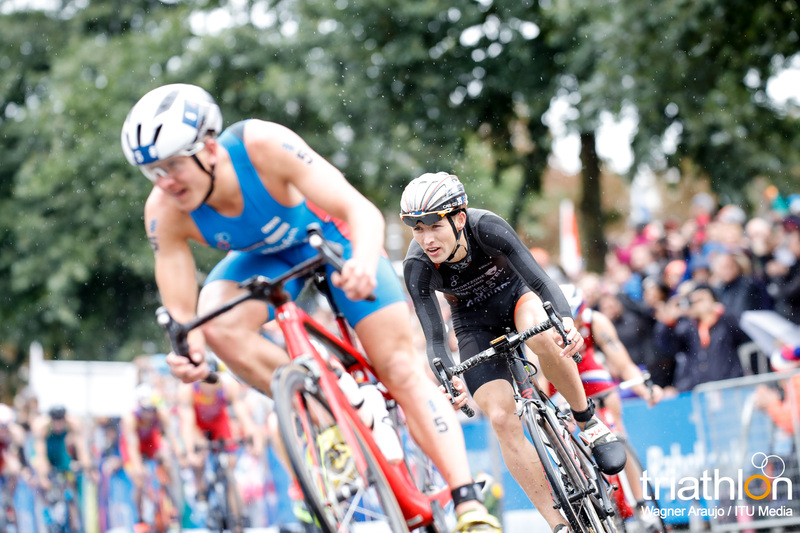 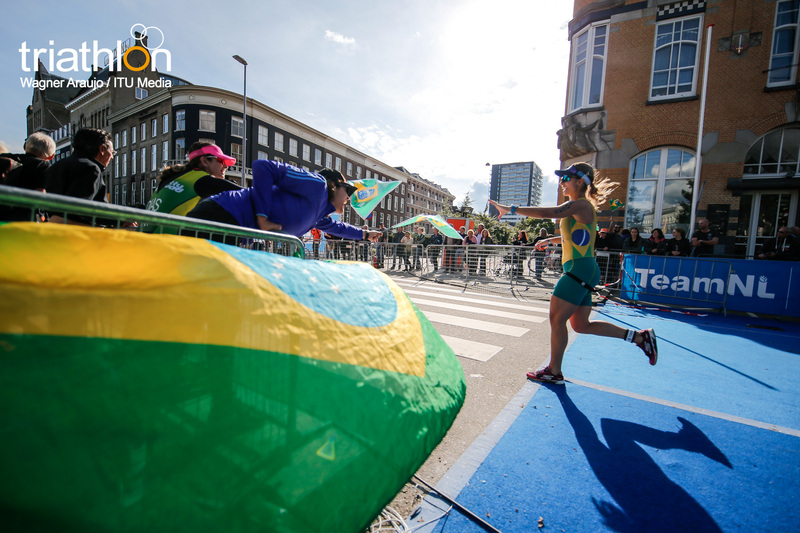 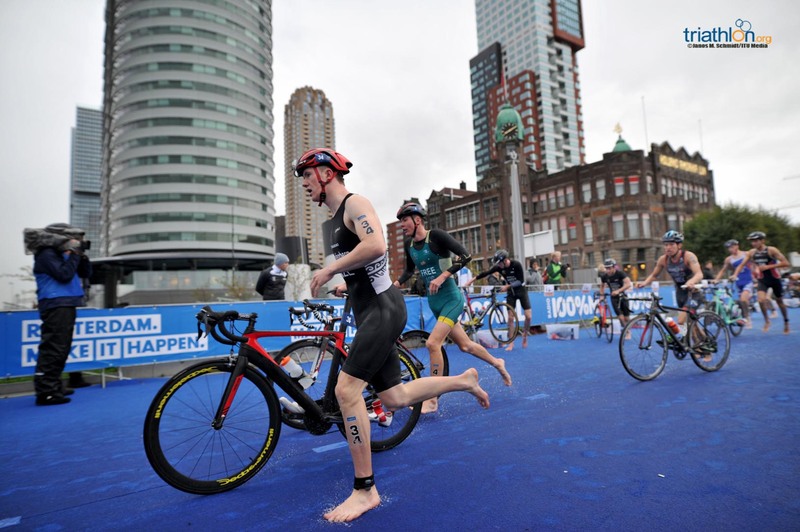 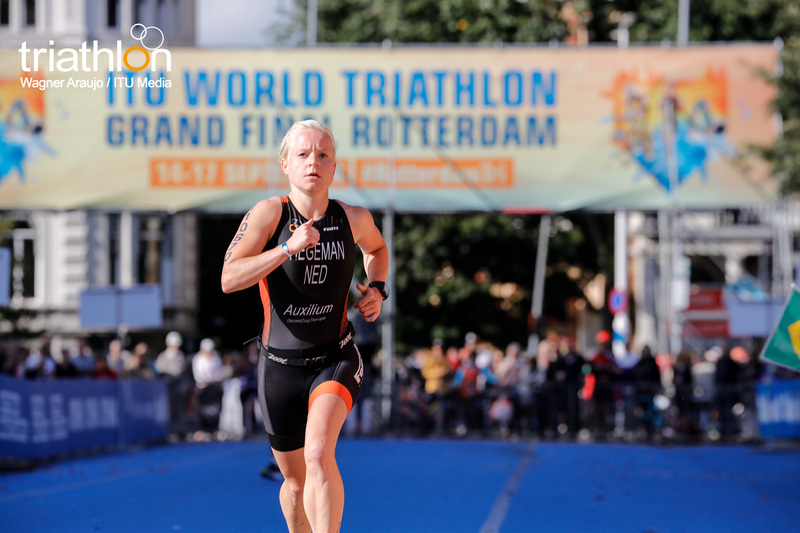 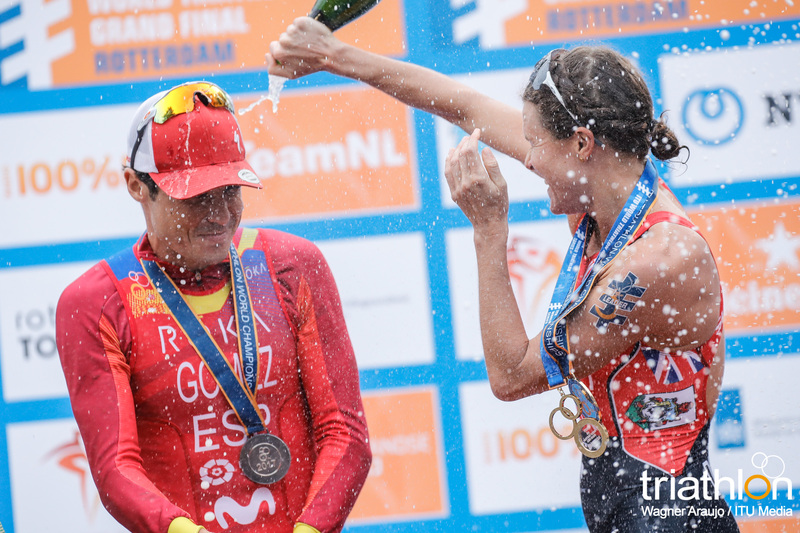 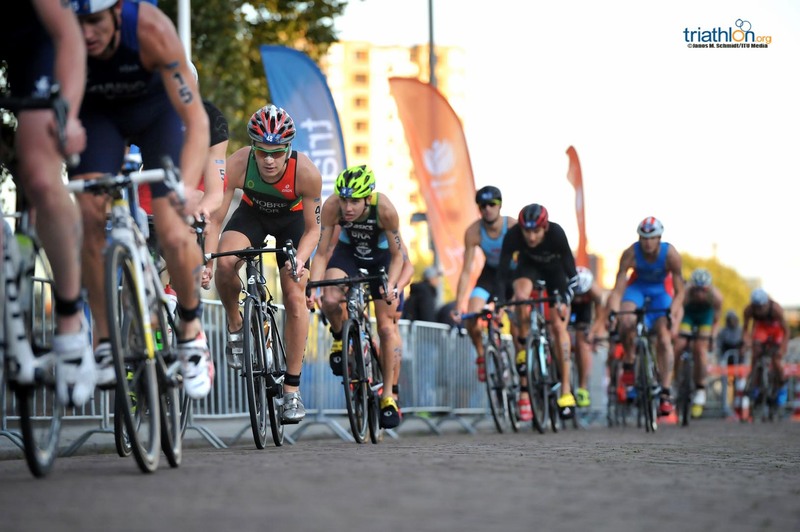 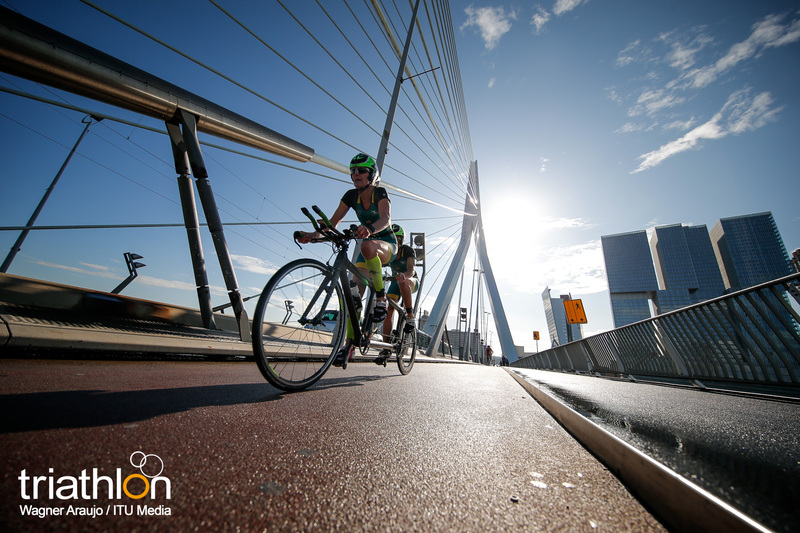 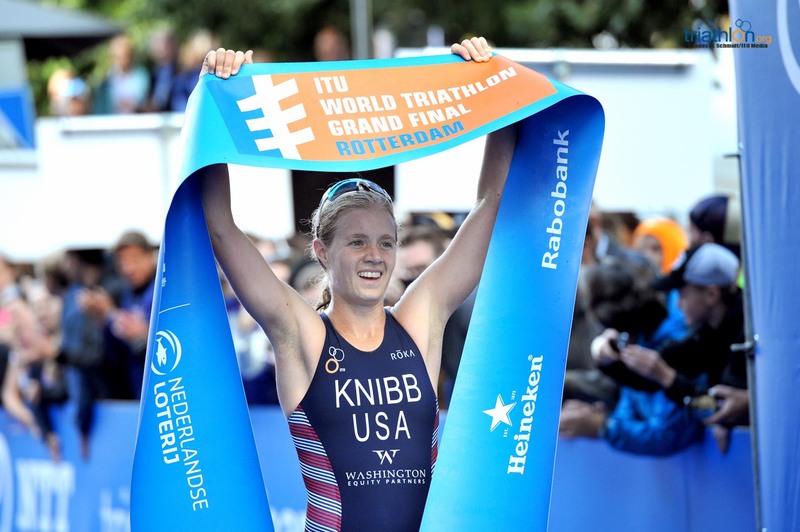 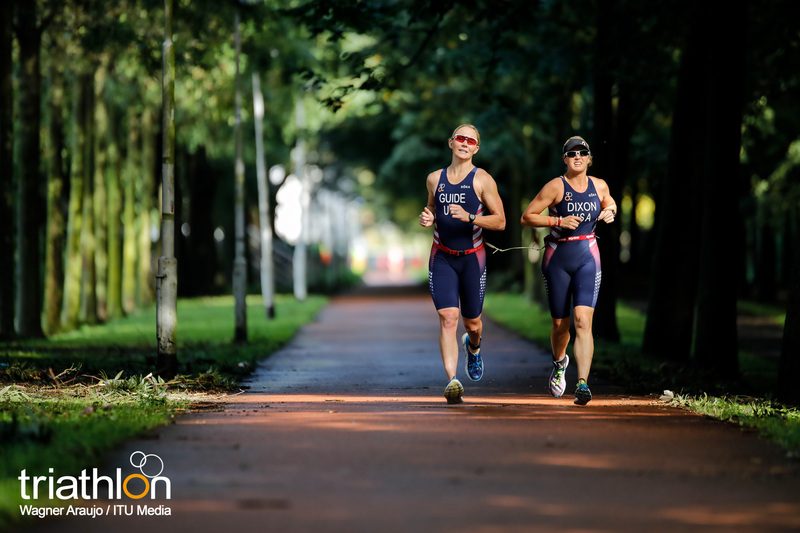 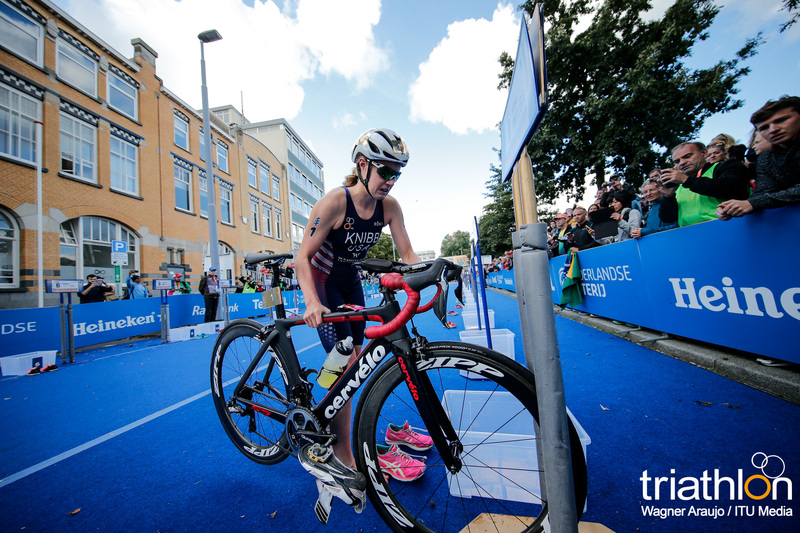 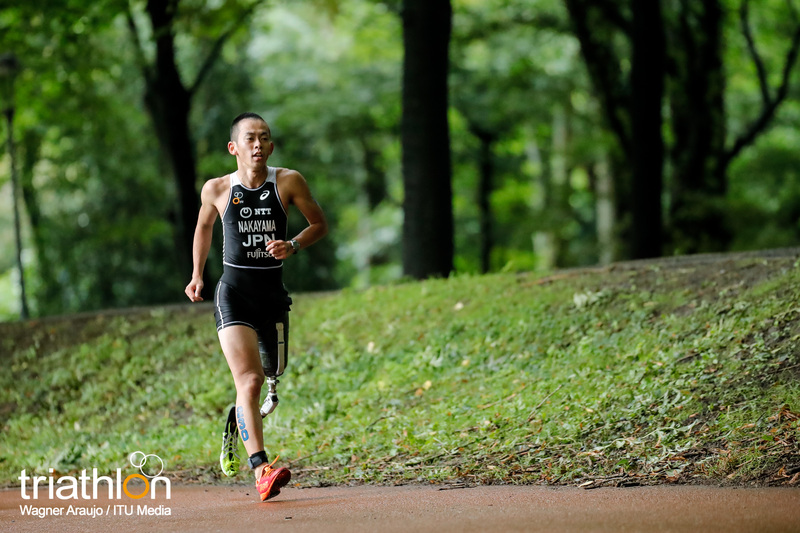 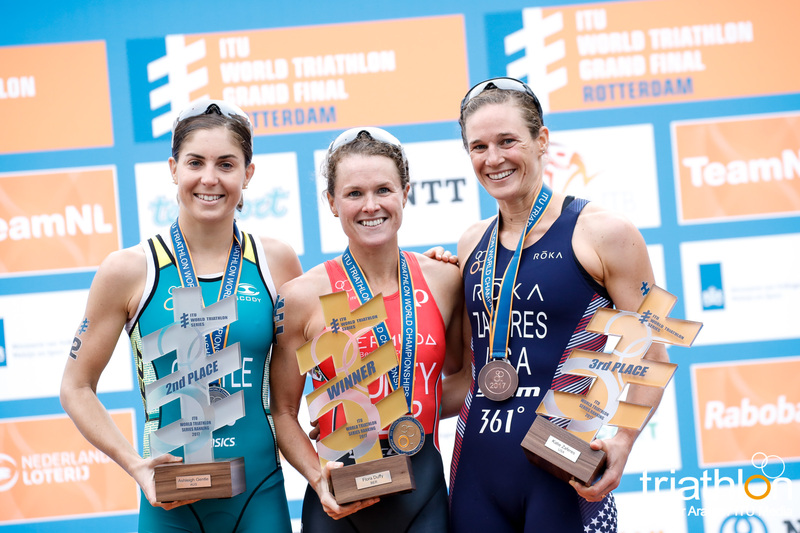 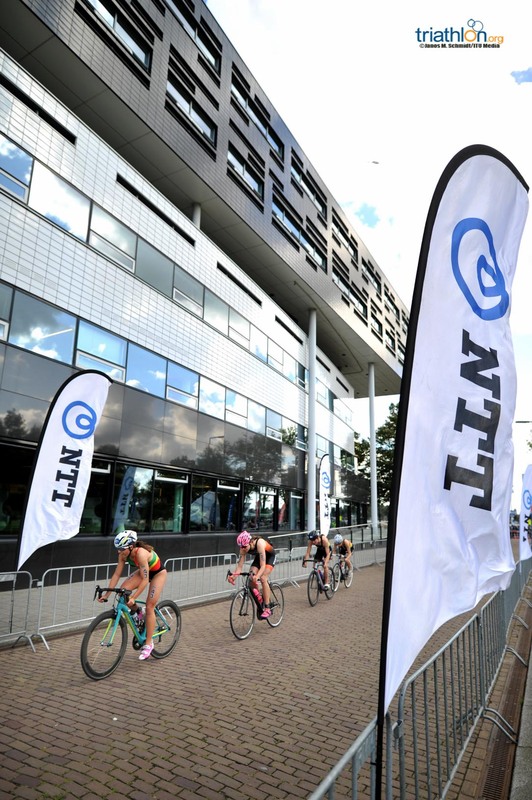 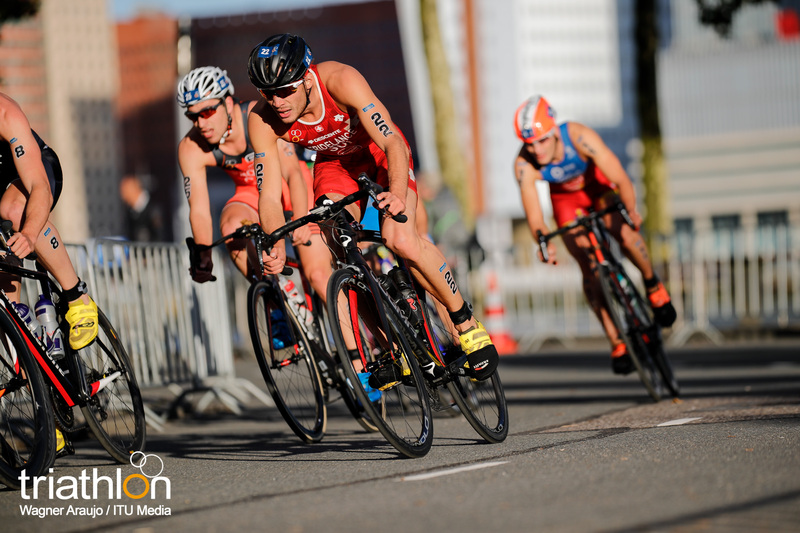 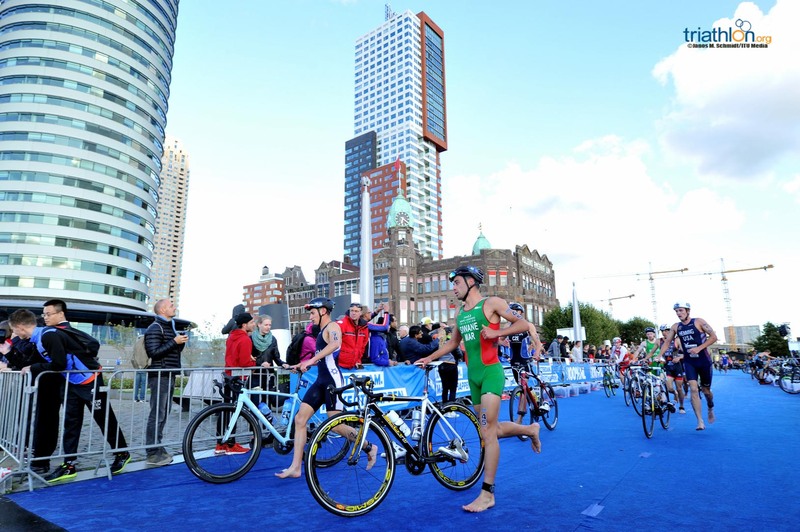 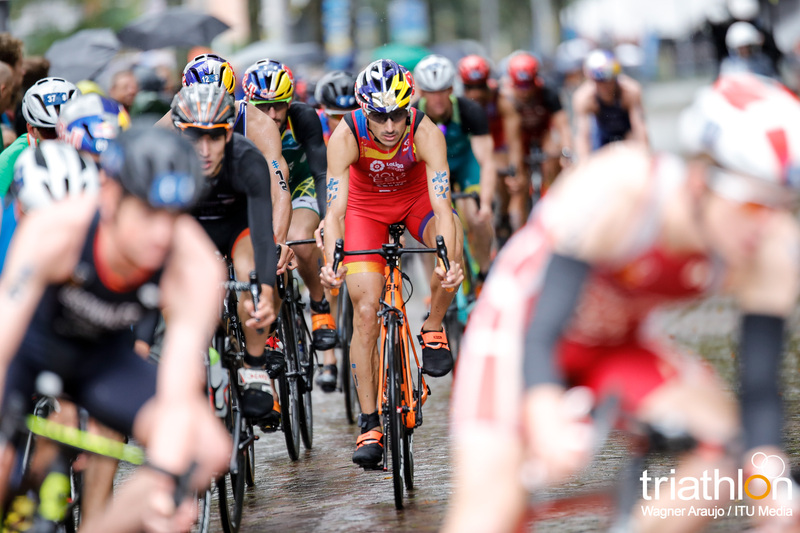 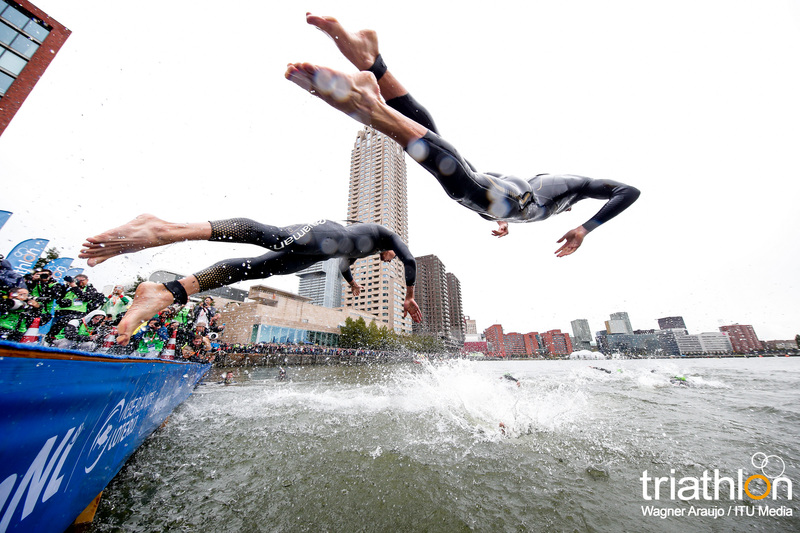 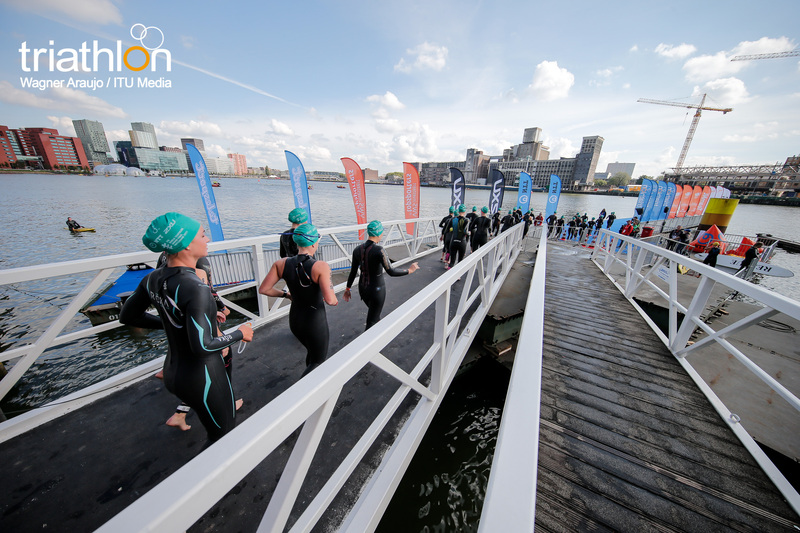 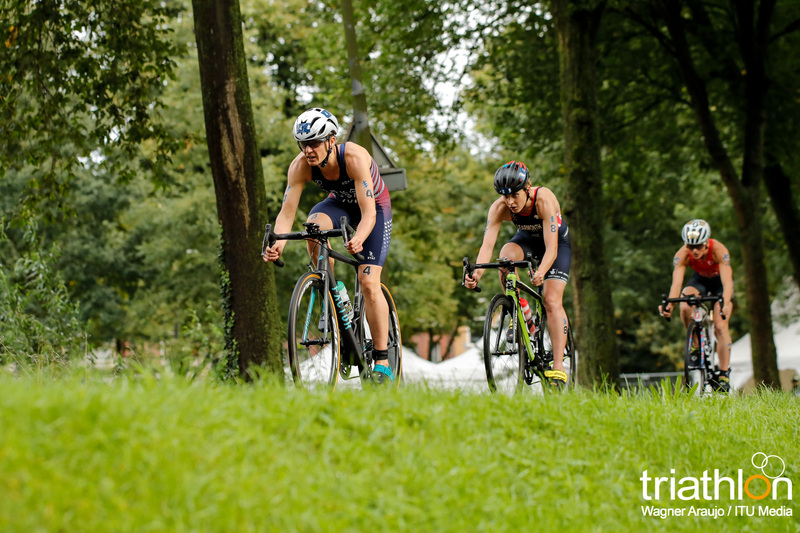 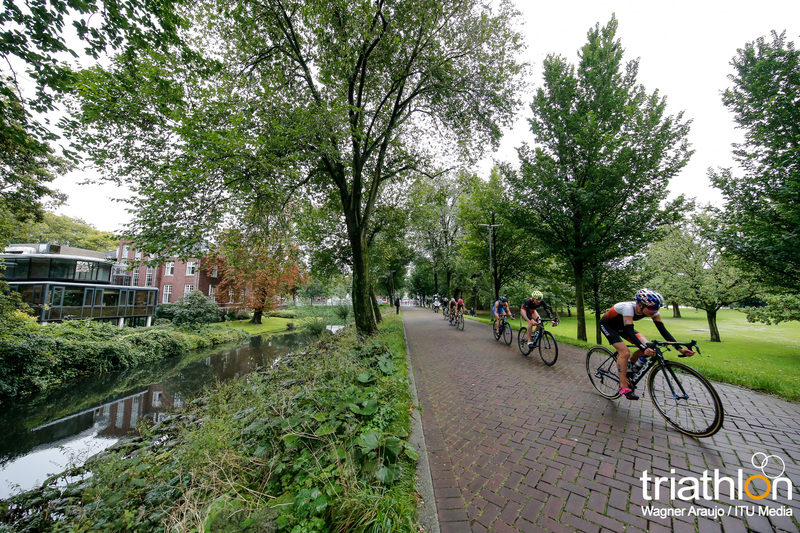 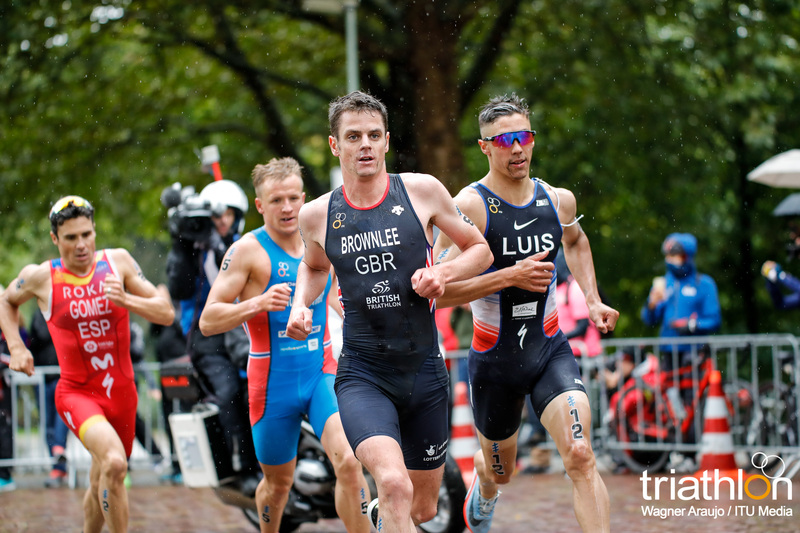 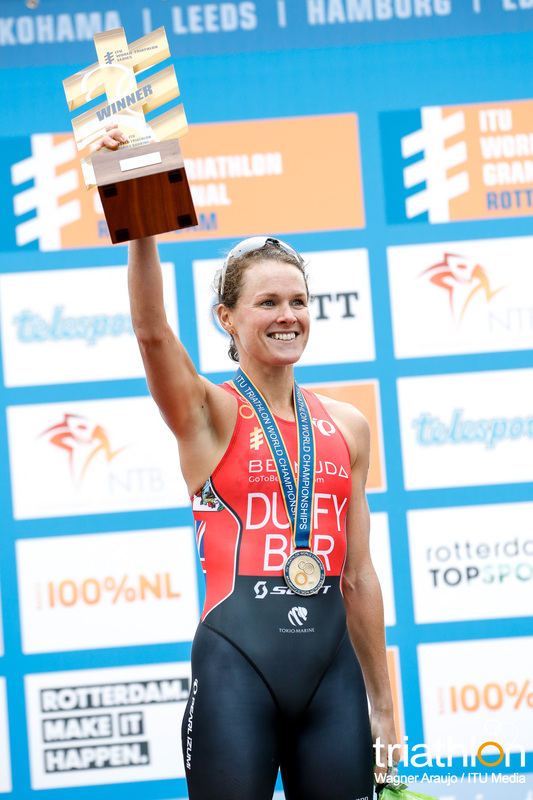 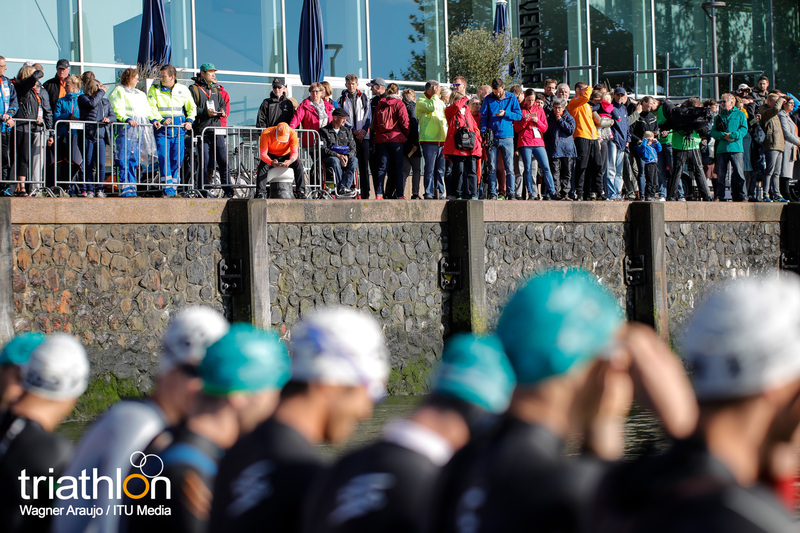 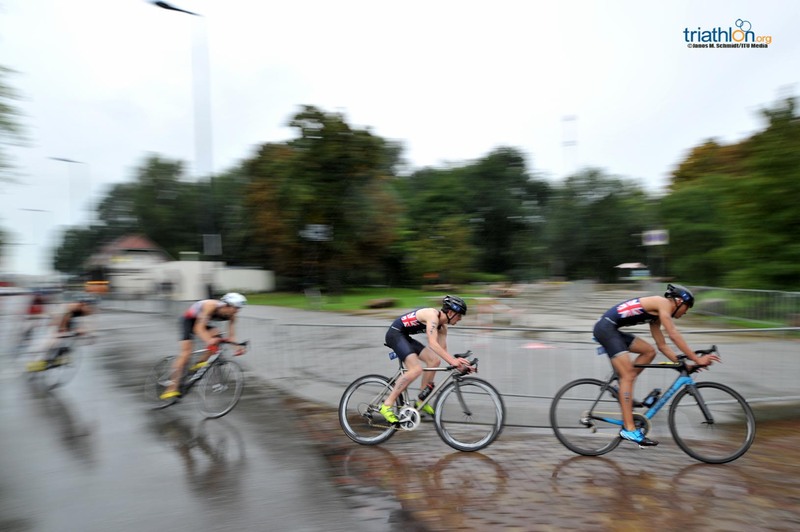 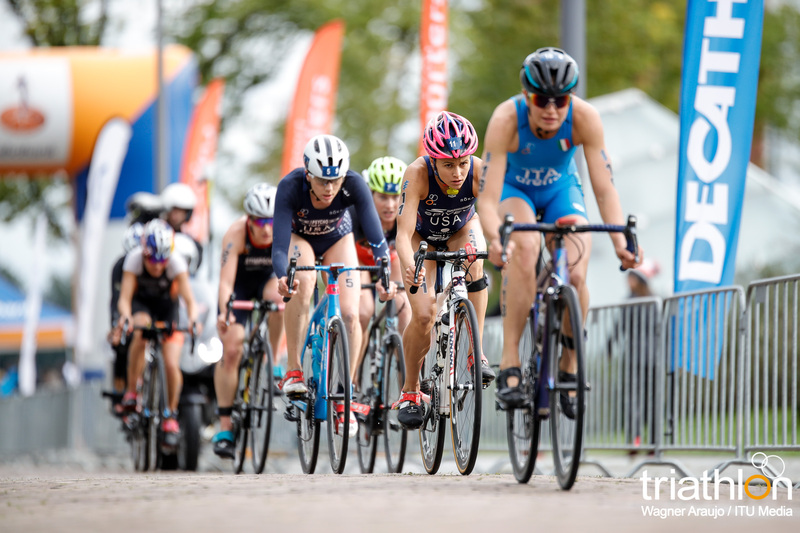 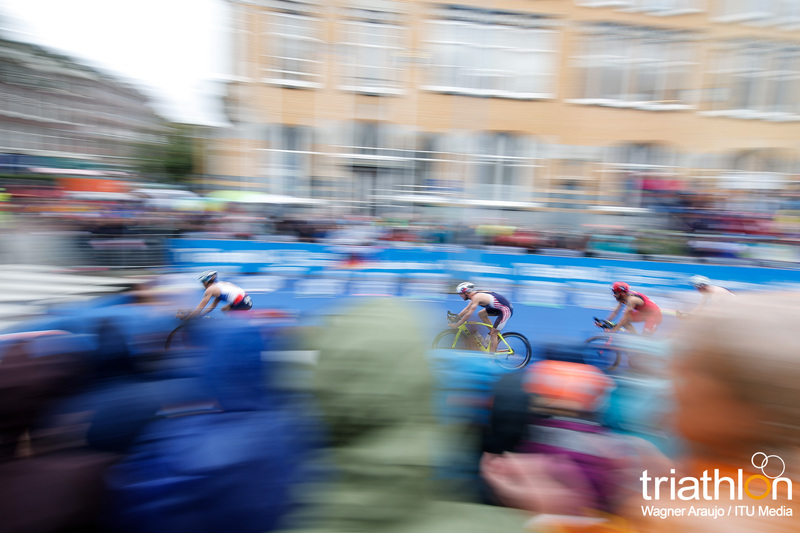 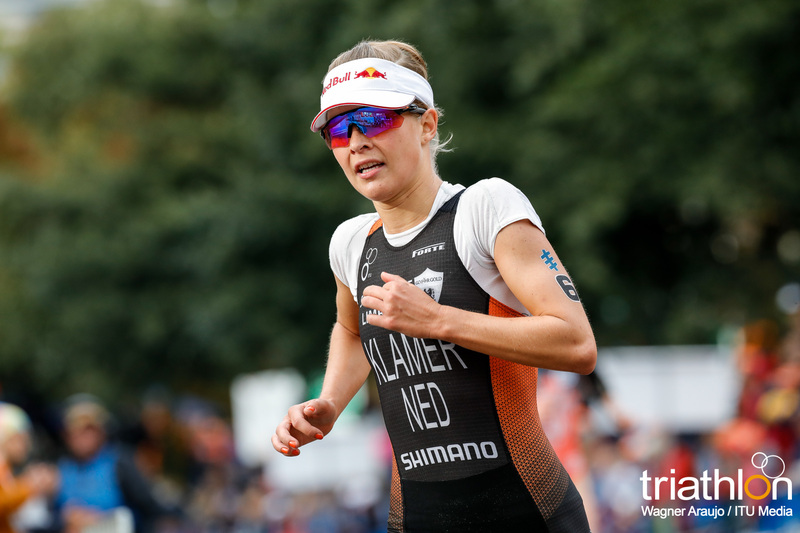 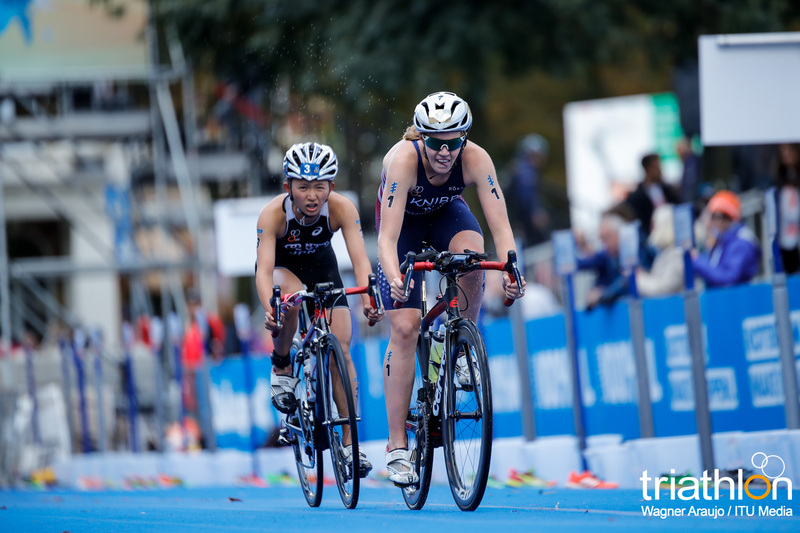 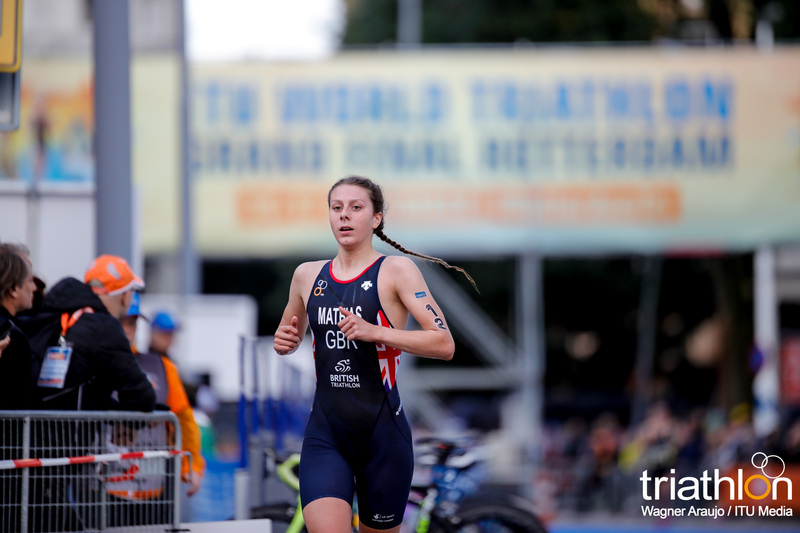 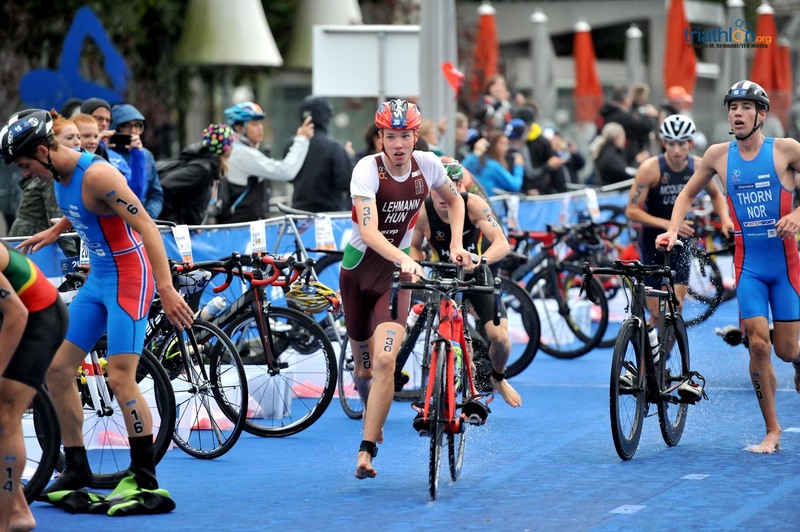 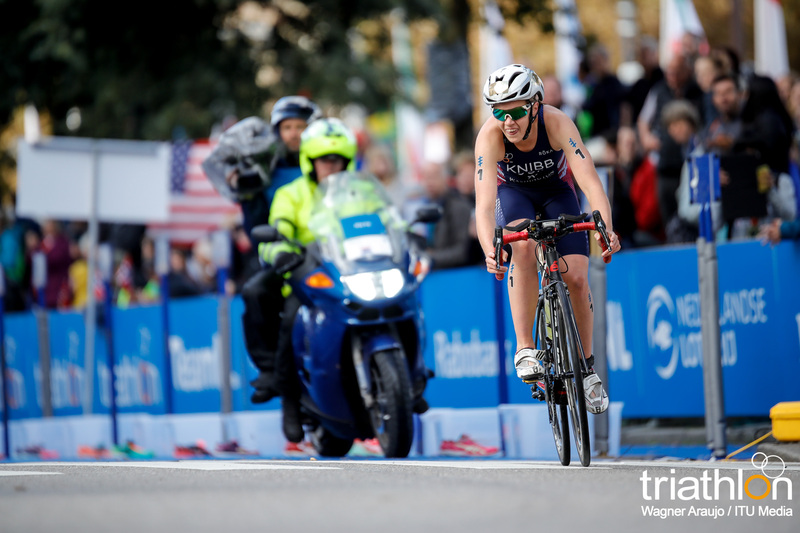 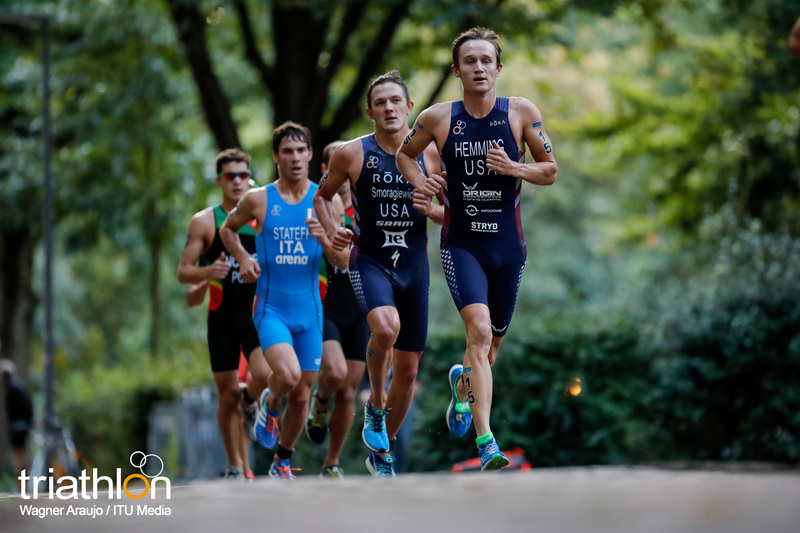 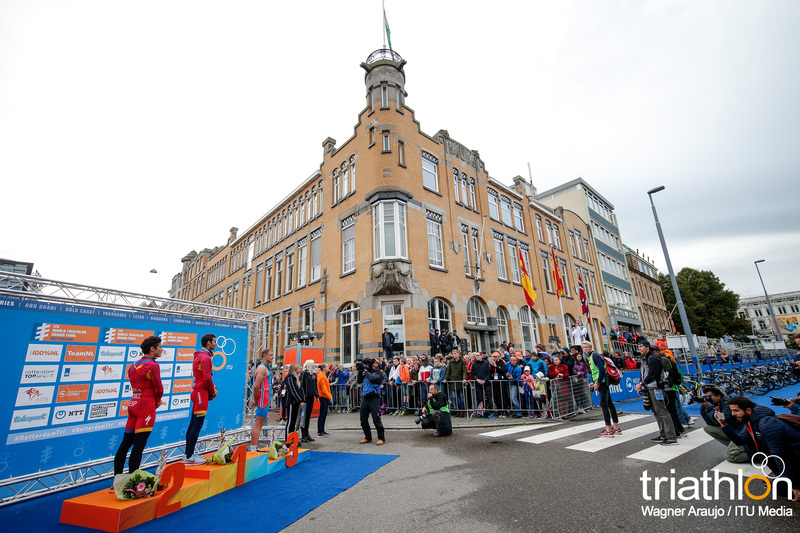 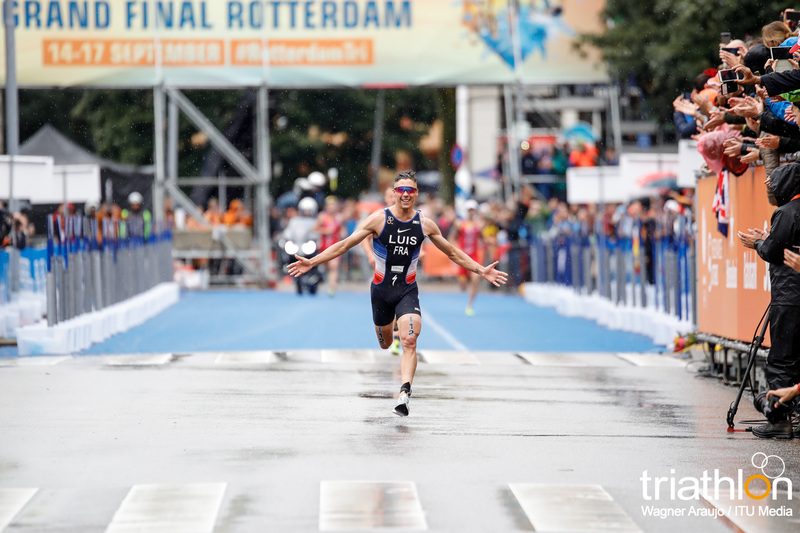 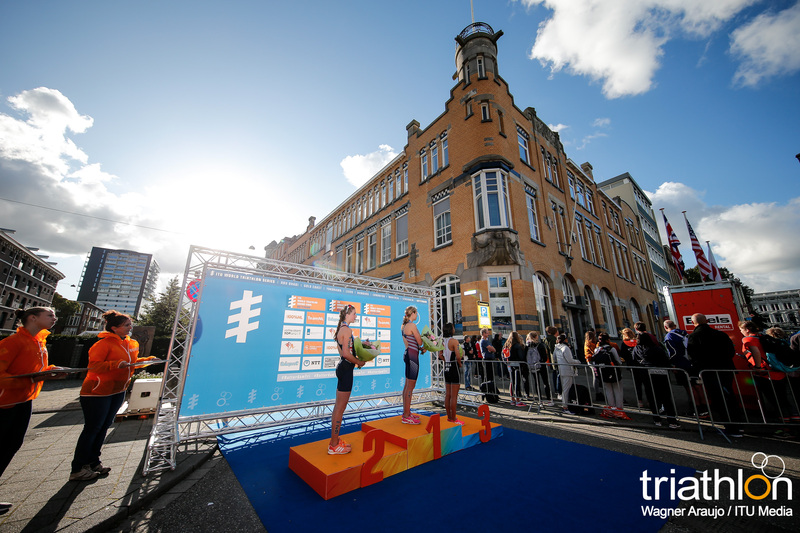 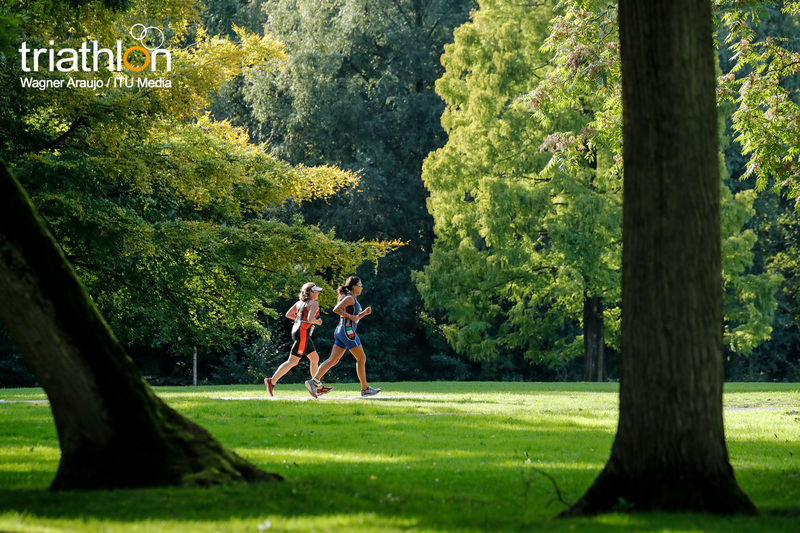 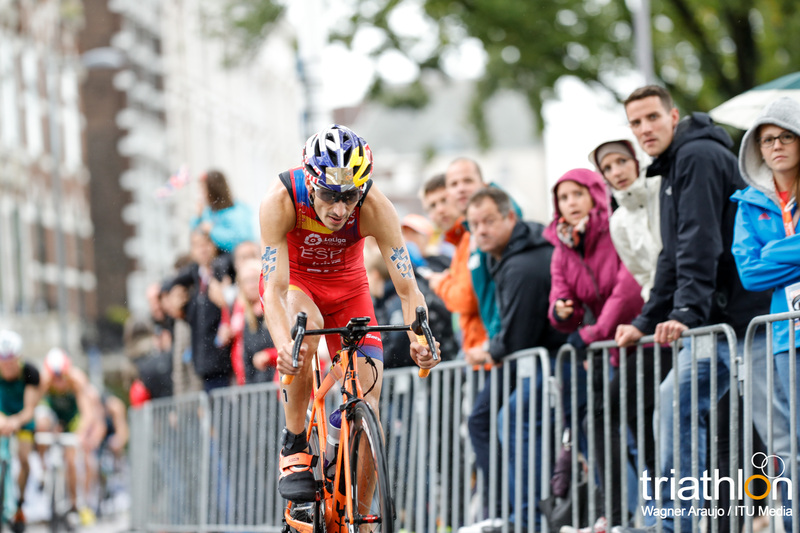 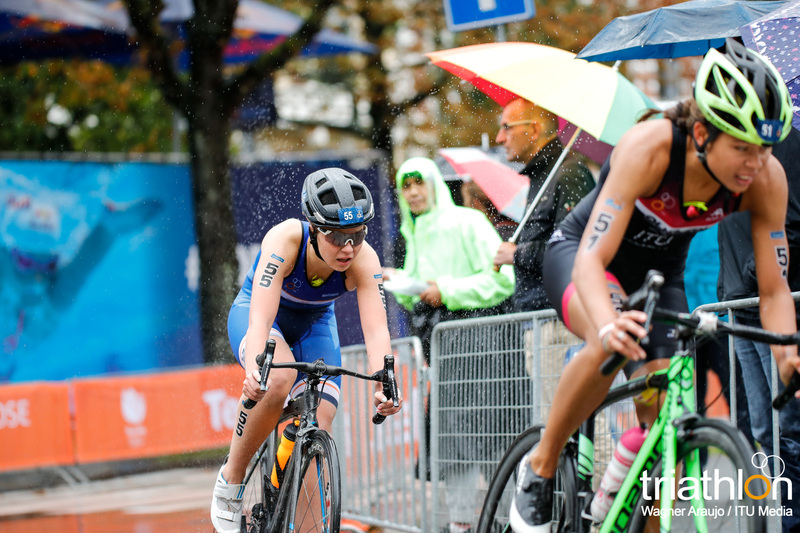 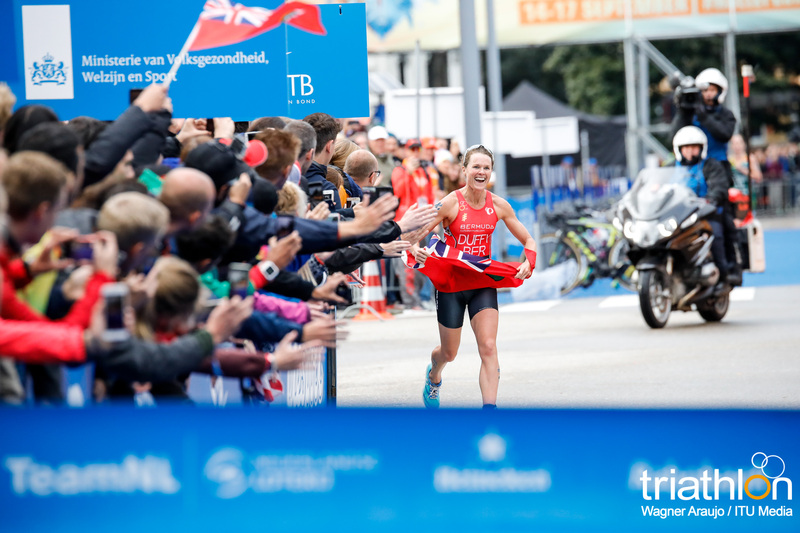 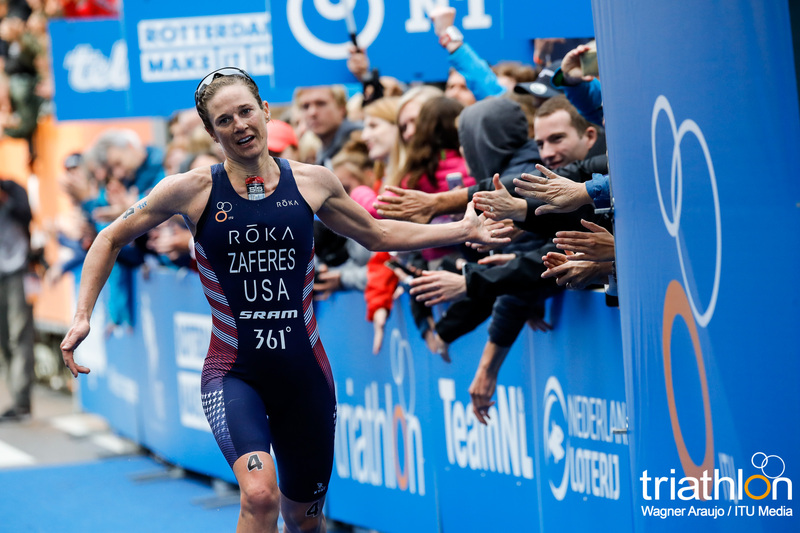 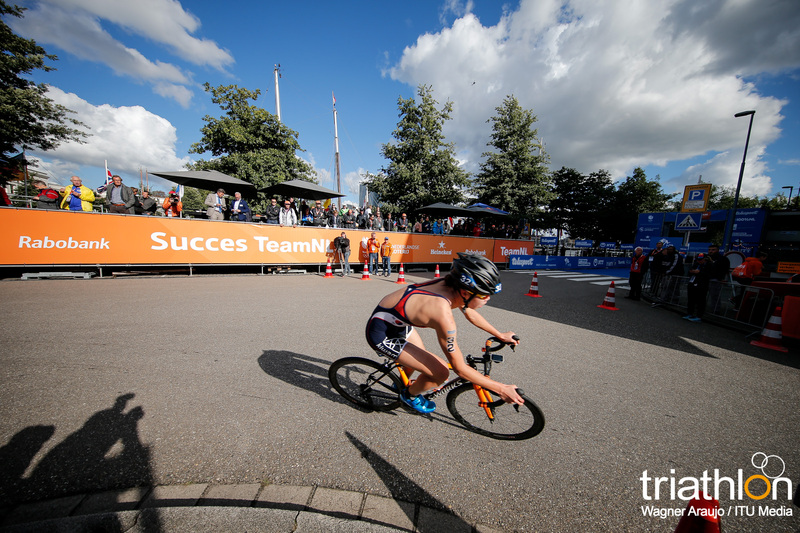 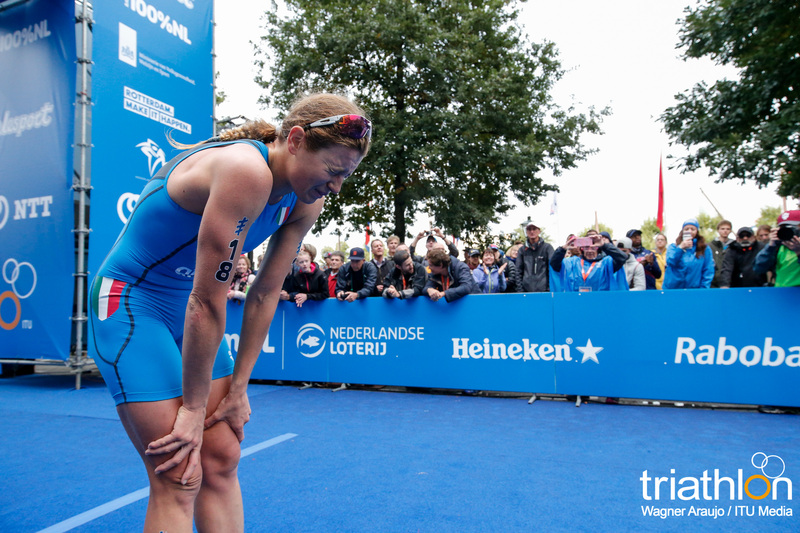 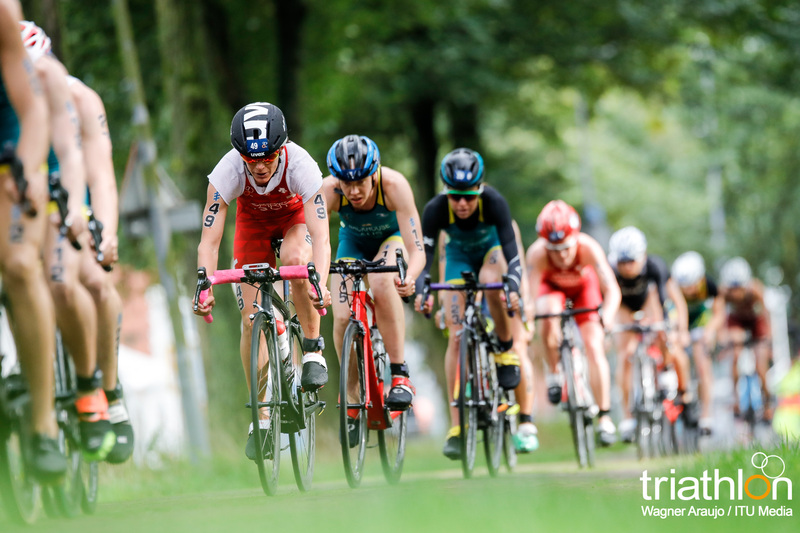 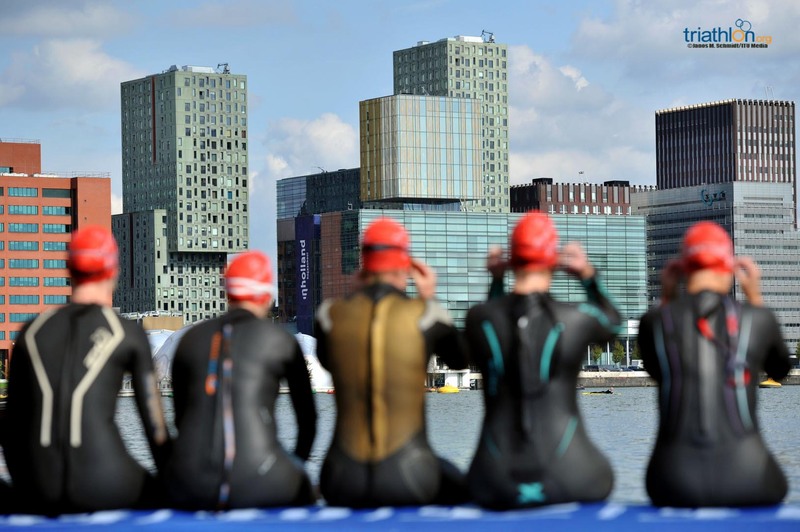 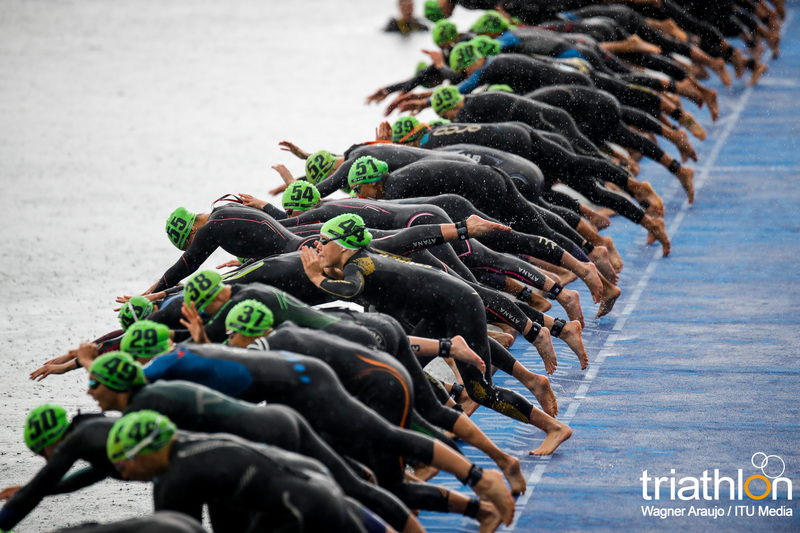 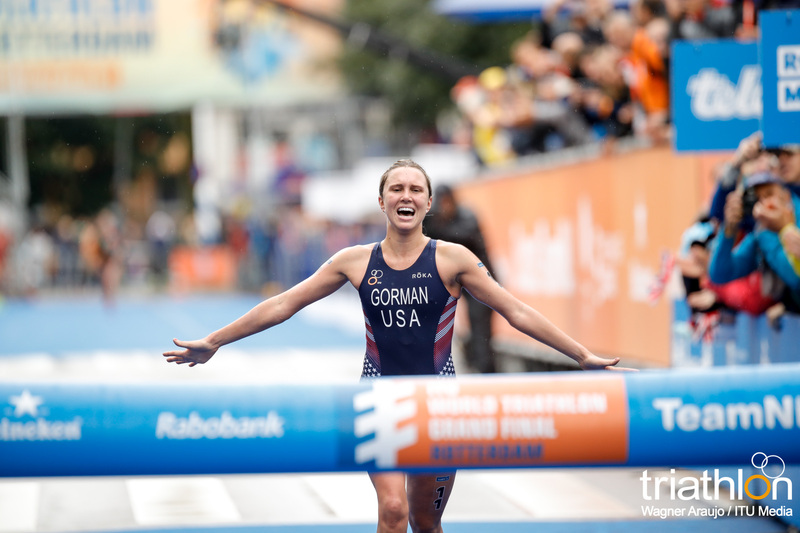 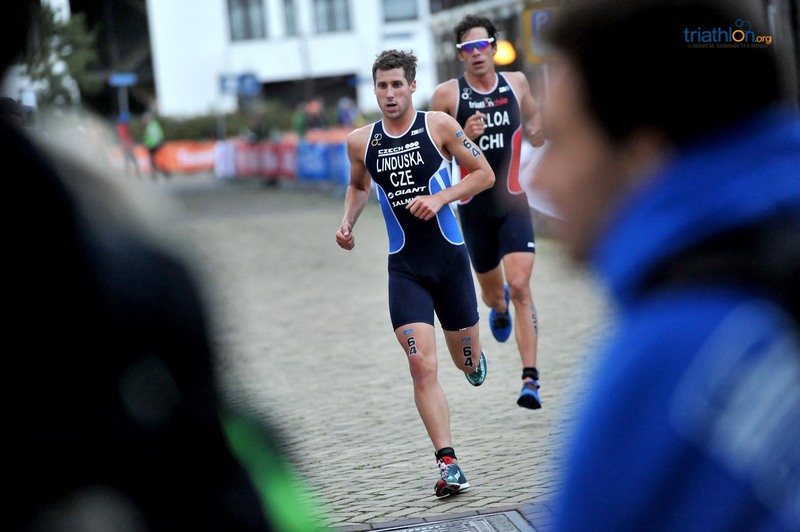 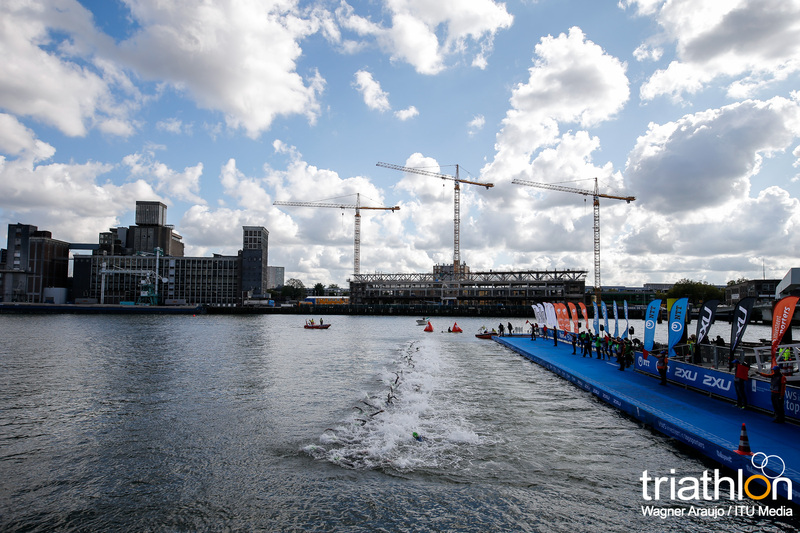 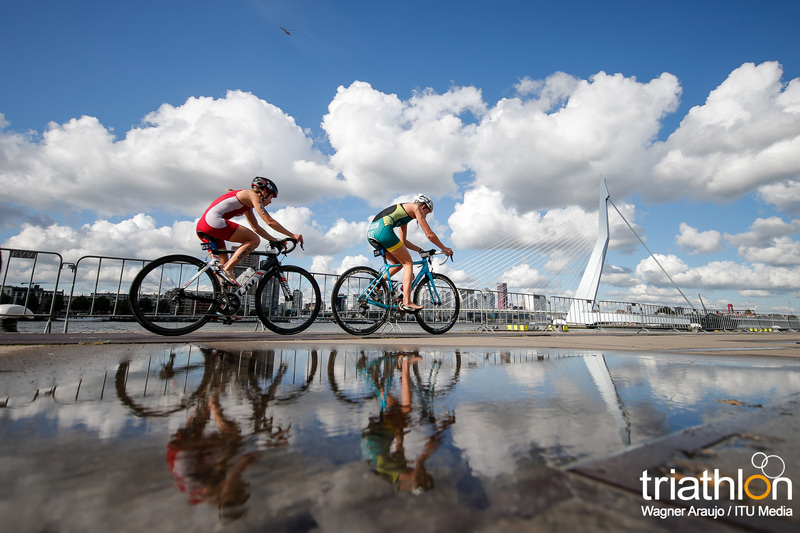 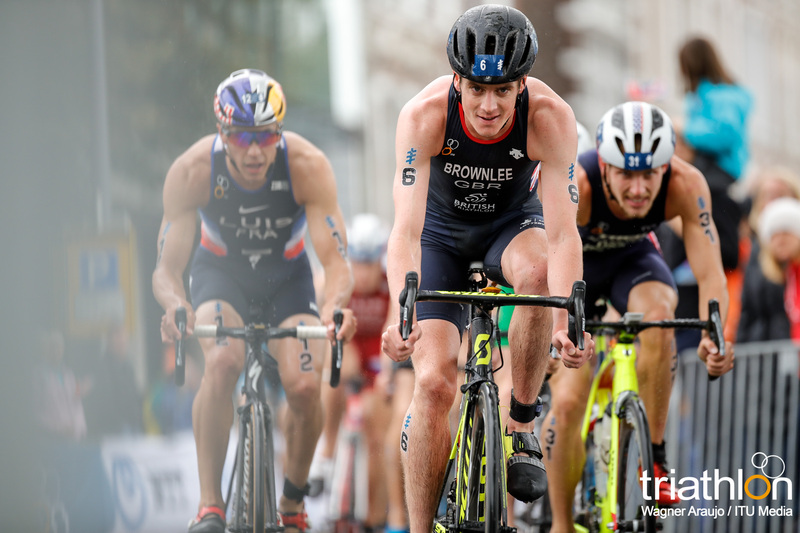 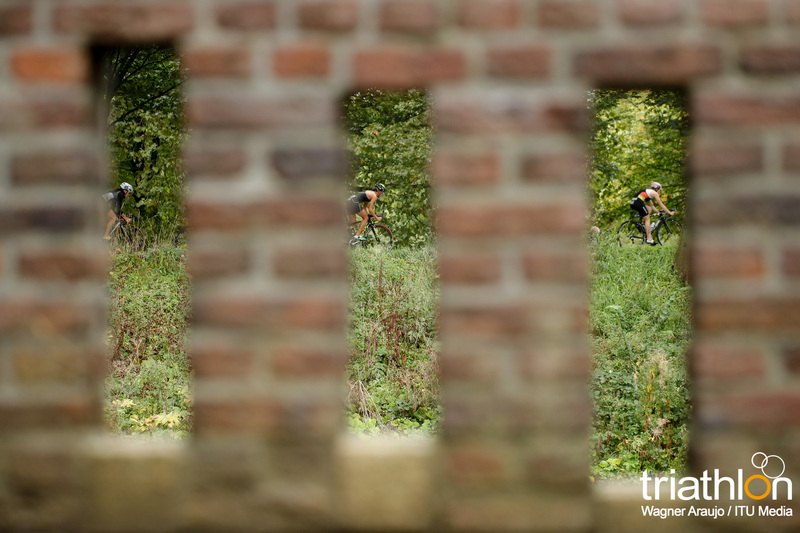 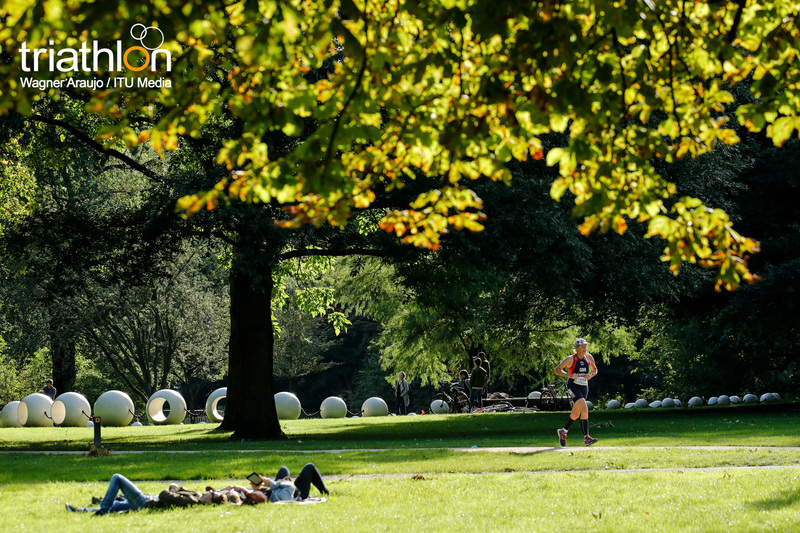 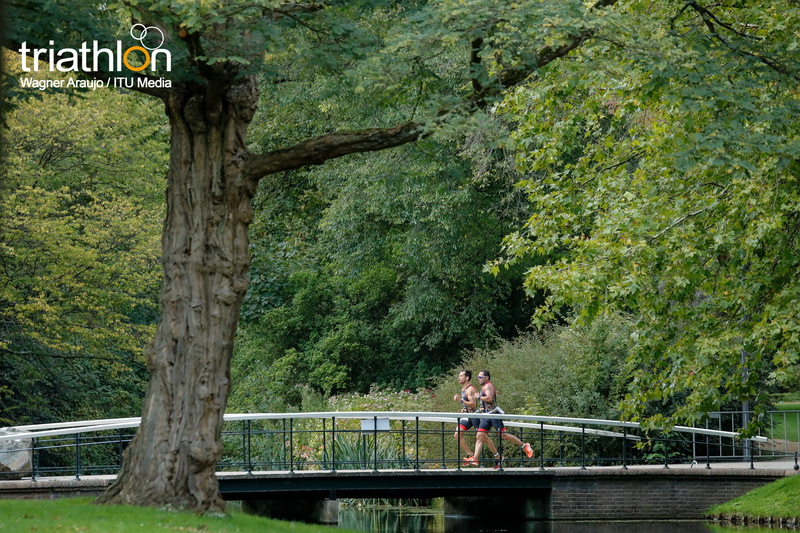 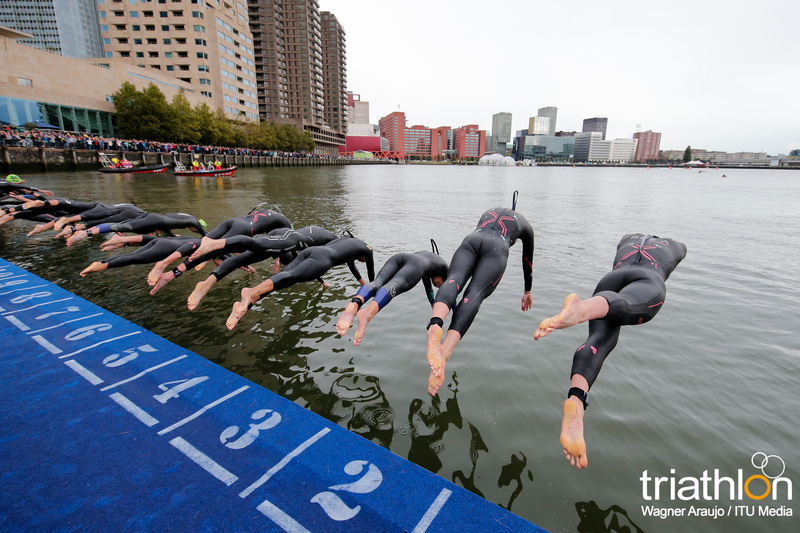 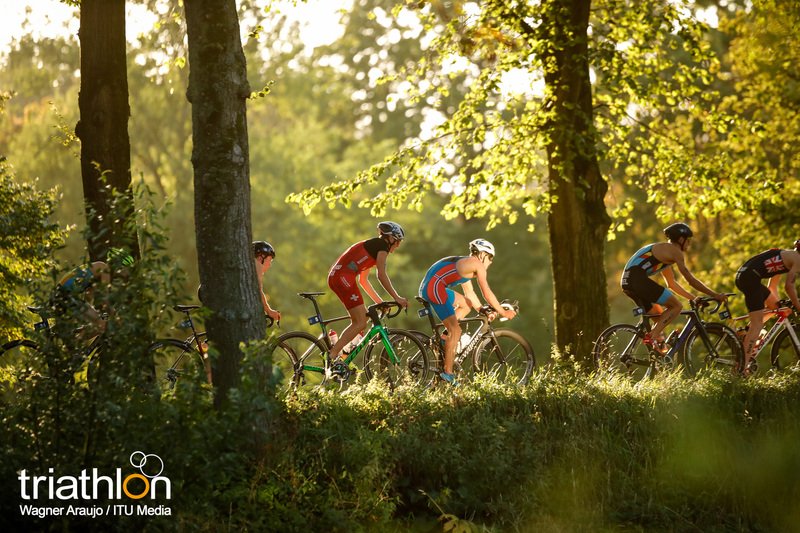 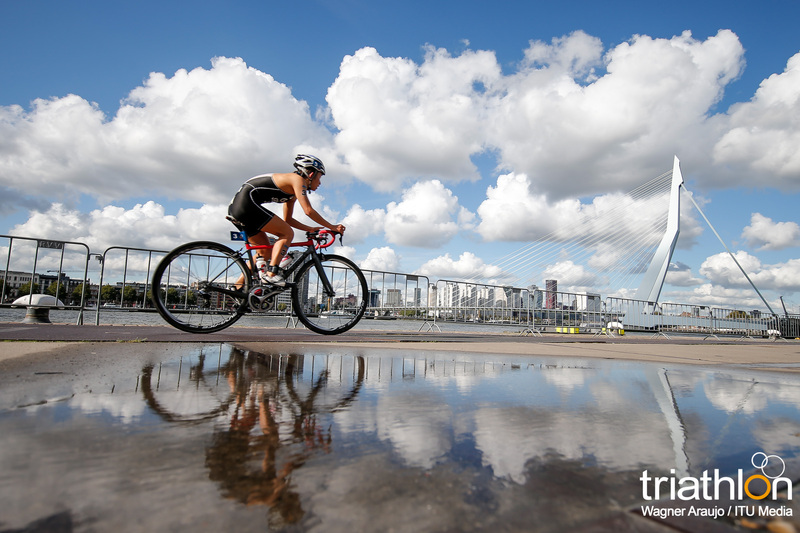 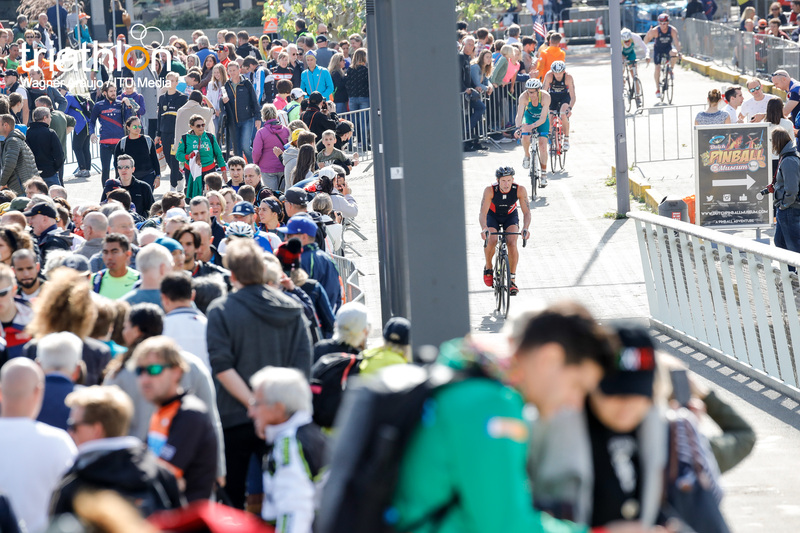 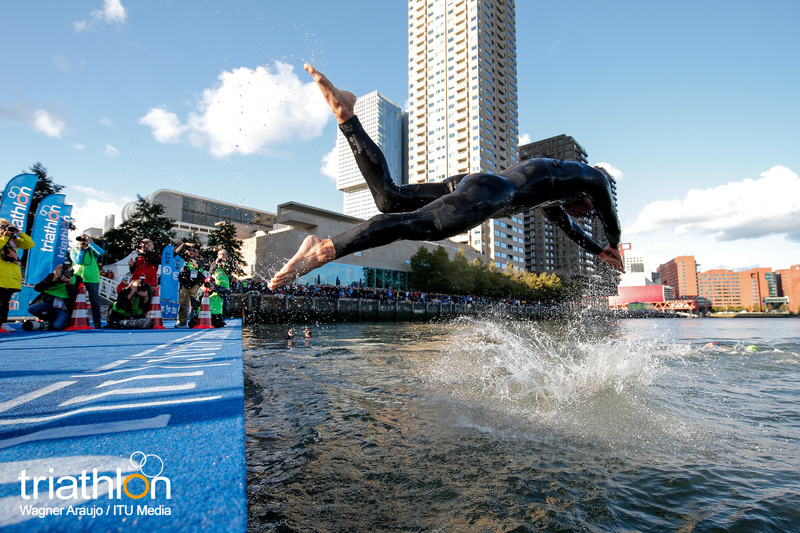 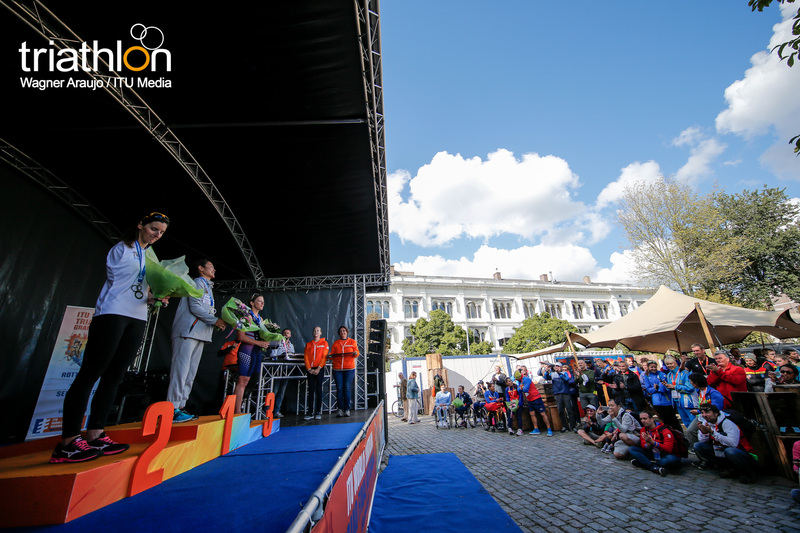 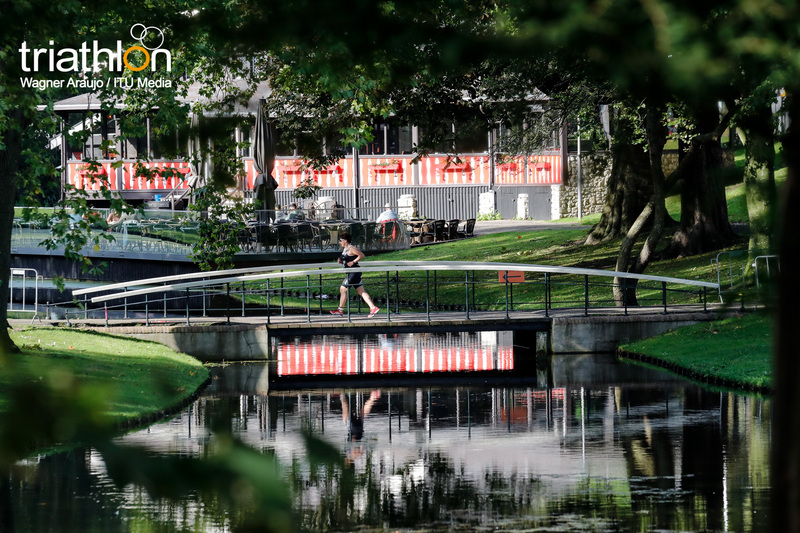 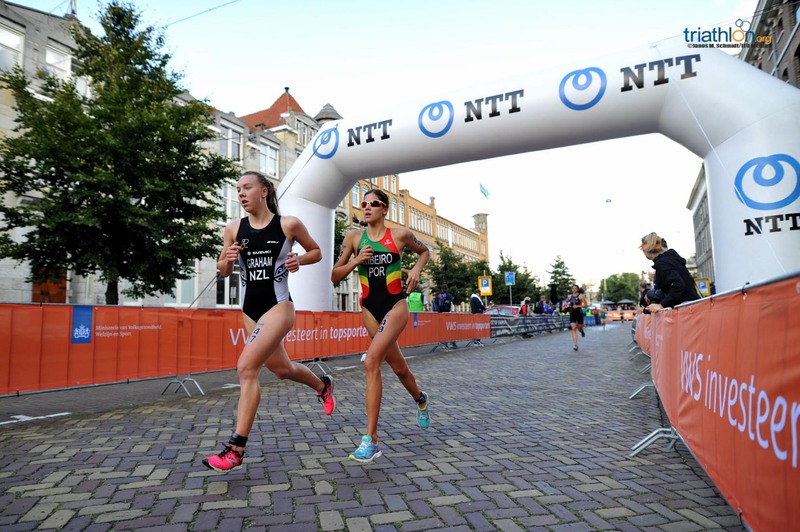 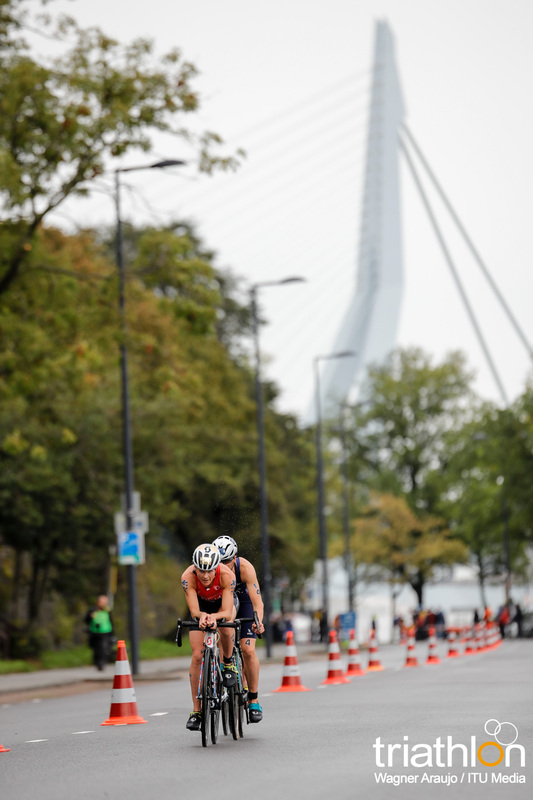 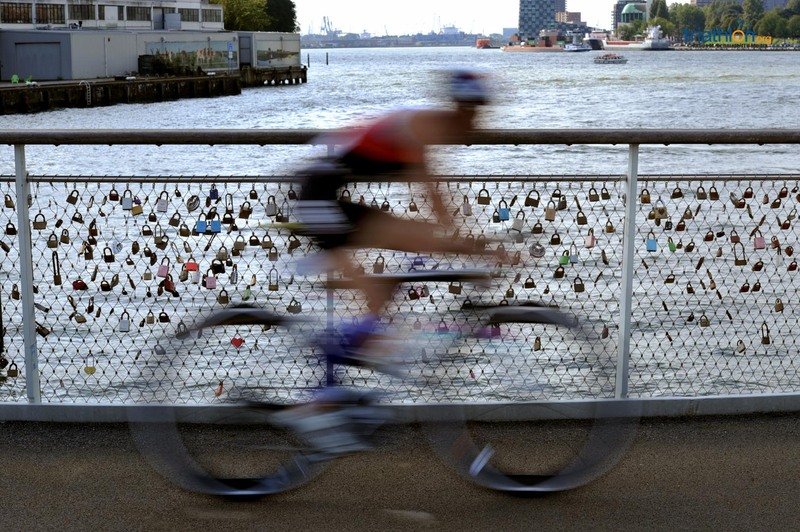 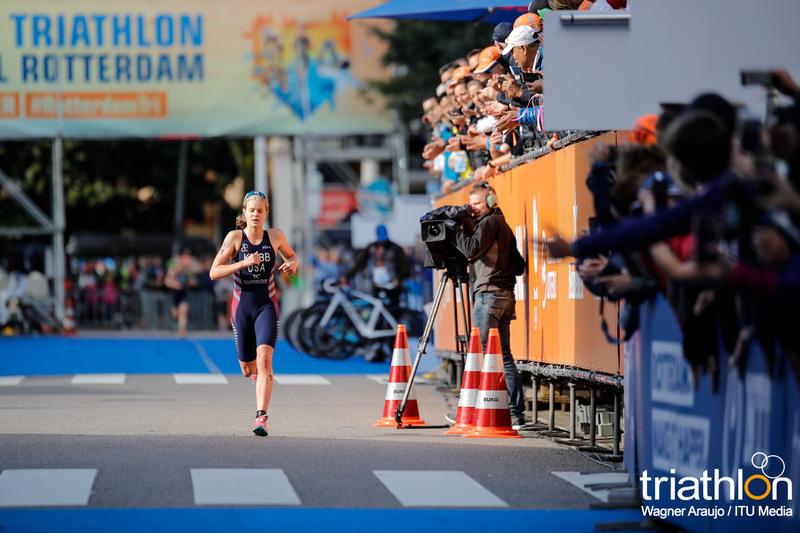 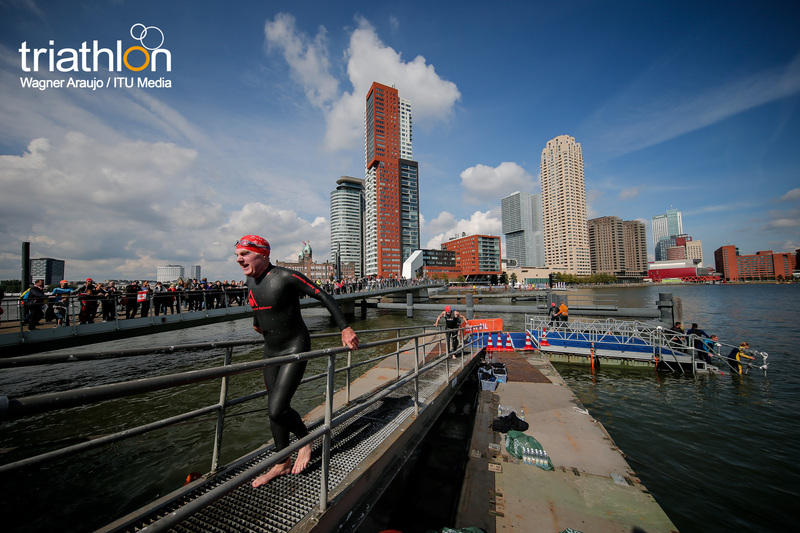 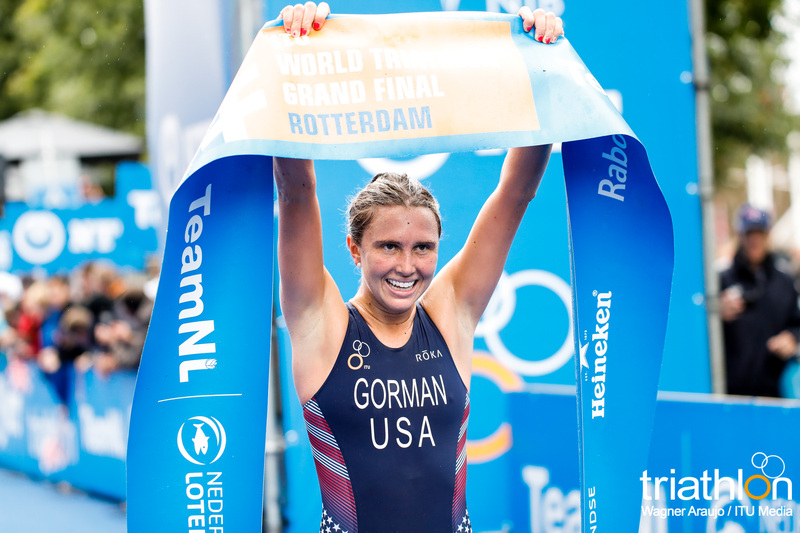 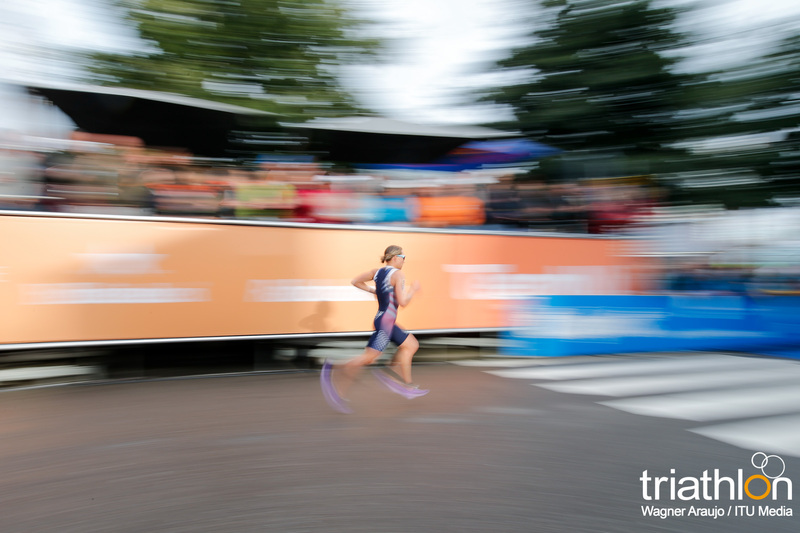 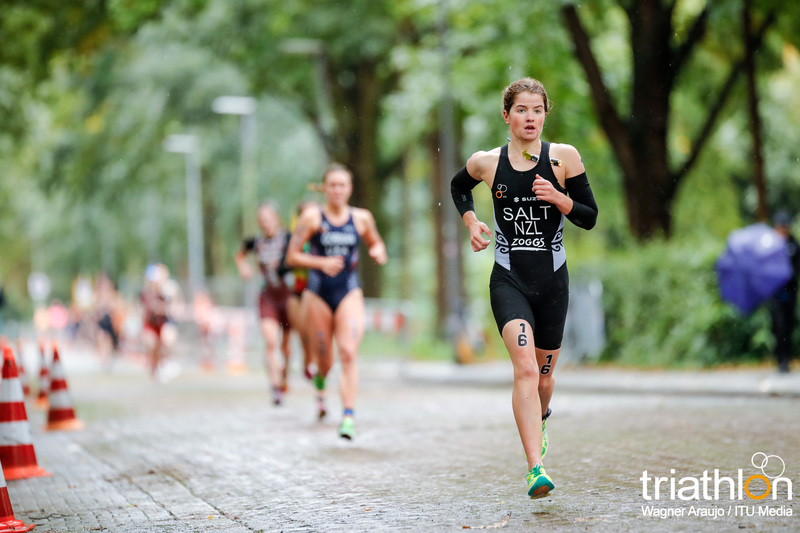 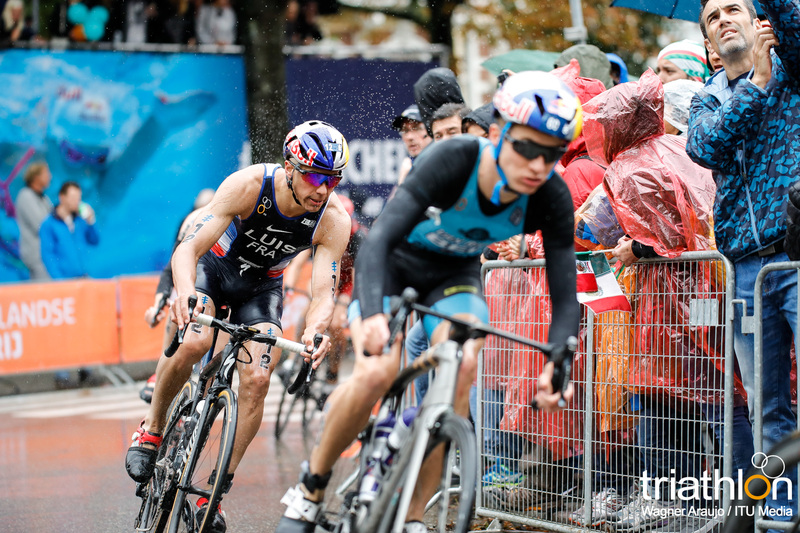 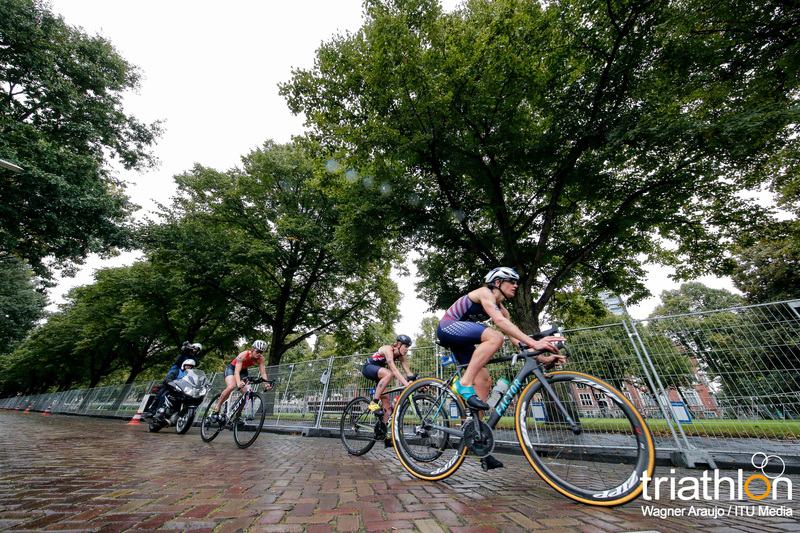 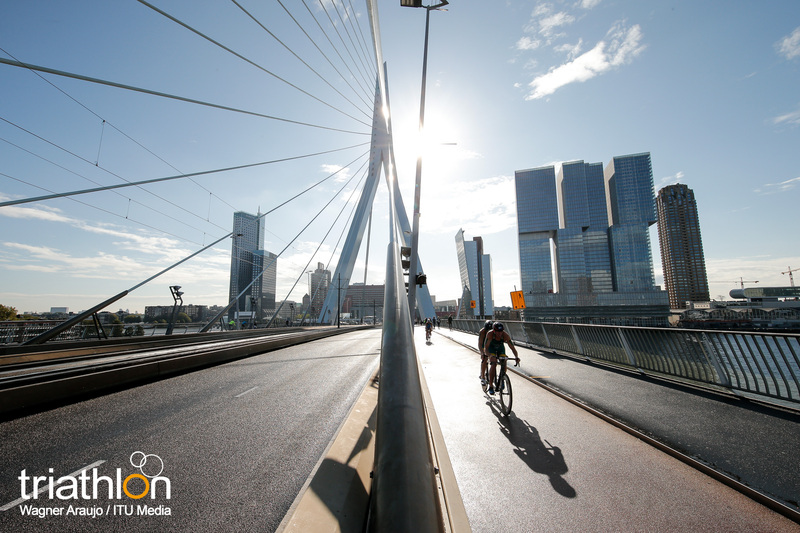 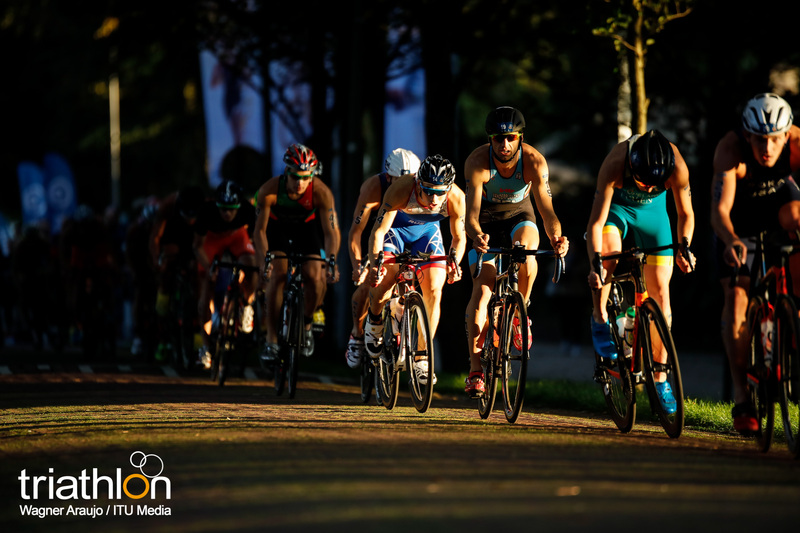 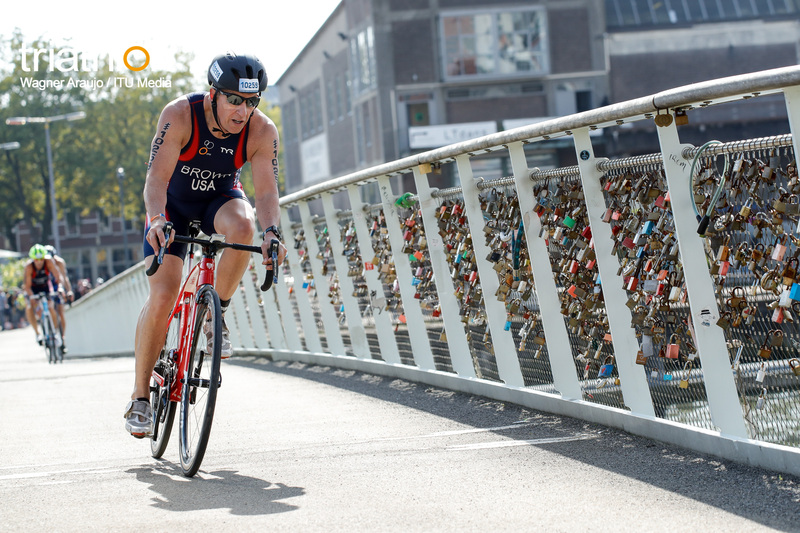 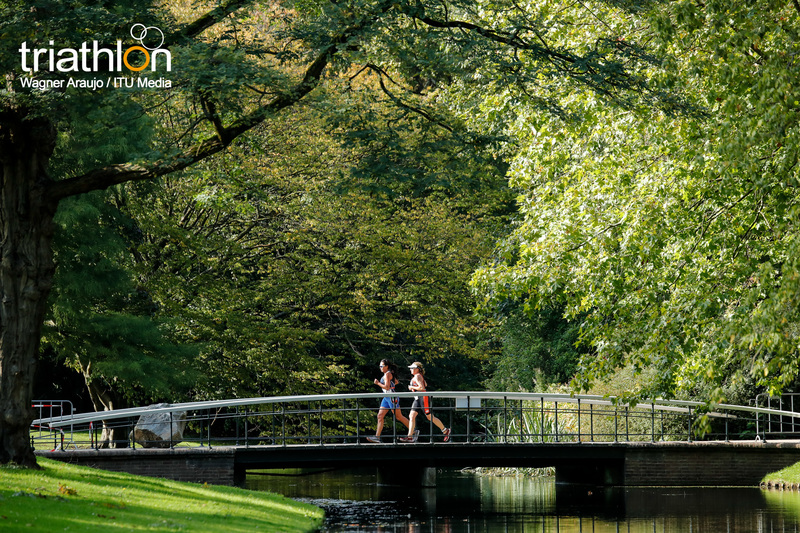 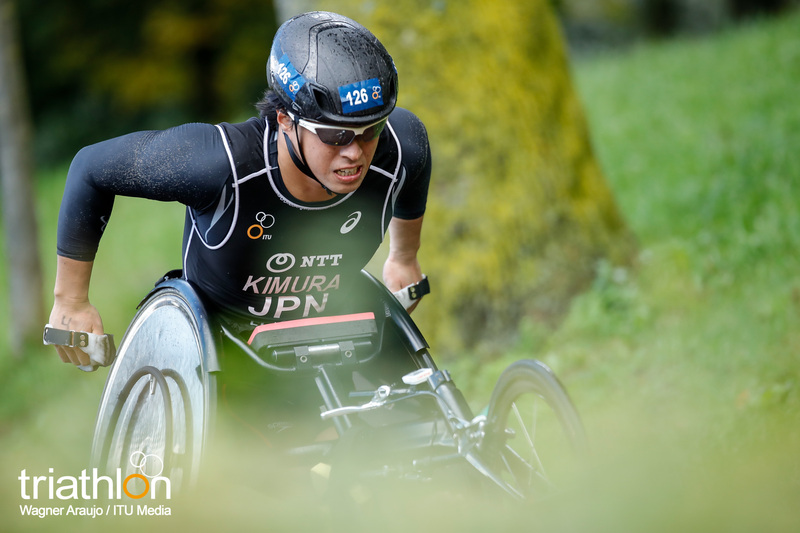 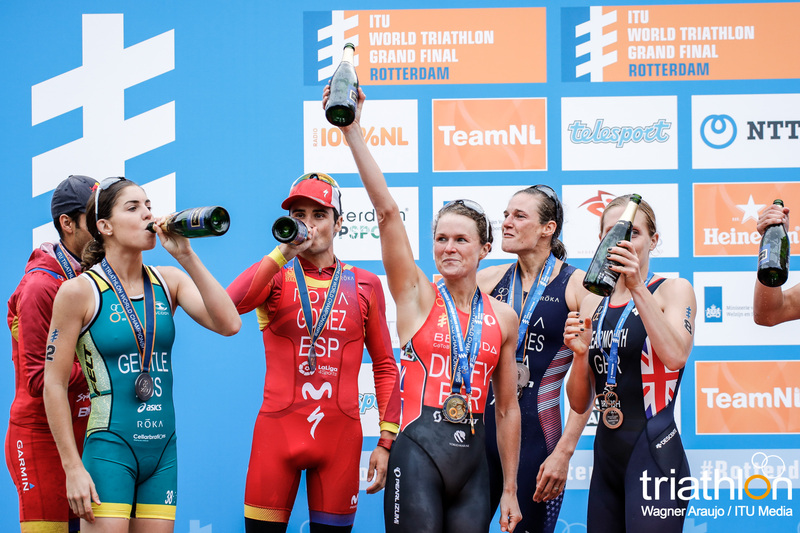 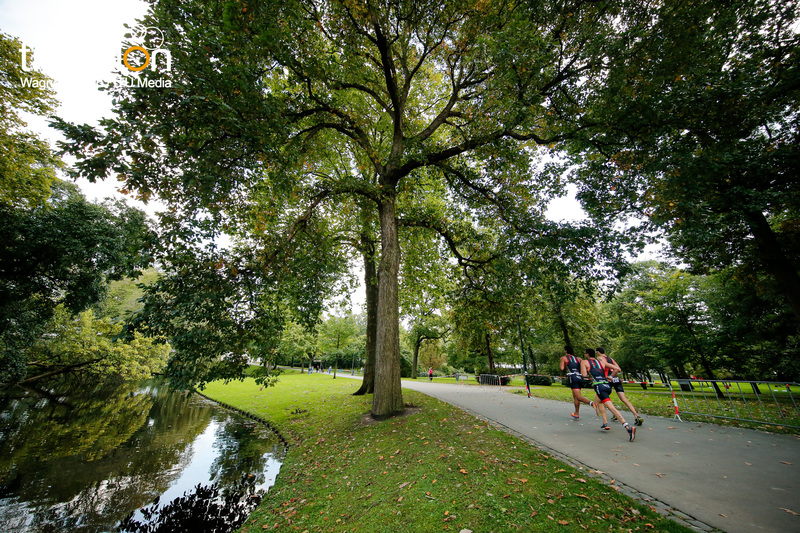 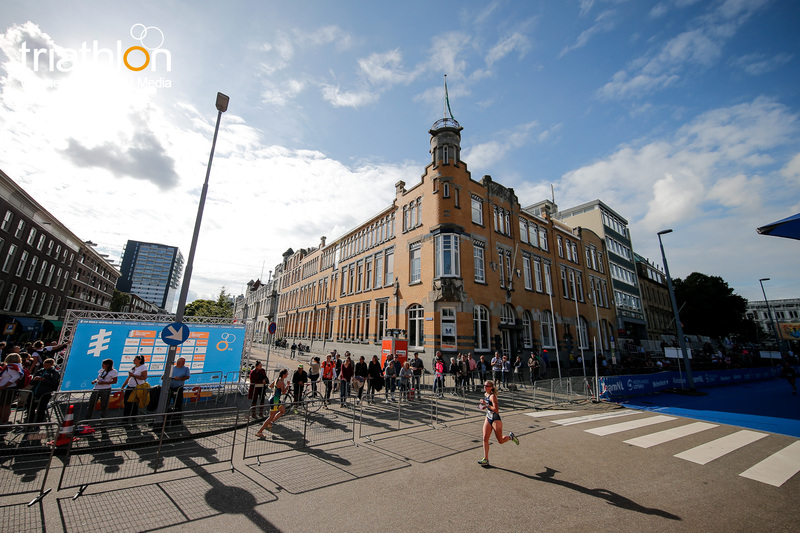 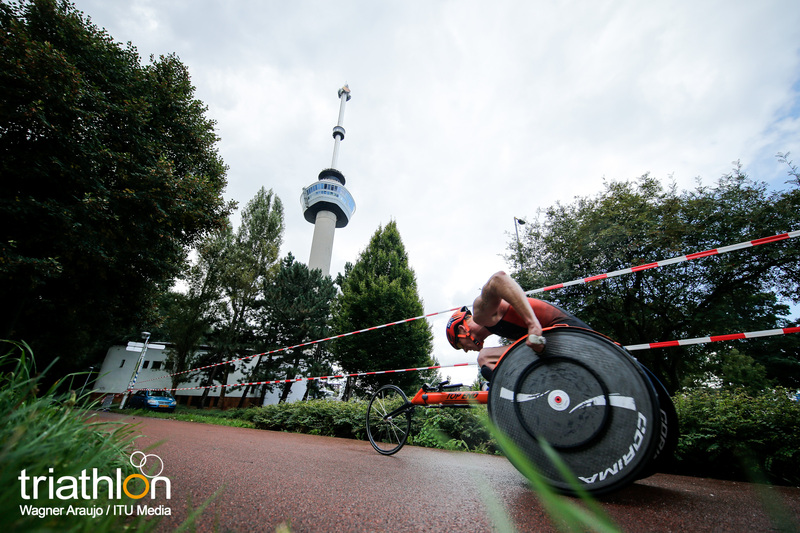 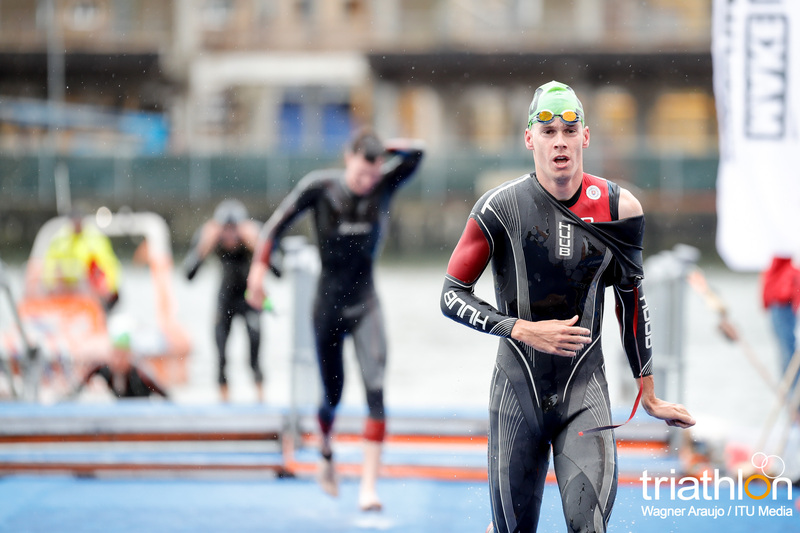 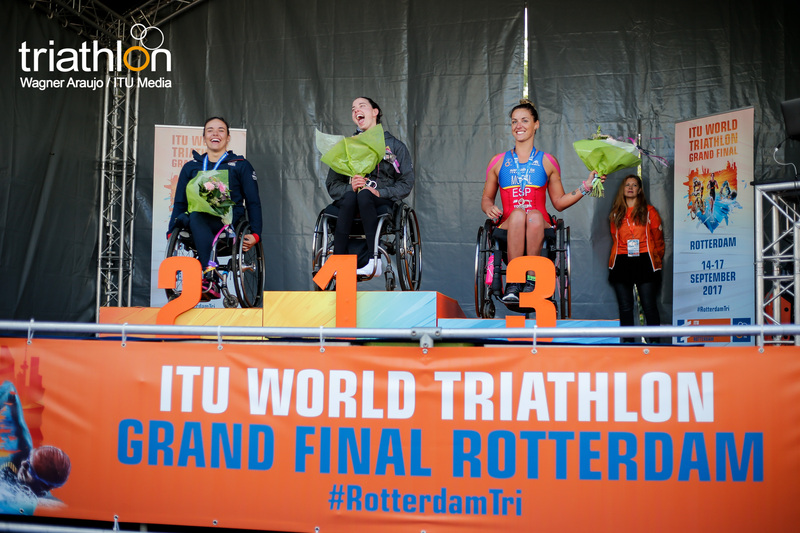 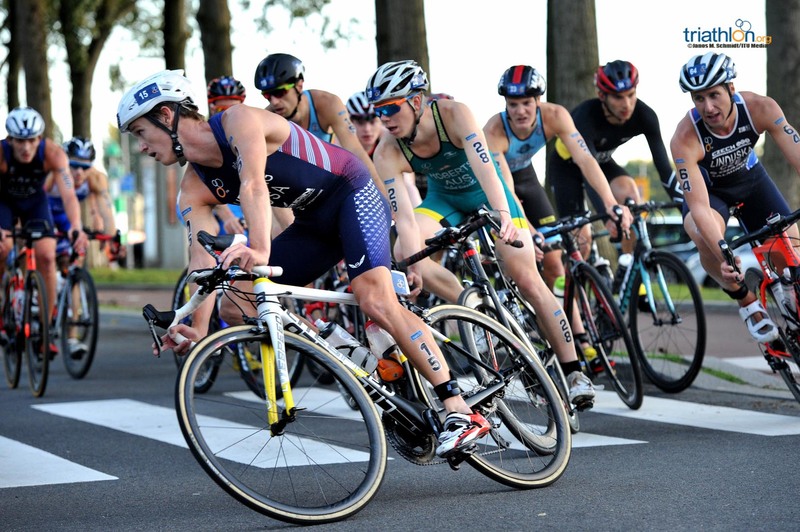 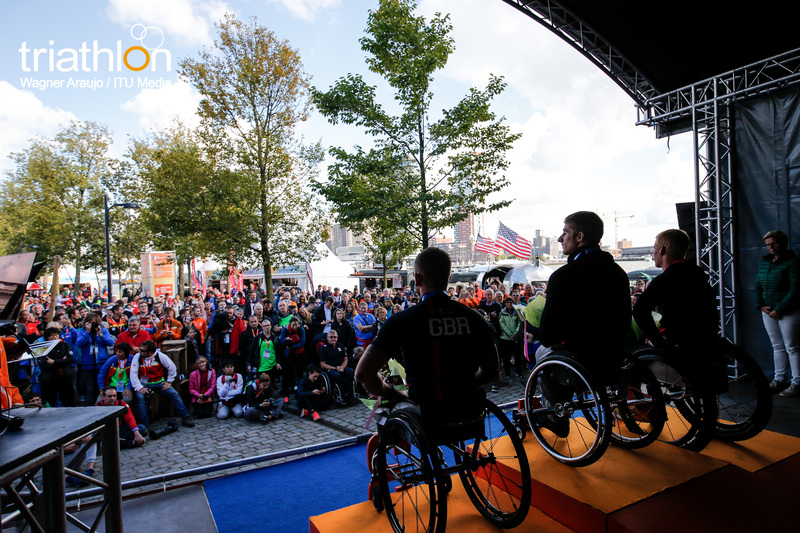 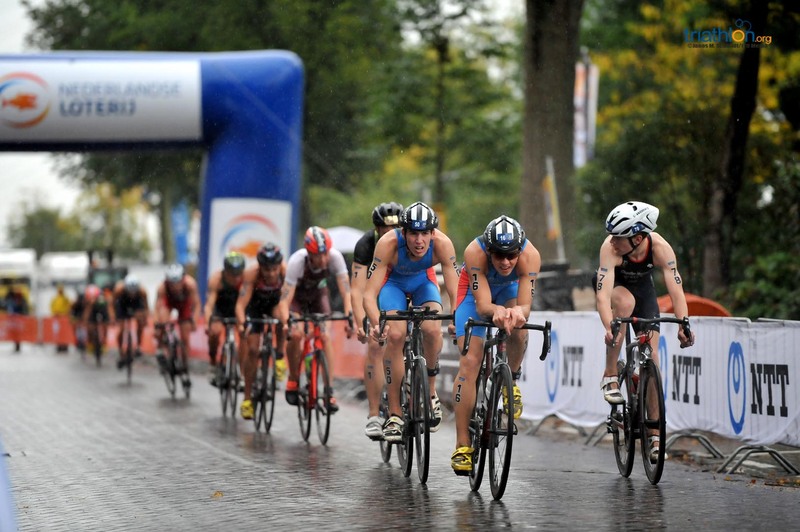 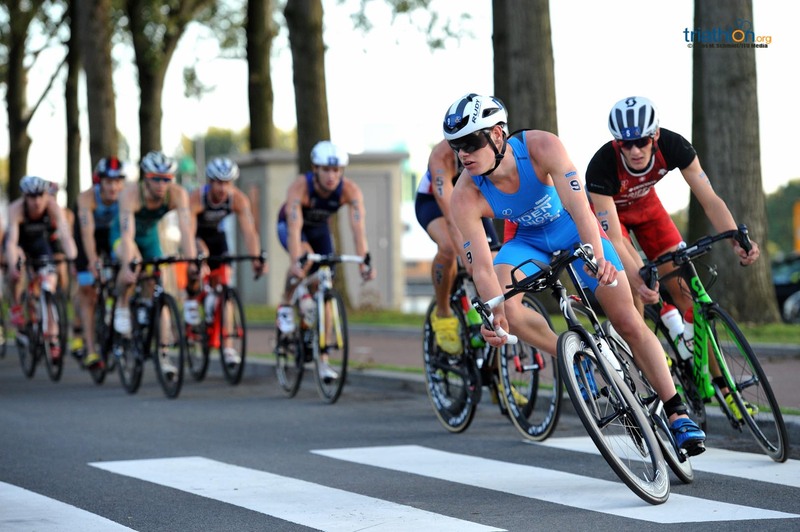 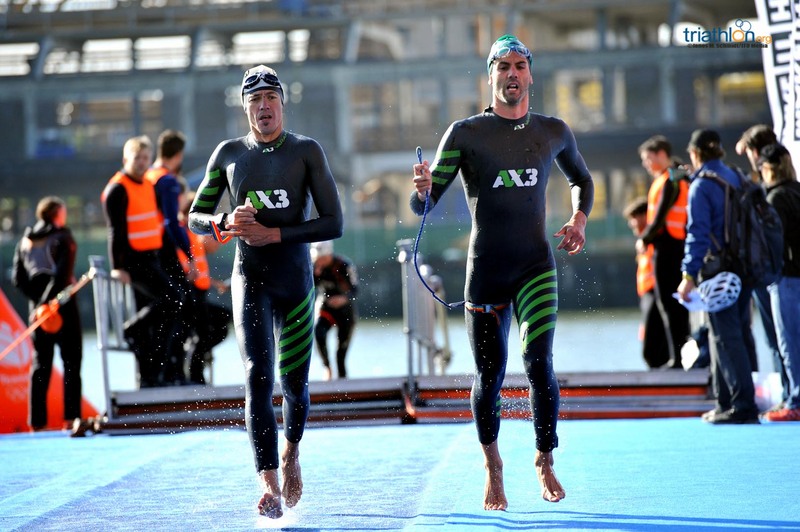 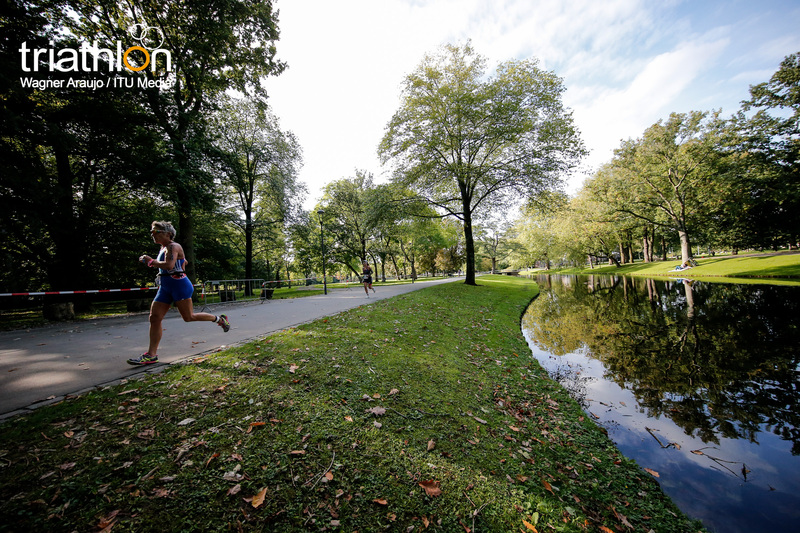 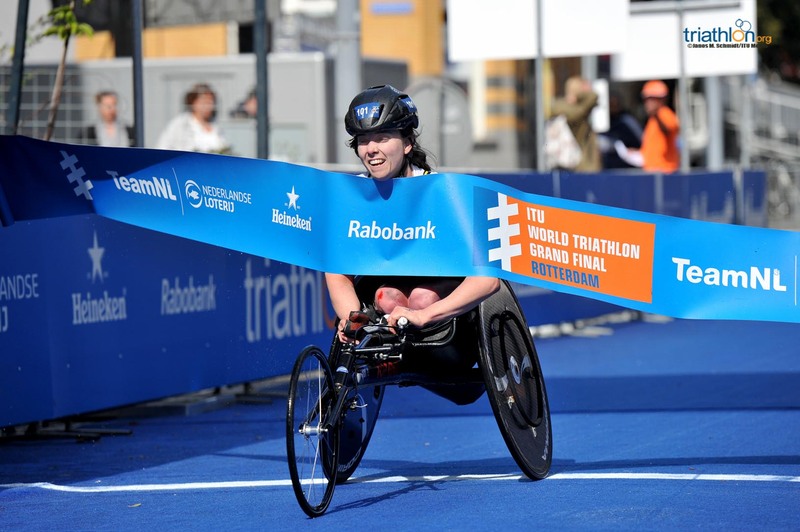 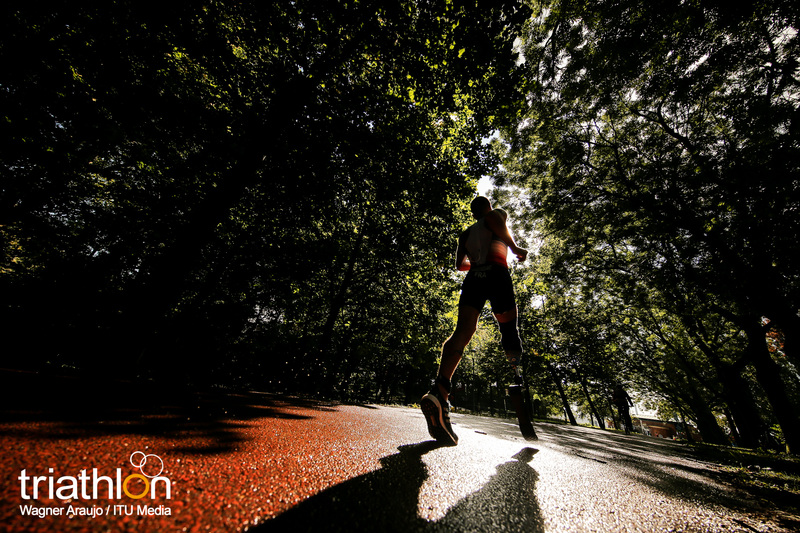 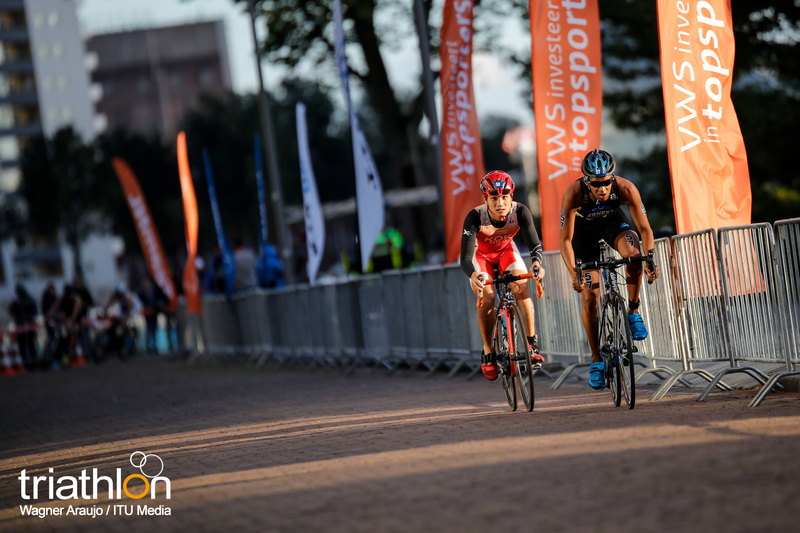 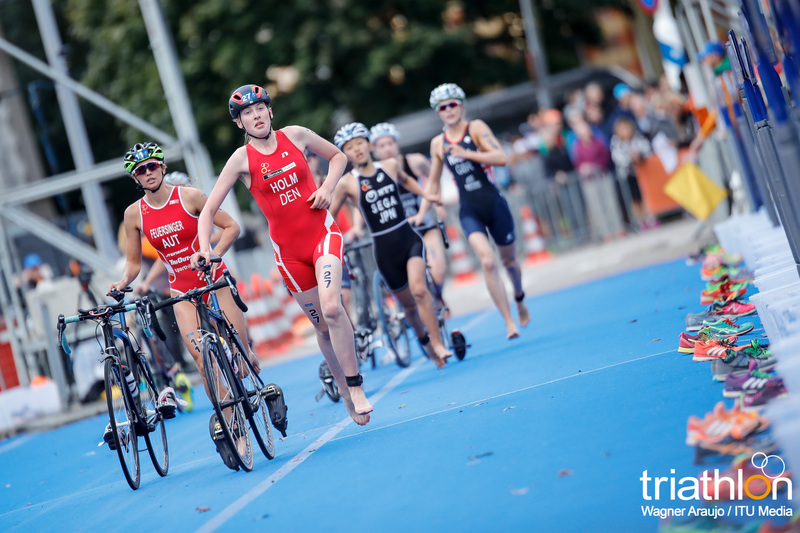 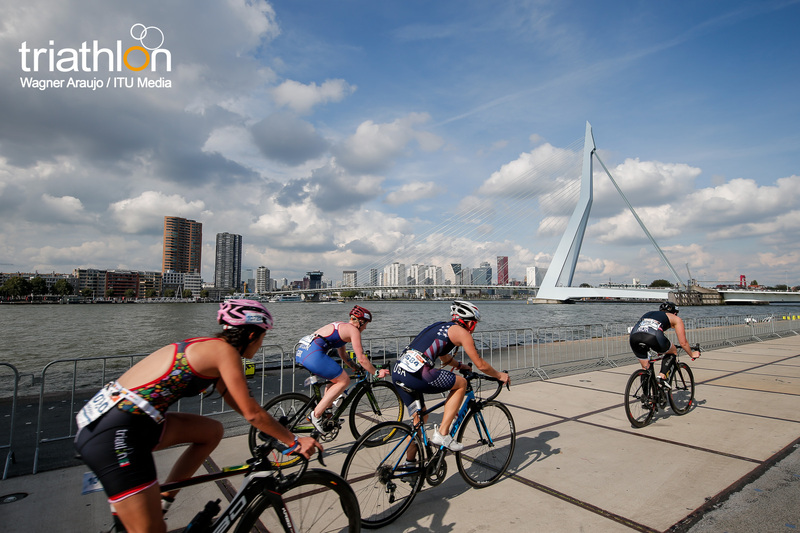 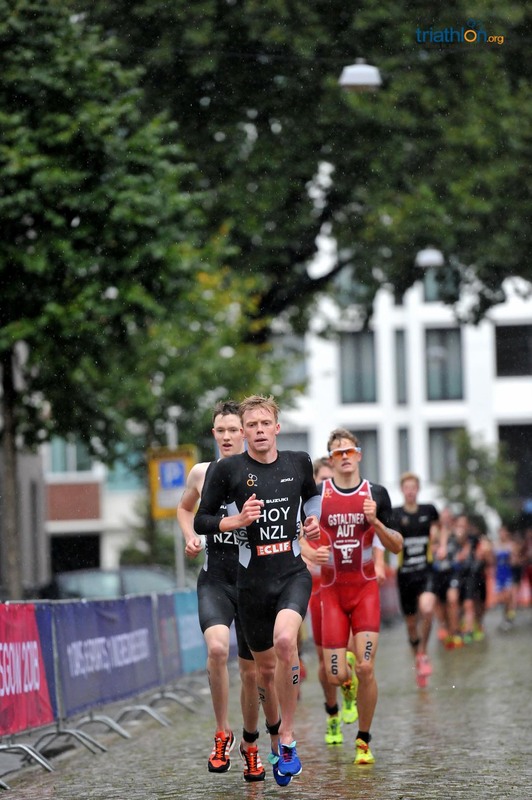 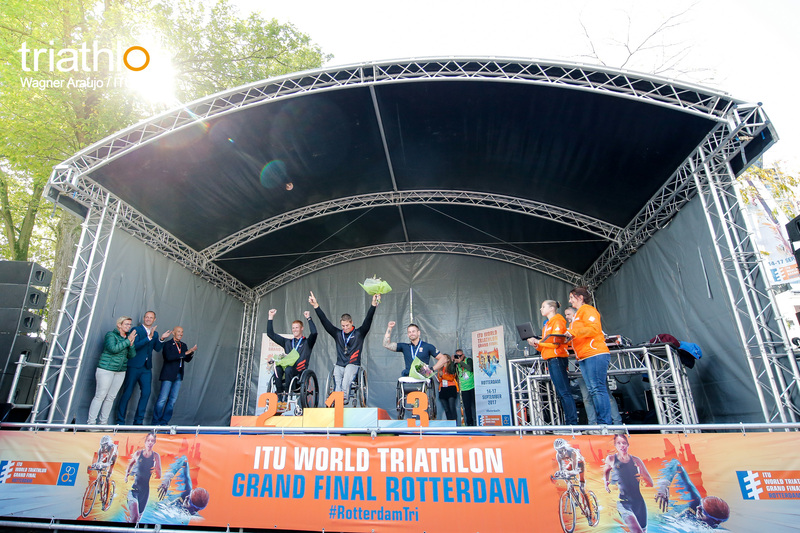 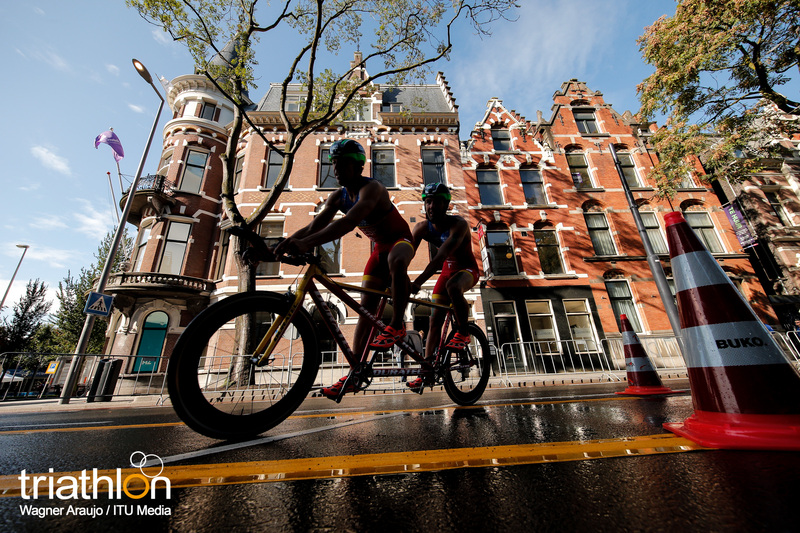 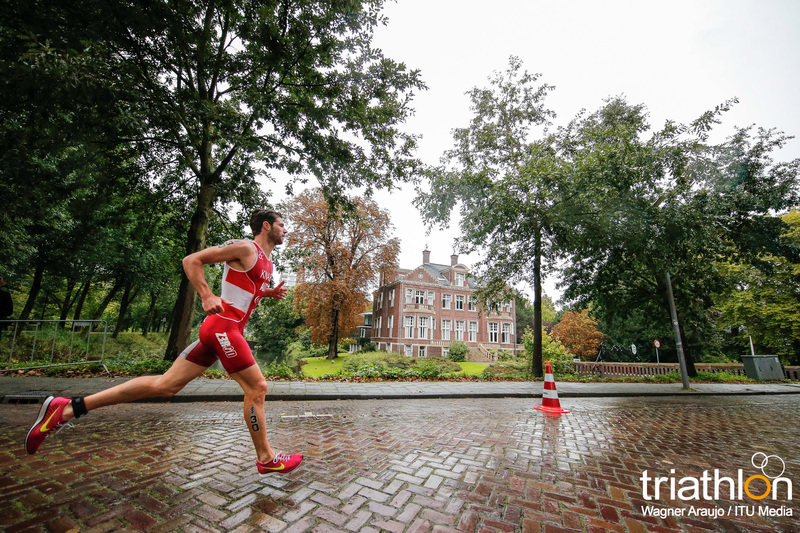 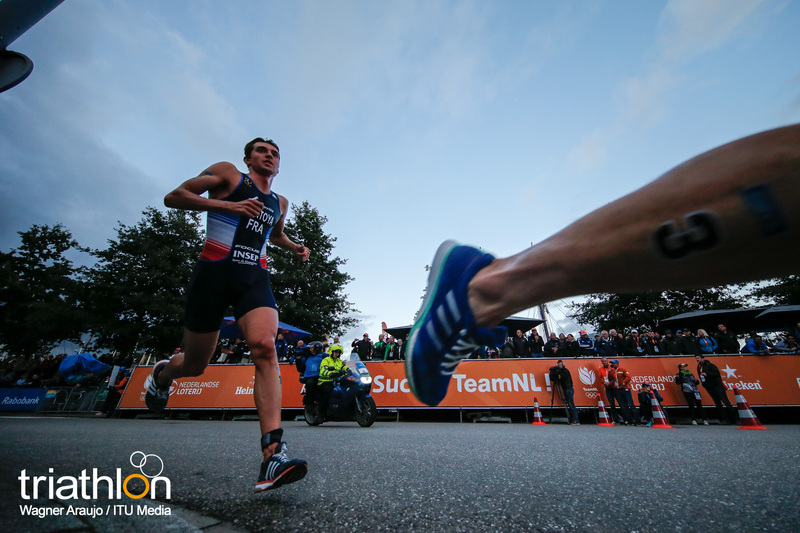 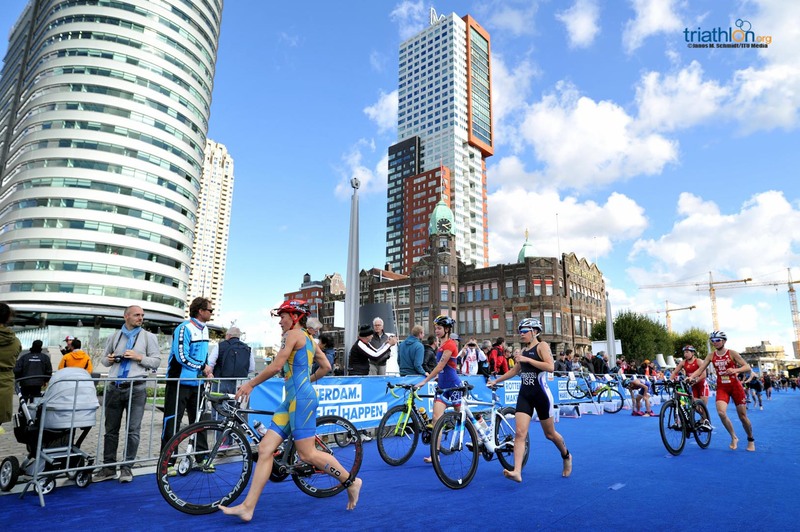 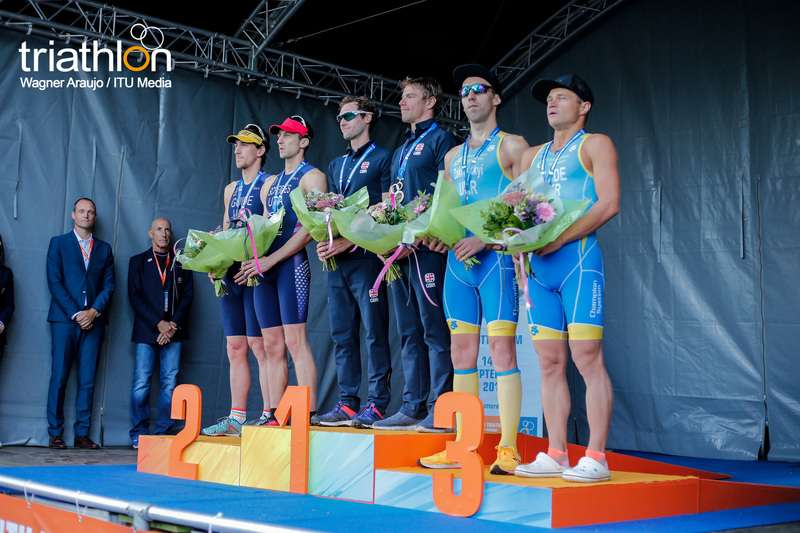 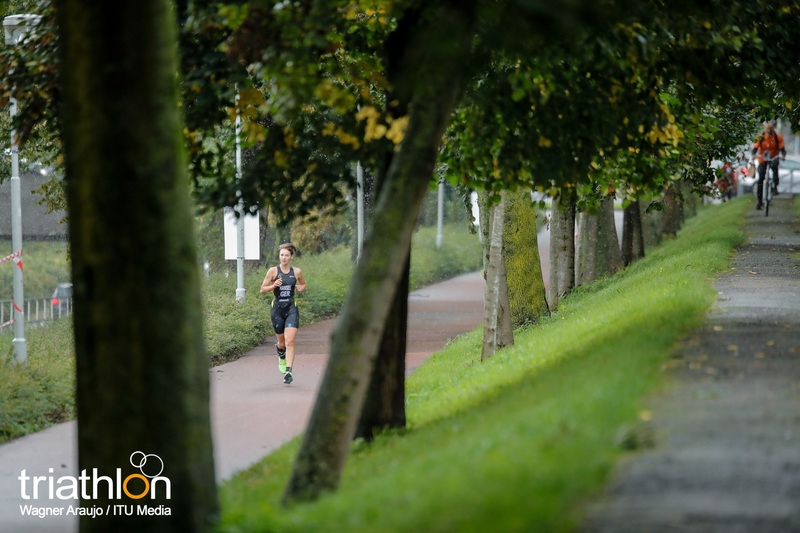 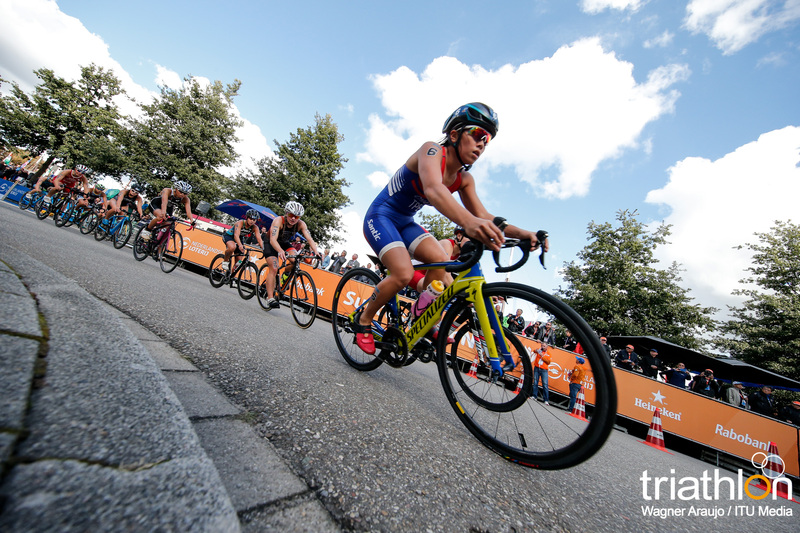 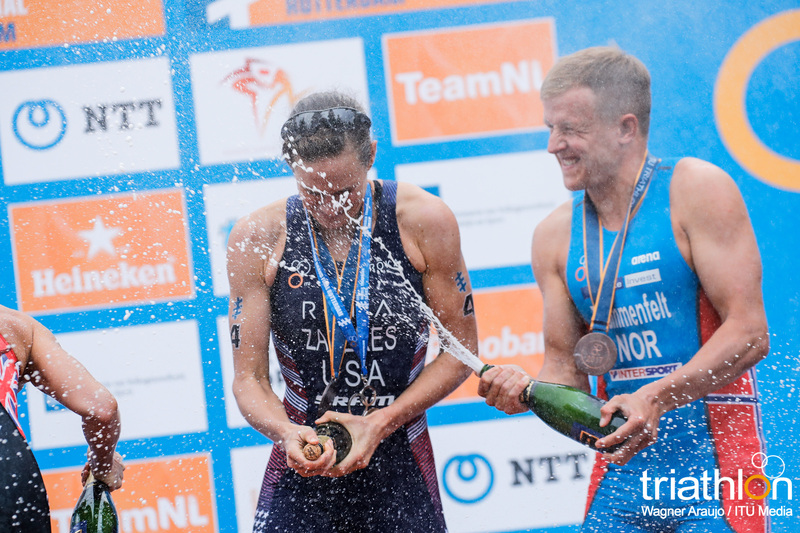 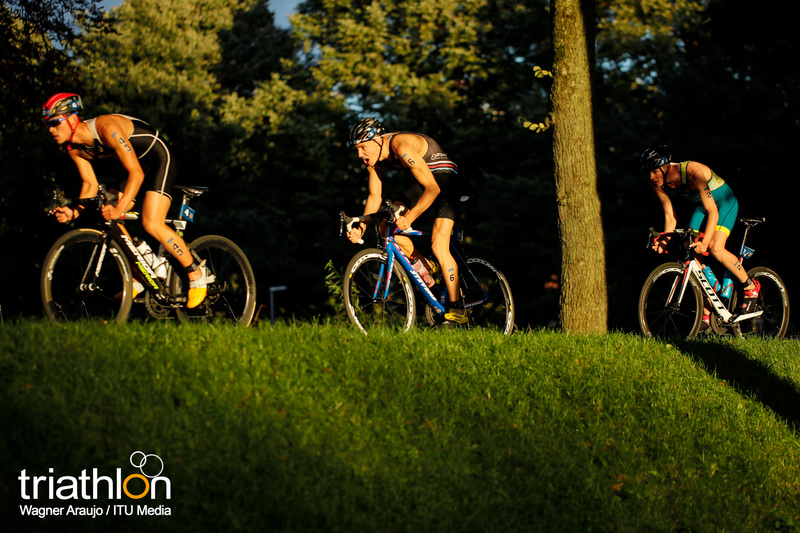 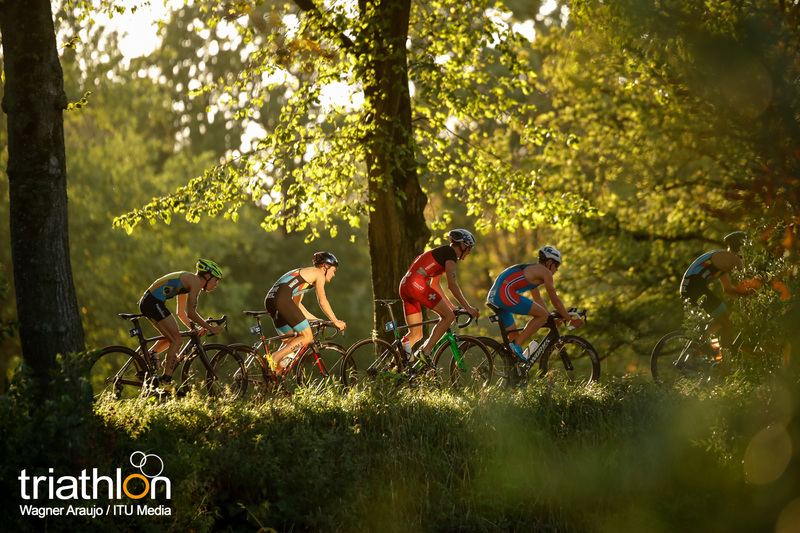 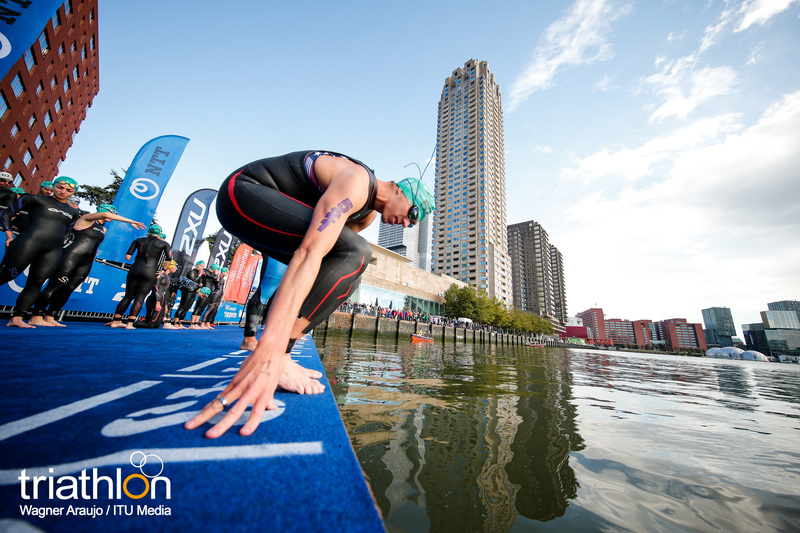 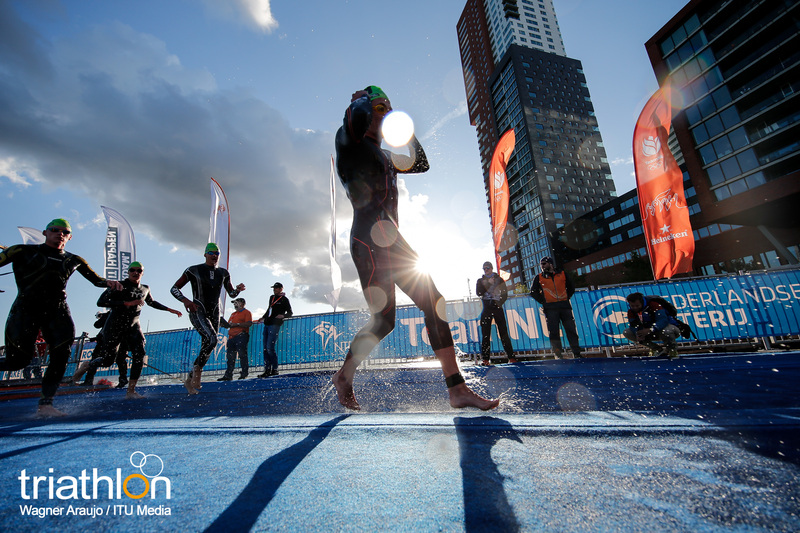 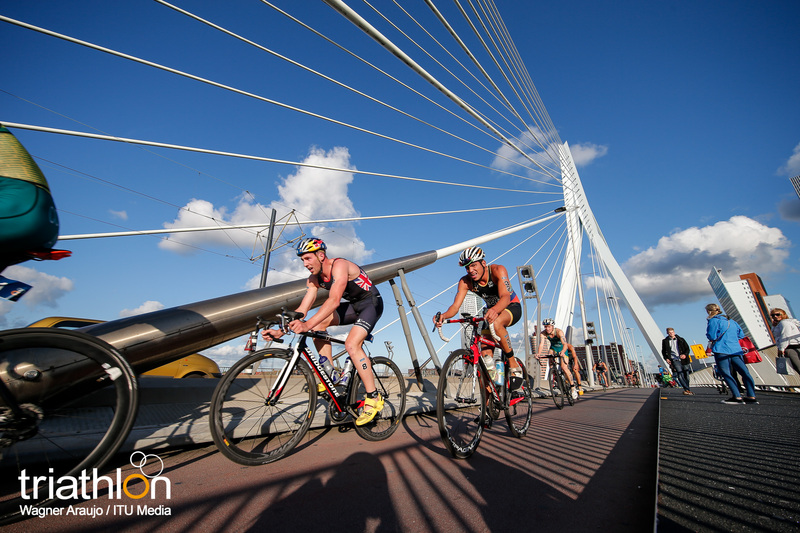 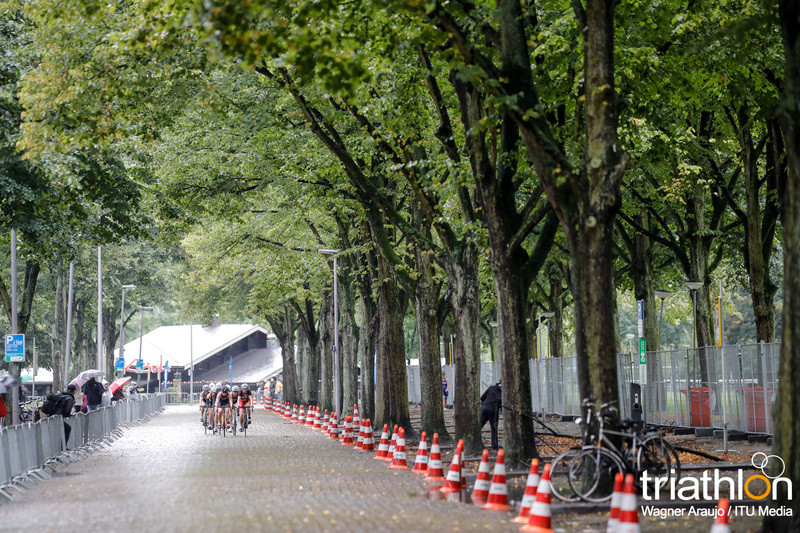 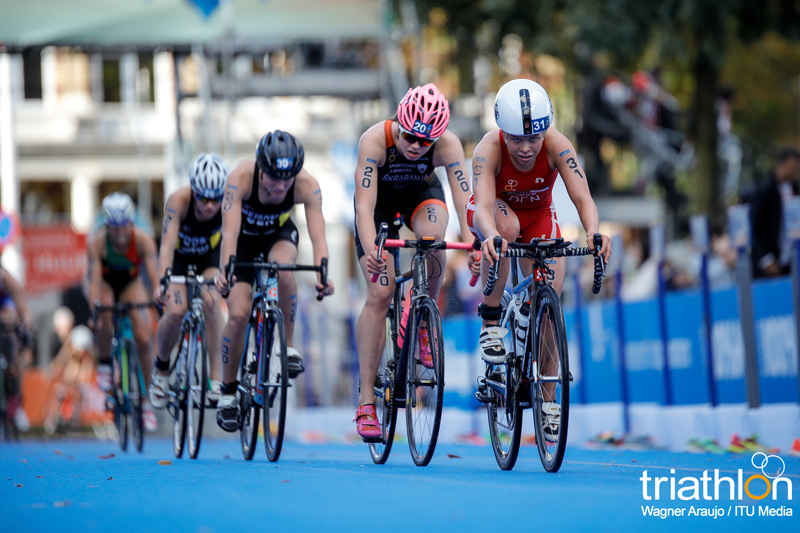 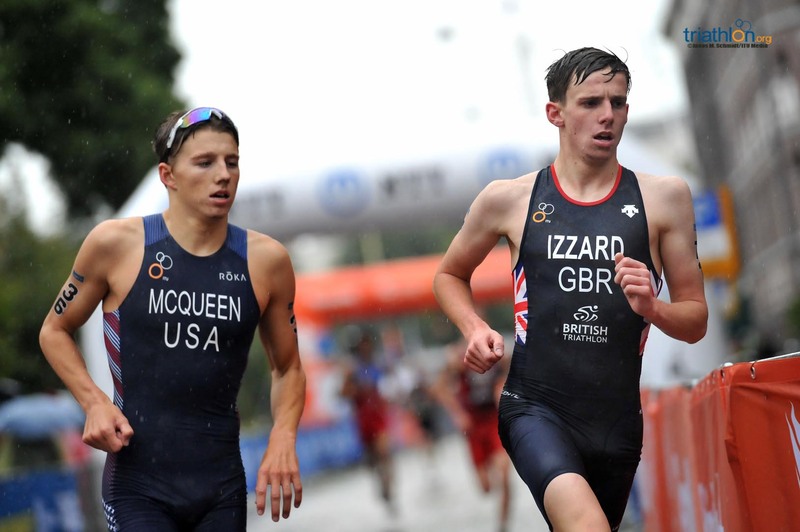 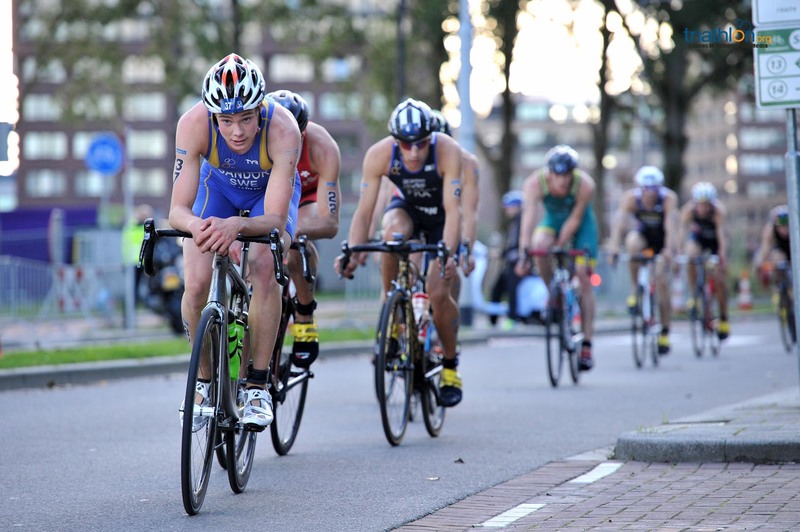 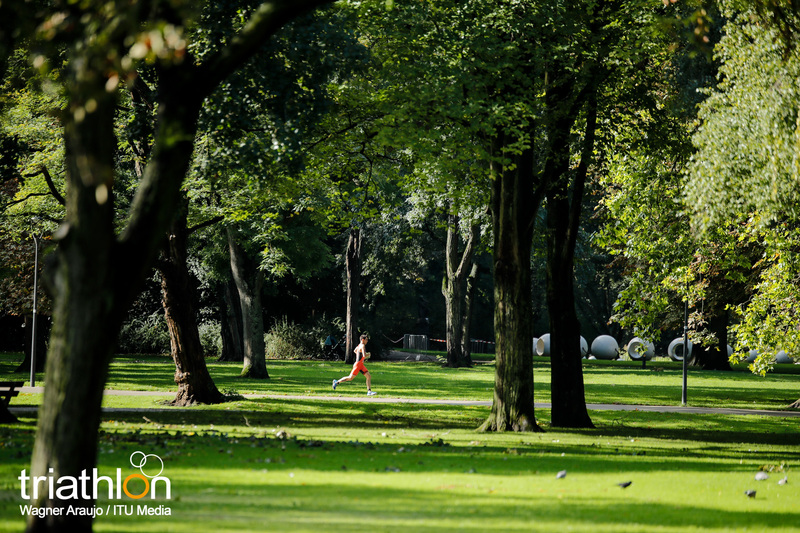 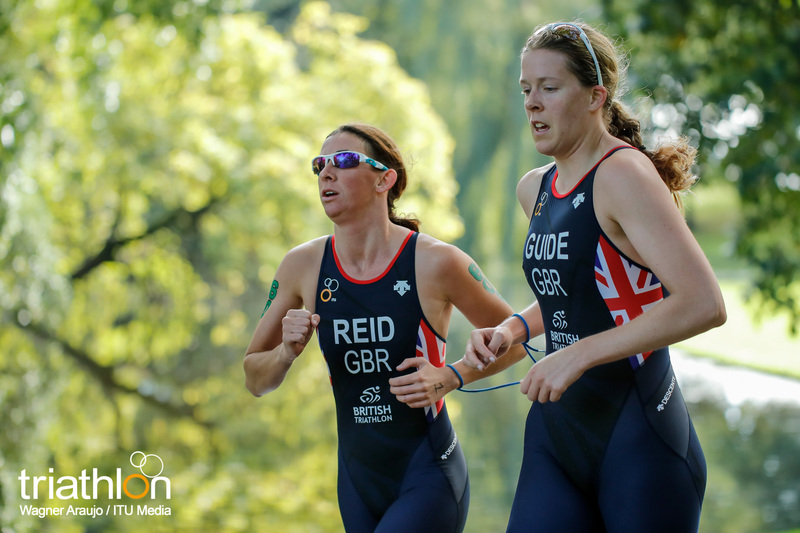 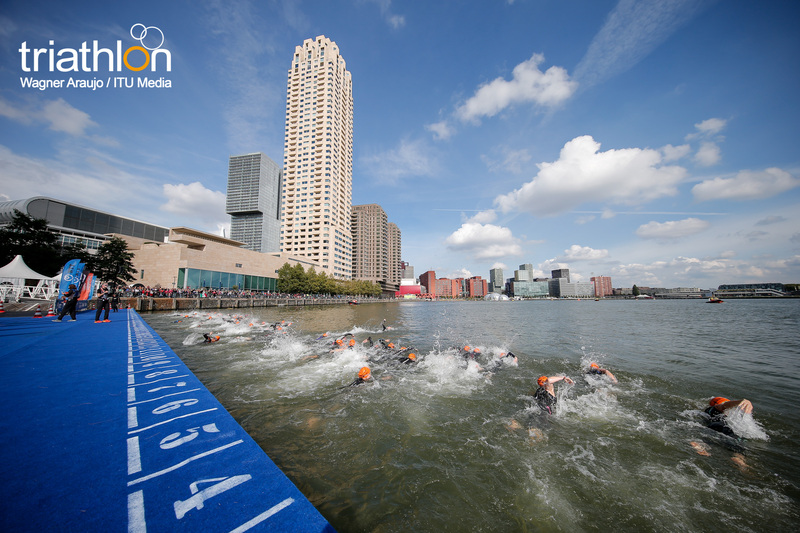 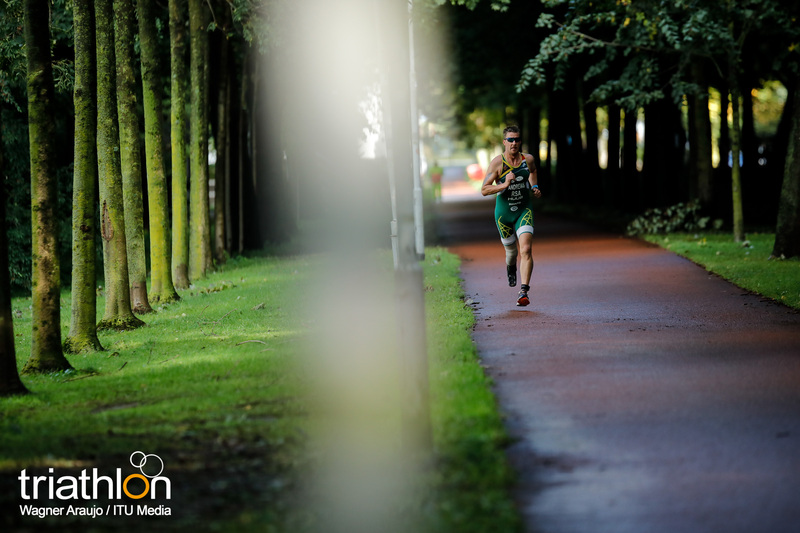 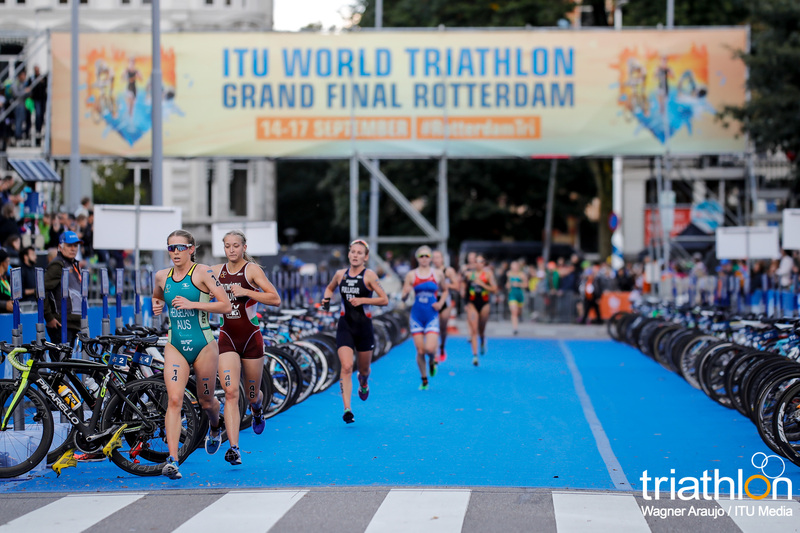 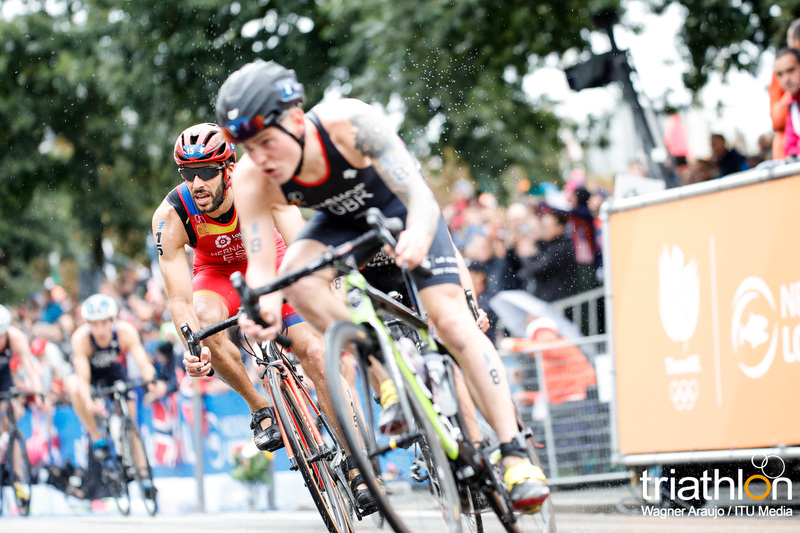 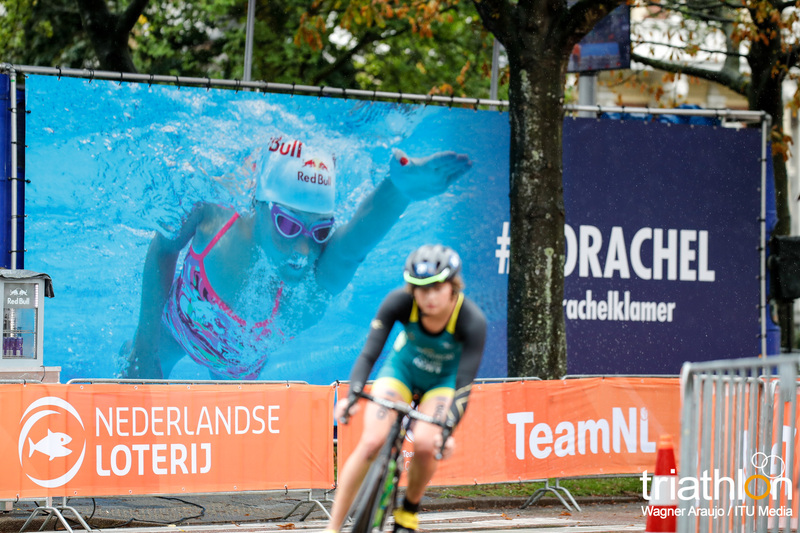 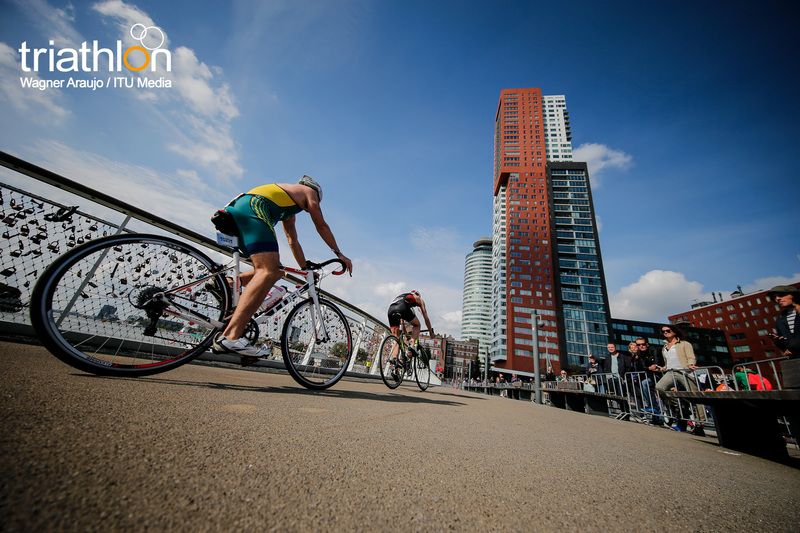 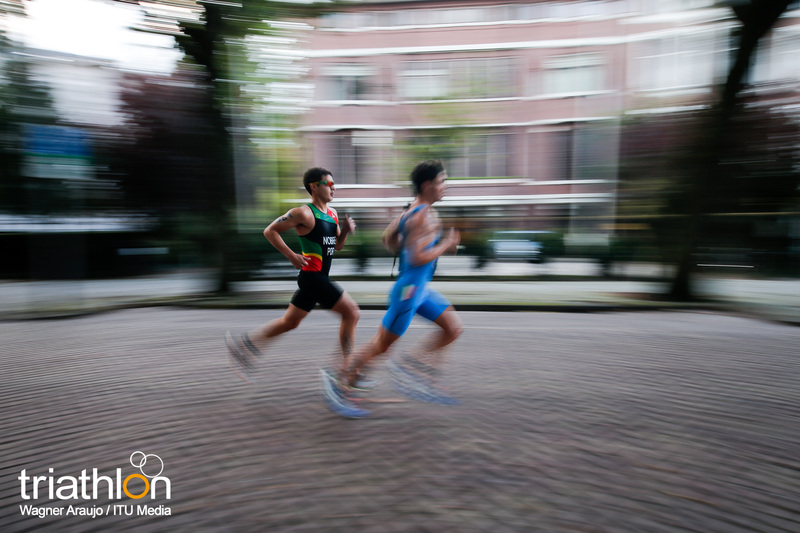 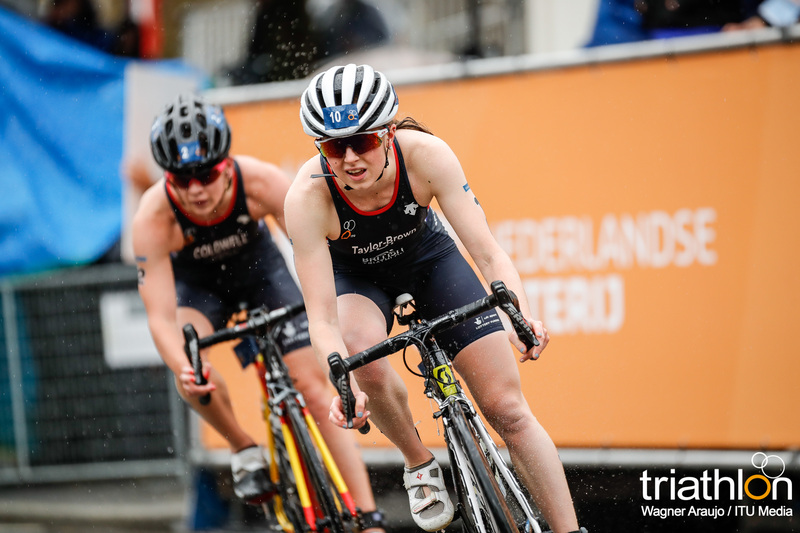 Before the world watches as the elite world champions are crowned in Rotterdam, the Under 23 field will toe the line to battle it out for World Championship honours at the 2017 ITU World Triathlon Grand Final Rotterdam. 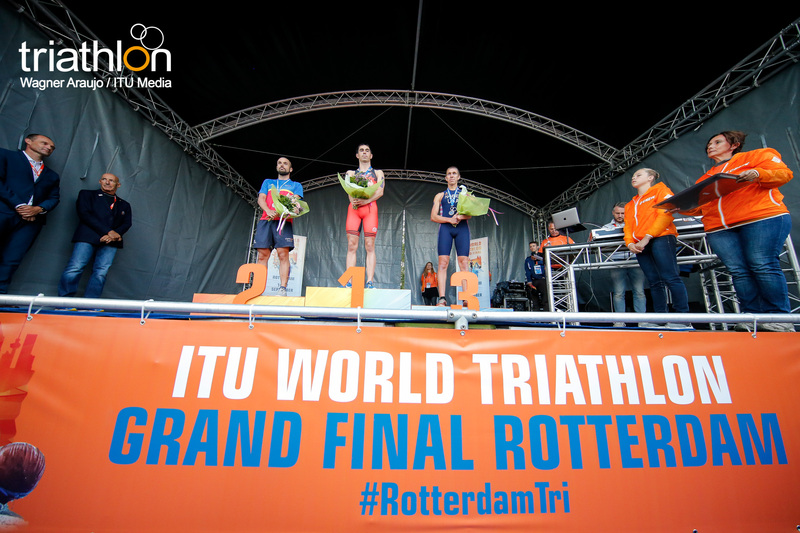 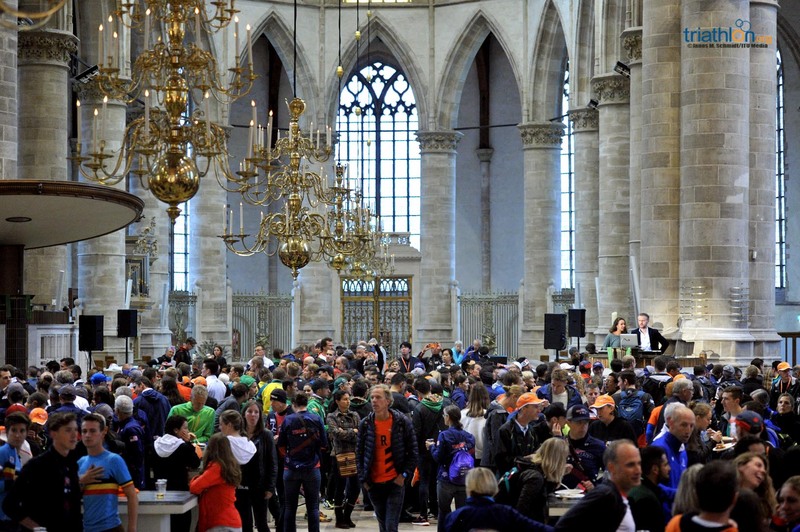 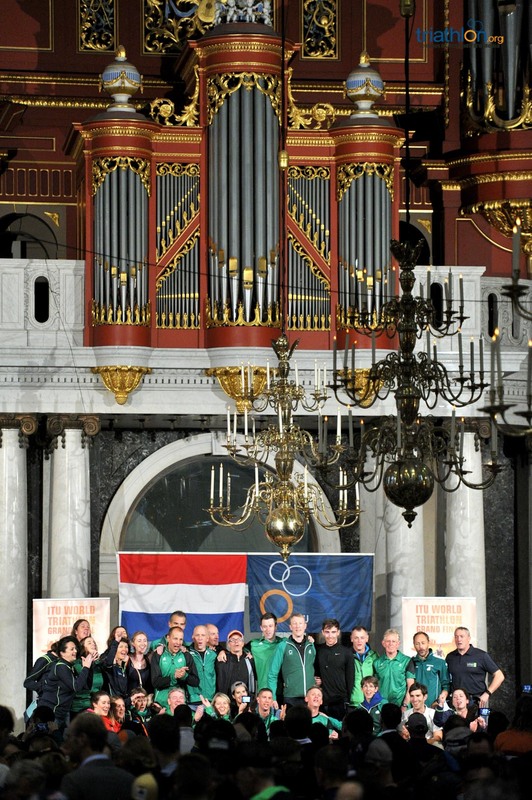 On the men’s side, Jorik Van Egdom (NED) returns as the reigning 2016 U23 World Championship to reclaim his title, while on the women’s side the gold is up for grabs for anyone’s taking. 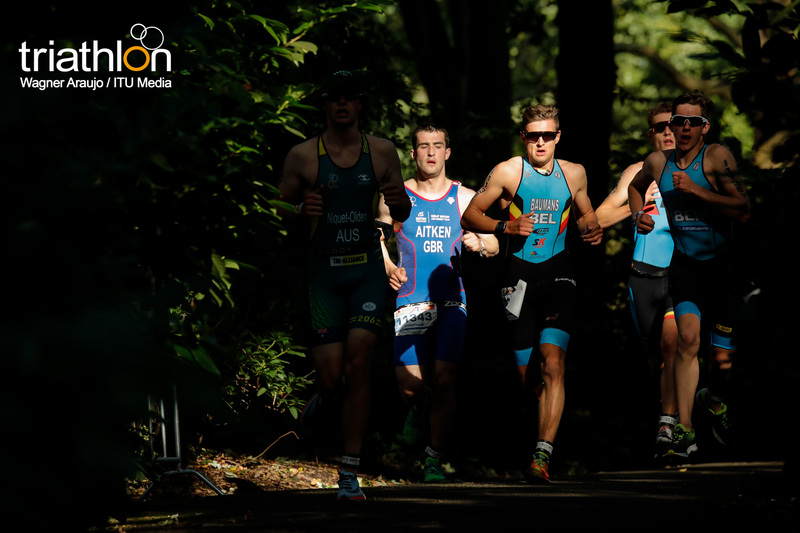 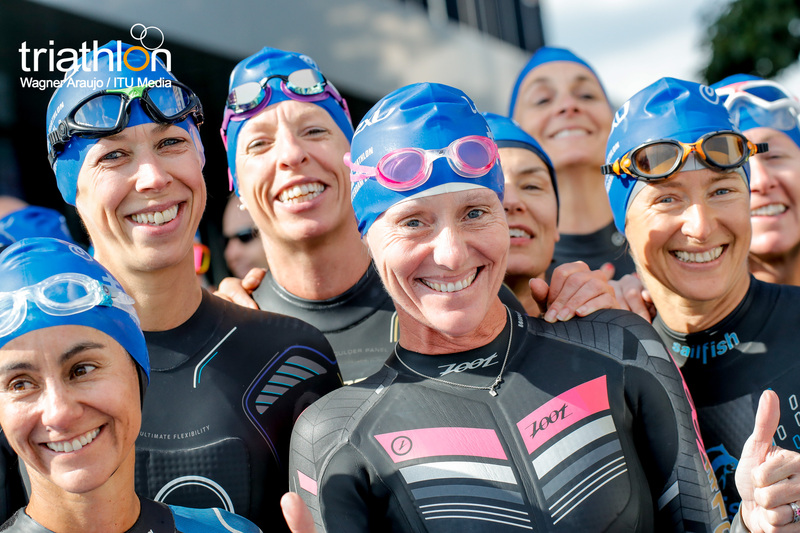 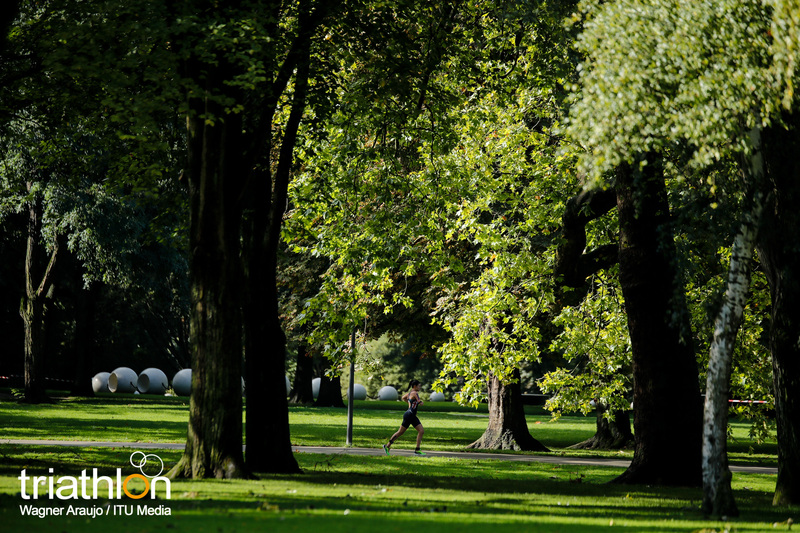 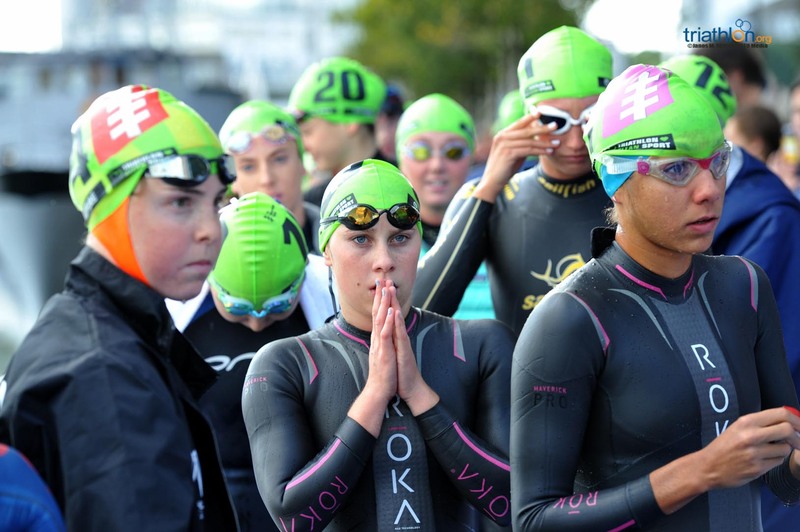 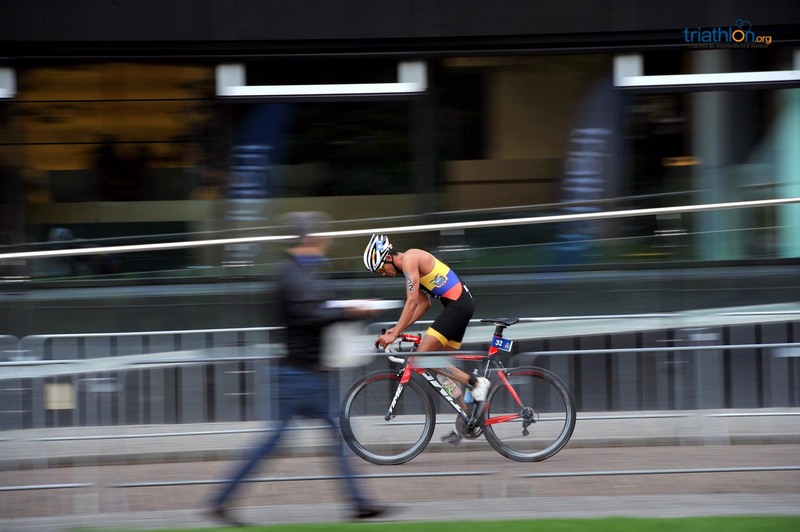 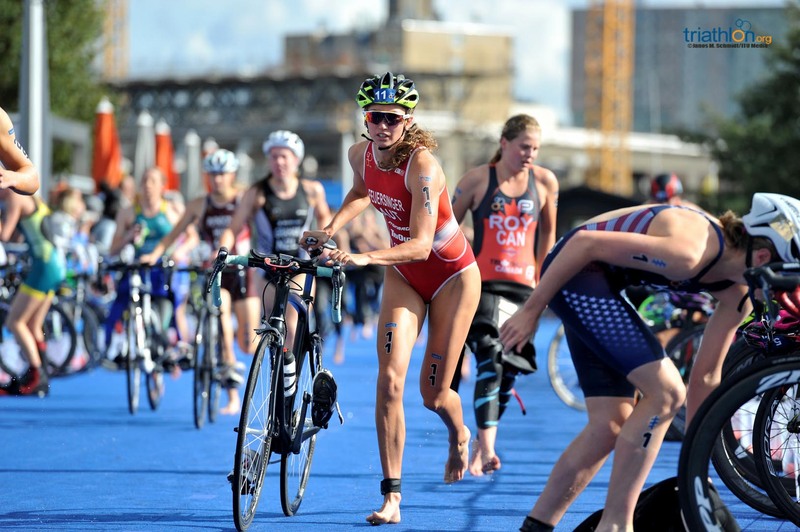 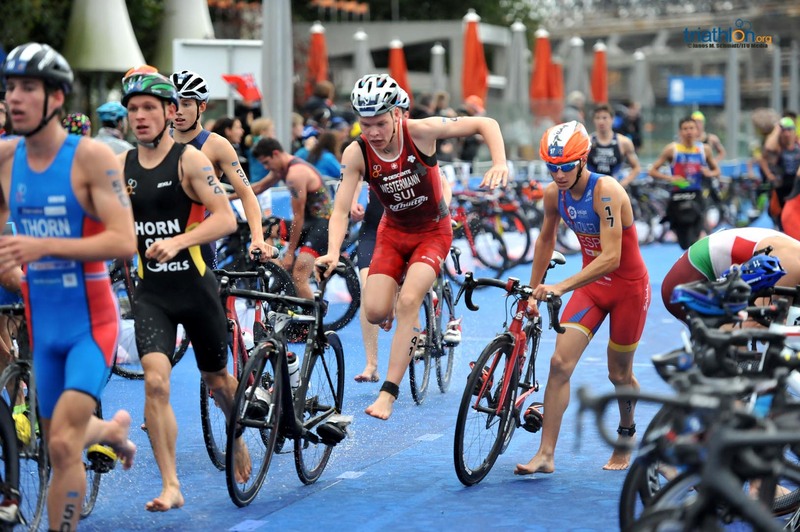 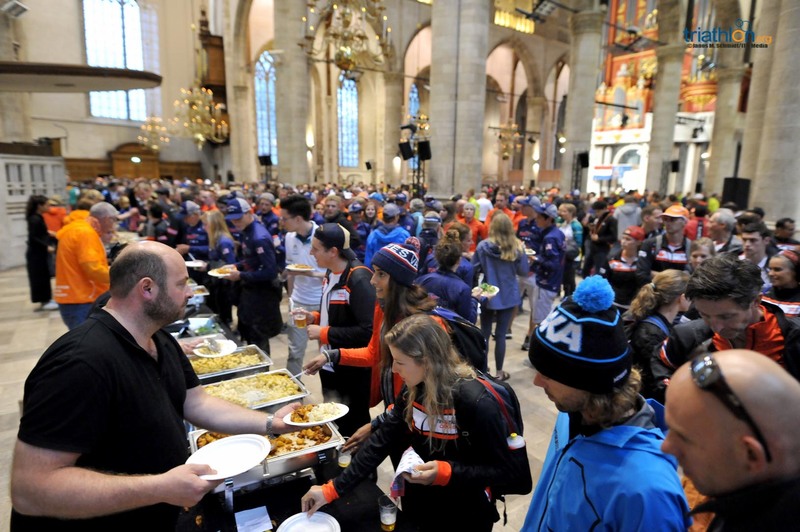 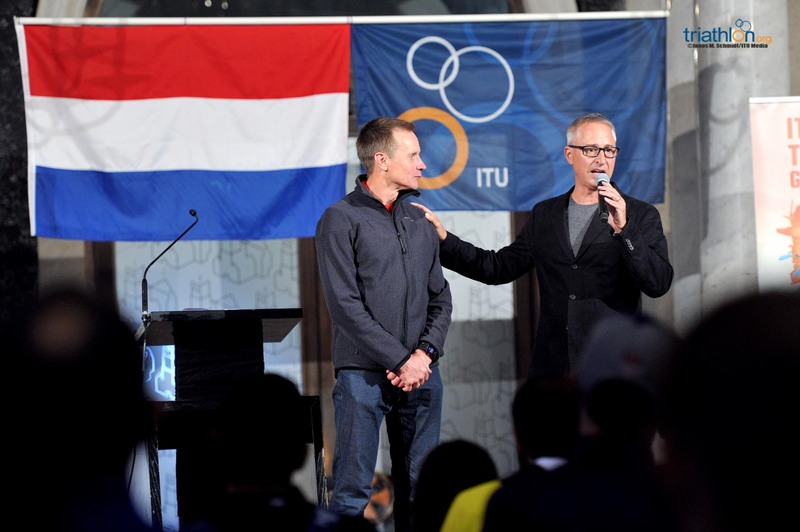 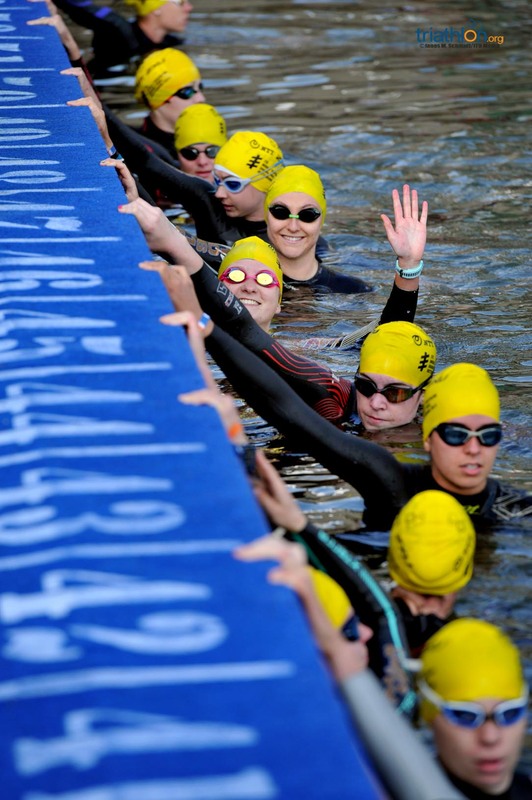 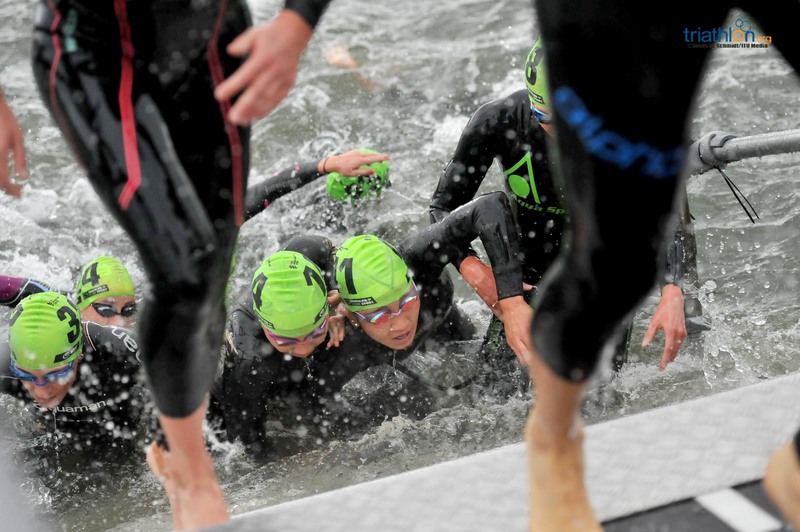 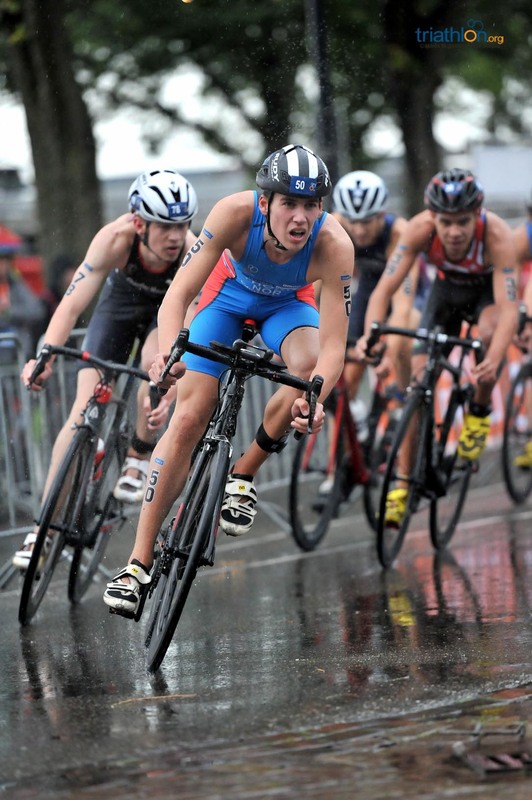 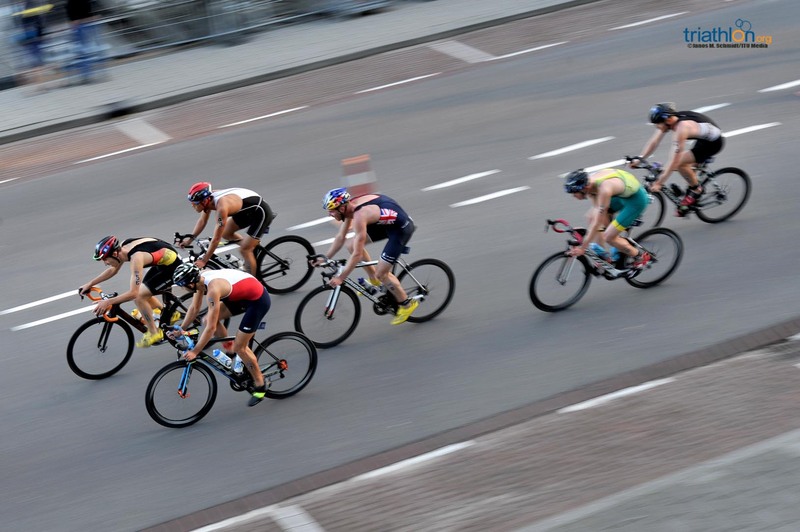 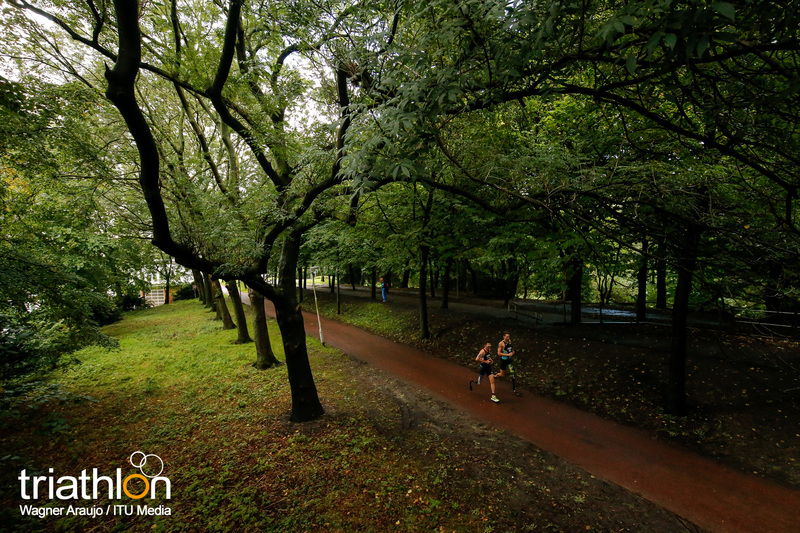 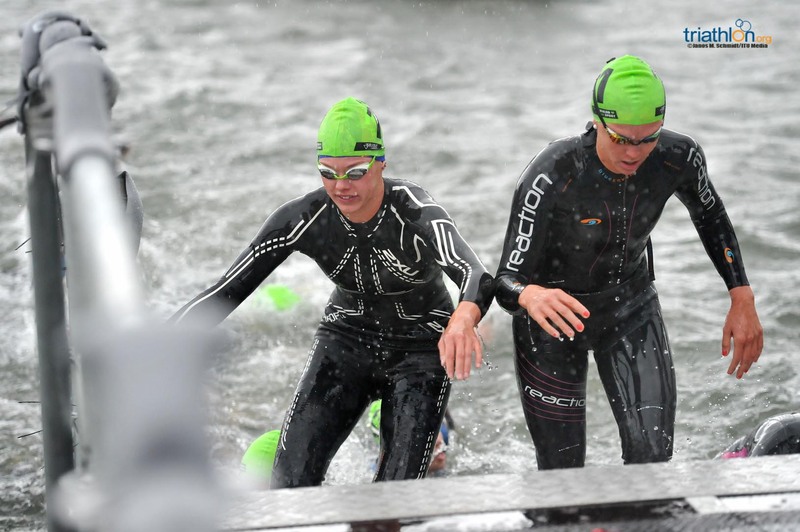 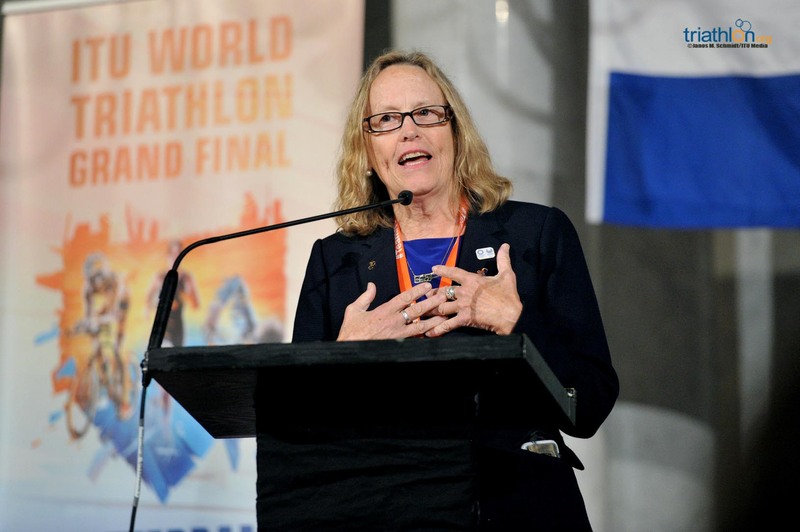 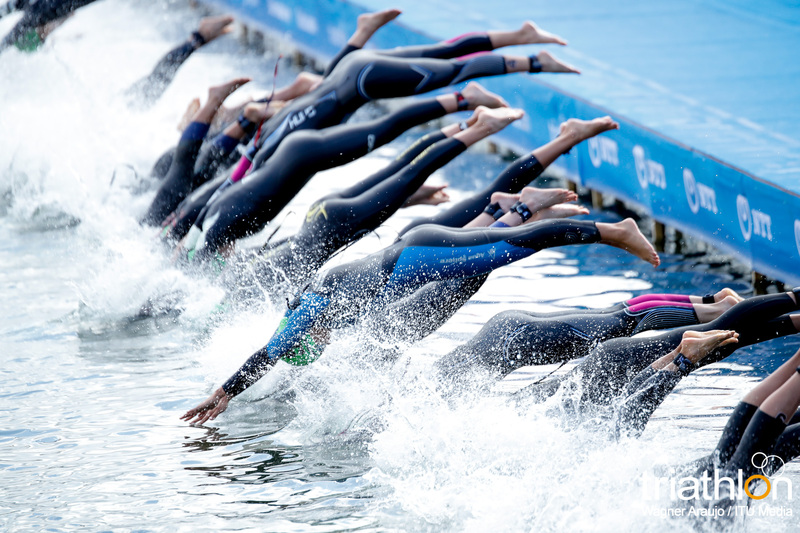 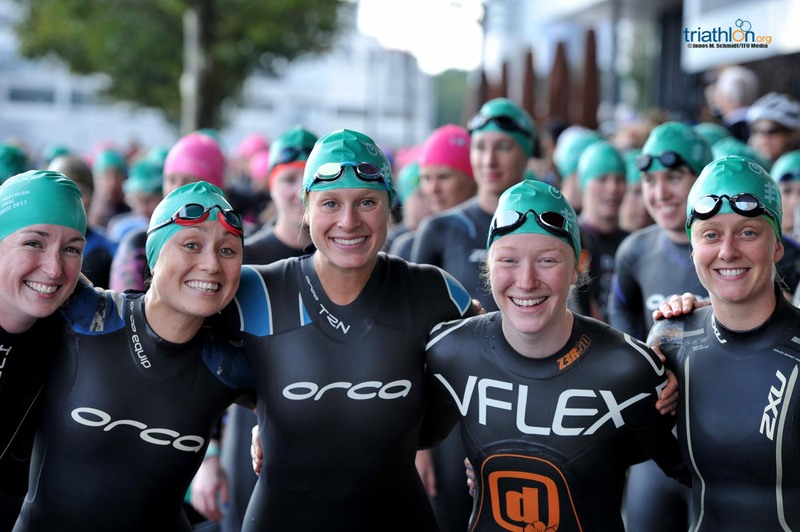 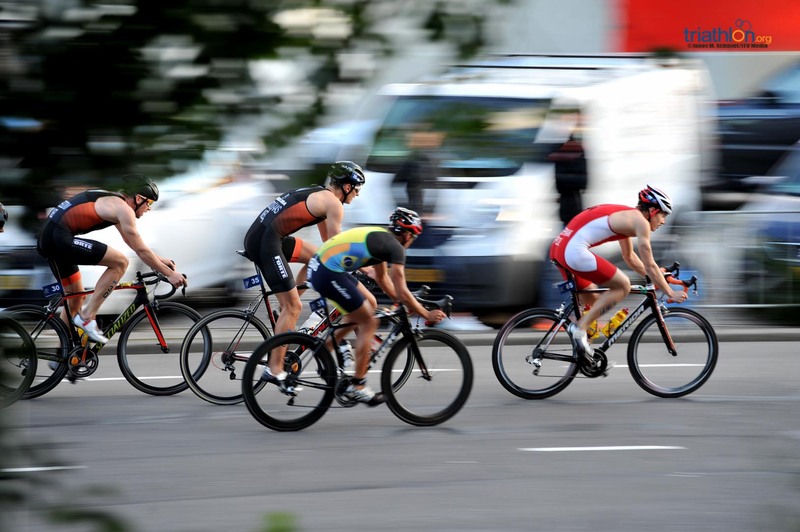 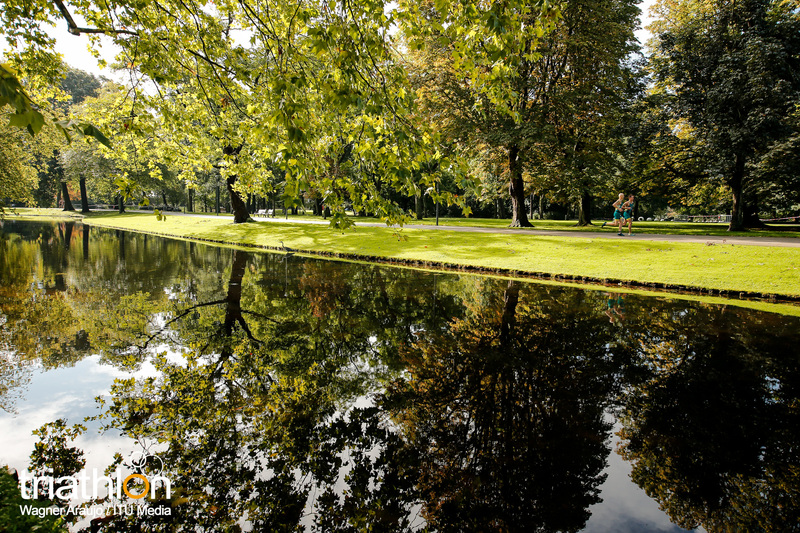 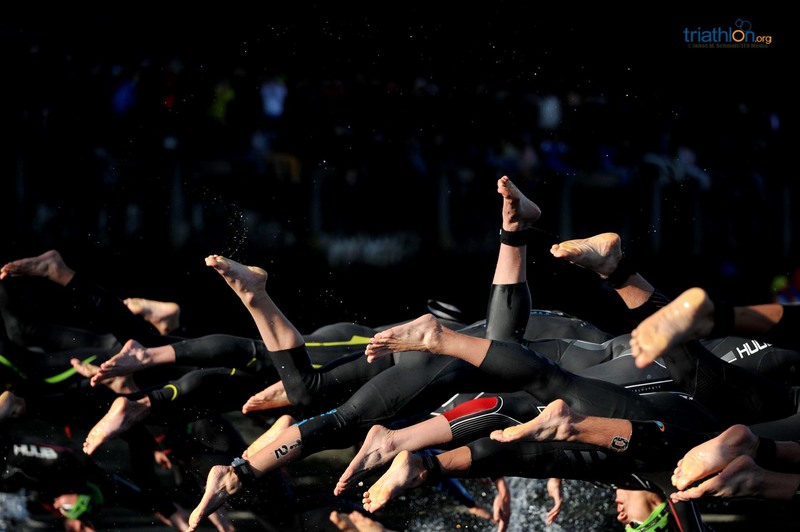 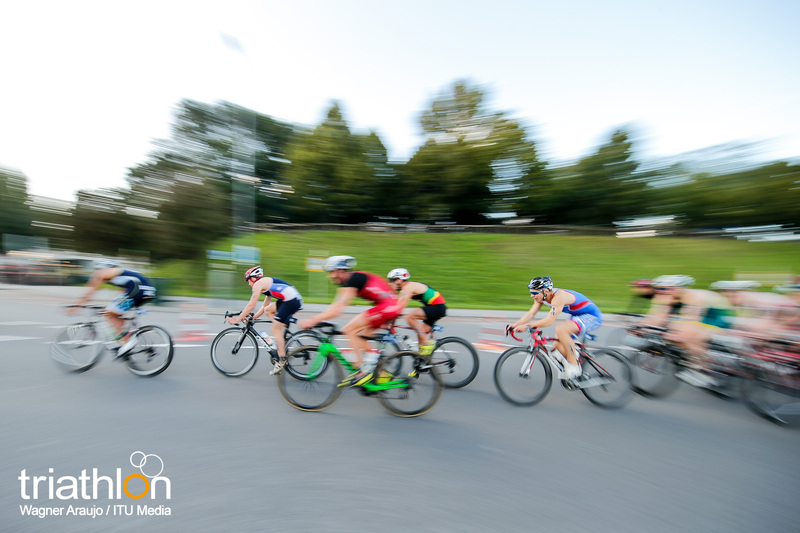 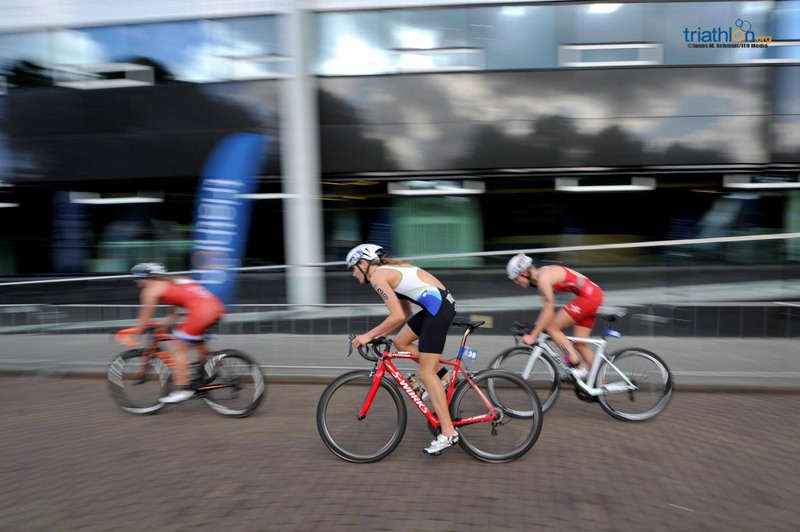 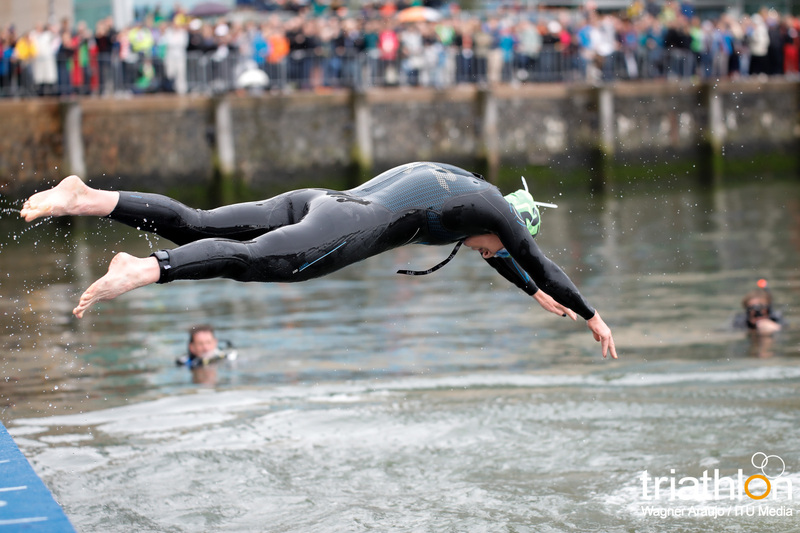 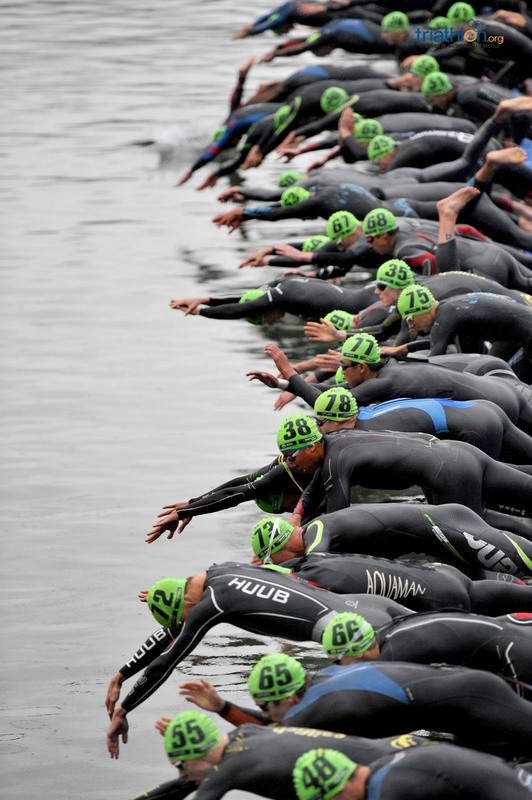 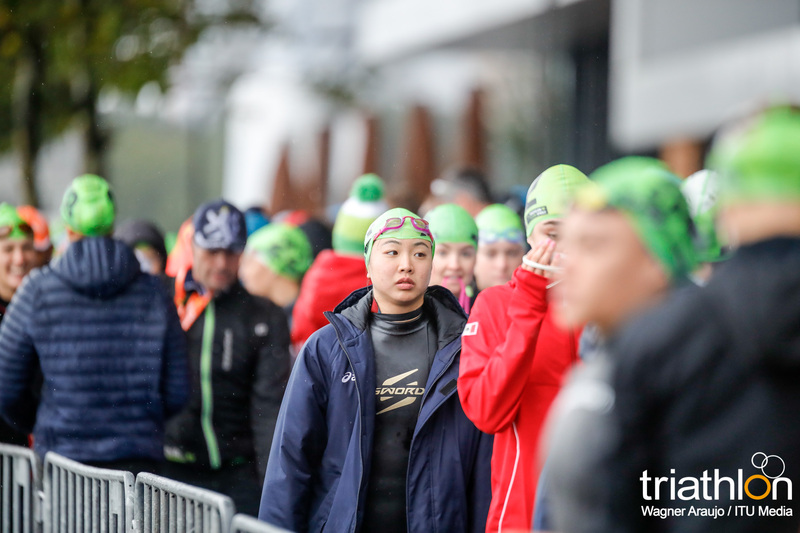 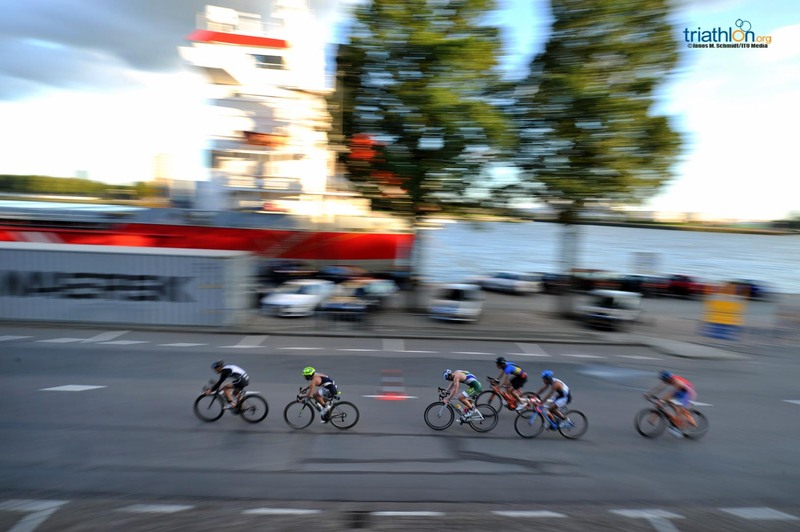 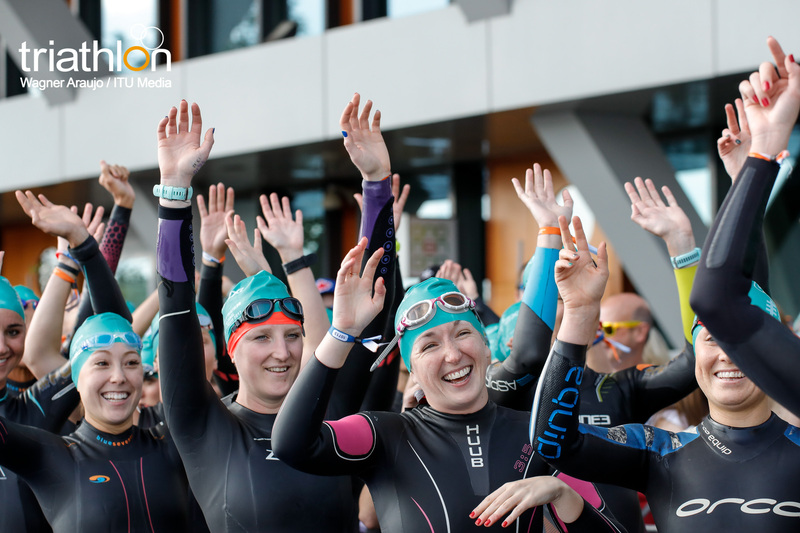 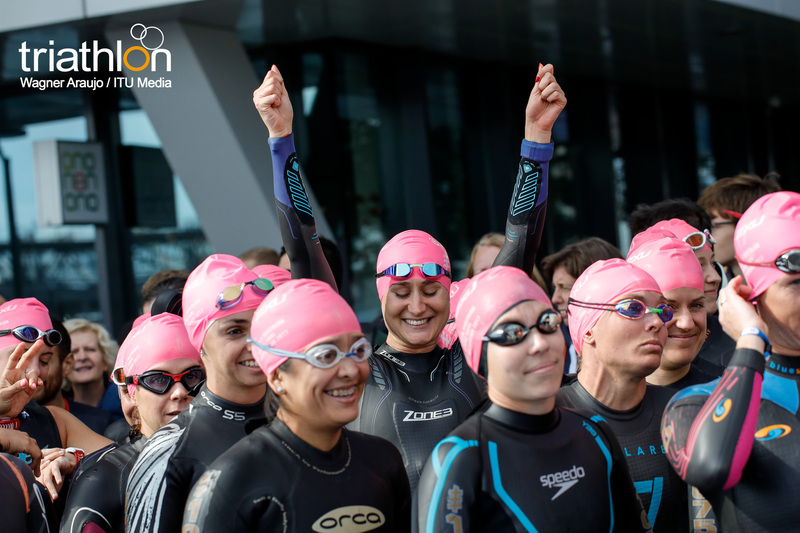 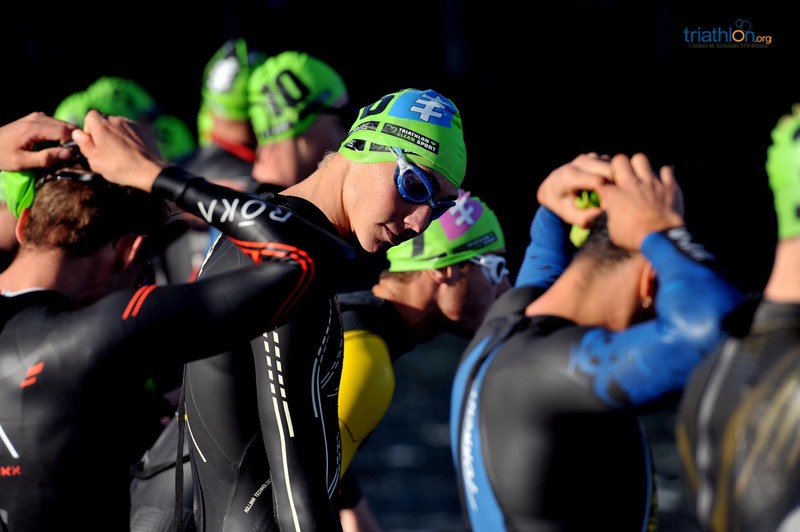 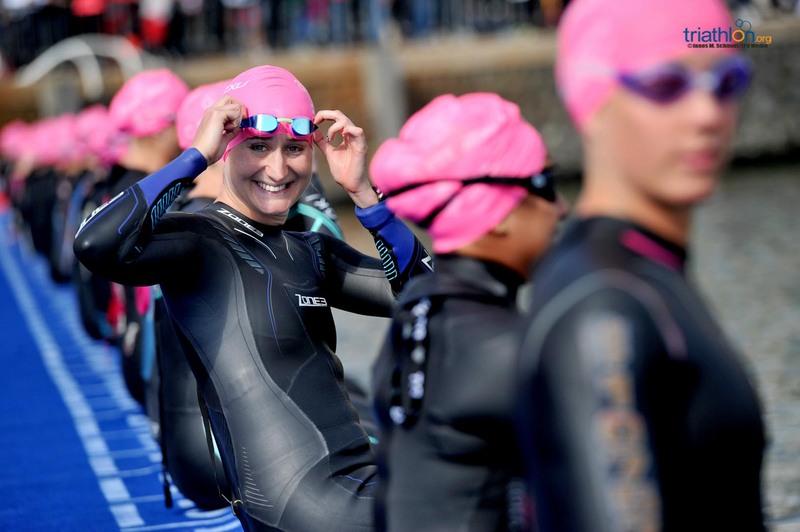 Competing on the same course that the elites will see, the U23 rosters will see a two lap 1500-metre swim, 8 lap 40-kilometre bike and four lap 10-kilometre run Olympic distance course. 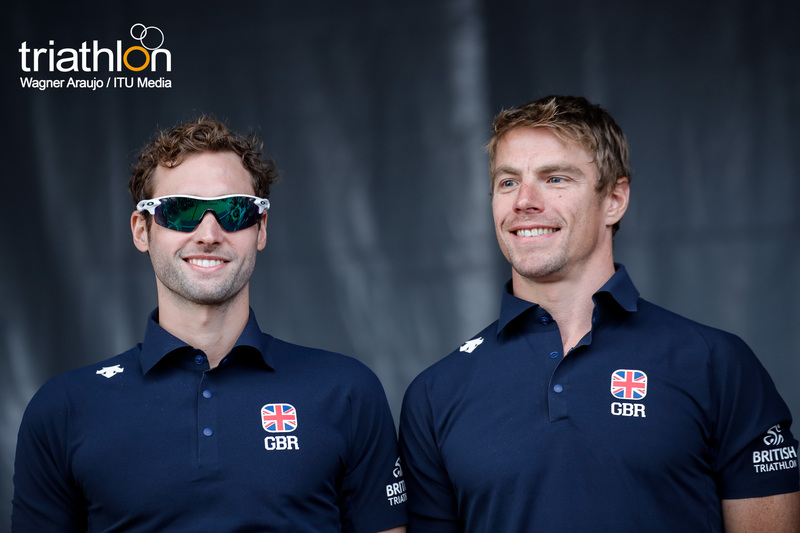 The men will kick start the racing first as they are set to toe the line on Friday, September 15 with a 17:00 start time. 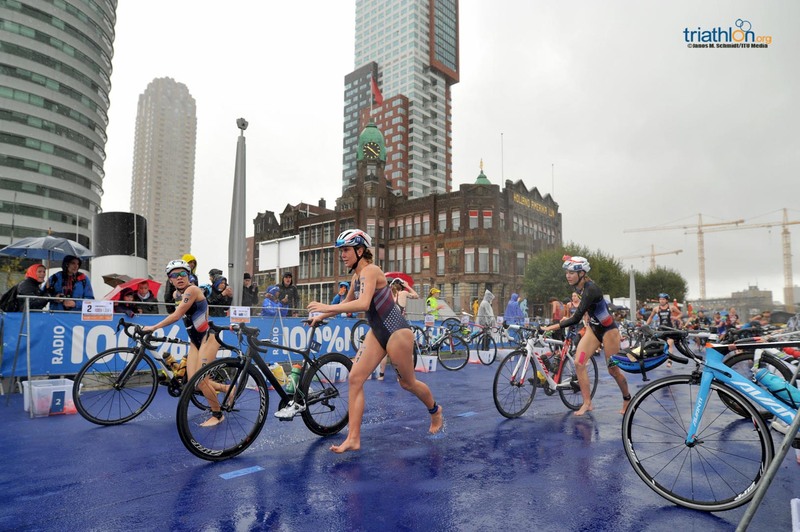 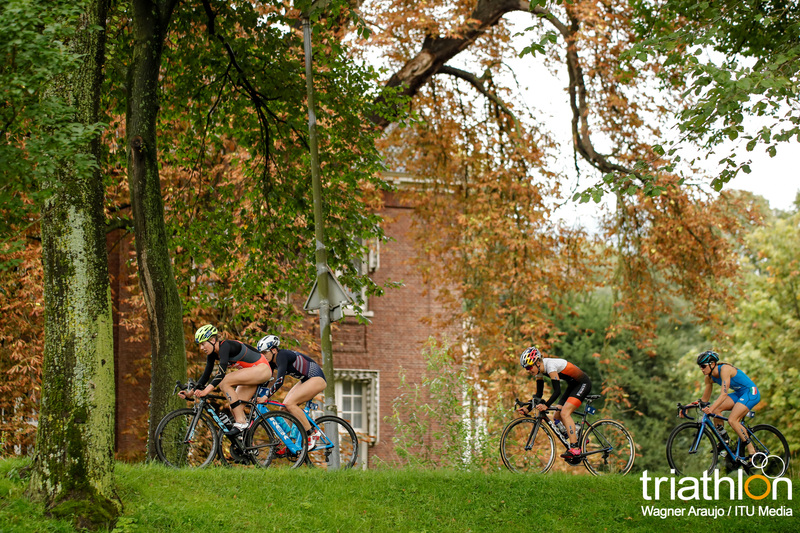 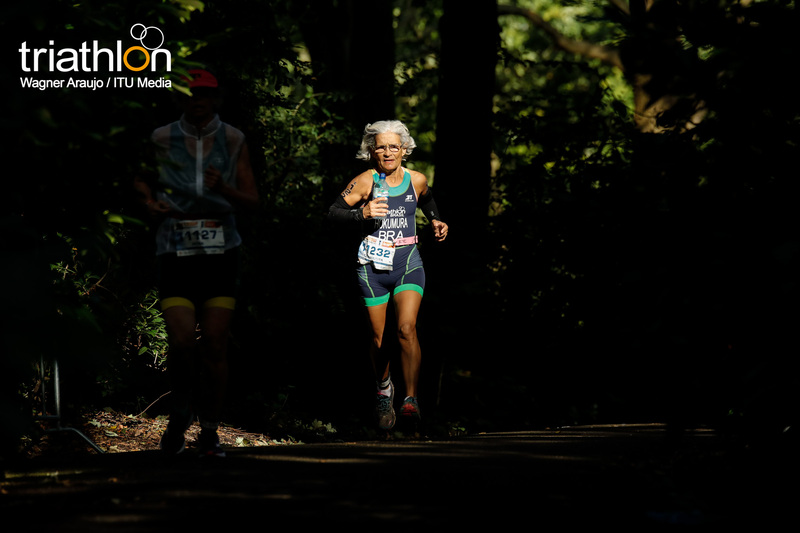 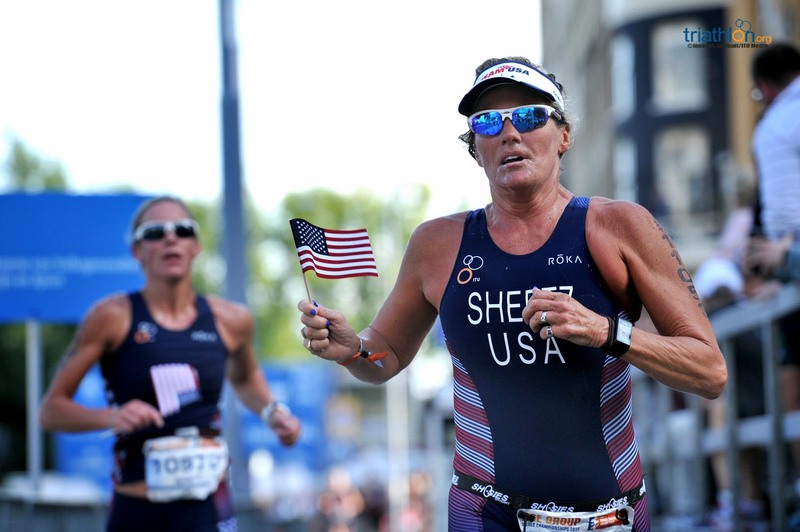 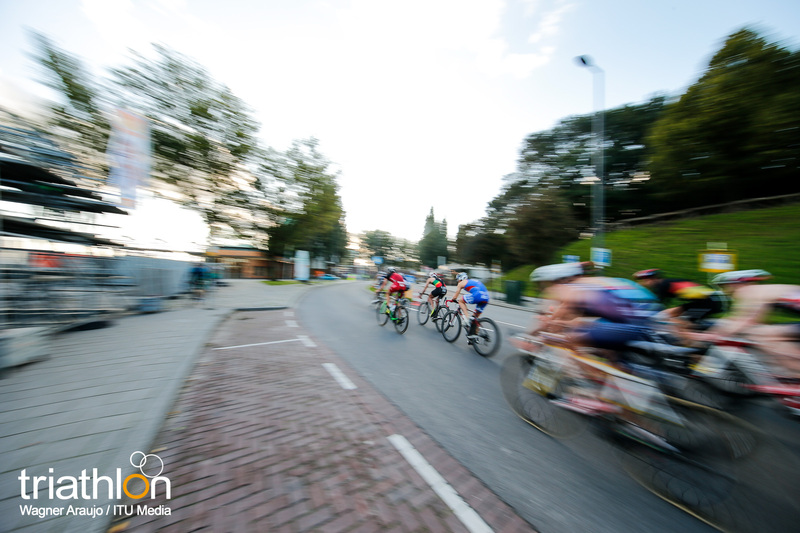 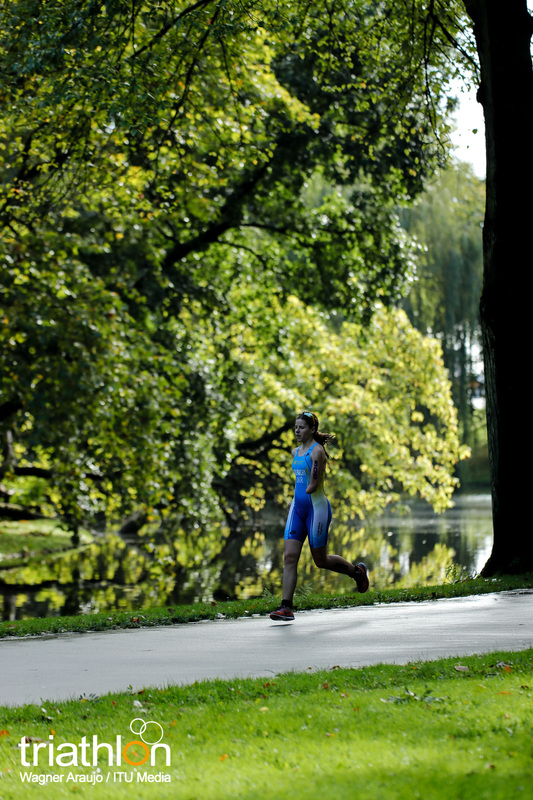 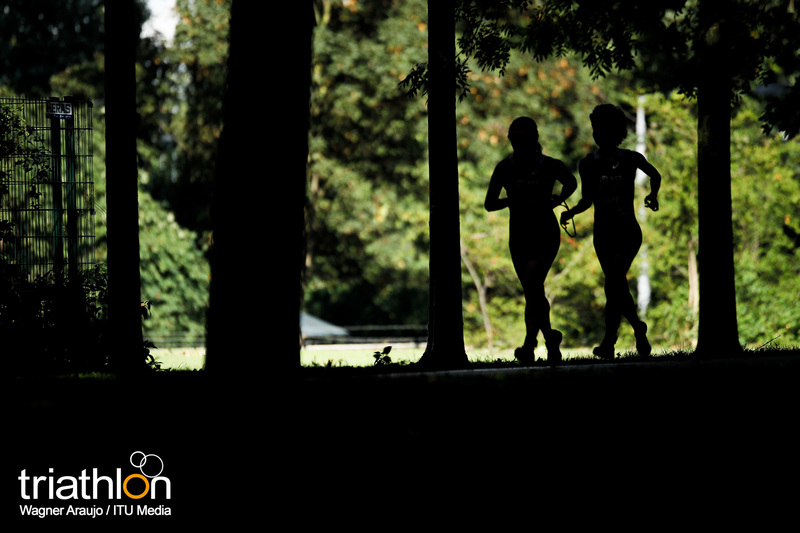 The women will follow the next day on Saturday, September 16 with a 10:00am local start time. 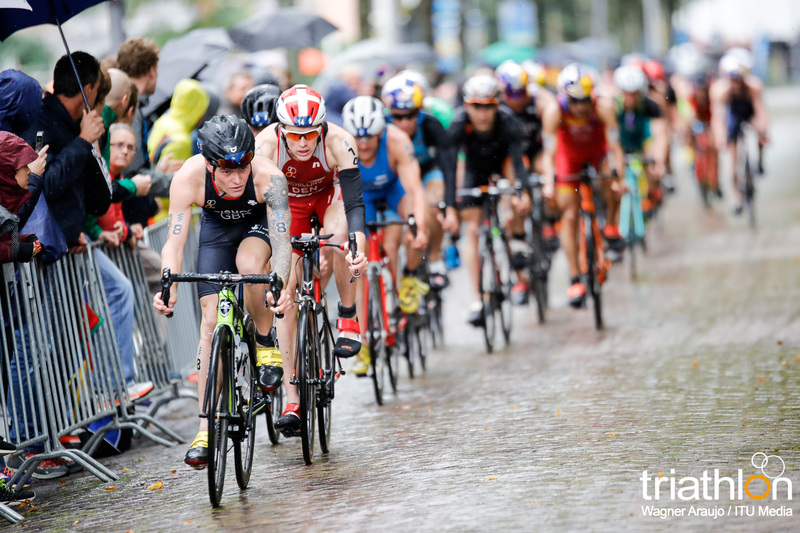 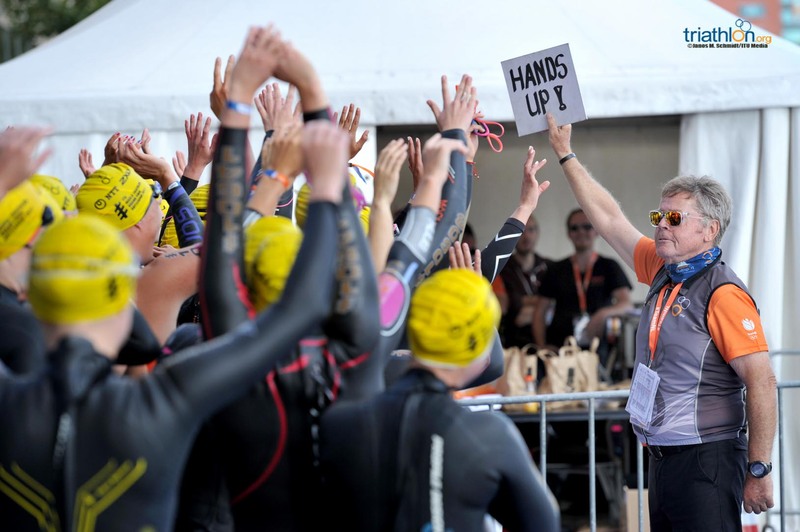 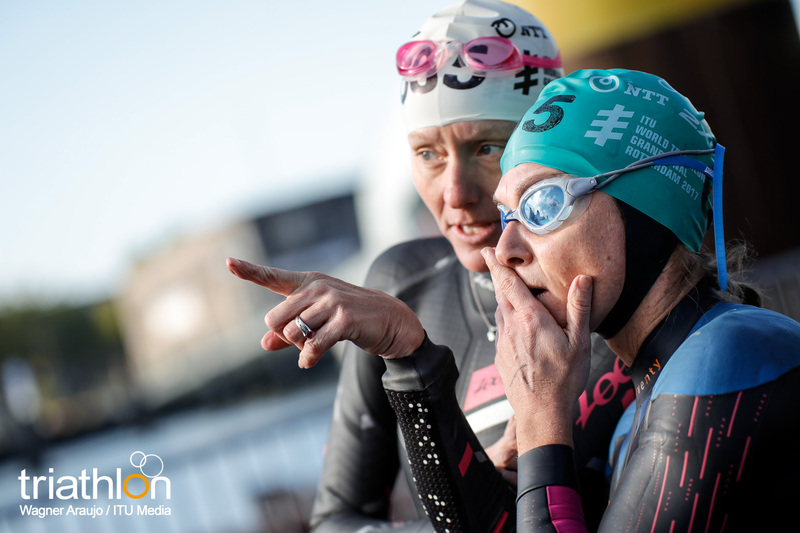 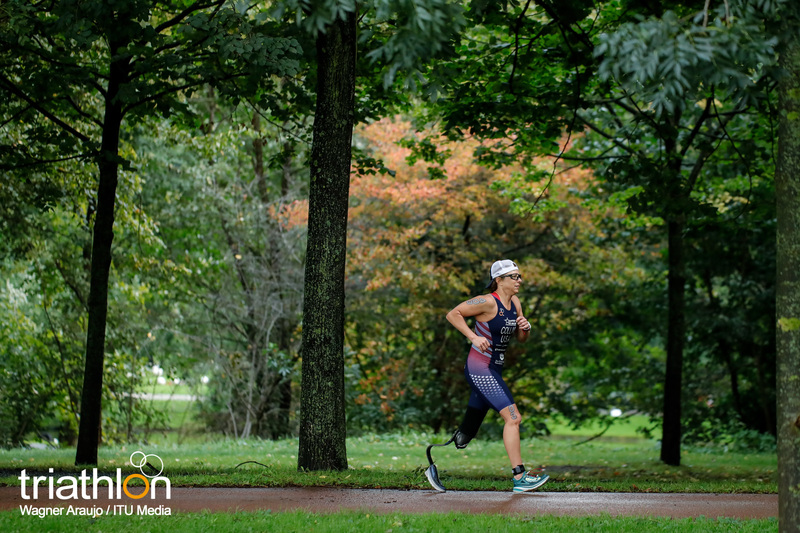 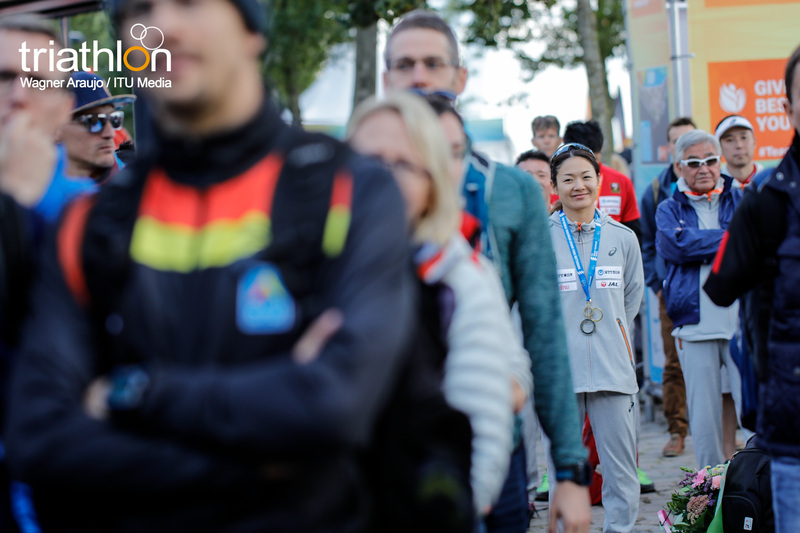 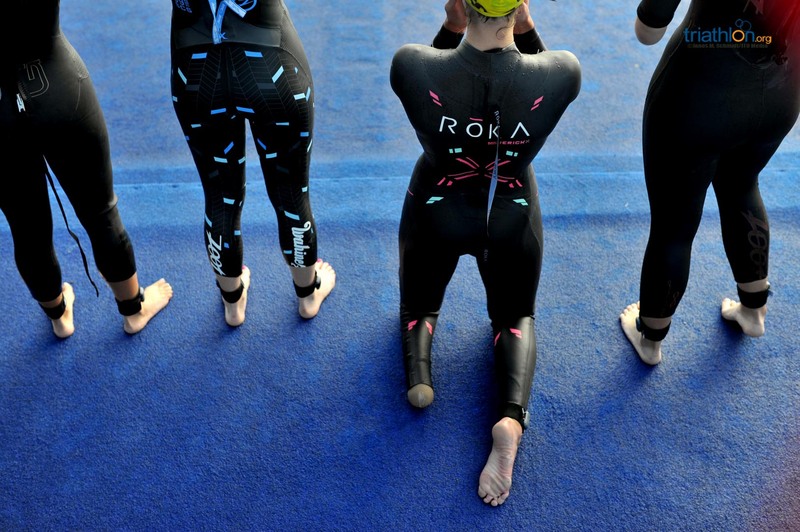 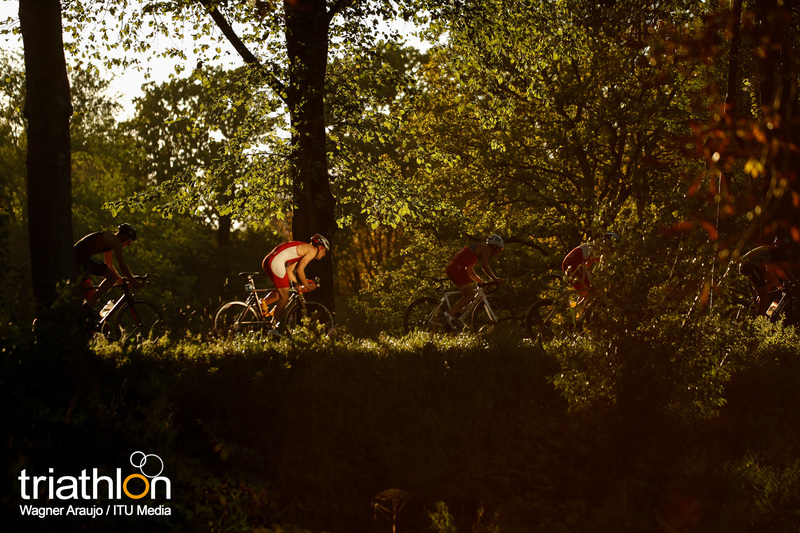 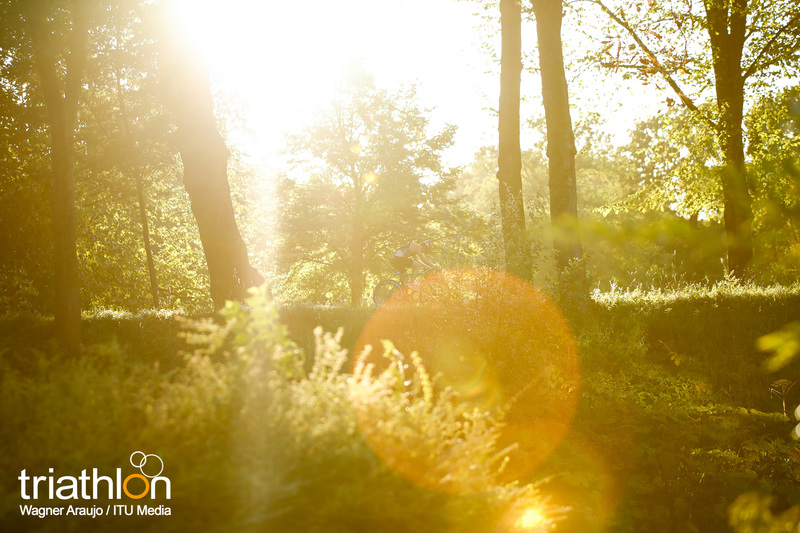 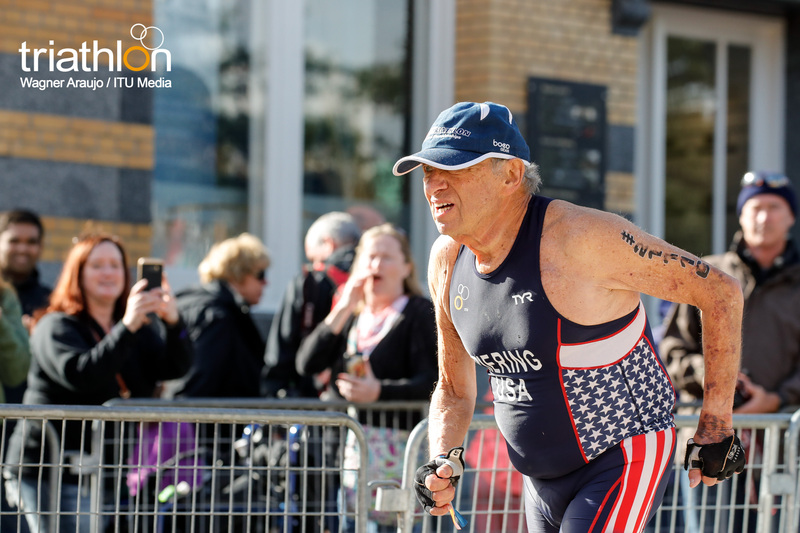 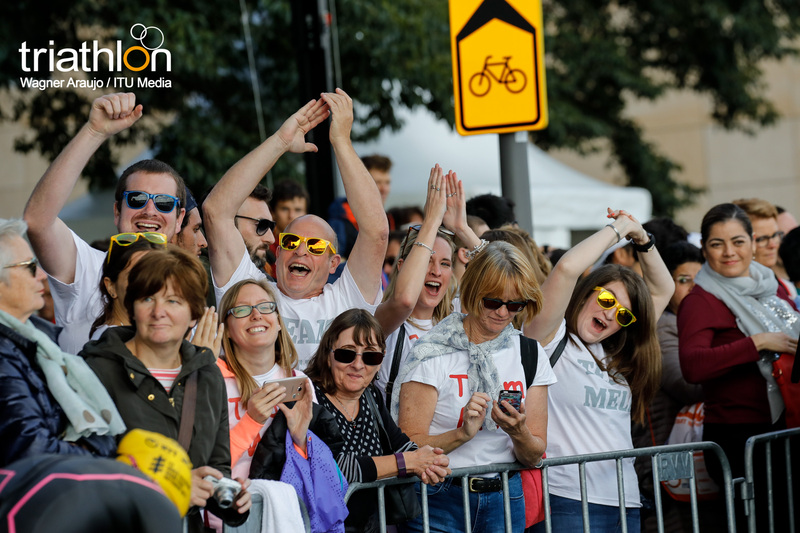 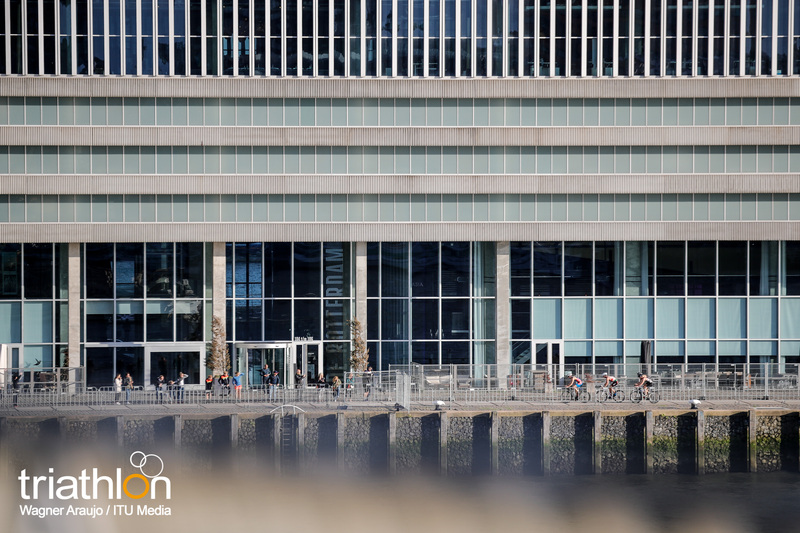 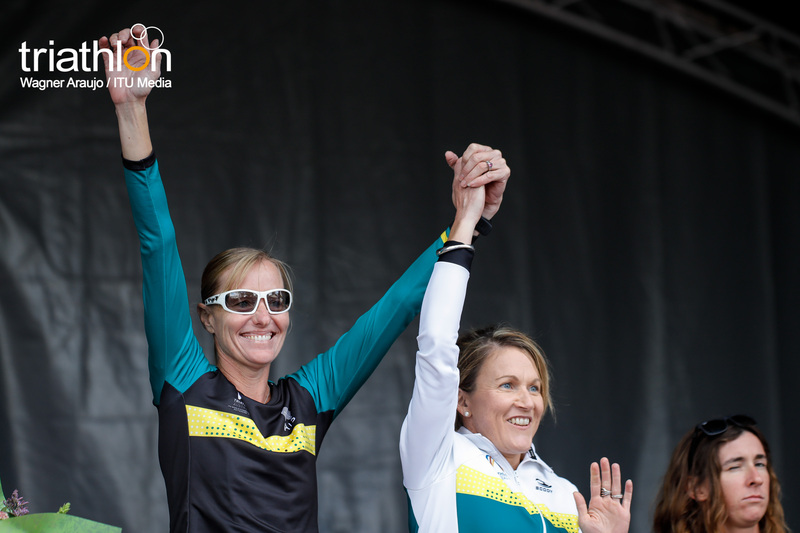 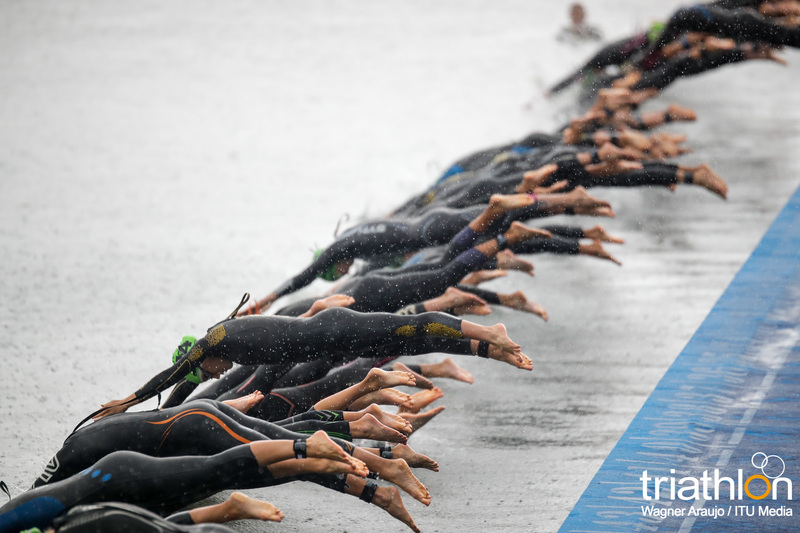 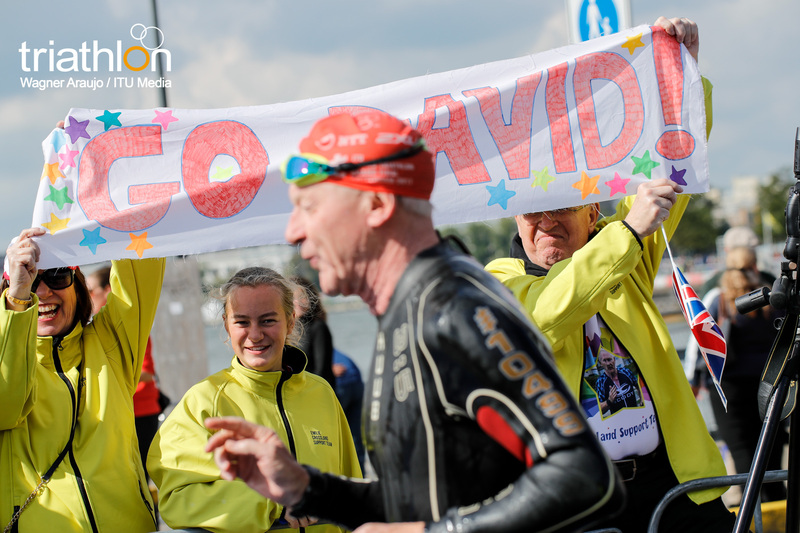 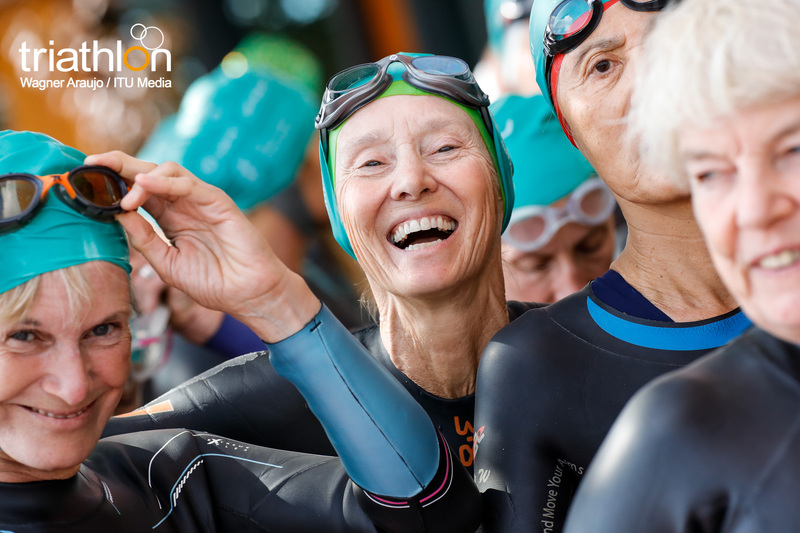 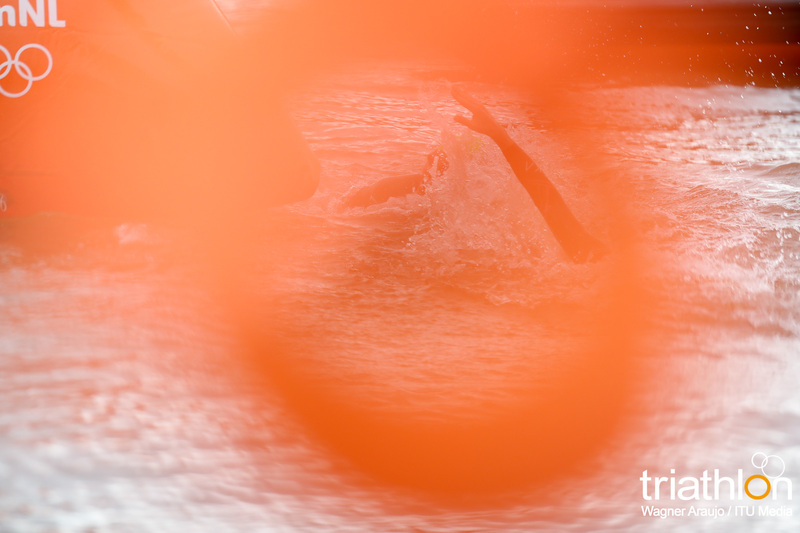 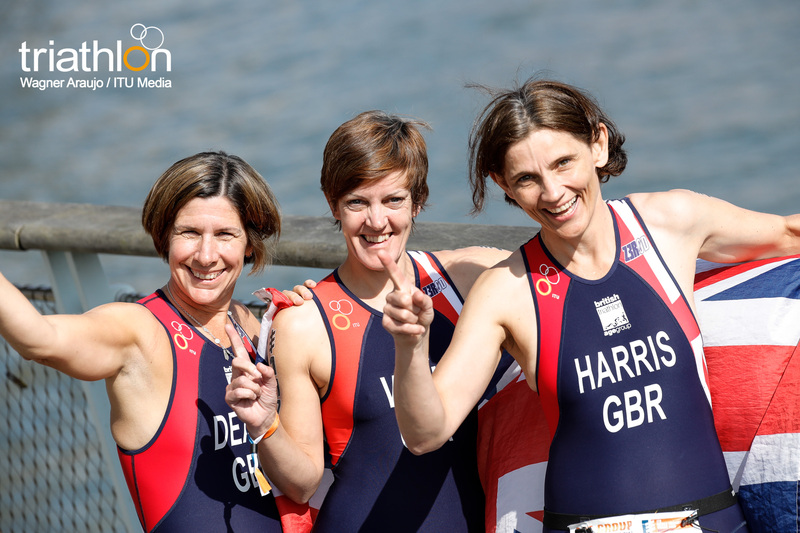 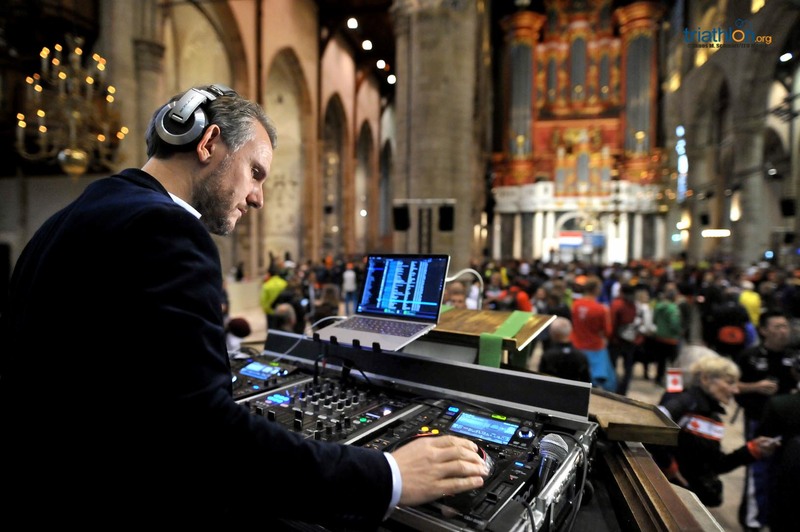 A live finish-line broadcast will be available to watch on triathlon.org/live and on the World Triathlon Facebook page, along with following along with play-by-play updates on Twitter @triathlonlive. 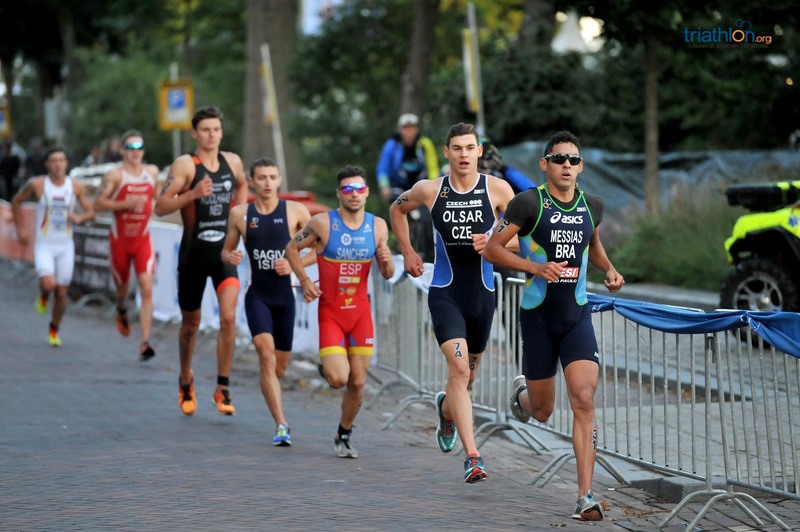 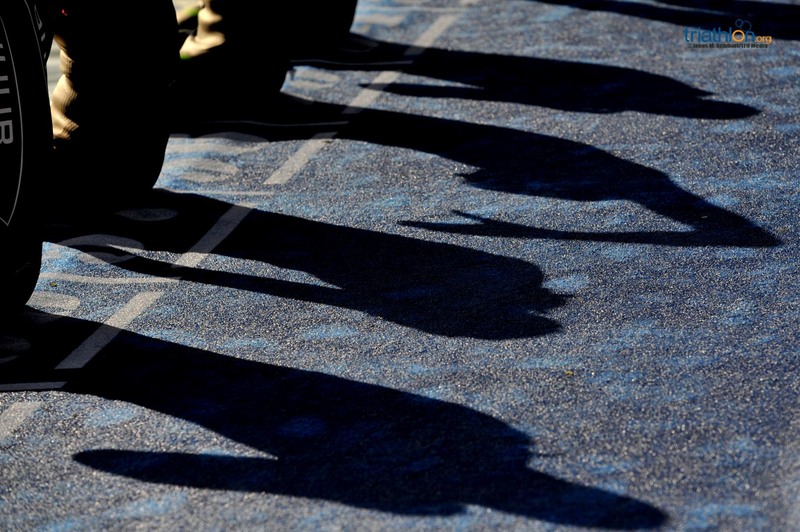 The men’s field is going to be a strong showcase of talent, due to the list of names that are lining up. 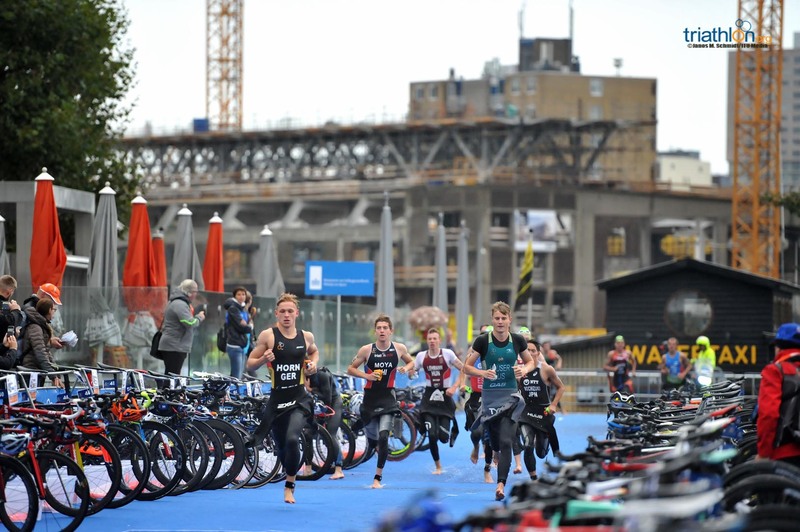 A lot of the men racing Friday make huge waves among the elite field, so the race for the World Title is going to be a tight one. 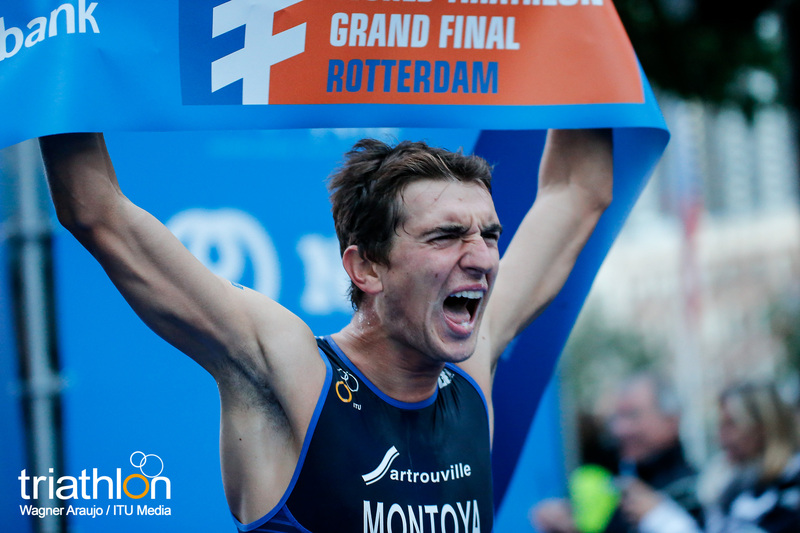 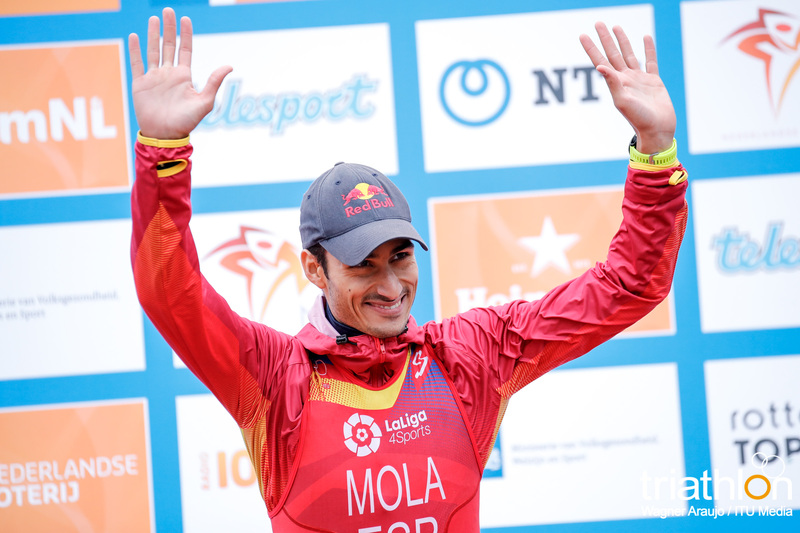 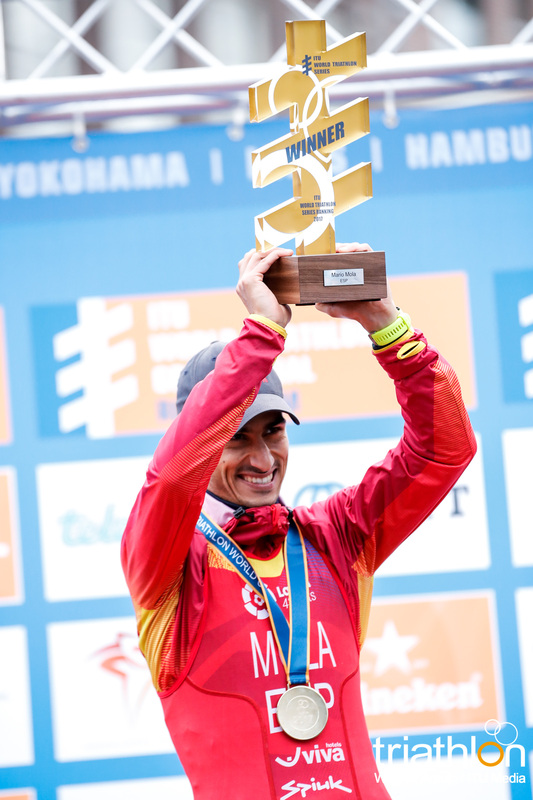 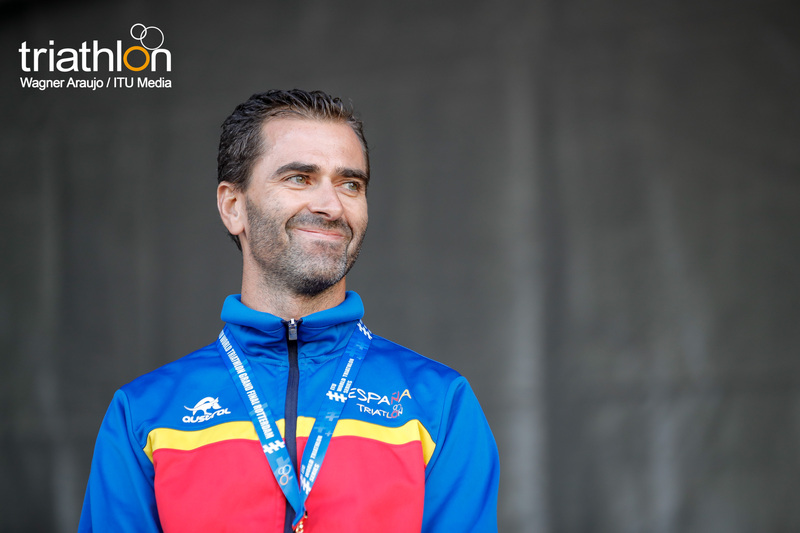 Topping the list is Frenchman Raphael Montoya. 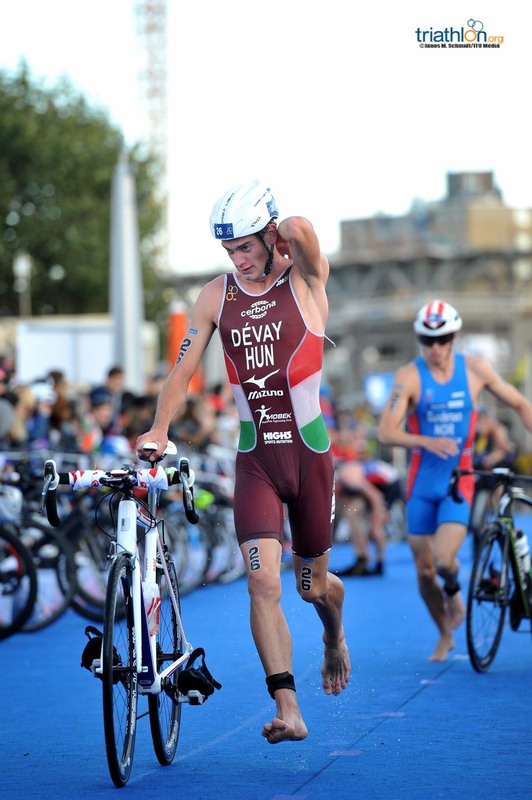 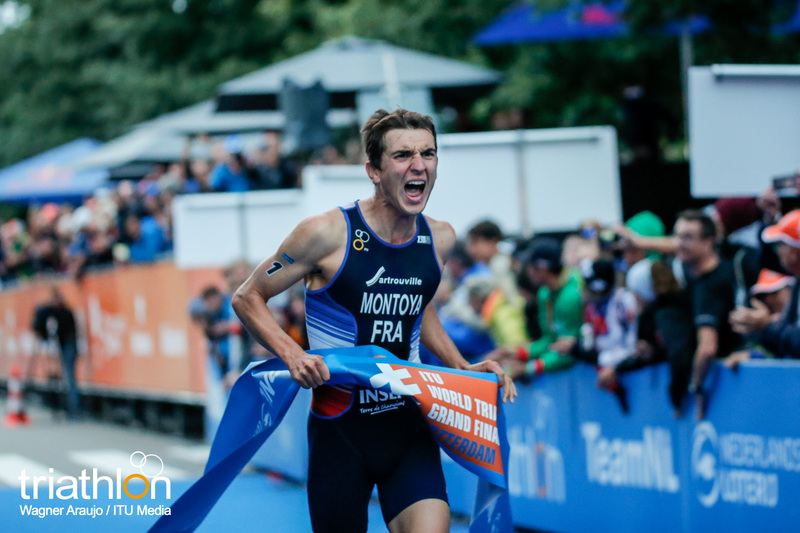 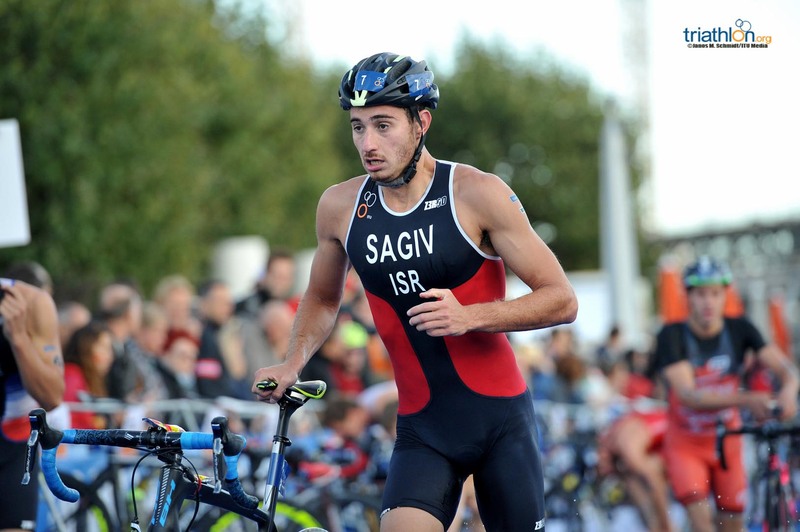 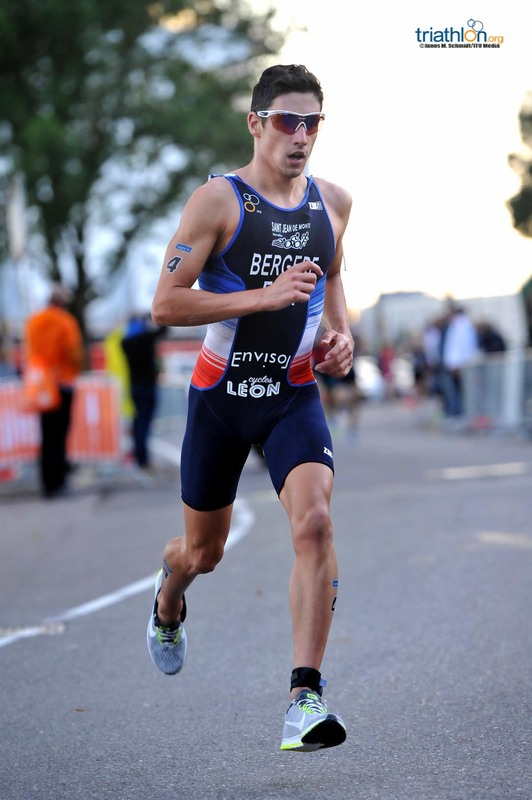 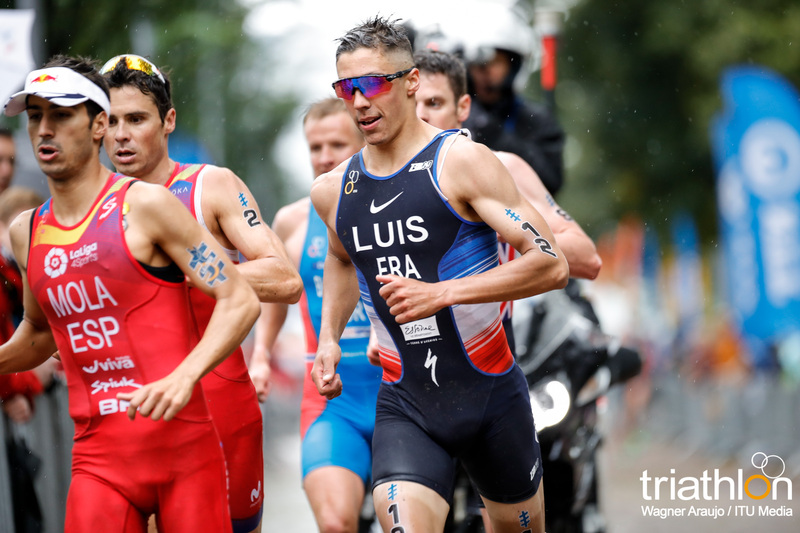 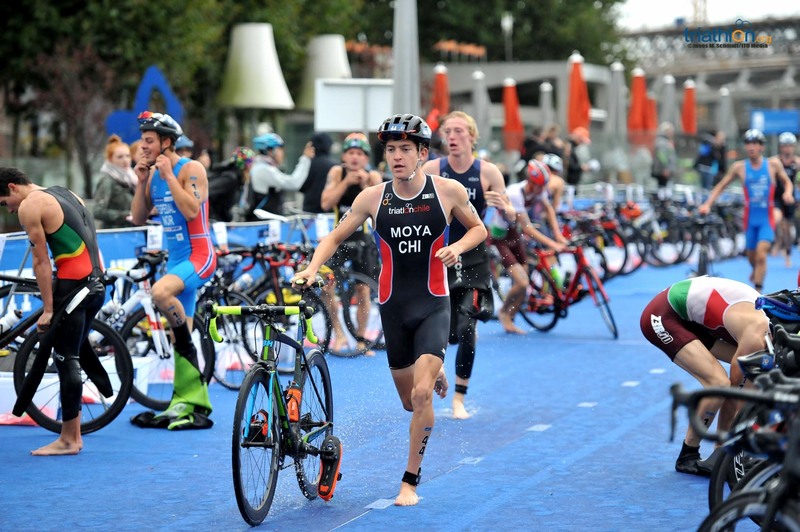 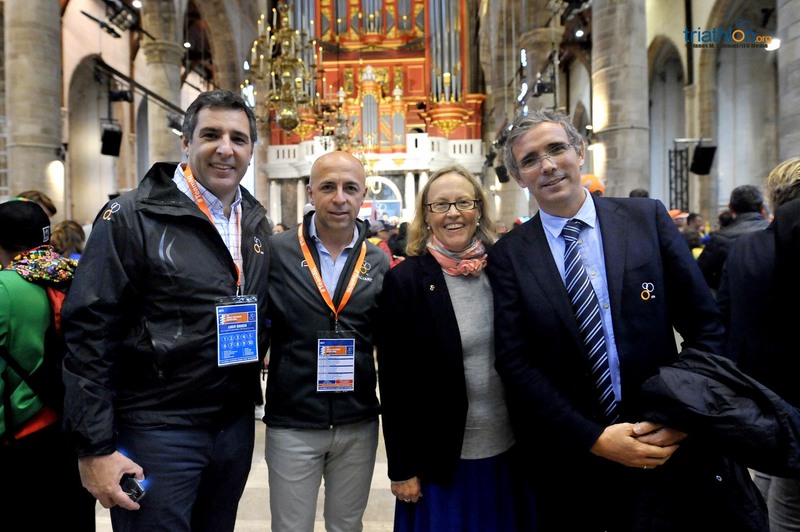 He is the rising star of the men’s French team, who has had a standout year in the elite field in both the World Cup circuit and World Triathlon Series. 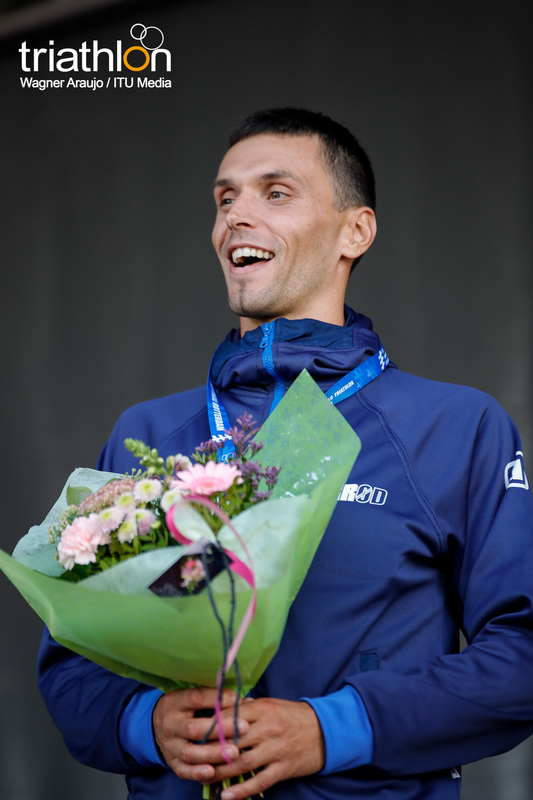 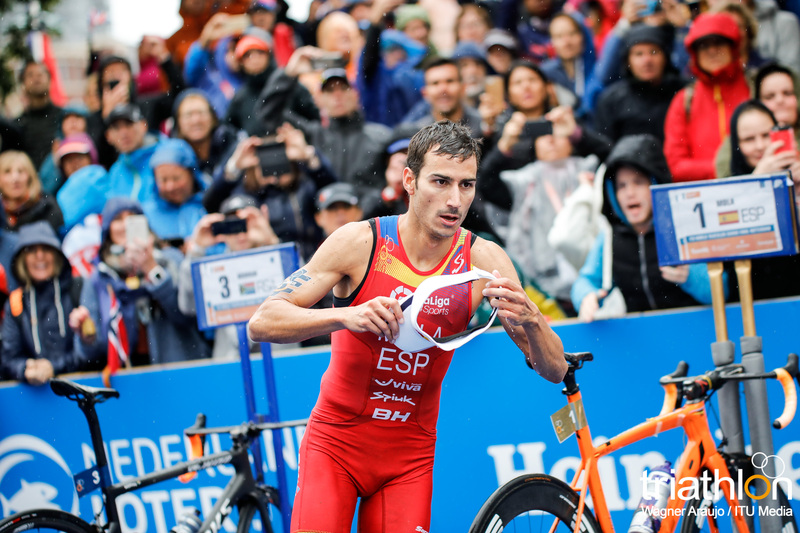 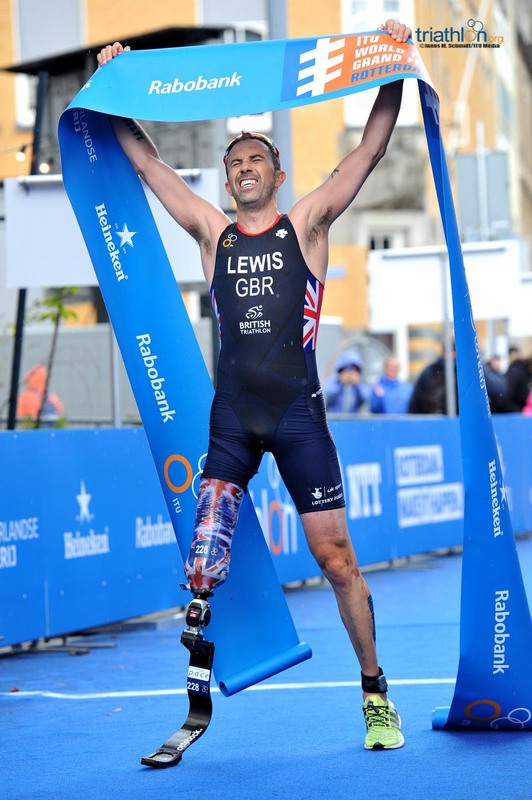 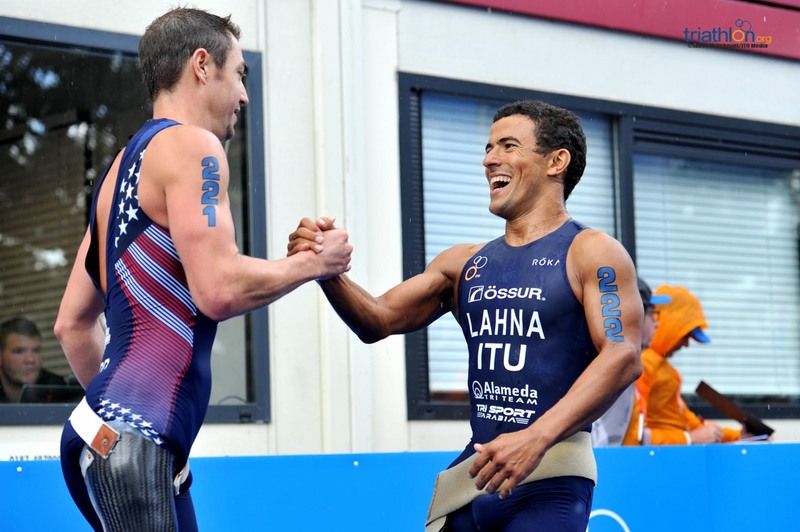 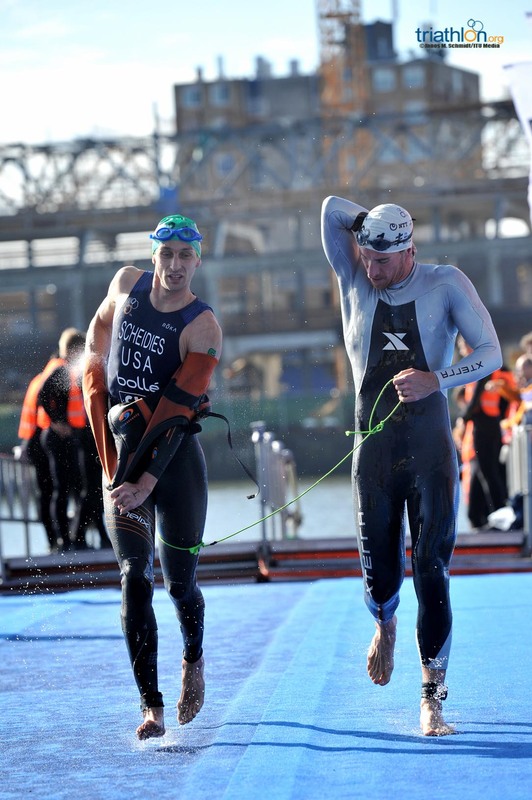 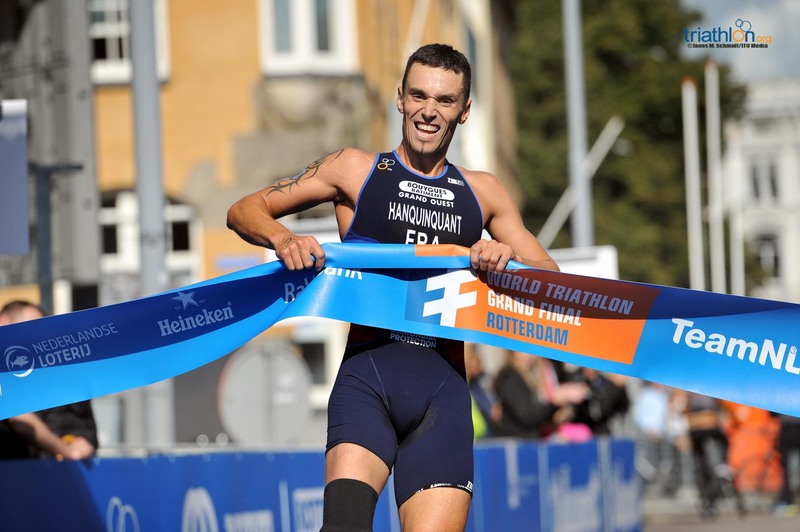 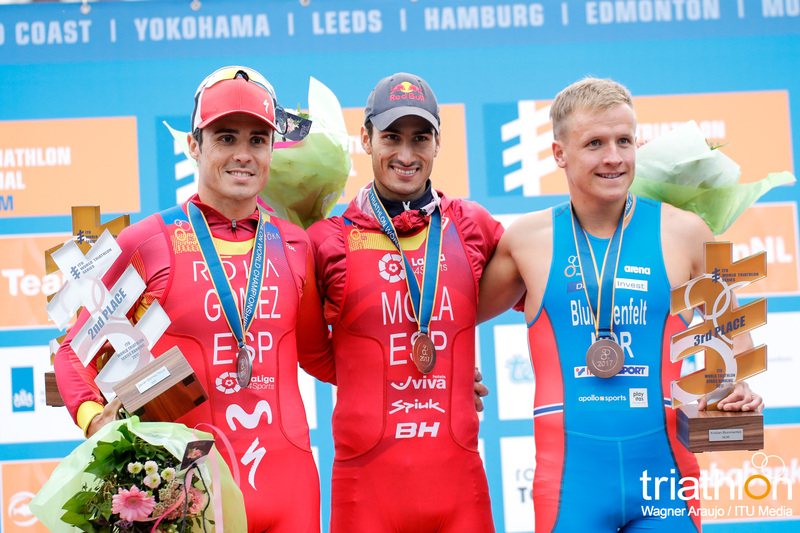 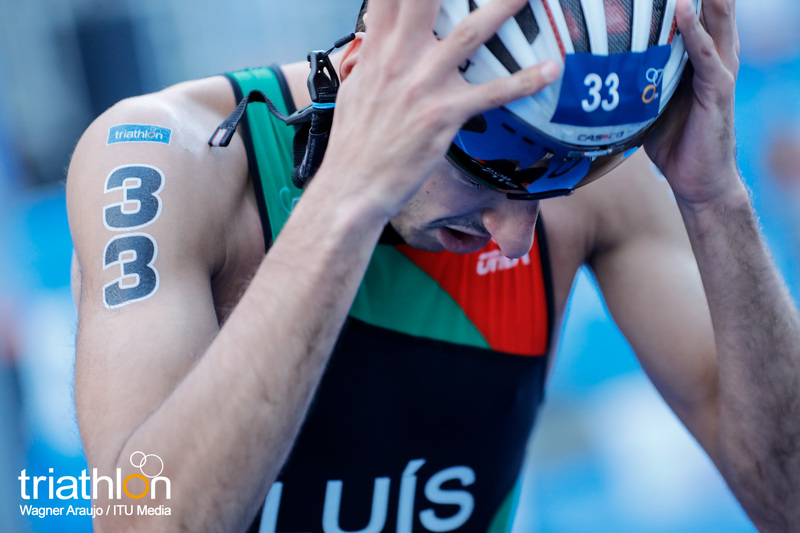 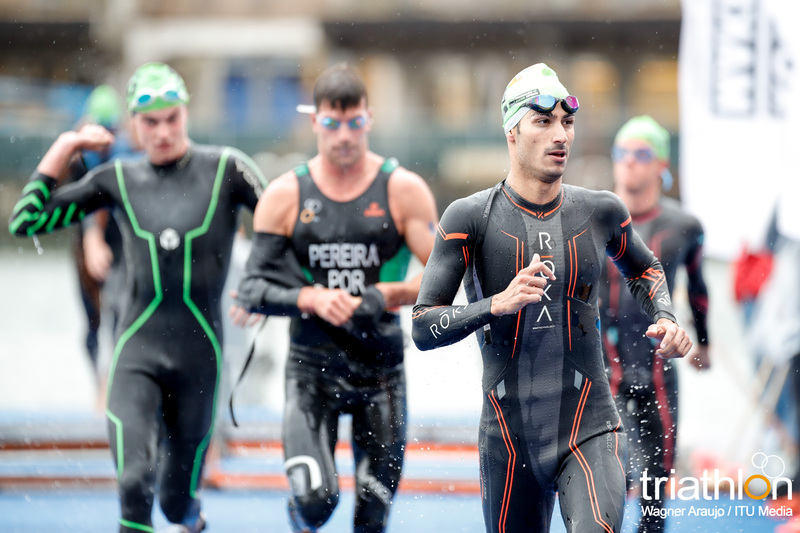 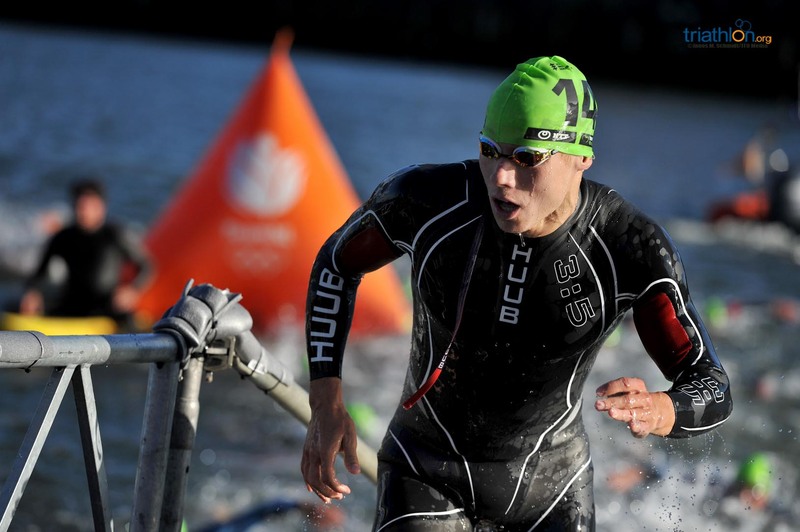 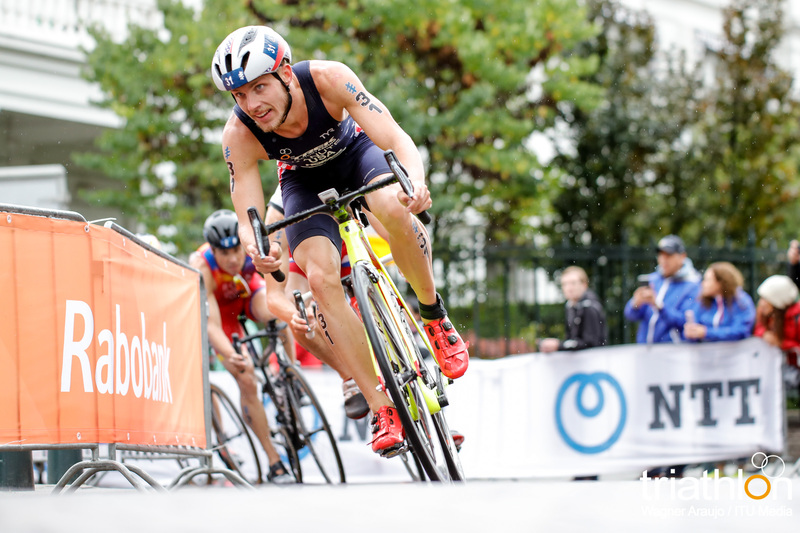 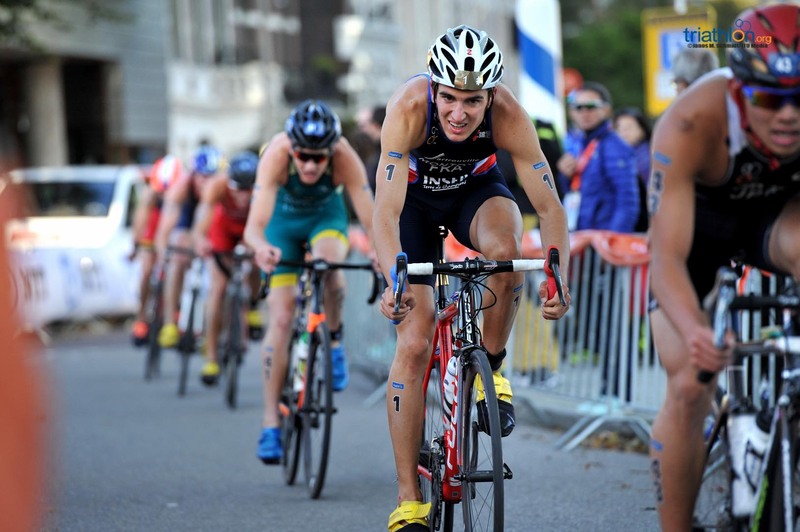 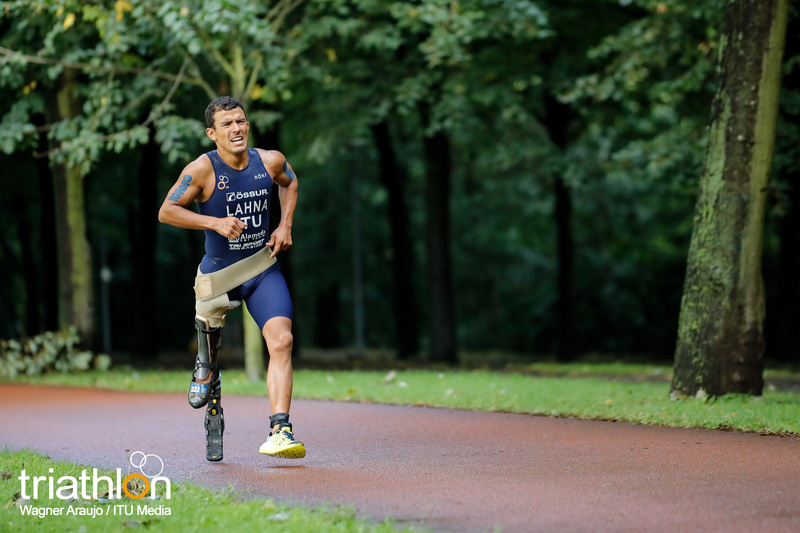 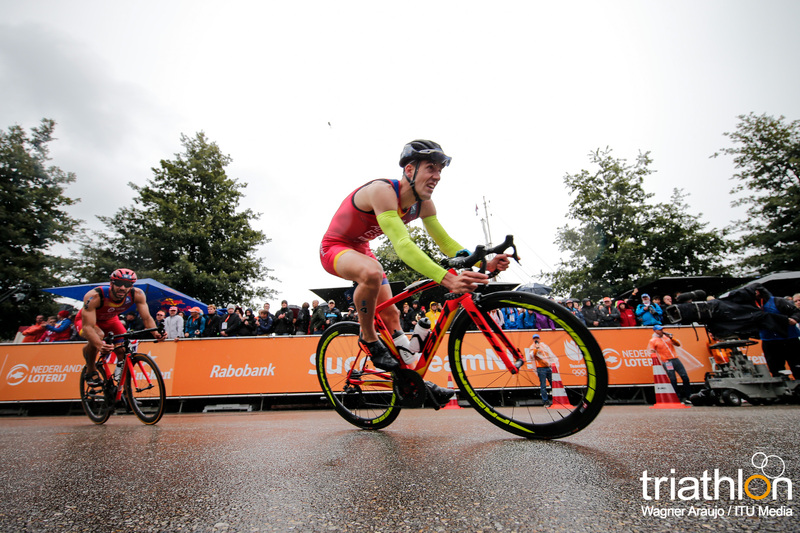 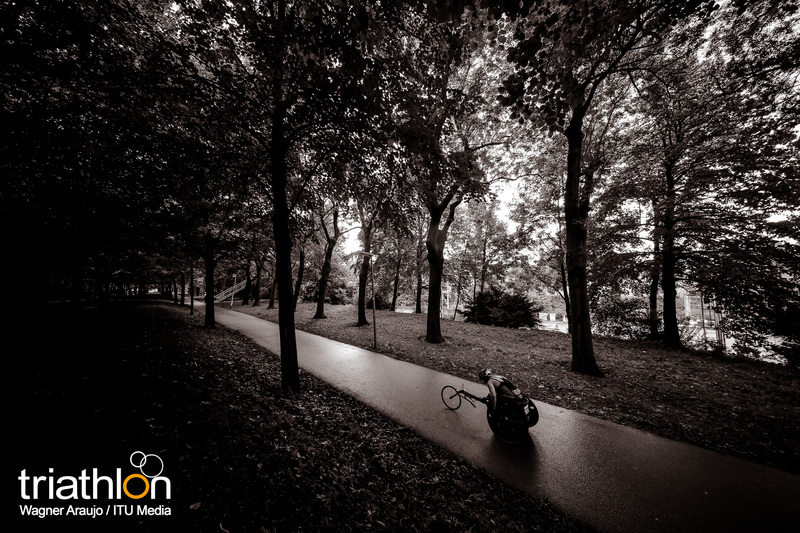 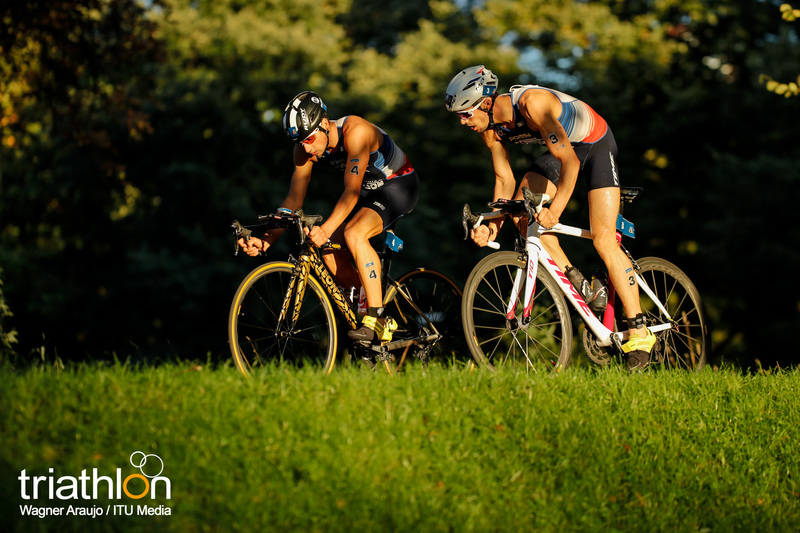 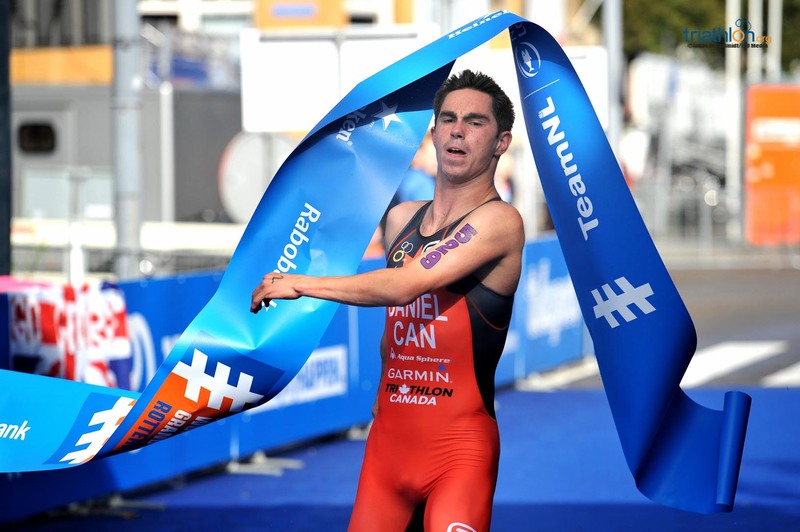 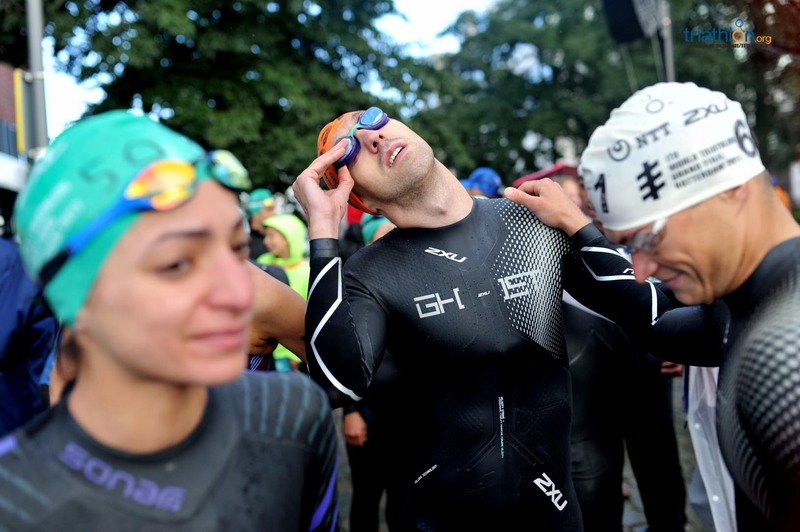 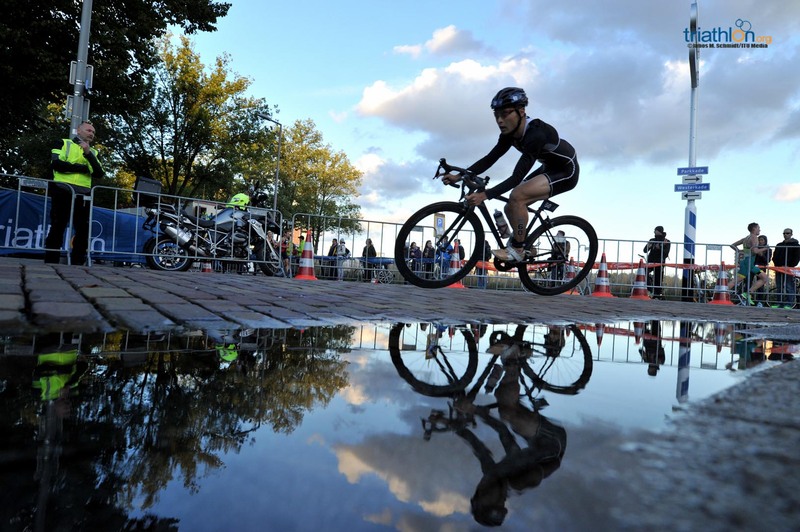 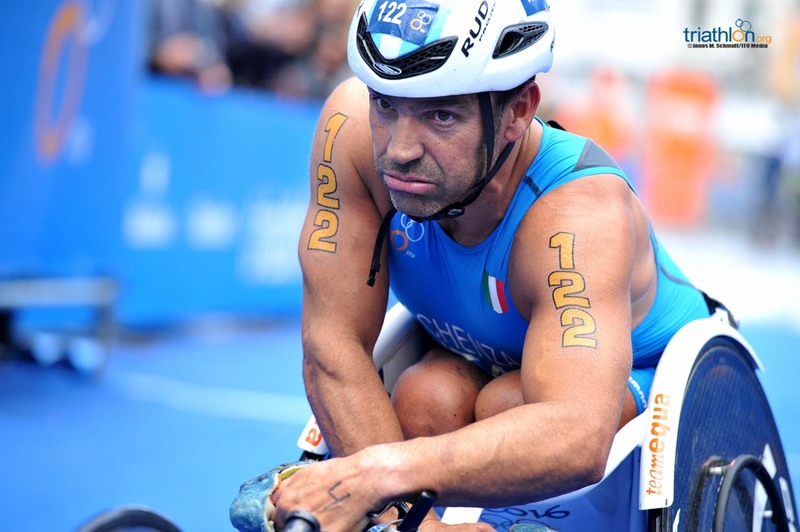 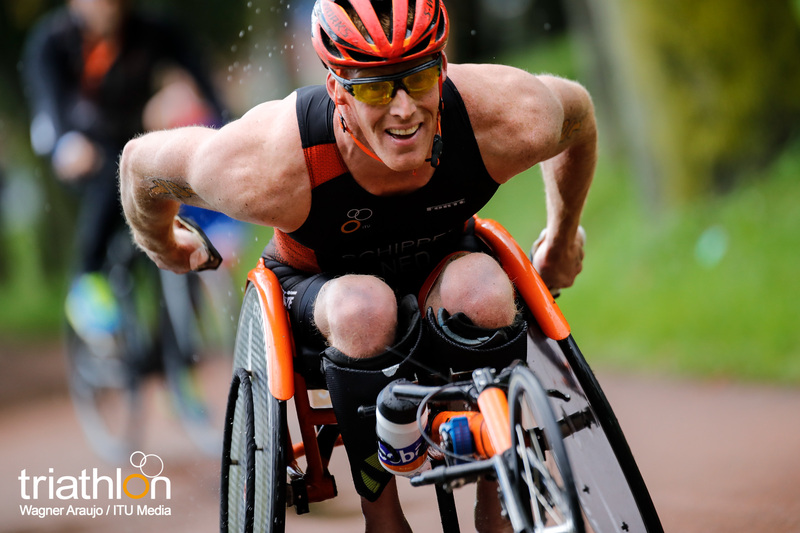 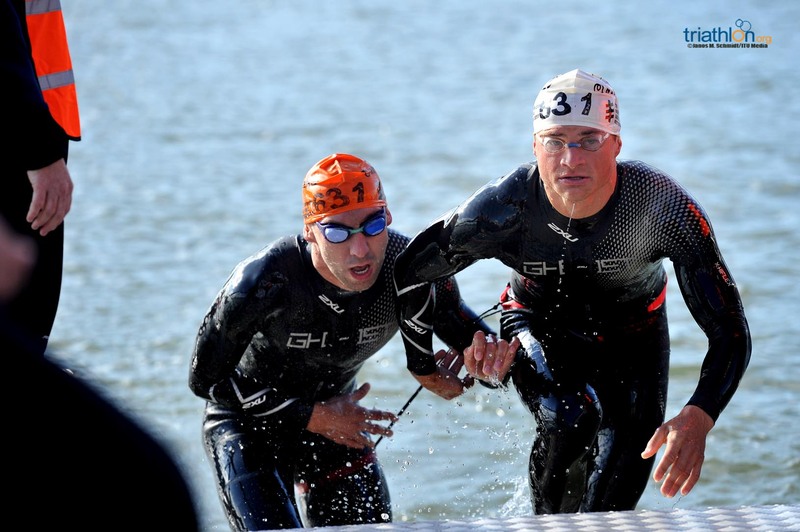 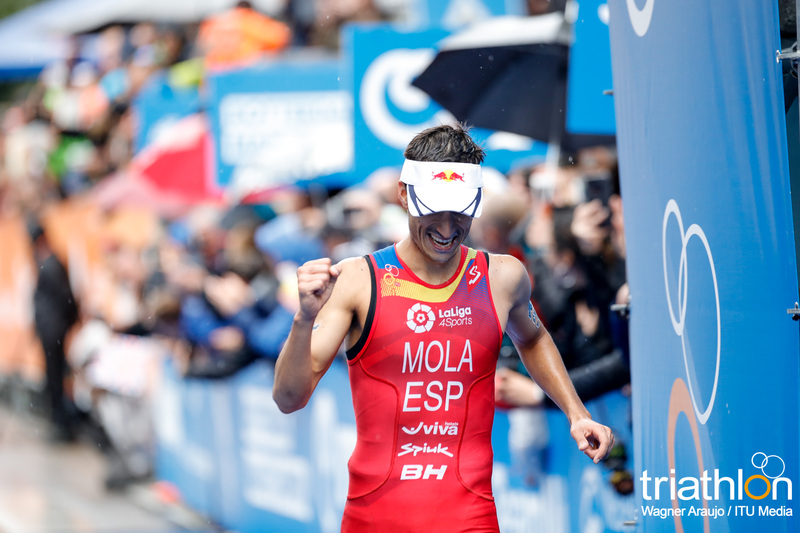 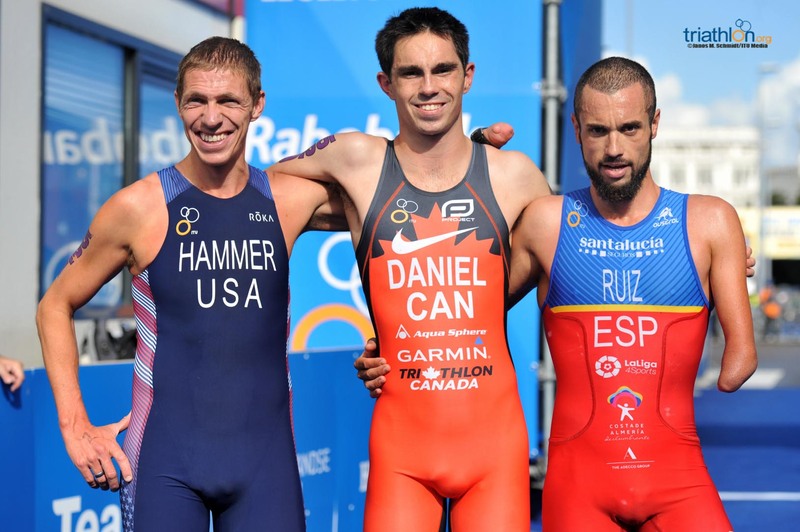 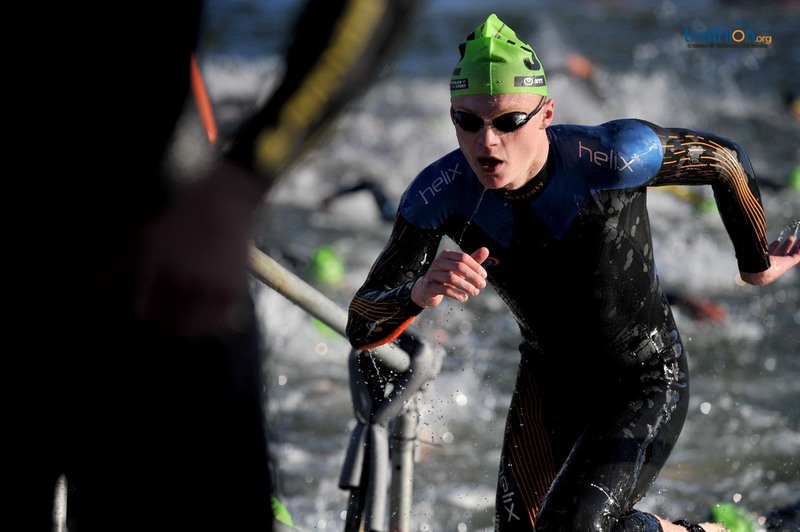 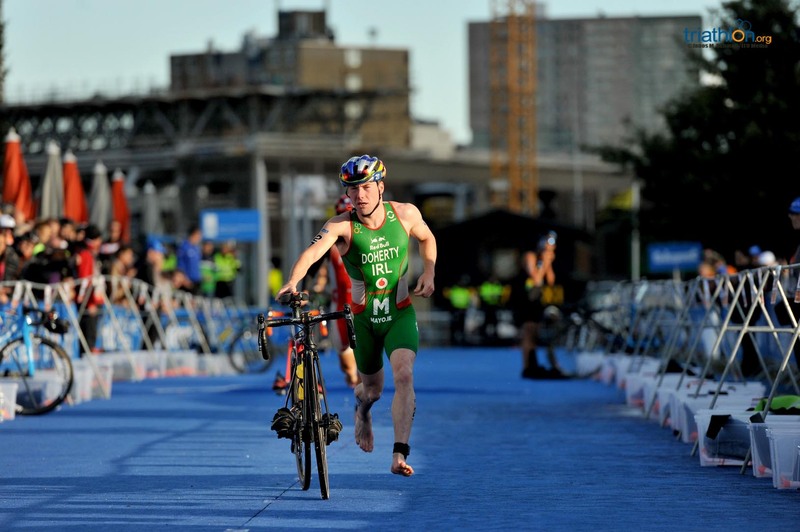 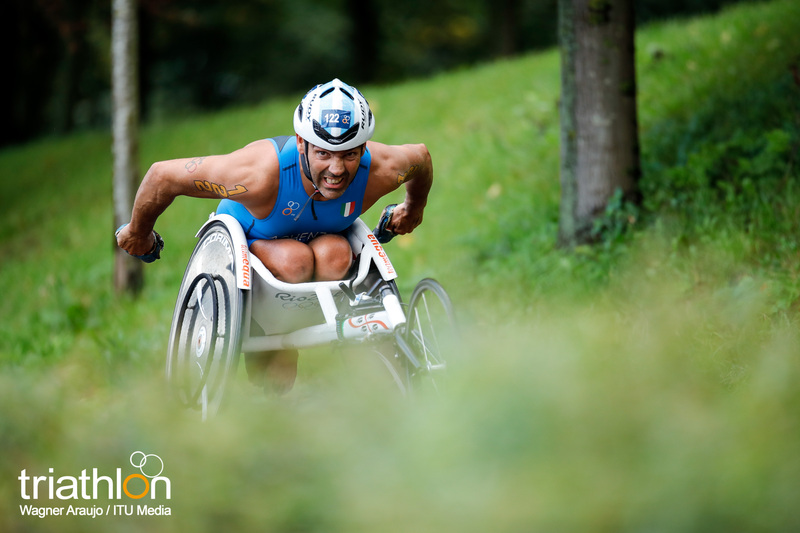 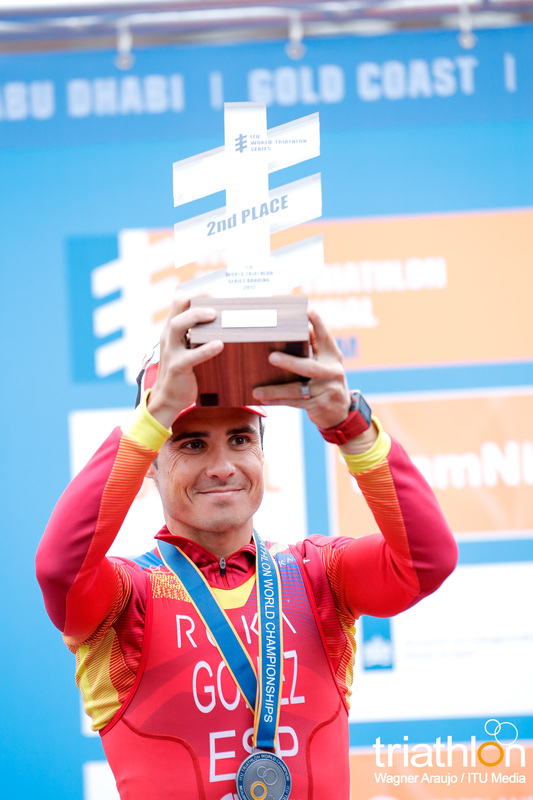 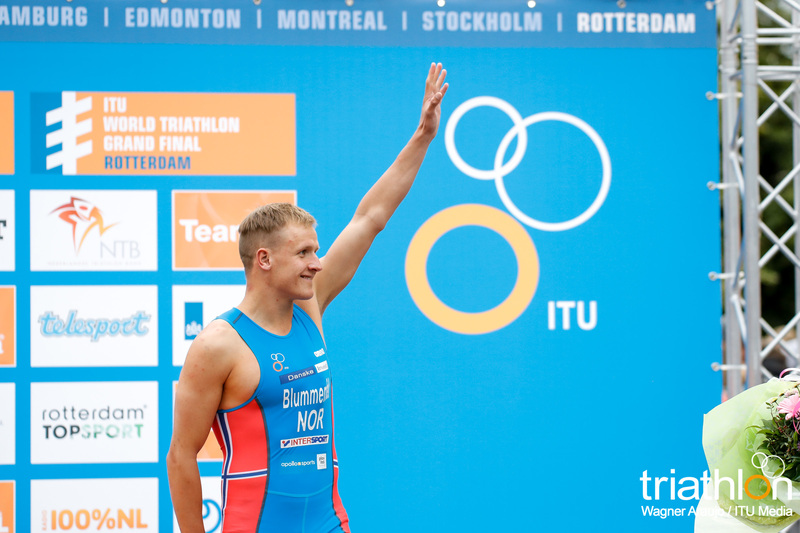 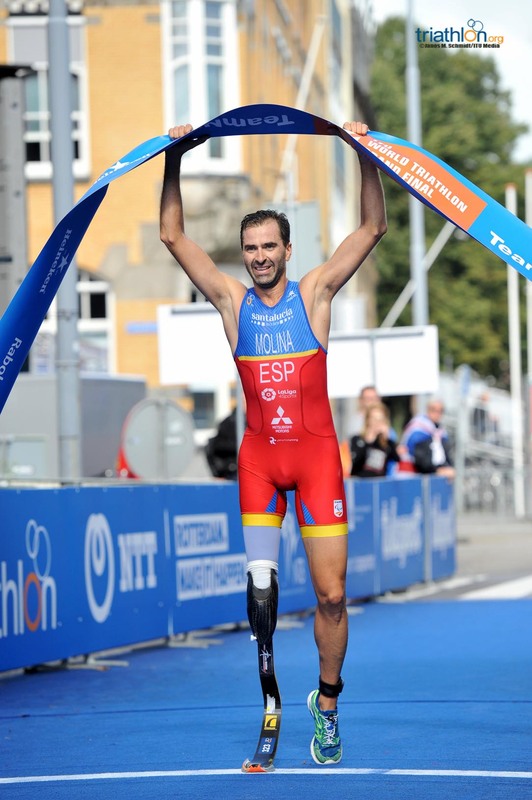 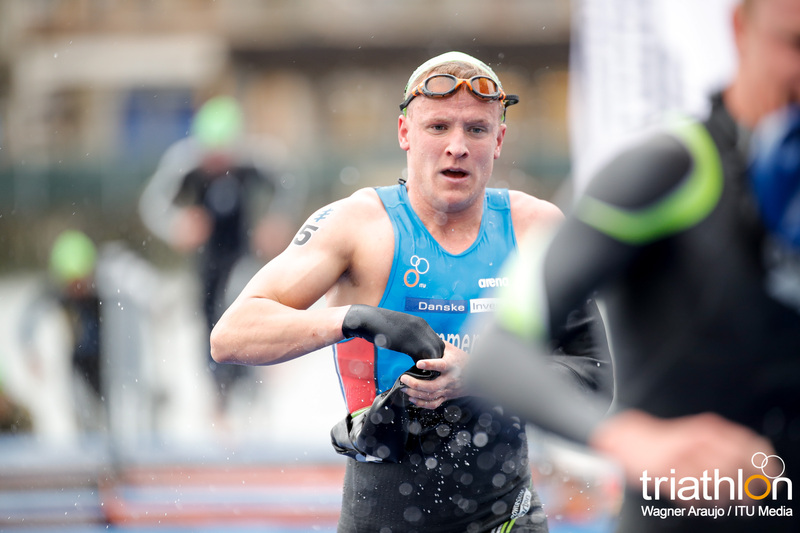 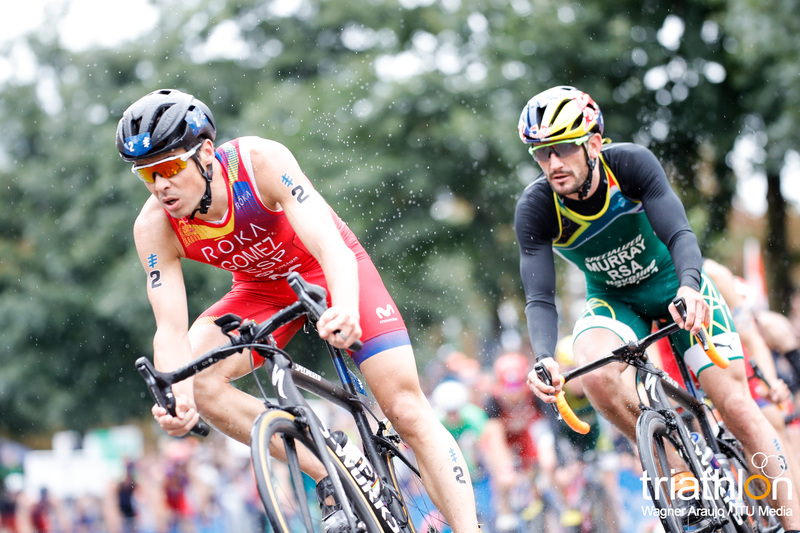 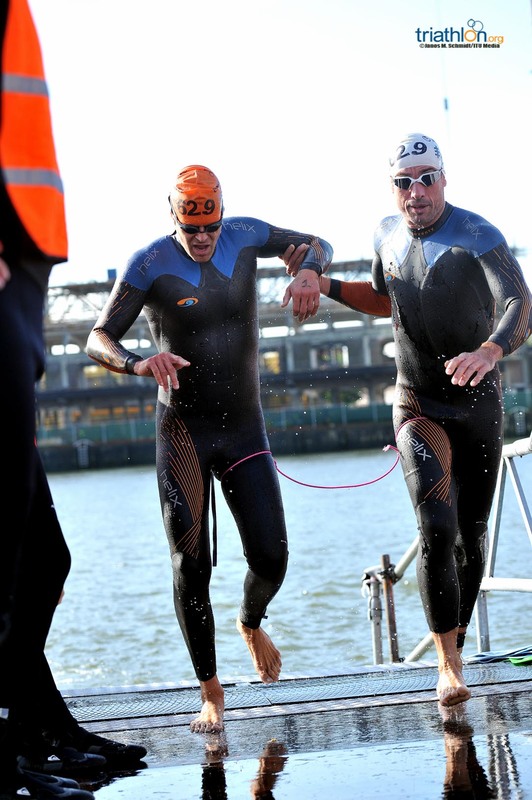 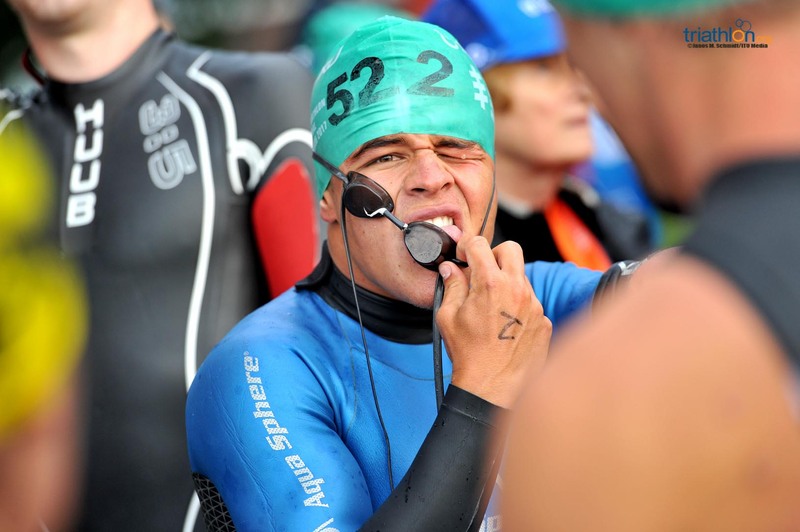 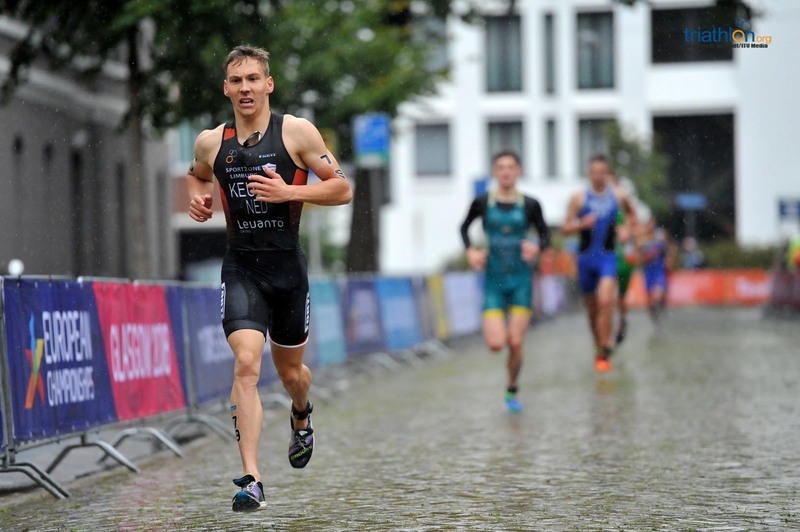 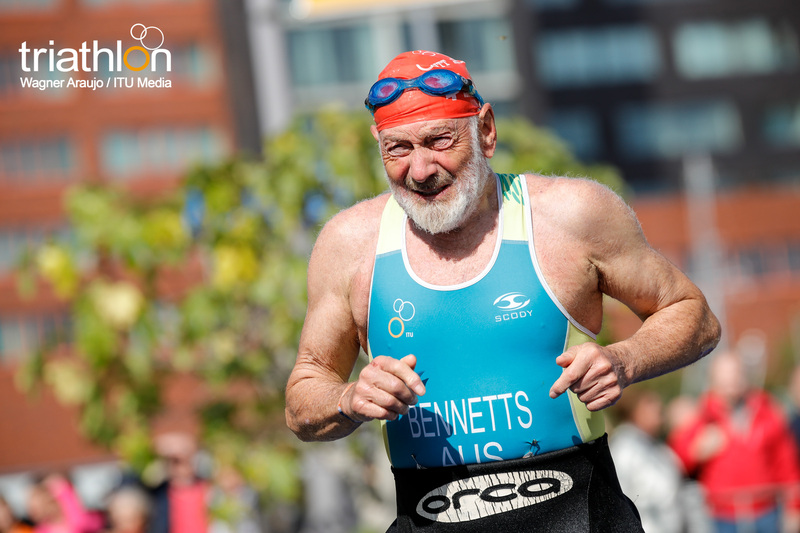 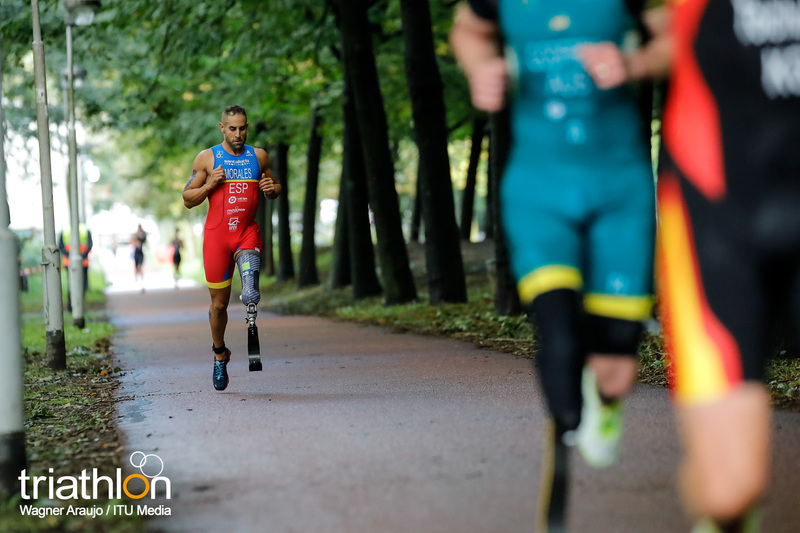 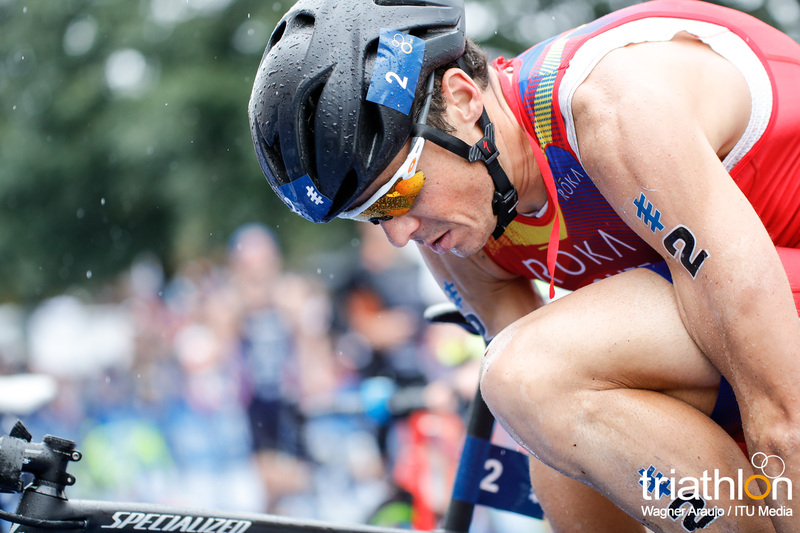 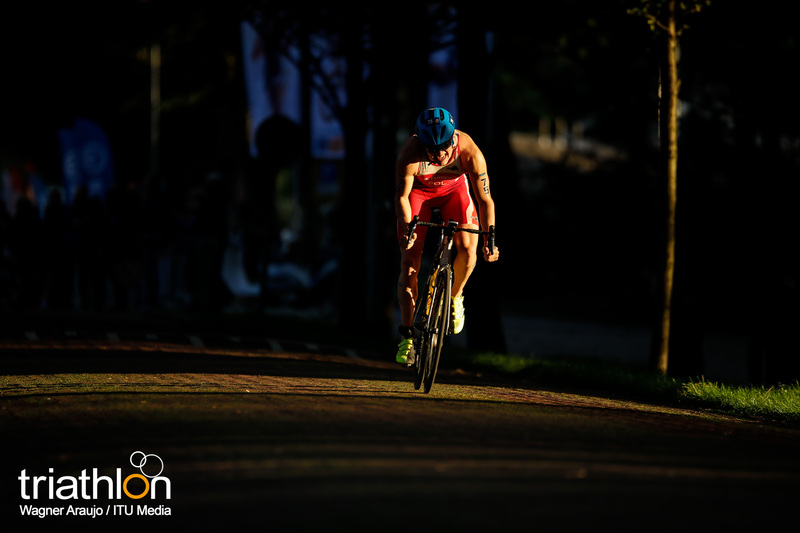 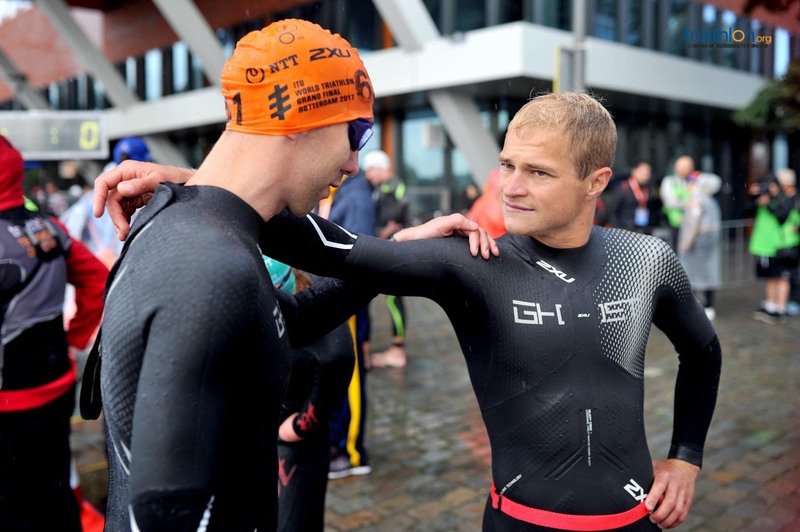 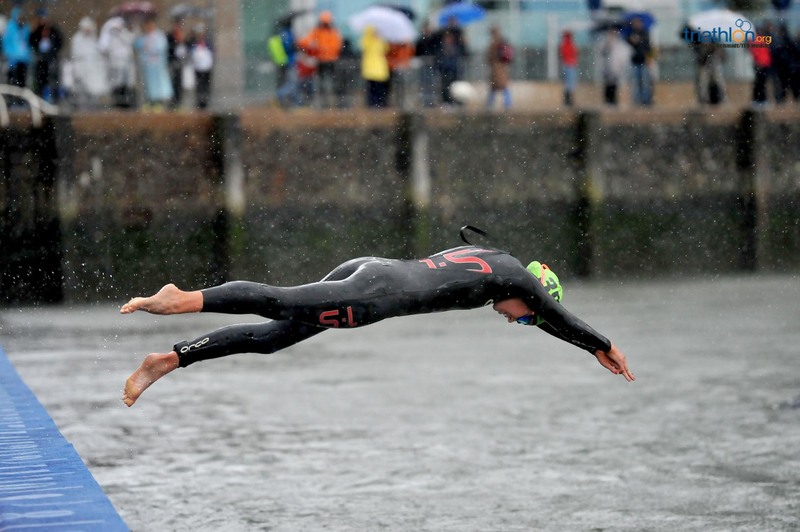 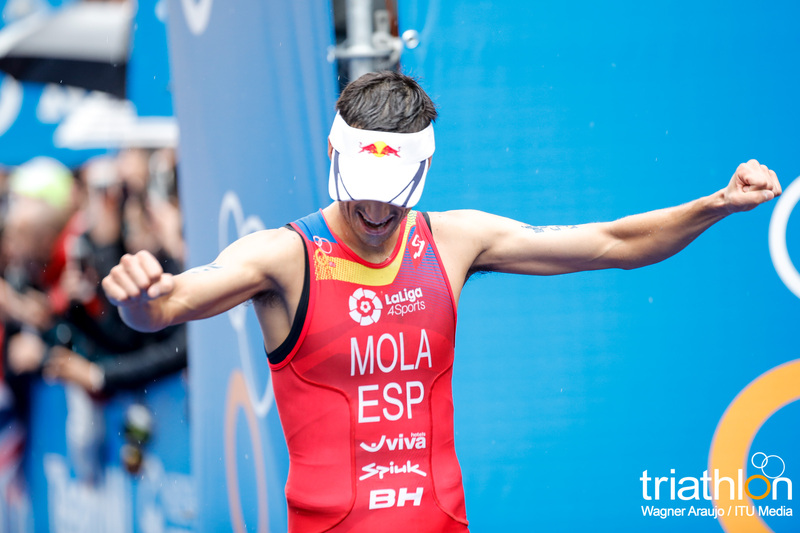 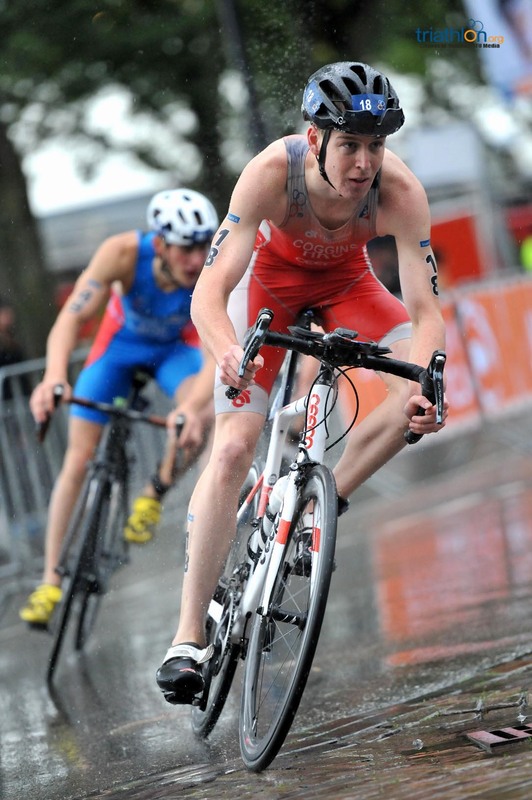 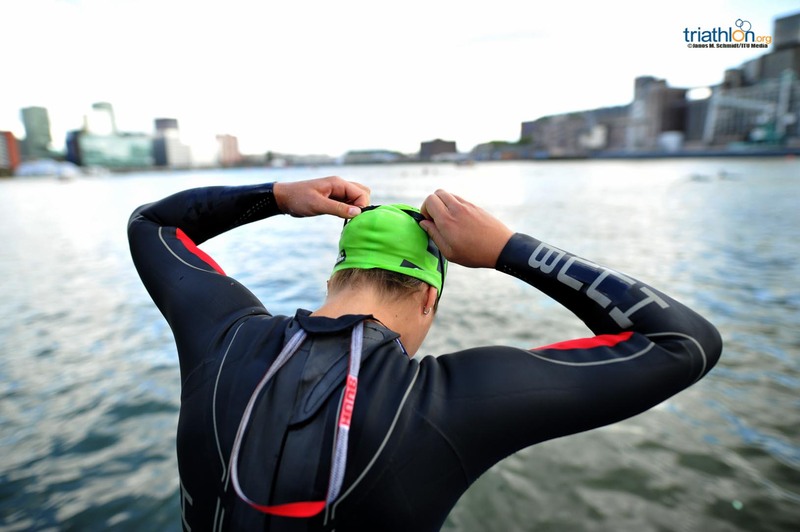 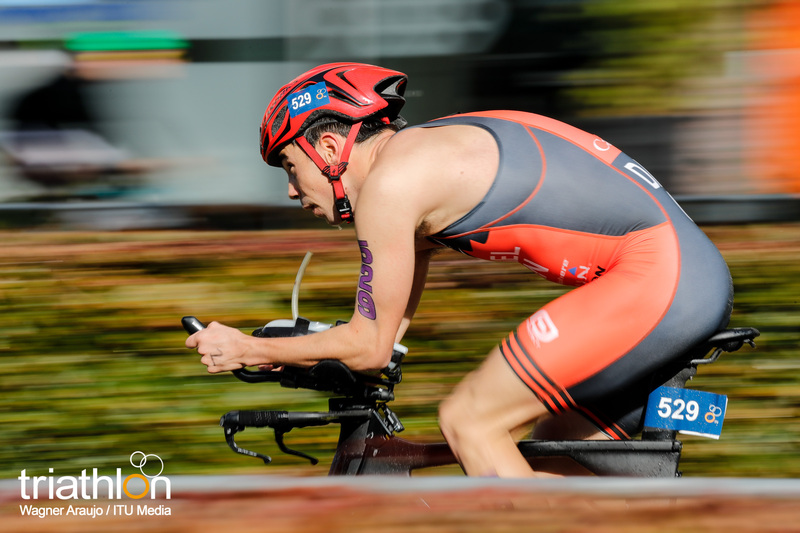 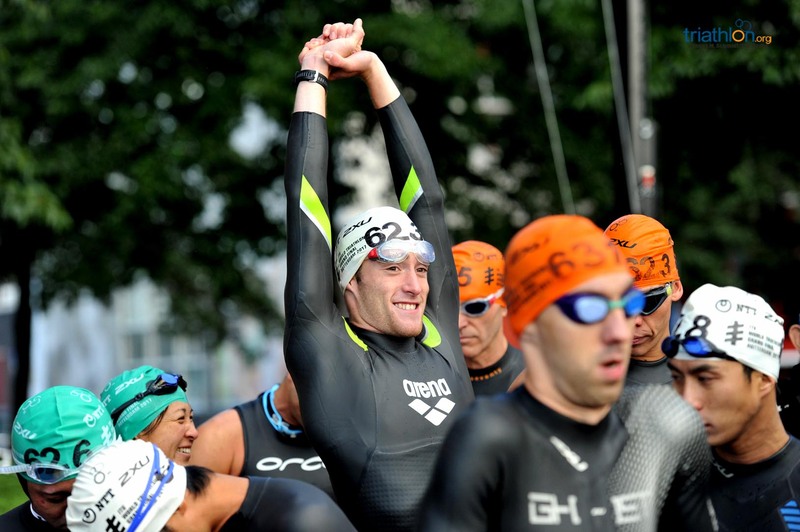 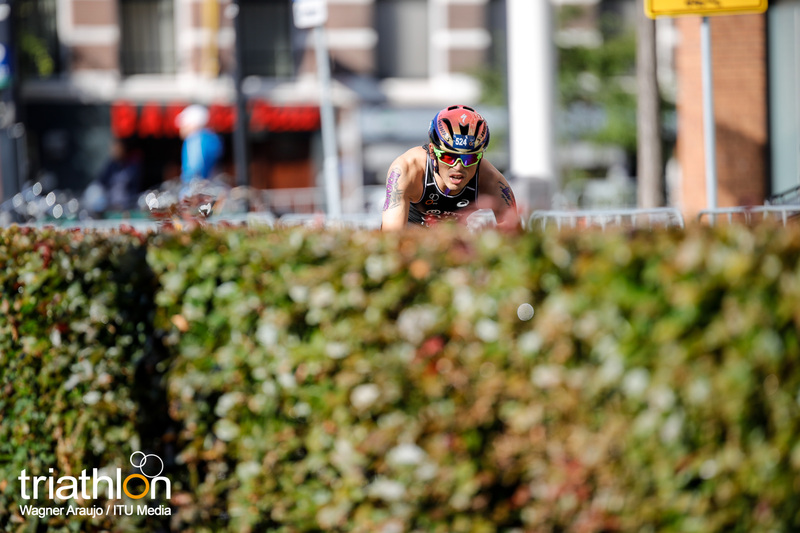 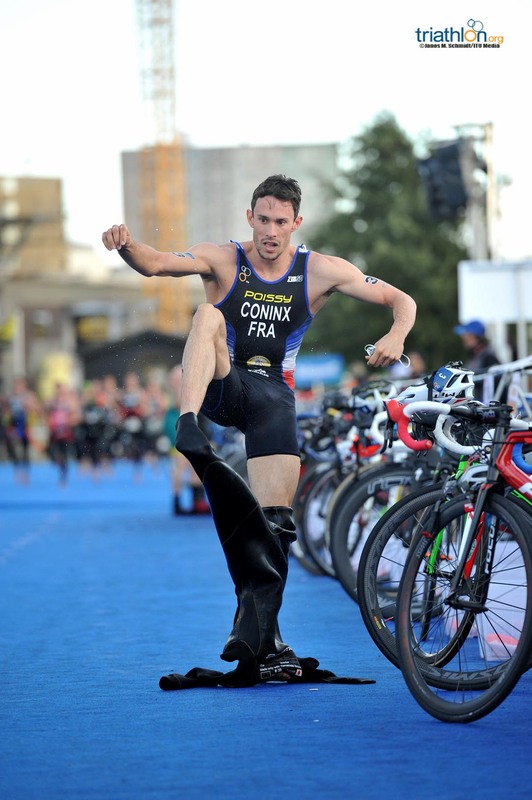 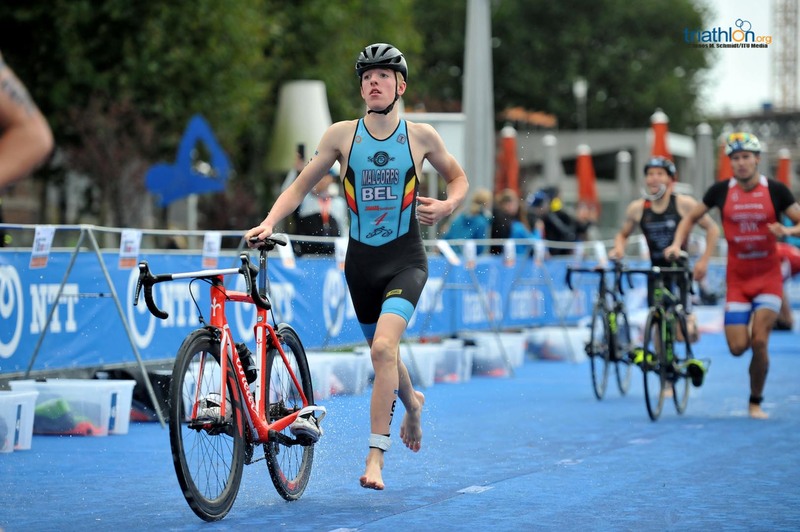 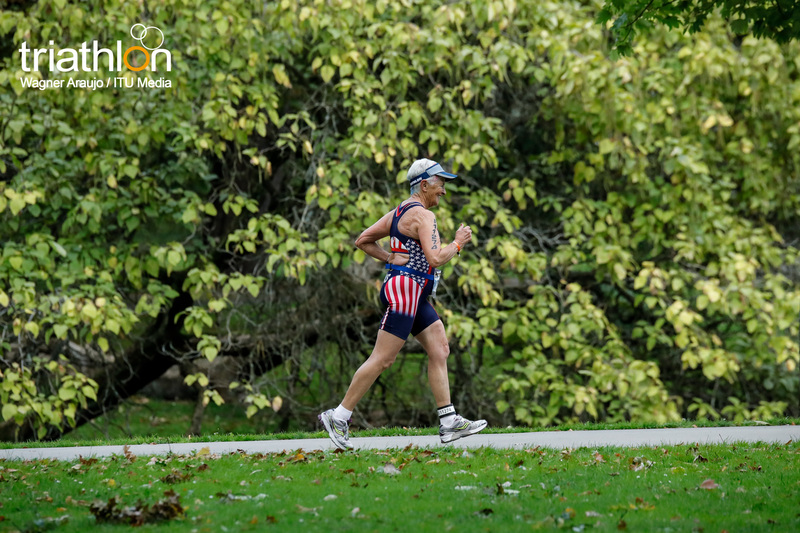 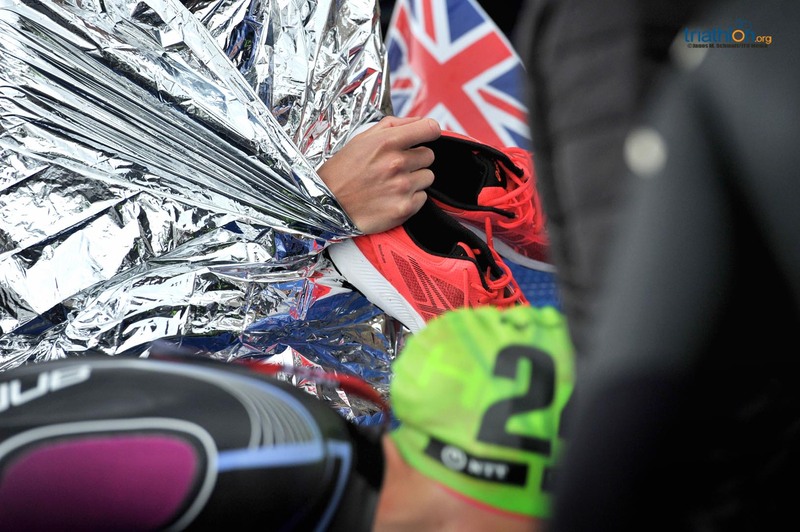 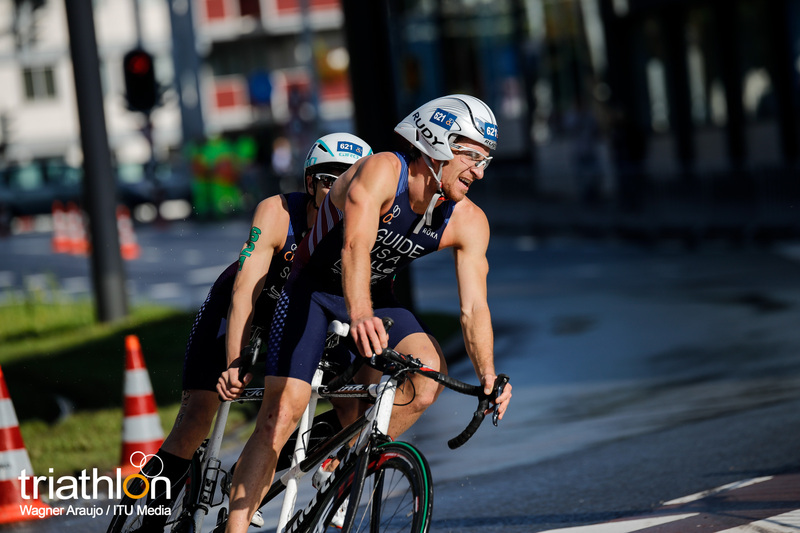 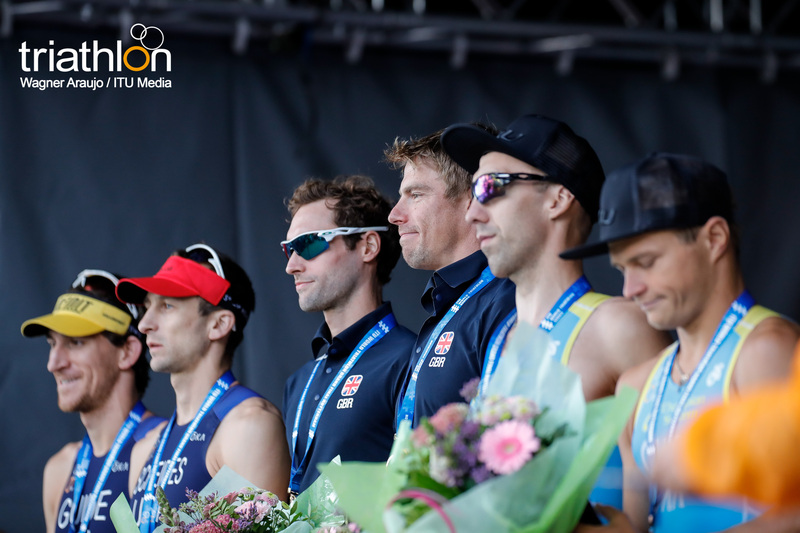 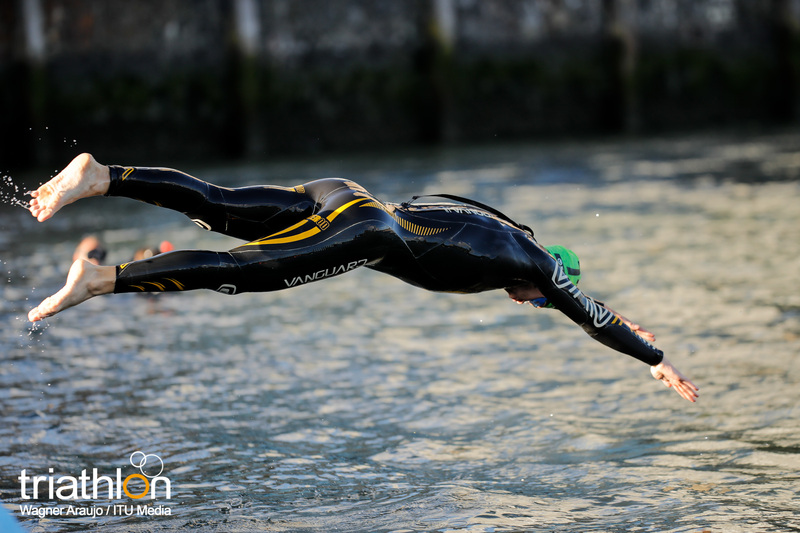 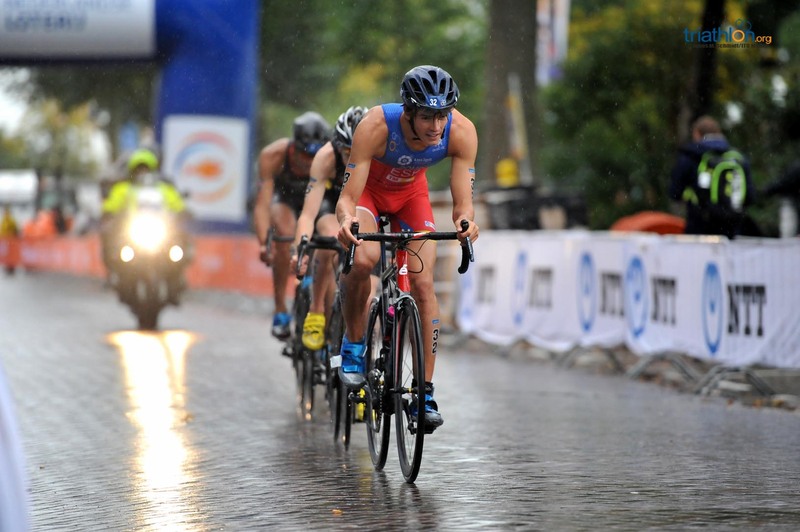 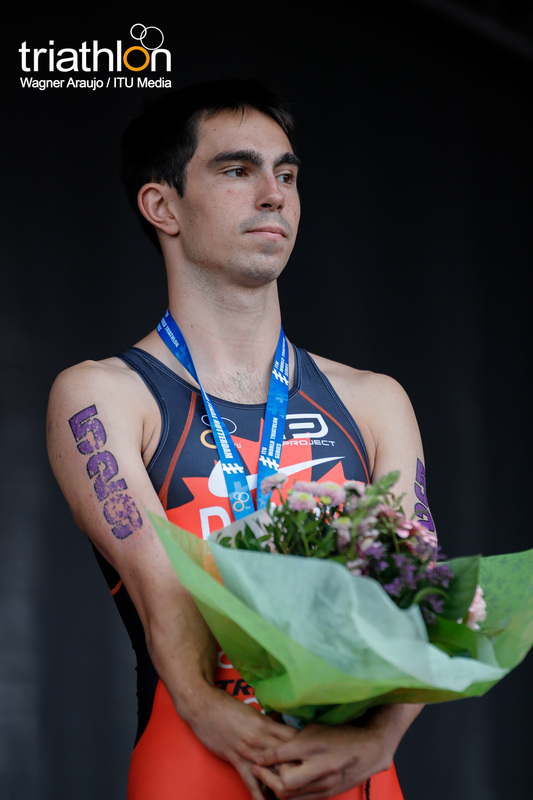 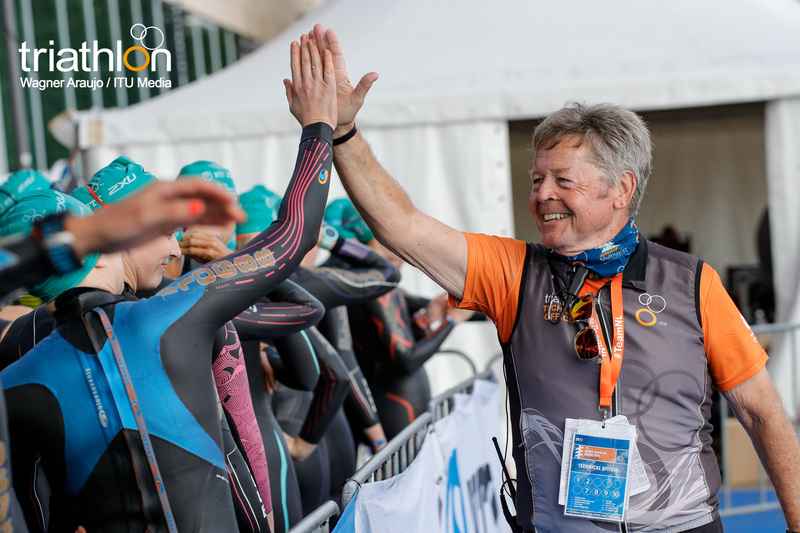 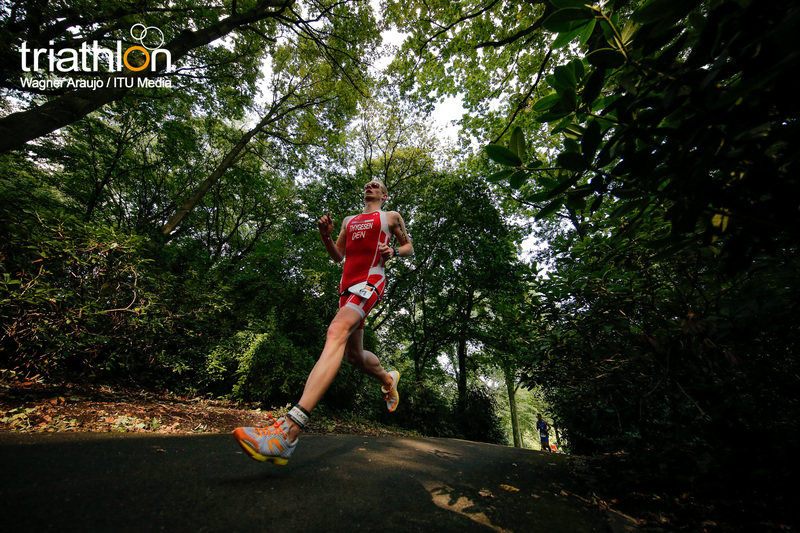 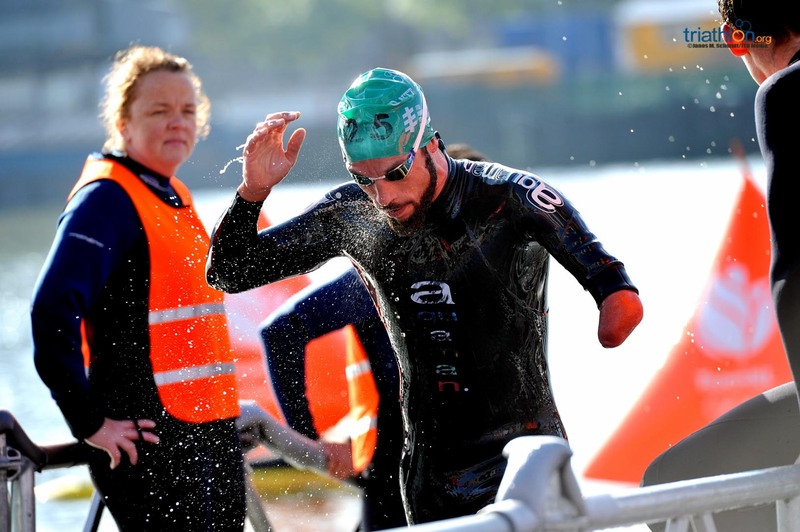 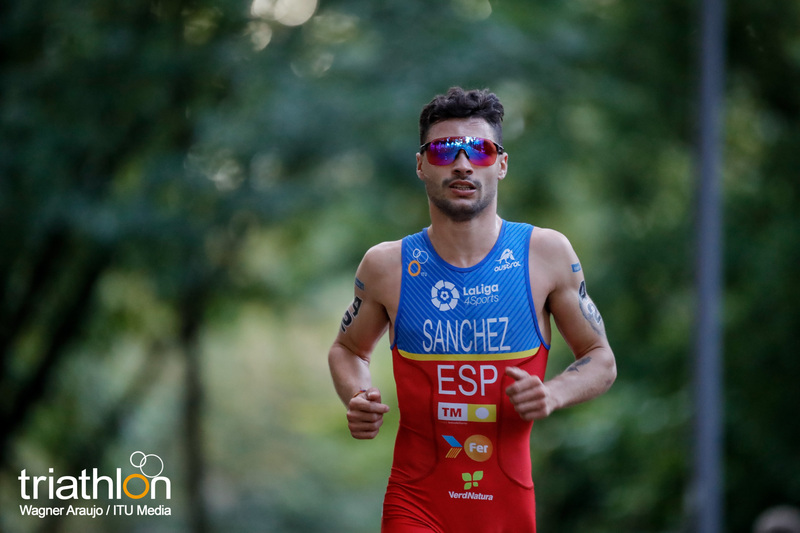 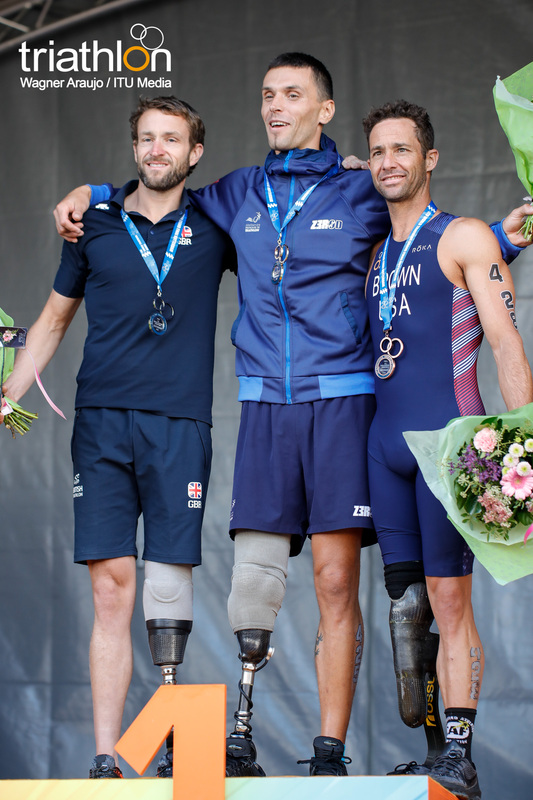 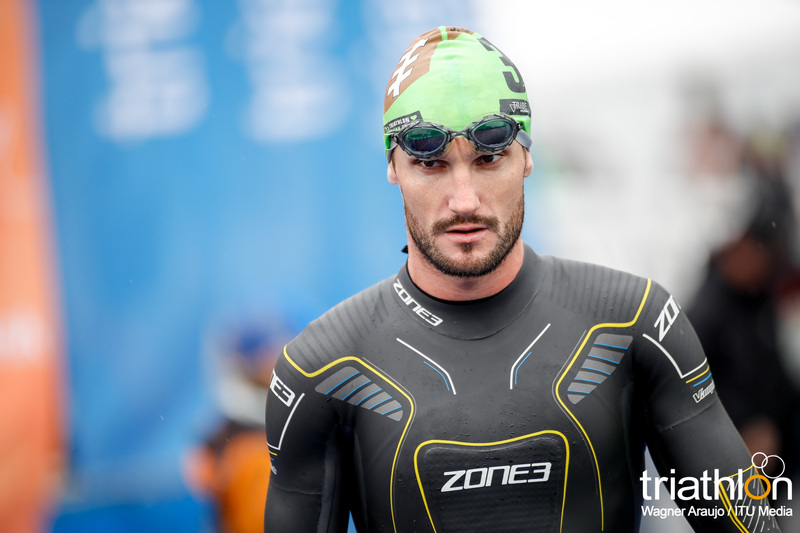 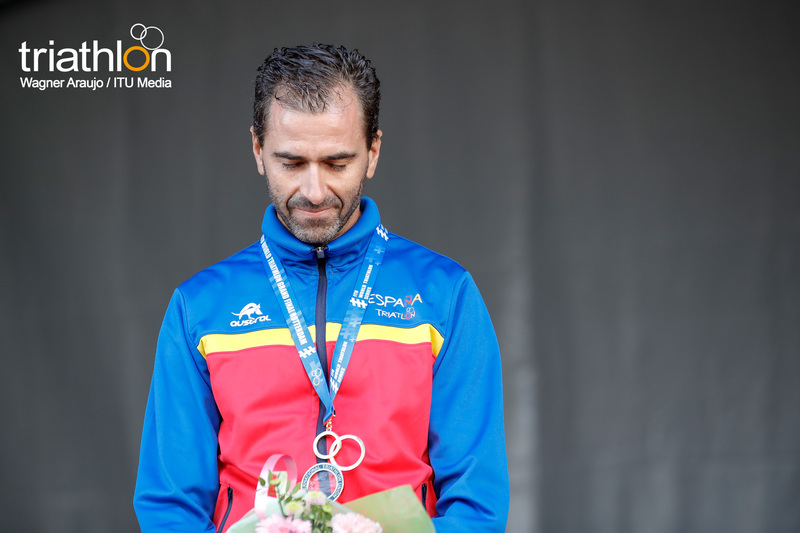 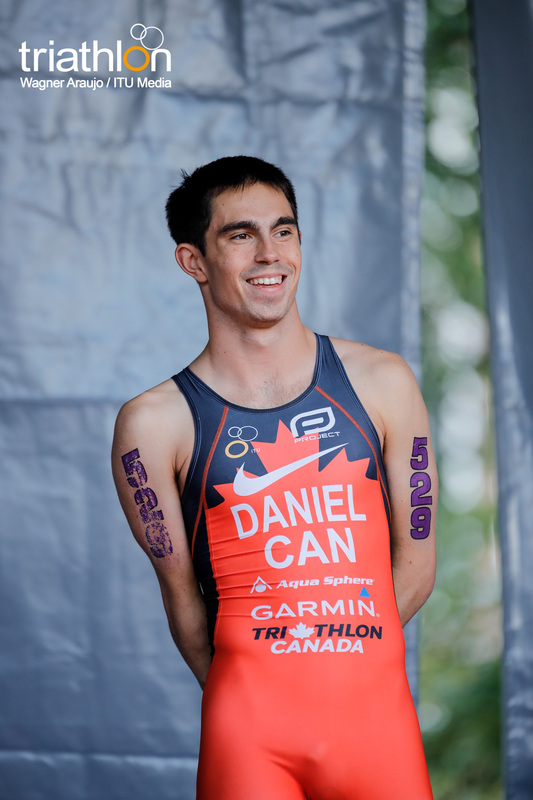 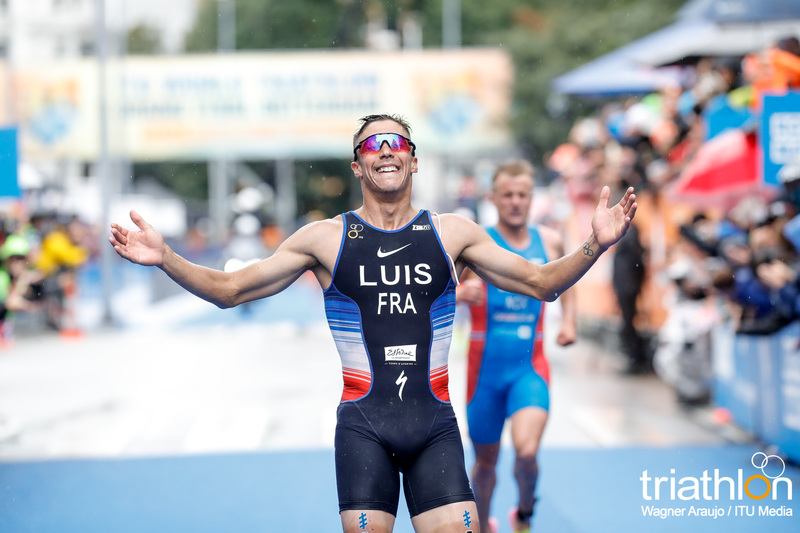 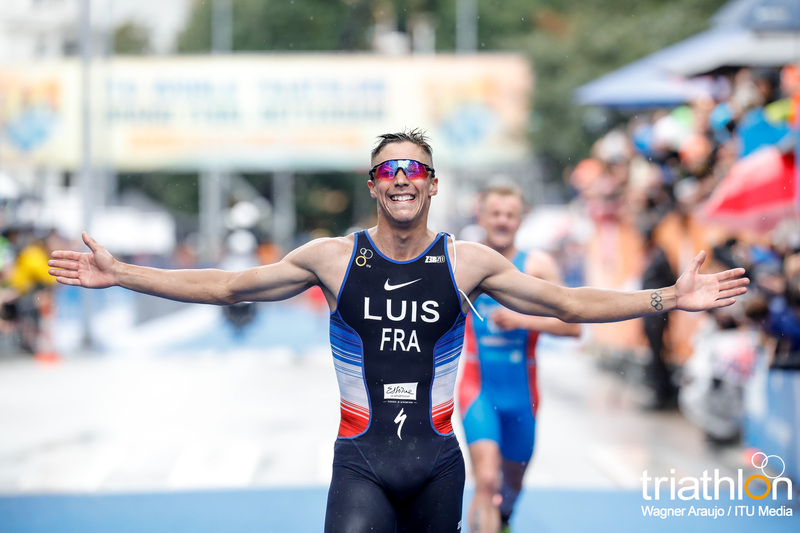 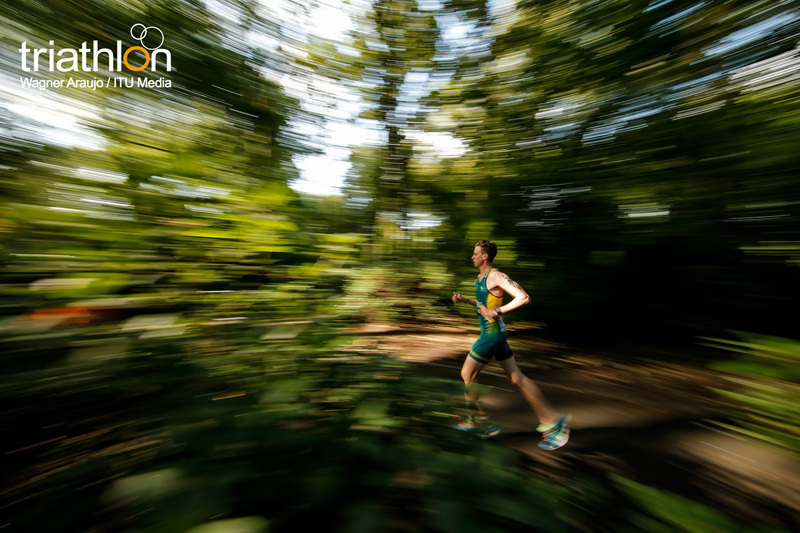 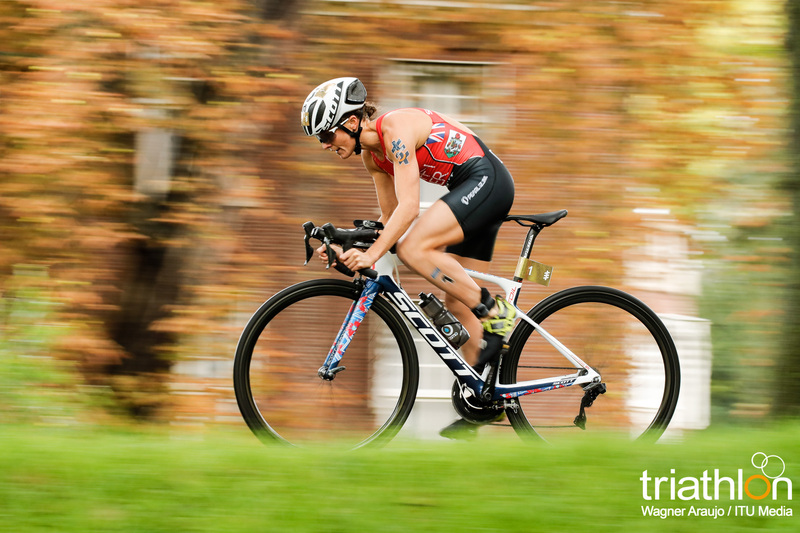 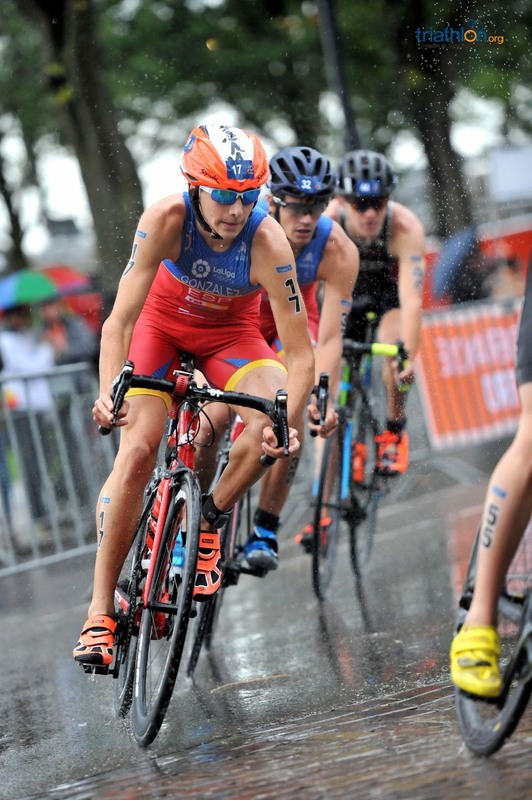 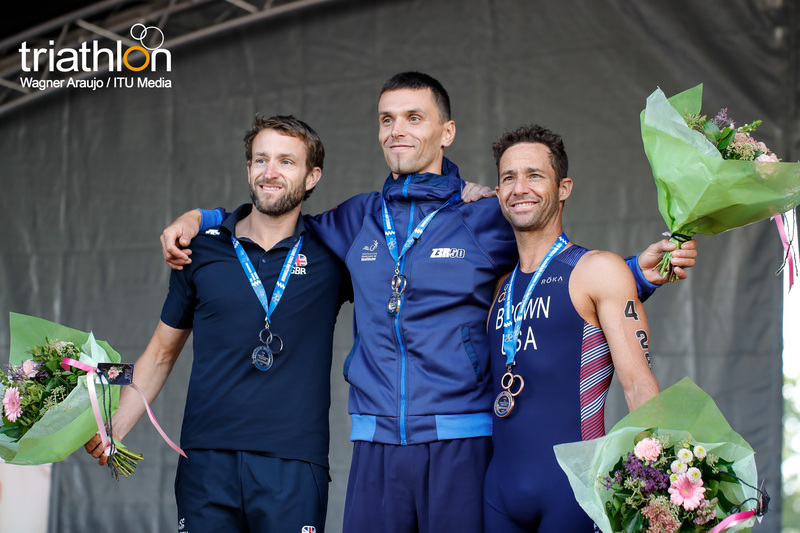 He has finished in the top 11 men in every single race, with personal bests as a silver medallist at the Madrid World Cup and finishing fifth in both WTS Edmonton and WTS Montreal. 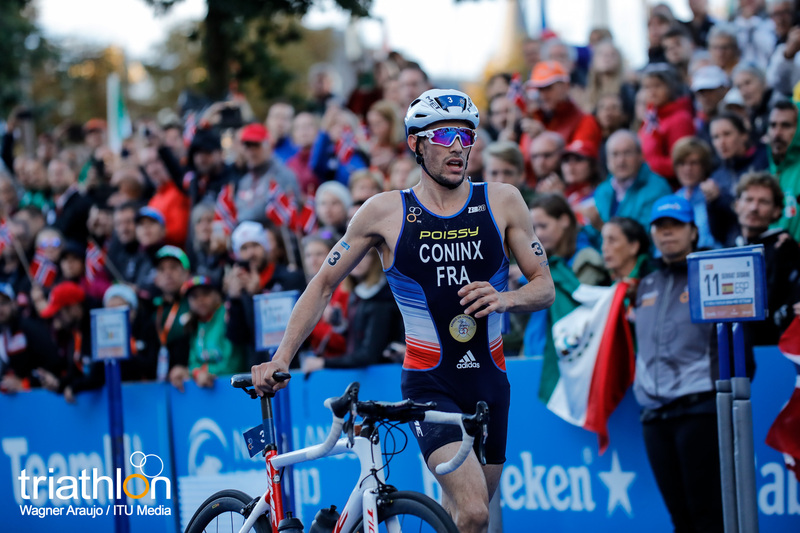 However, French compatriot Dorian Coninx is another top contender for the U23 title, giving France a strong chance at getting on the podium. 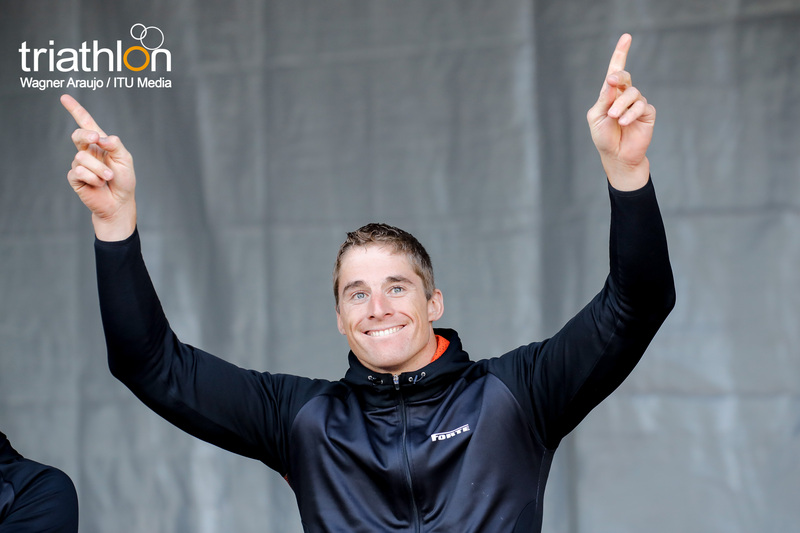 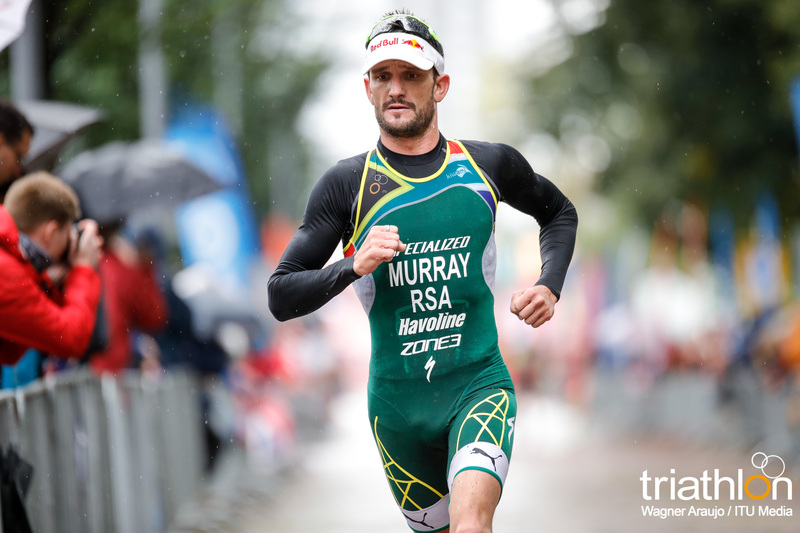 While he has not seen a podium yet this year, but last year he made it onto his first WTS podium by earning the bronze medal in 2016 WTS Cape Town. 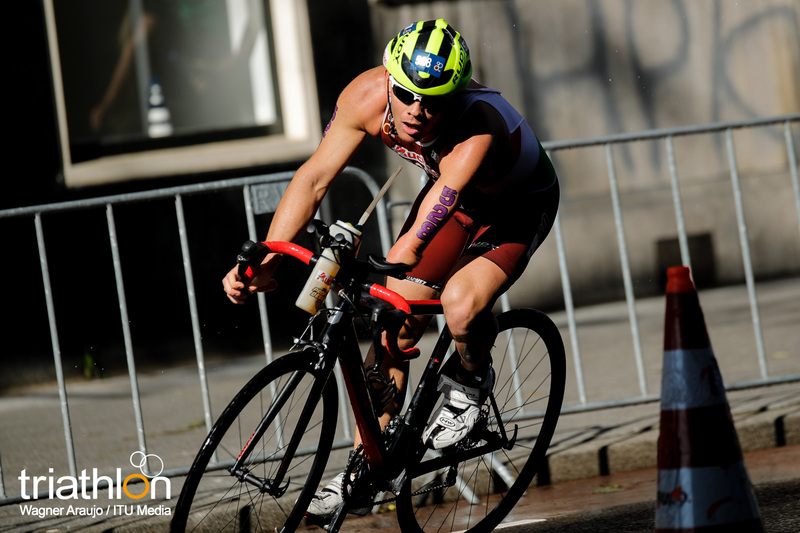 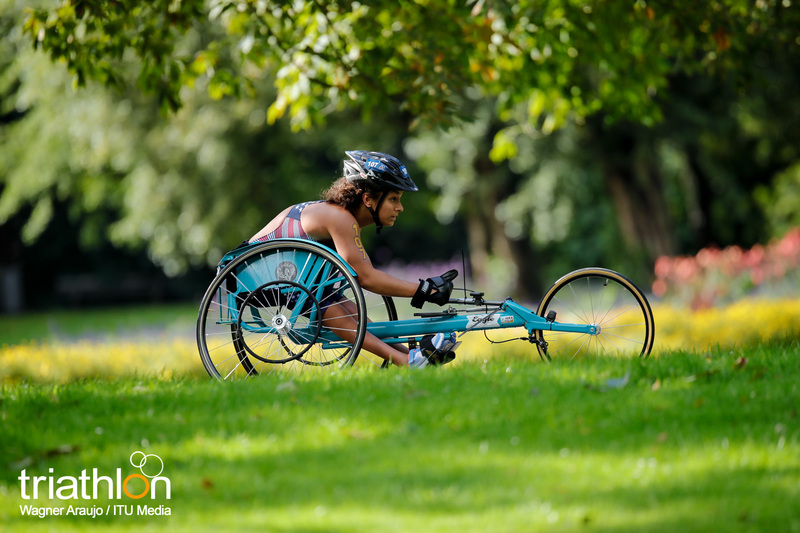 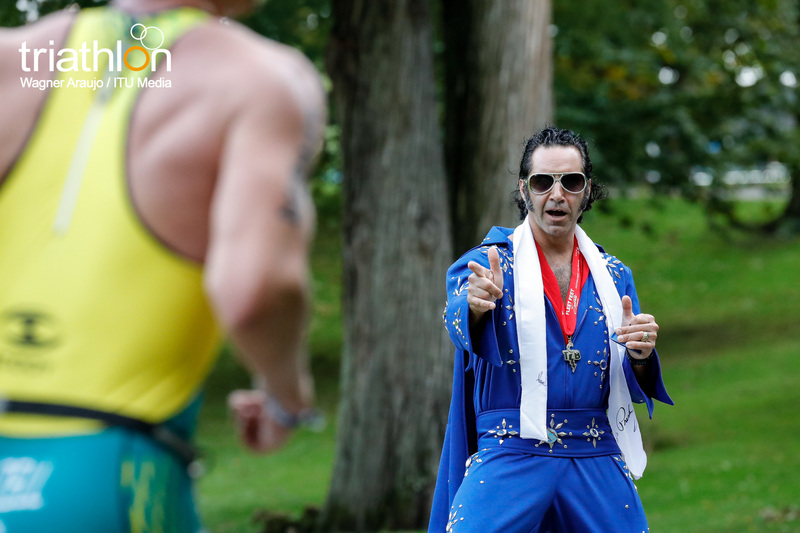 He is a really strong overall athlete, but an exceptional biker and runner, so if he gets in the lead bike pack he can really do some damage. 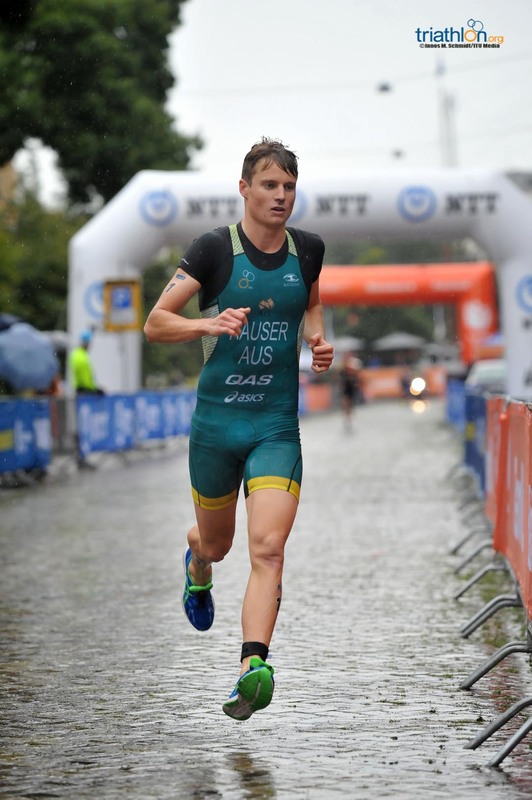 Representing Australia is Luke Willian. 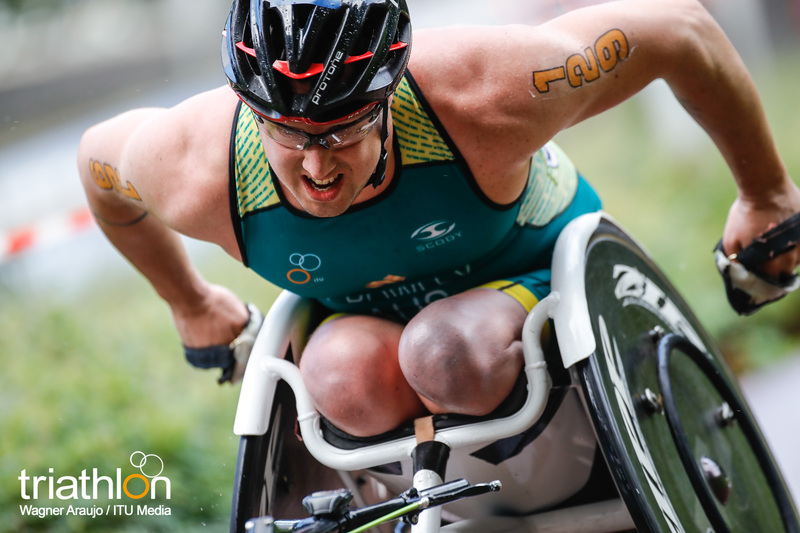 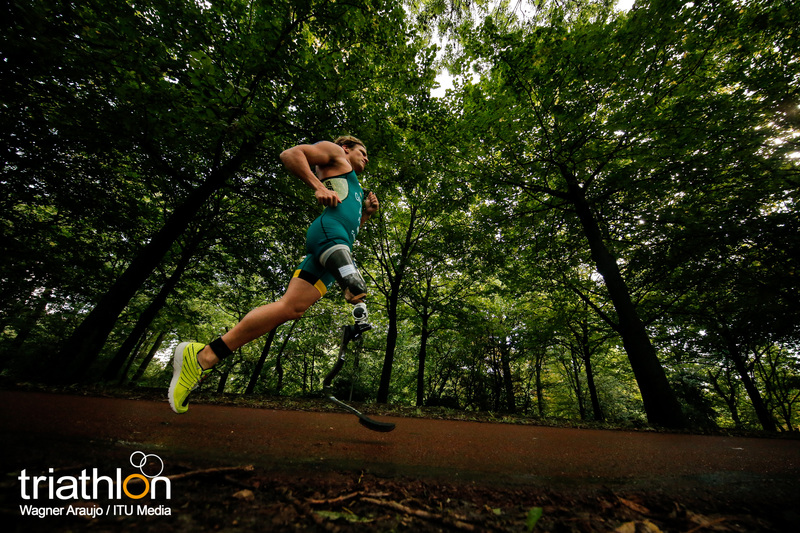 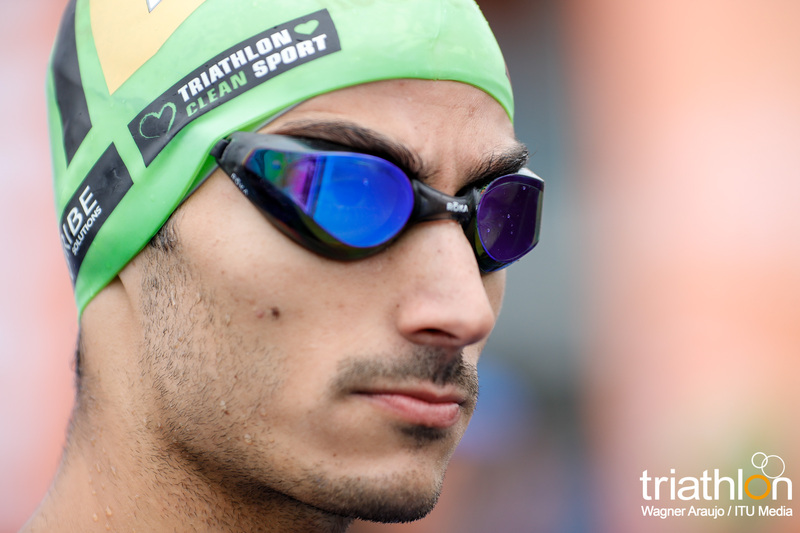 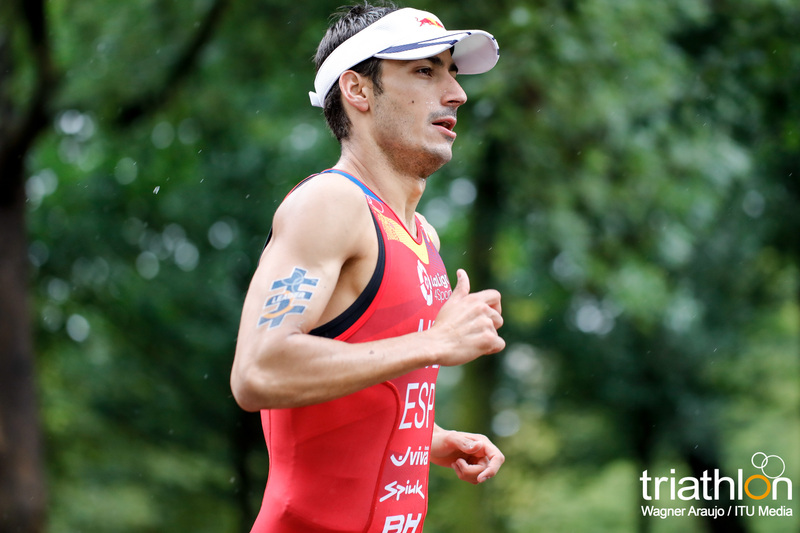 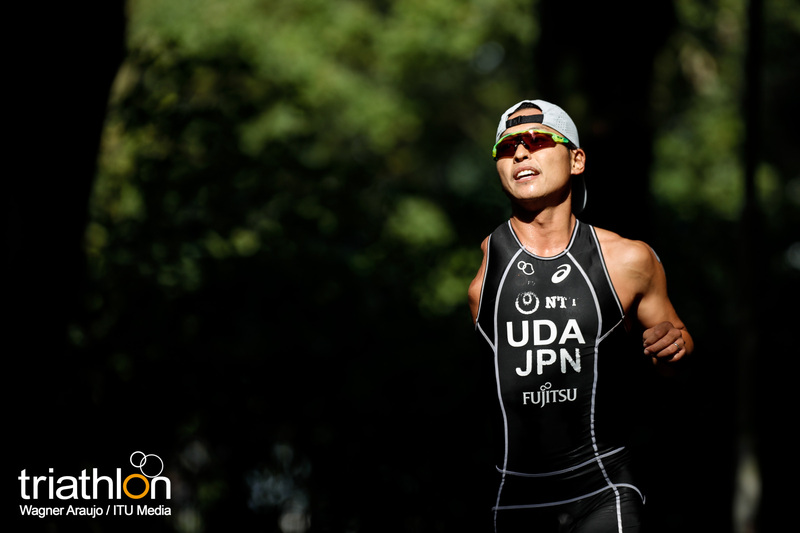 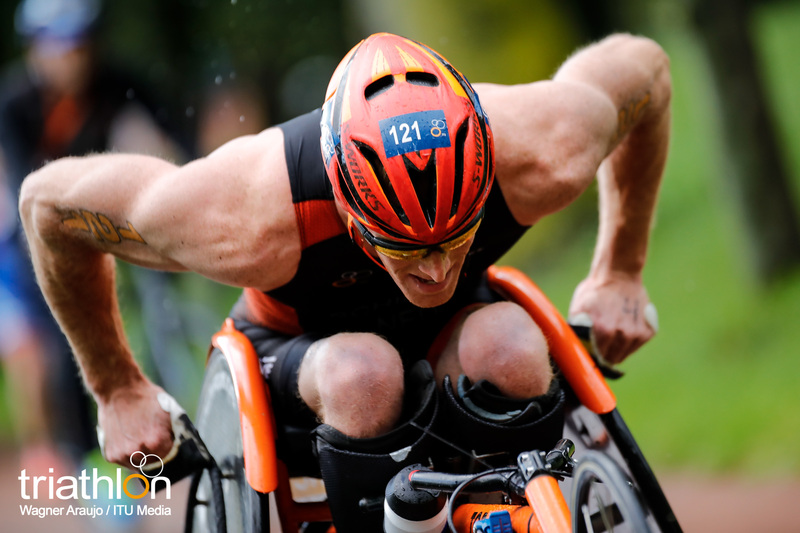 He has had a stellar year in the World Cup scene this year, earning a victory in Mooloolaba and a bronze in Chengdu. 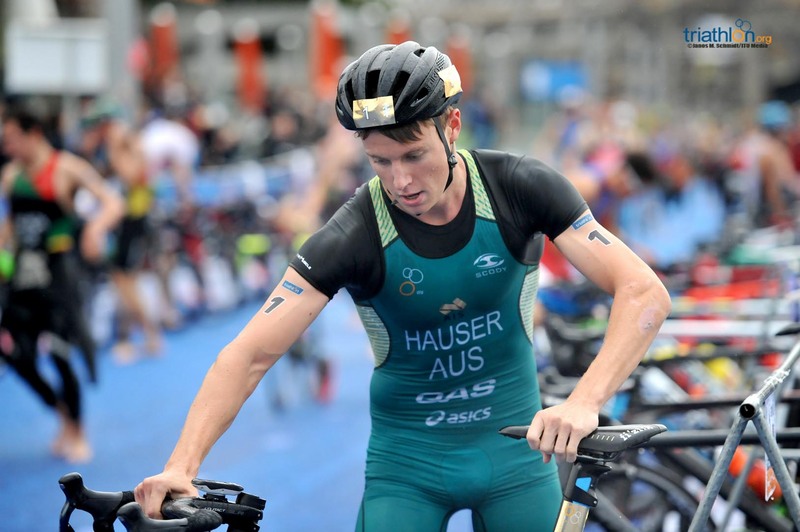 If he can get the World Title this week, he will bring back the honour home to Australia since Aussie Jacob Birtwhistle won the title in 2015. 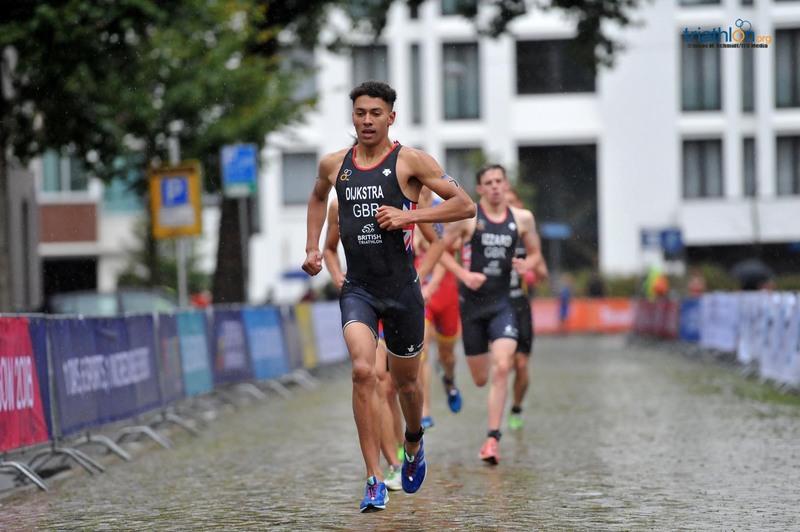 Adrien Brifford (SU) is a young talent that is going to make some waves on the elite scene in the upcoming years. 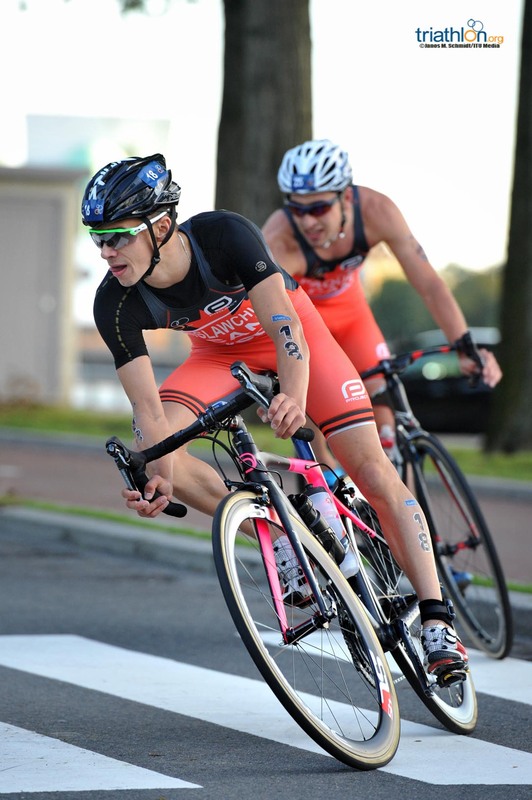 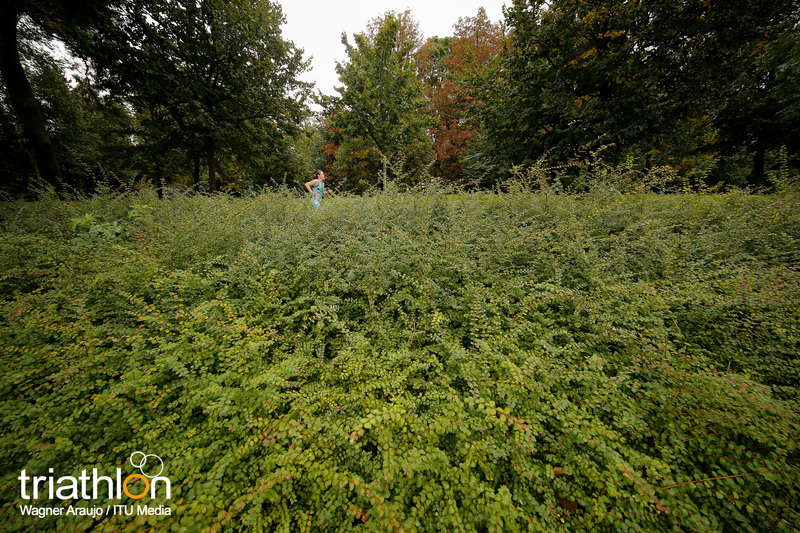 He is a three-sport athlete, but really excels in the bike and run. 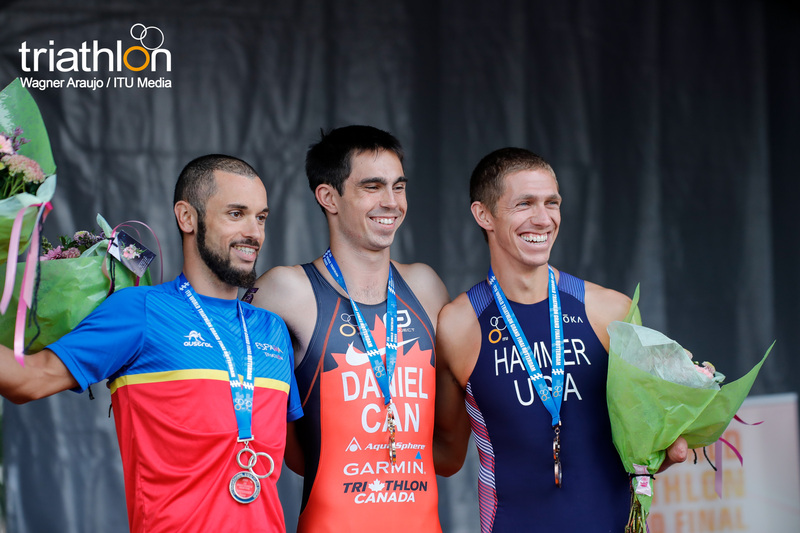 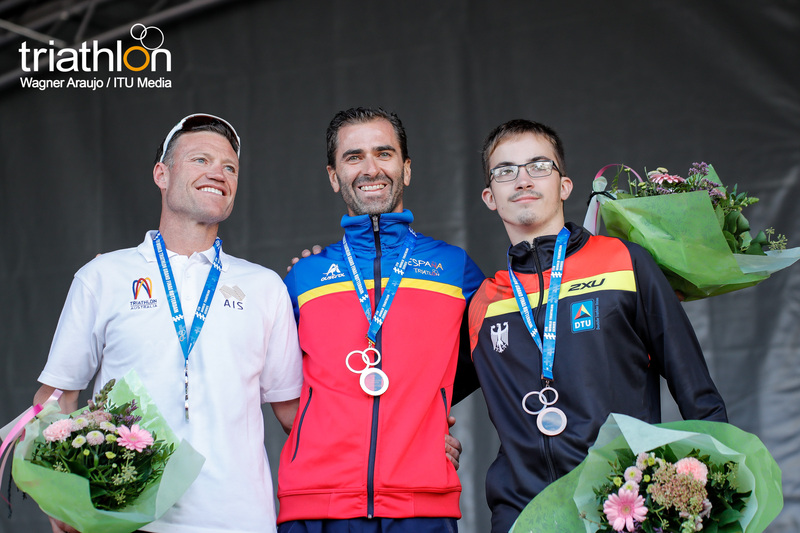 He won his first World Cup gold in Cagliari this year and earned a bronze medal in the U23 duathlon world championship in Penticton this year. 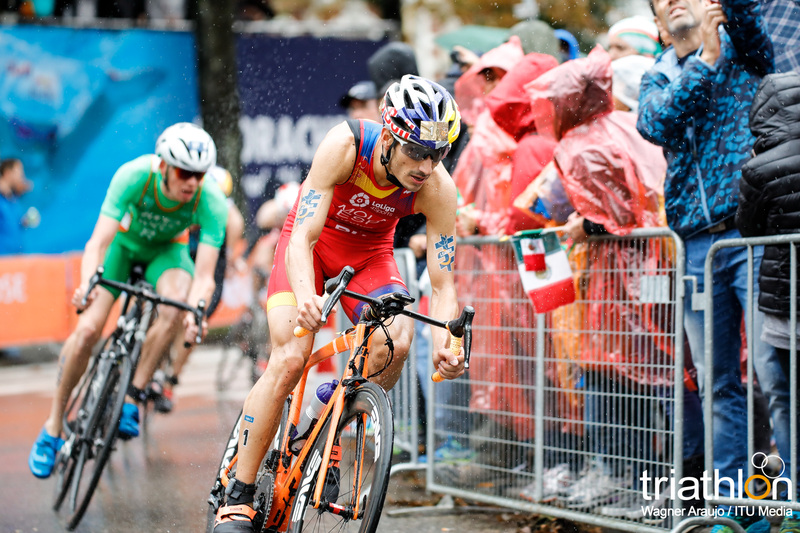 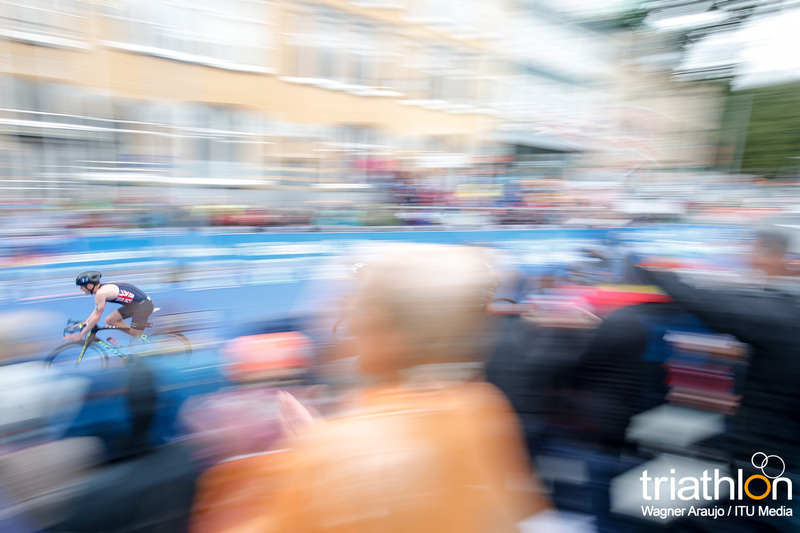 Competing under the ITU flag, Jonas Schomburg is easily one of the strongest cyclists in the field for the men’s race. 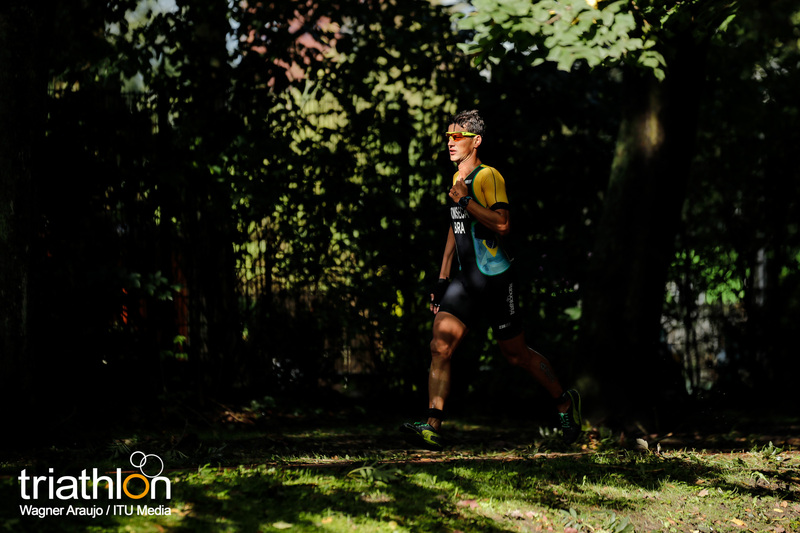 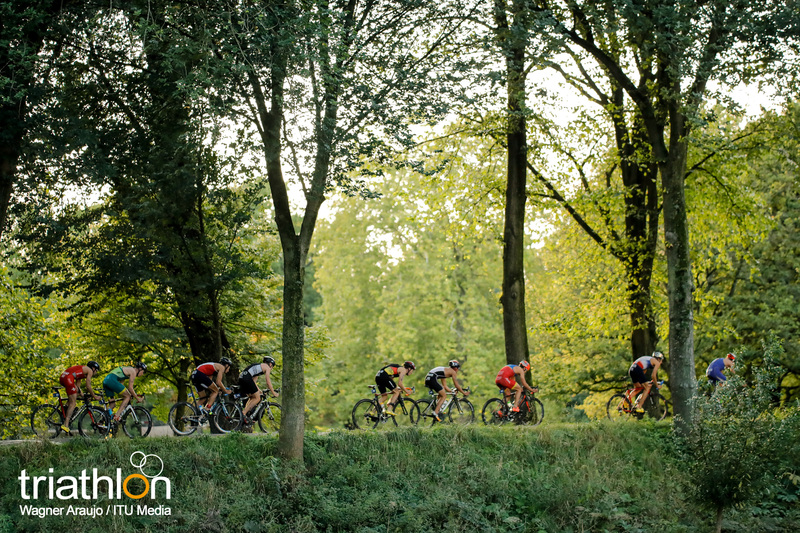 He is known to pull breakaway and challenge the packs out on the course, so he is a real threat if he makes it onto the lead bike pack. 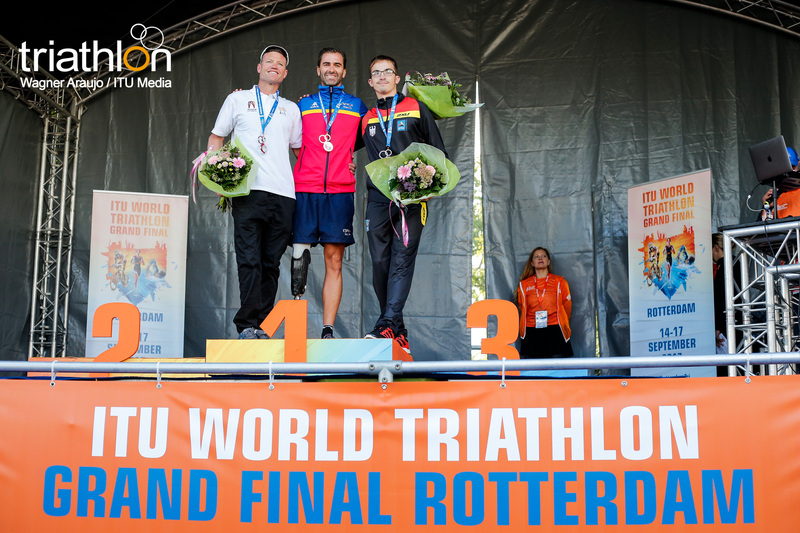 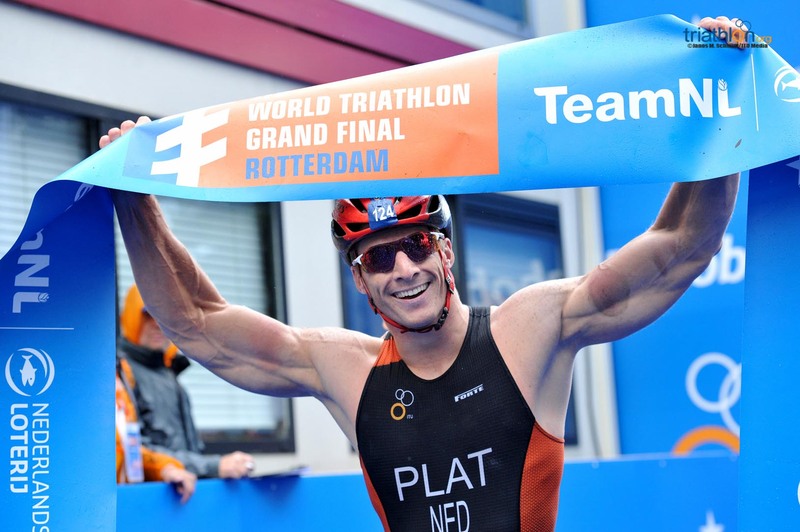 Jorik Van Egdom (NED) will be competing to not only reclaim the U23 World Title that he earned in Cozumel last year, but also to win a title in front of his home nation. 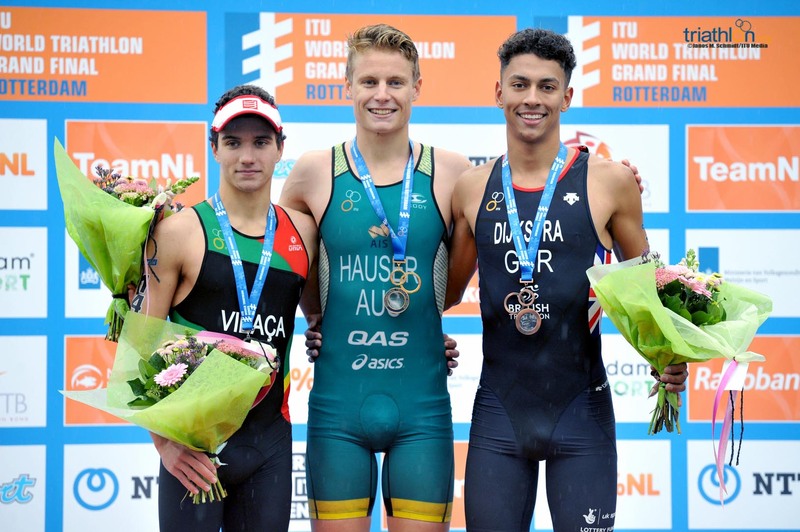 Brazilian Manoel Messias was the silver medallist in the U23 World Championship in Cozumel last year and will be another athlete trying to get a repeat podium. 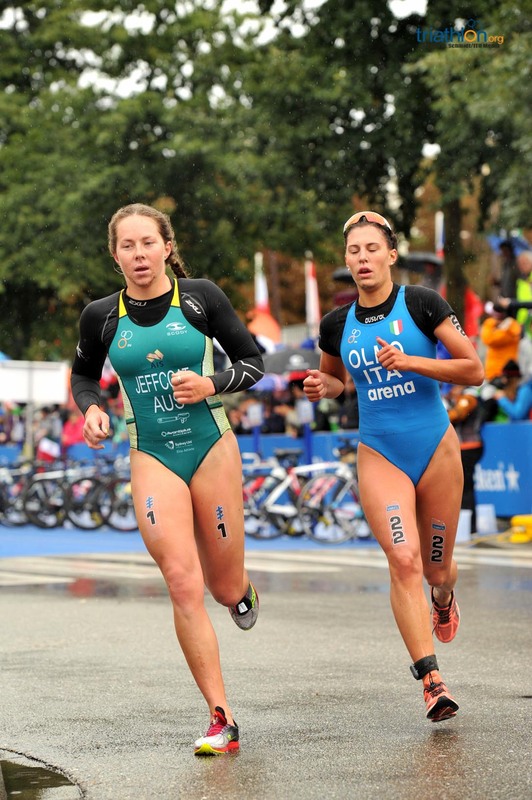 Australian Emma Jeffcoat will be leading the women’s roster. 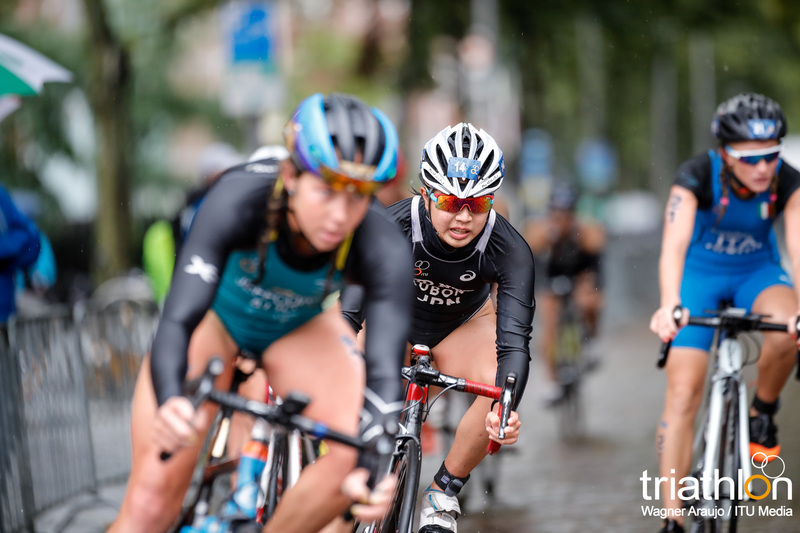 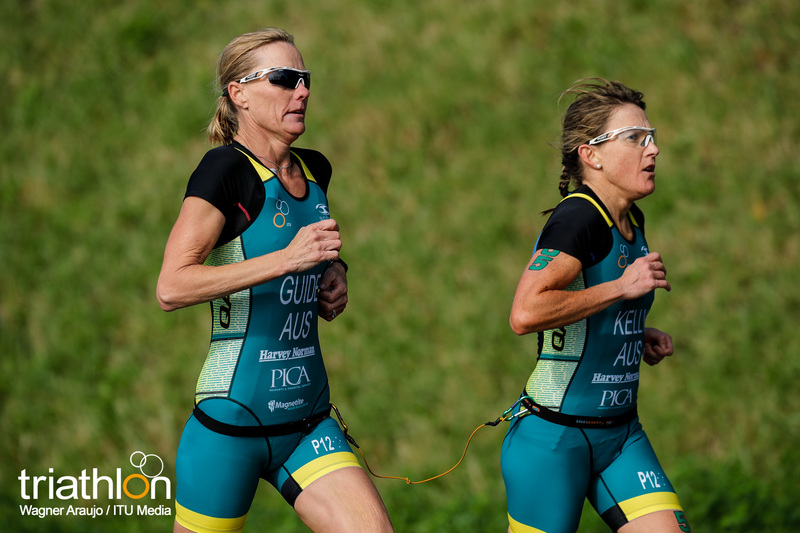 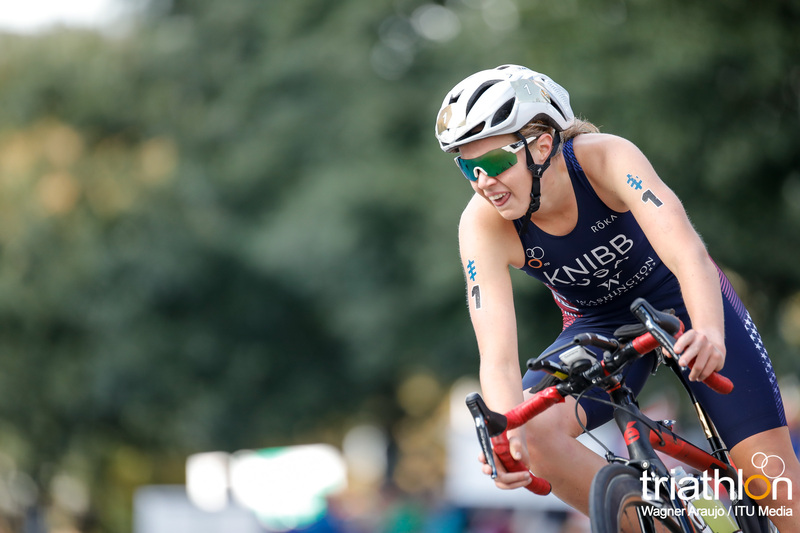 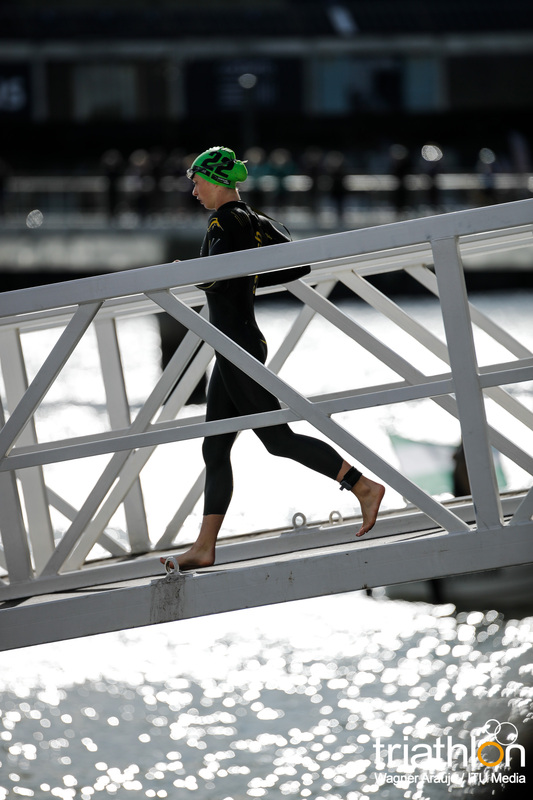 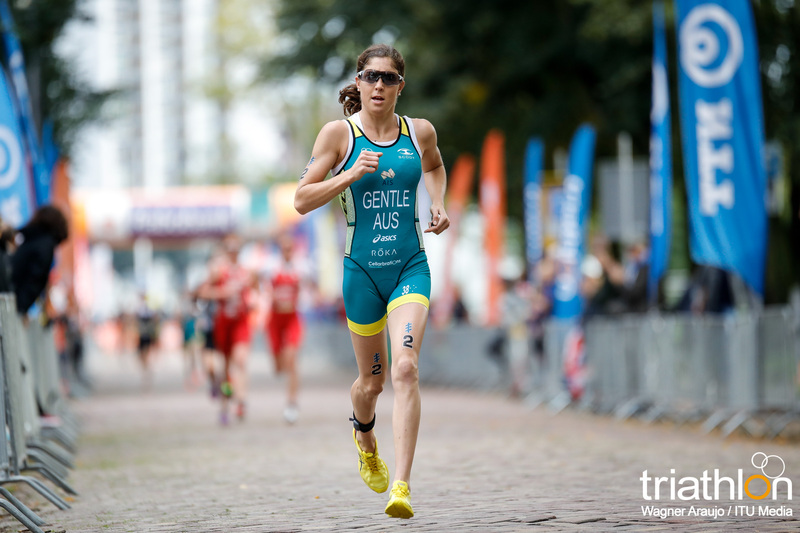 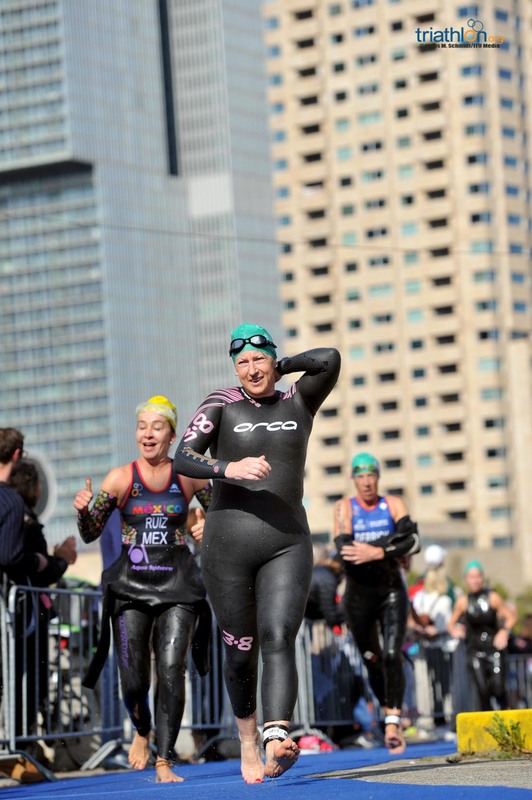 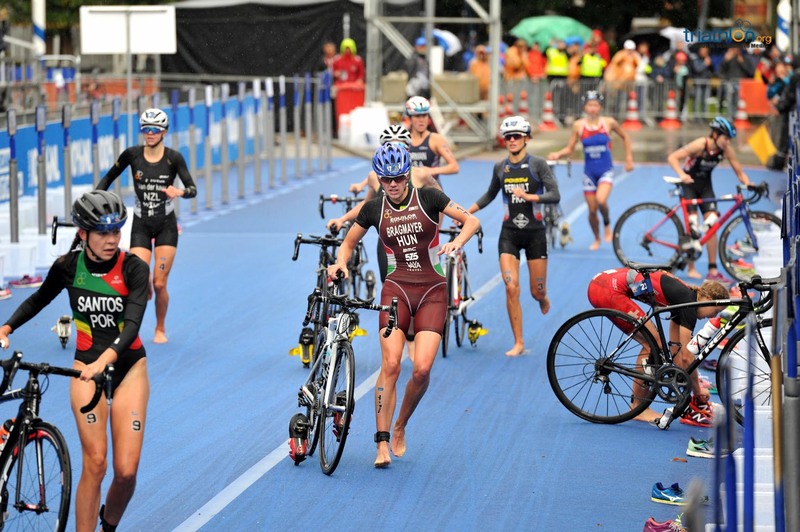 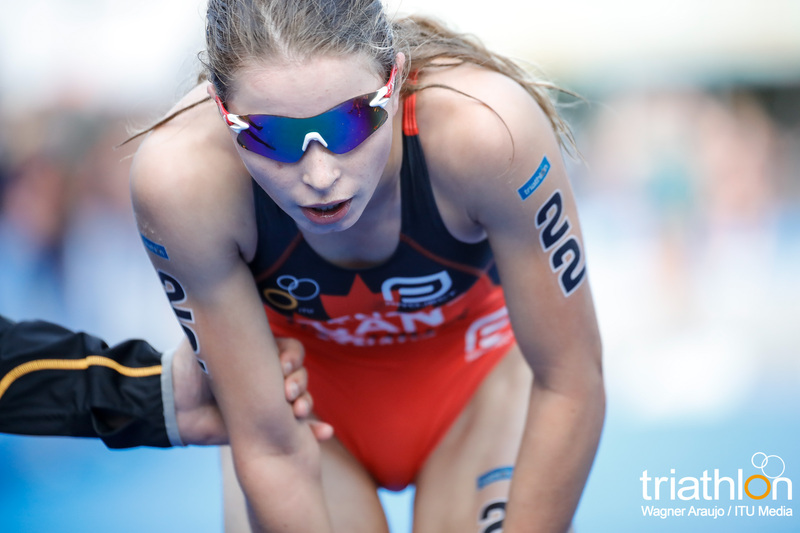 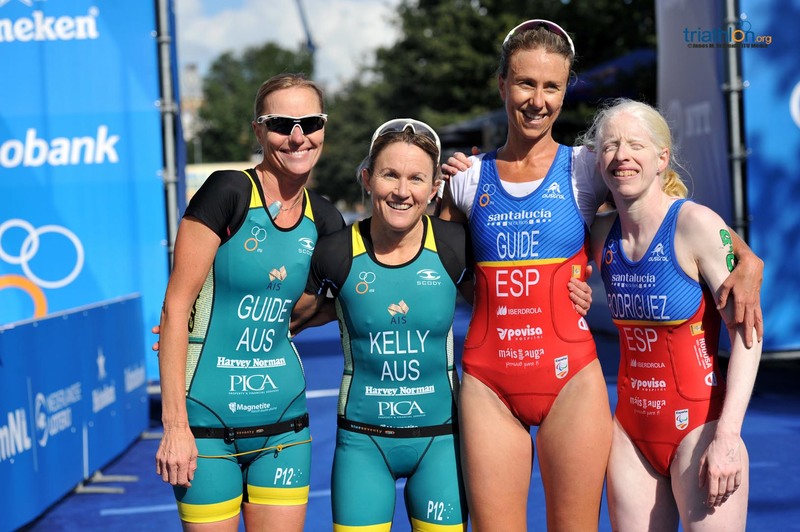 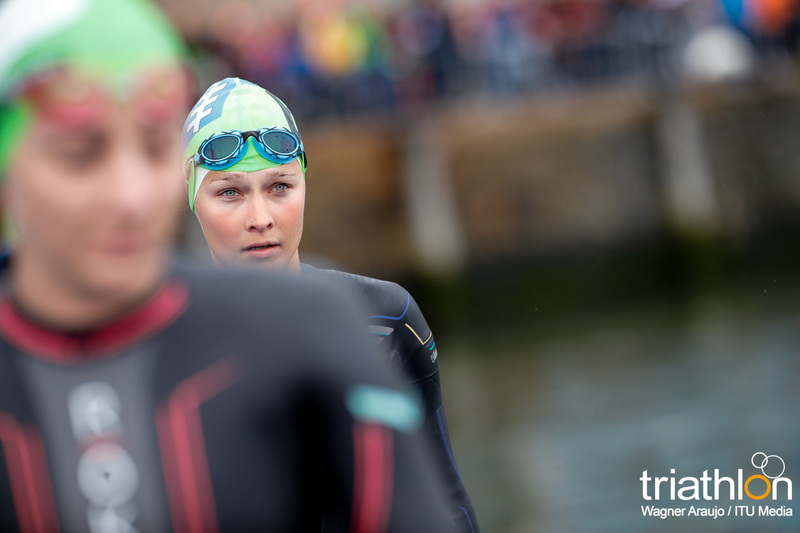 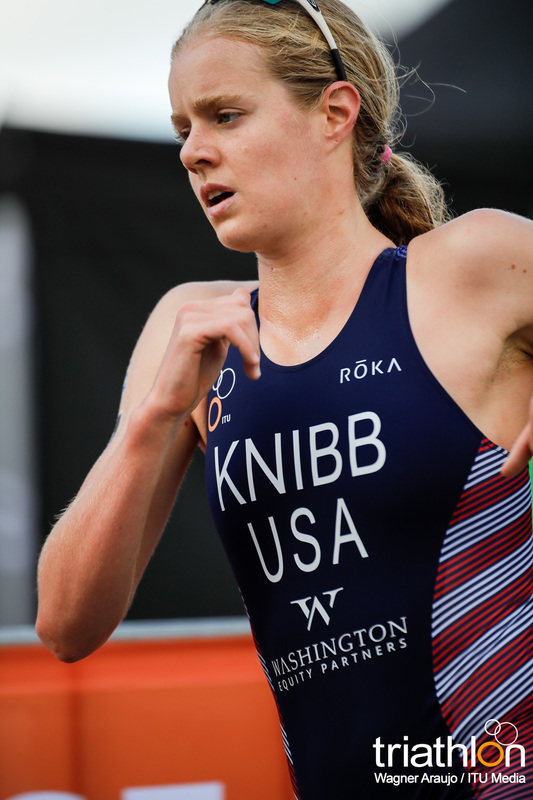 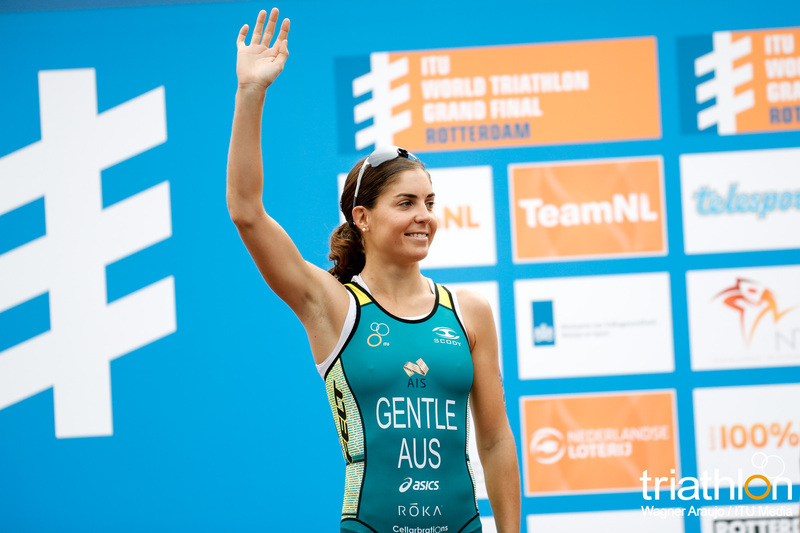 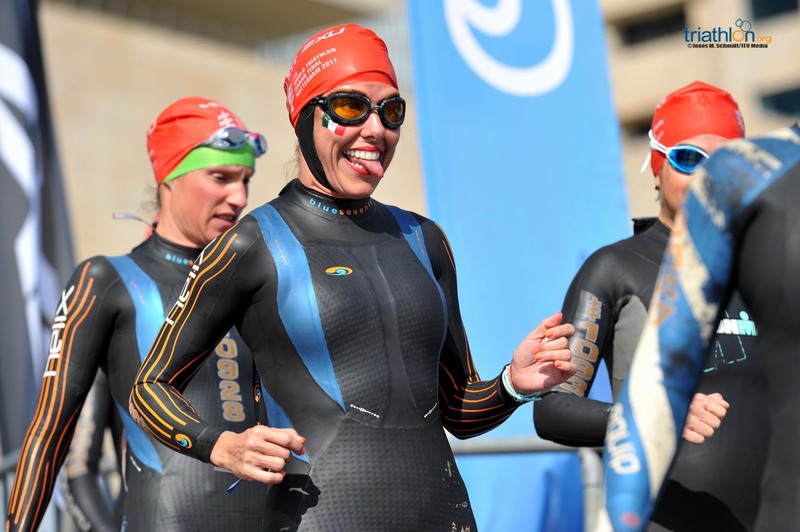 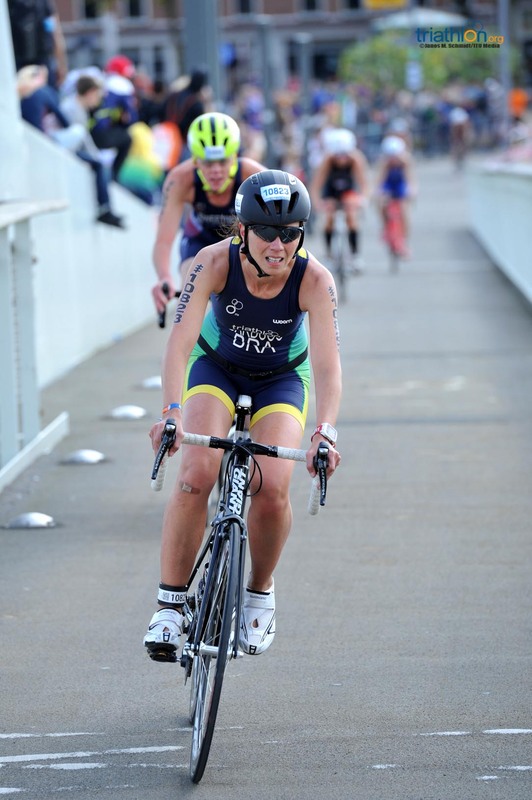 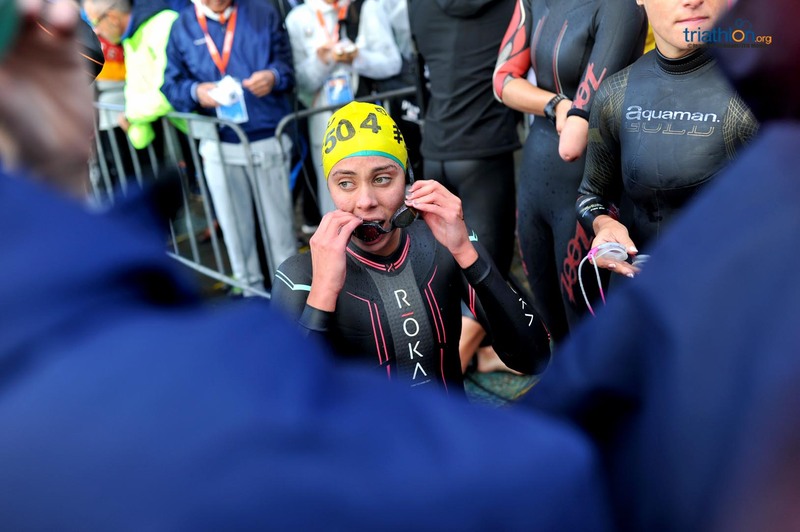 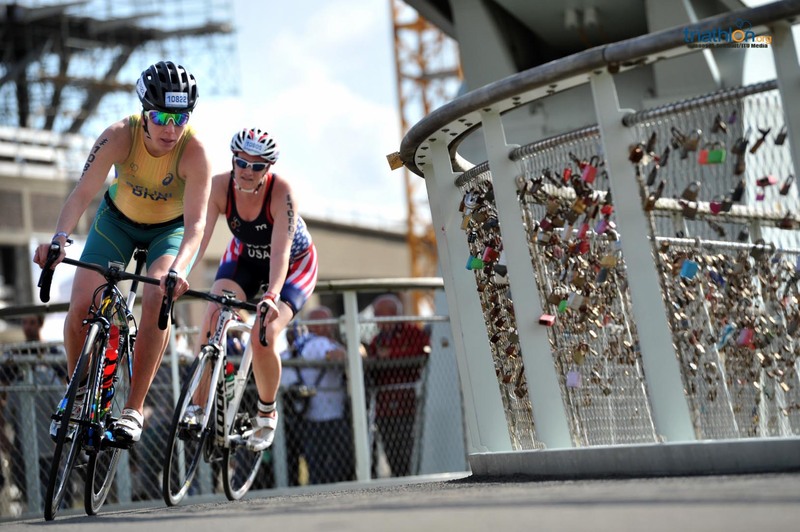 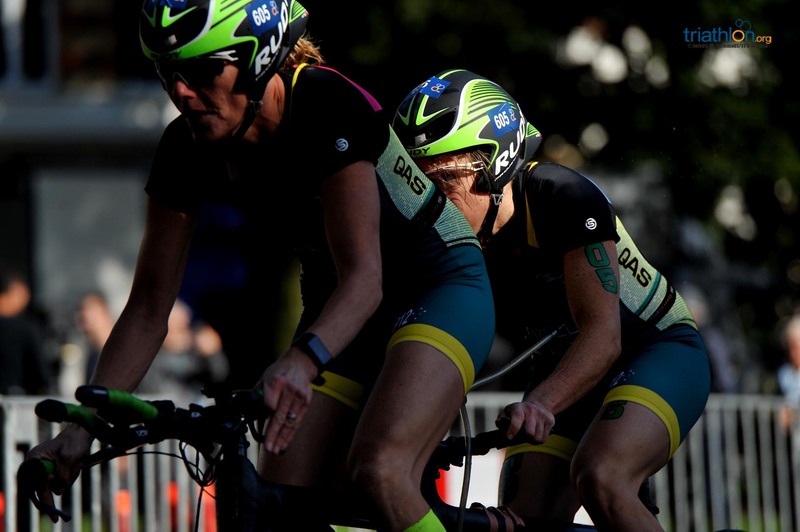 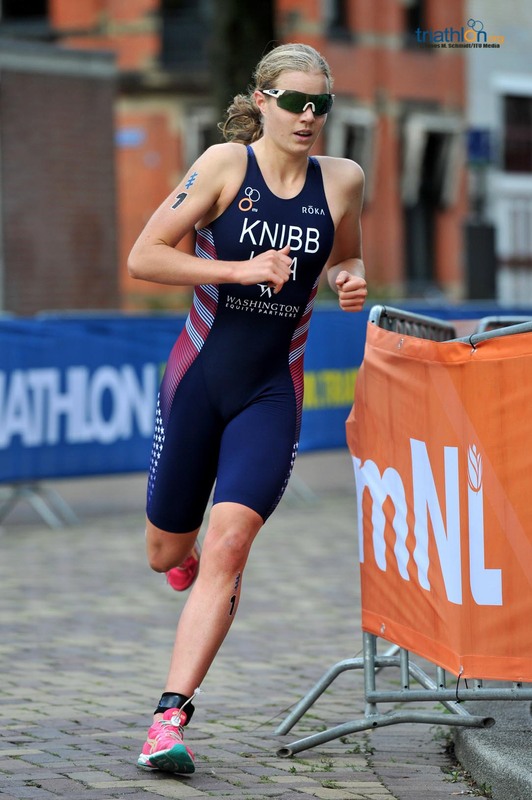 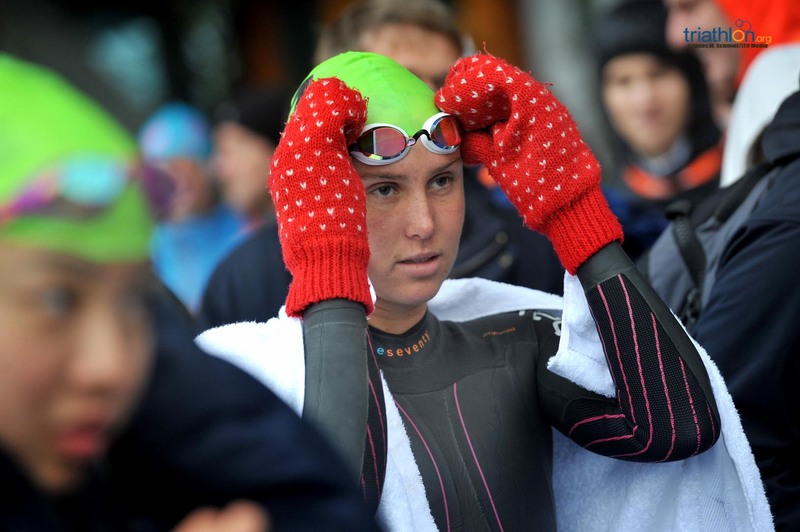 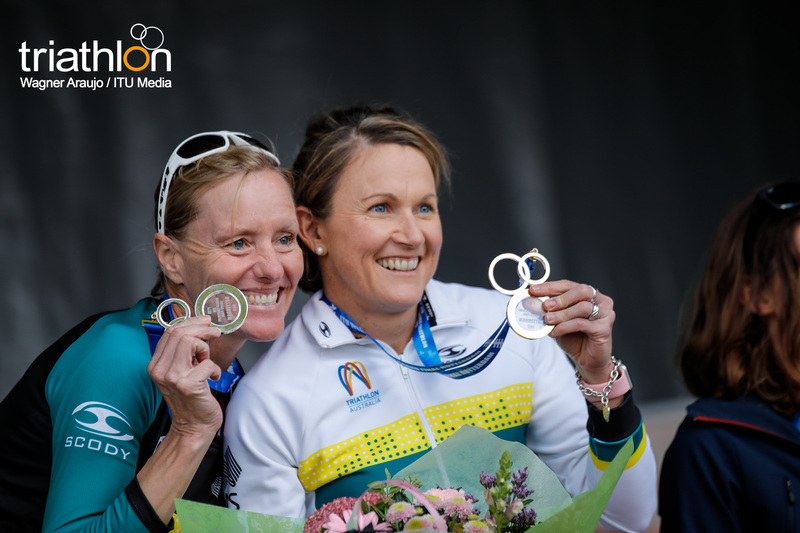 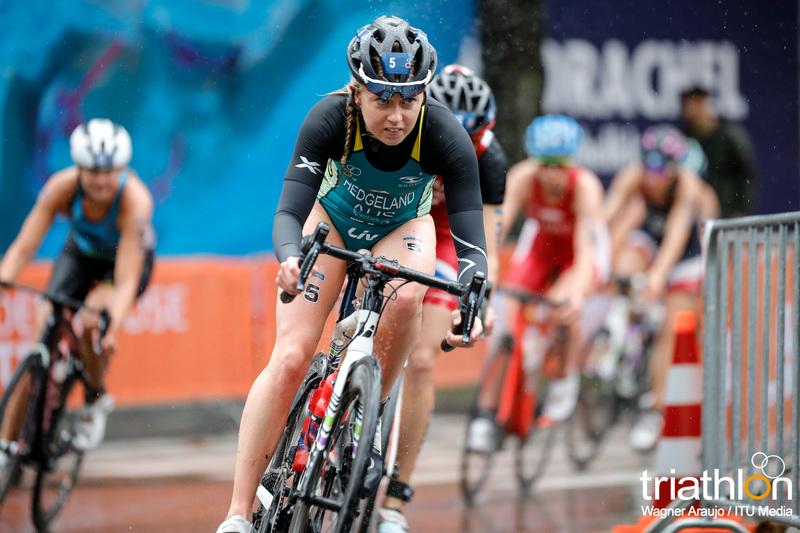 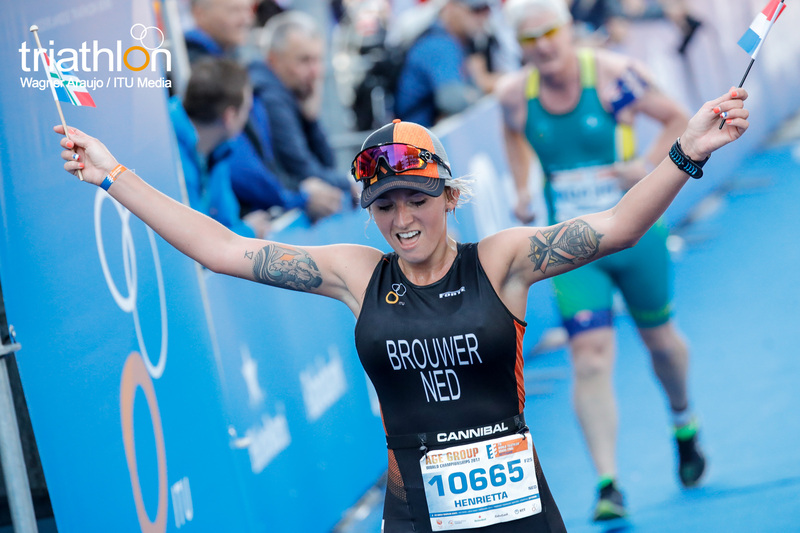 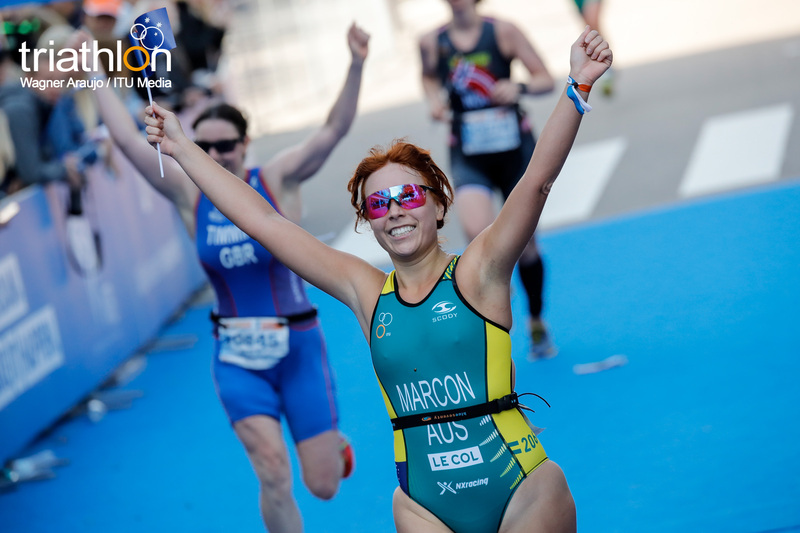 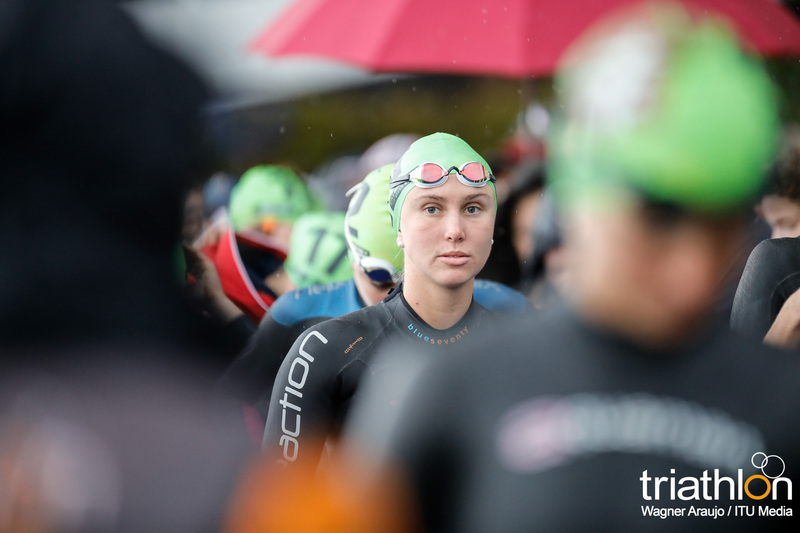 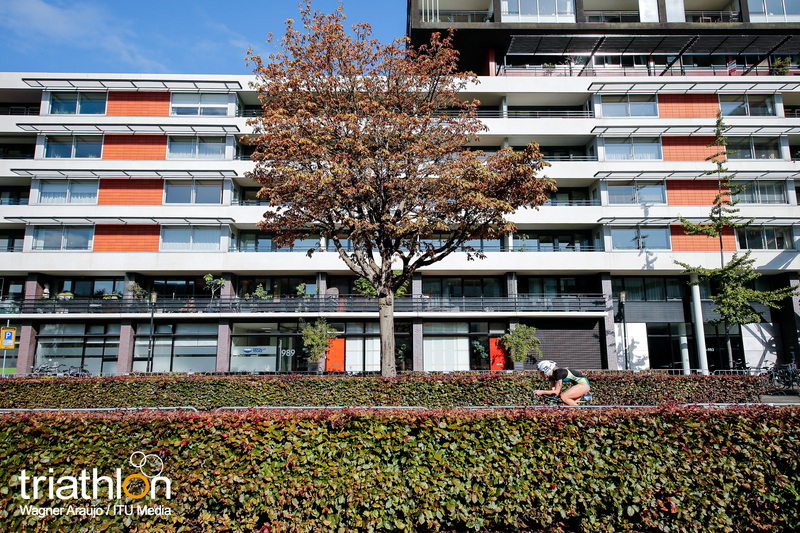 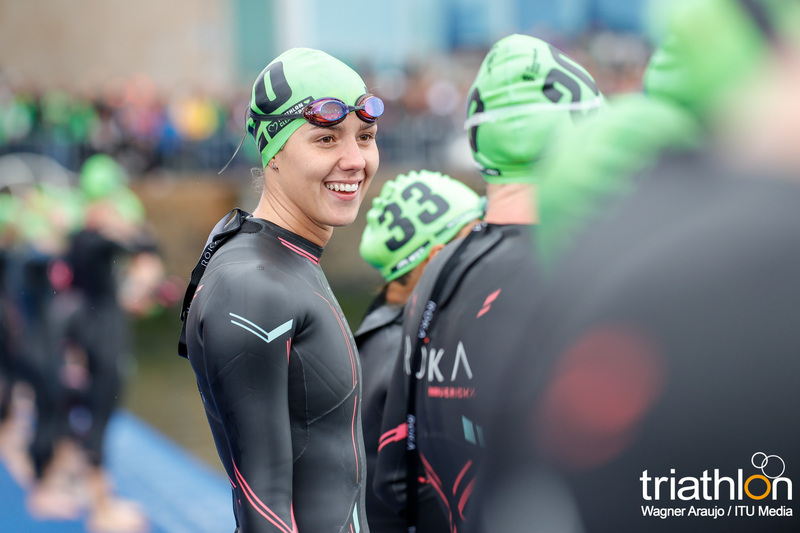 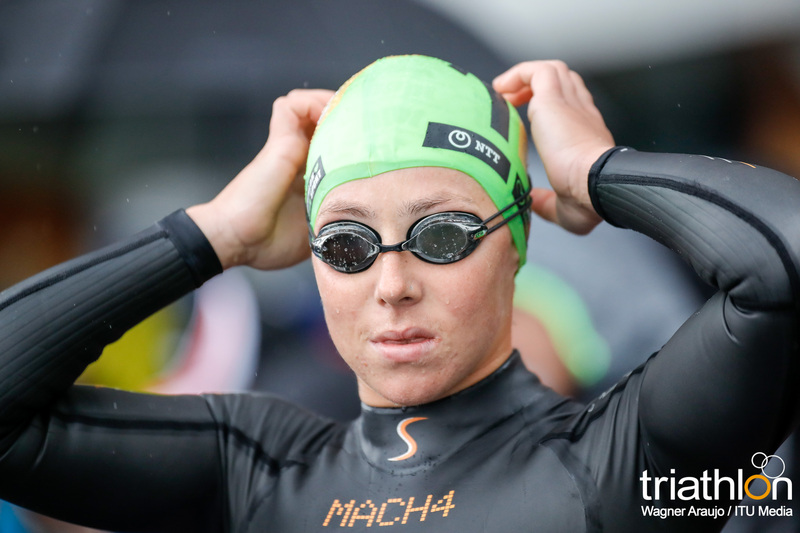 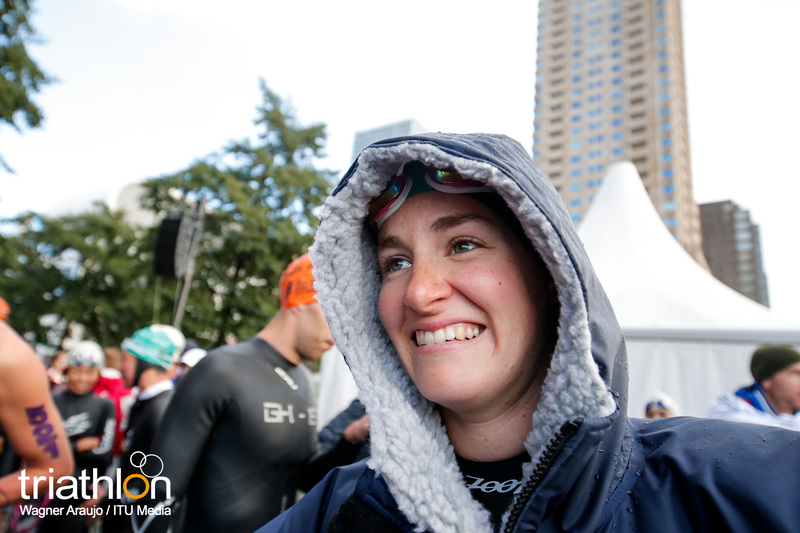 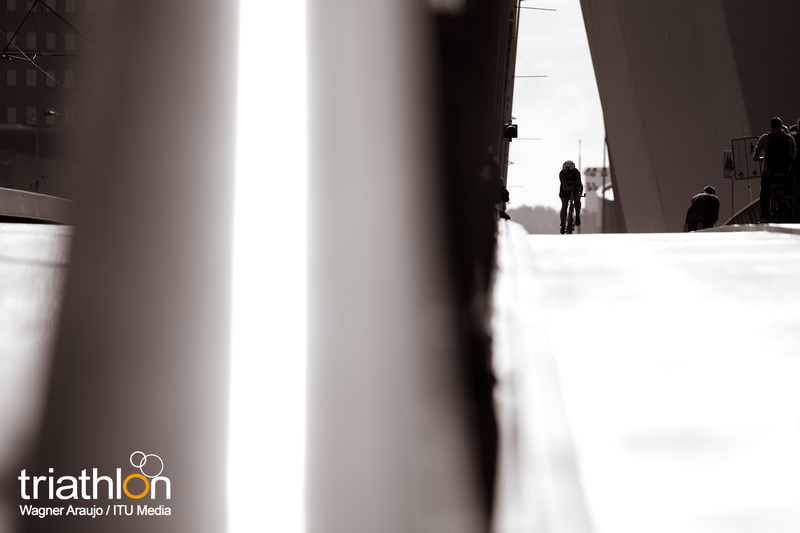 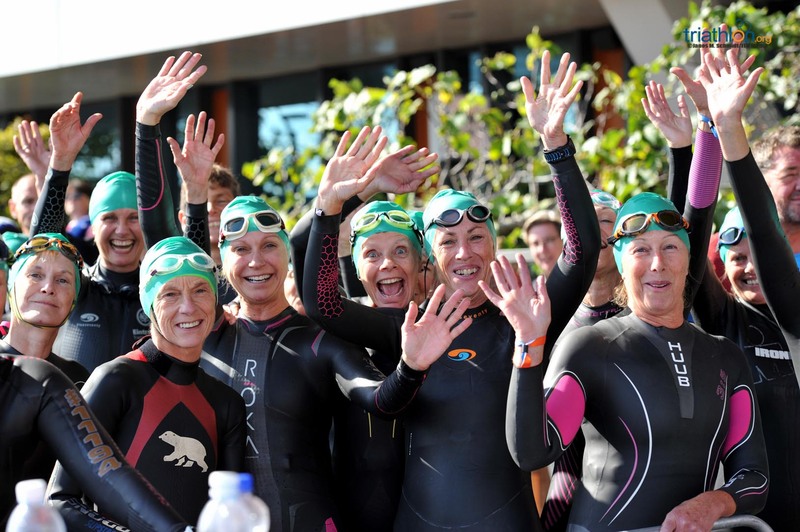 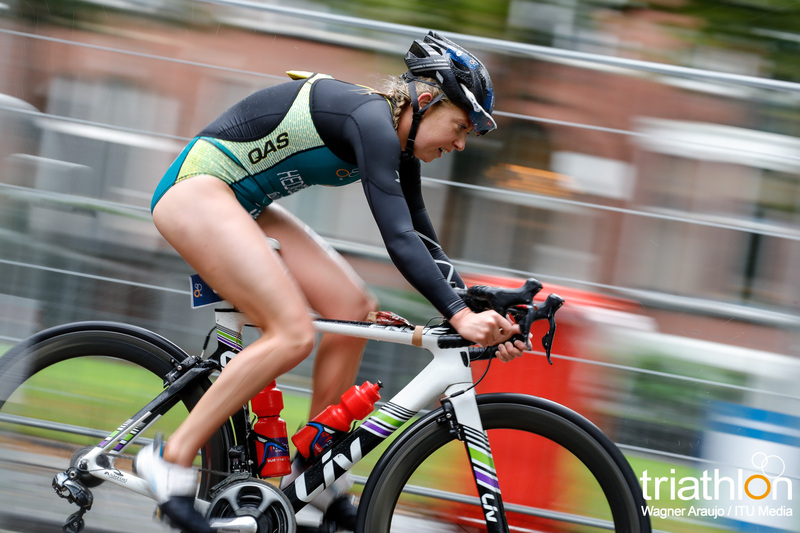 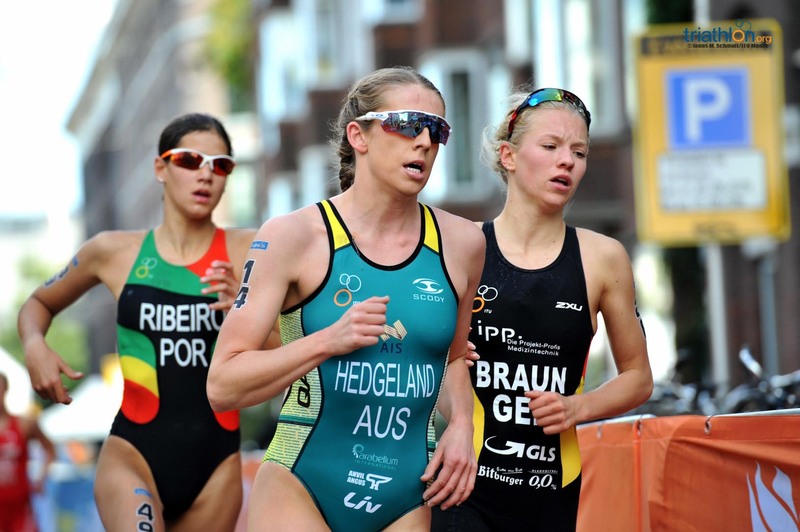 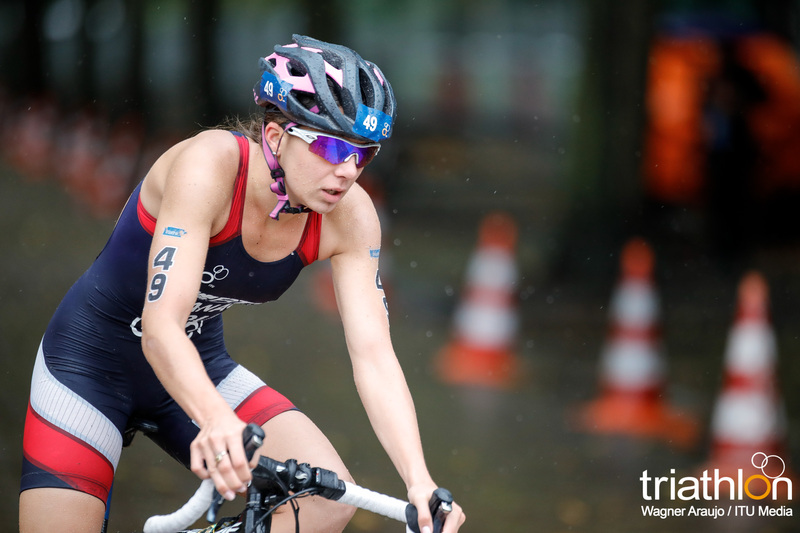 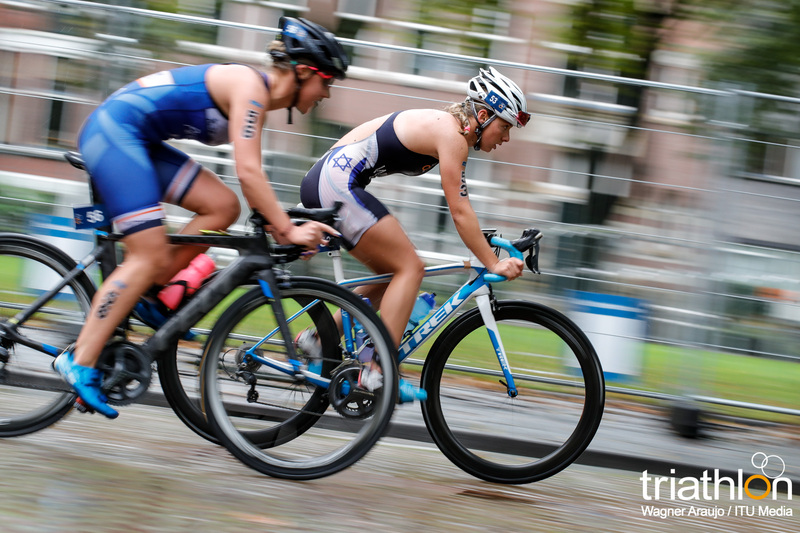 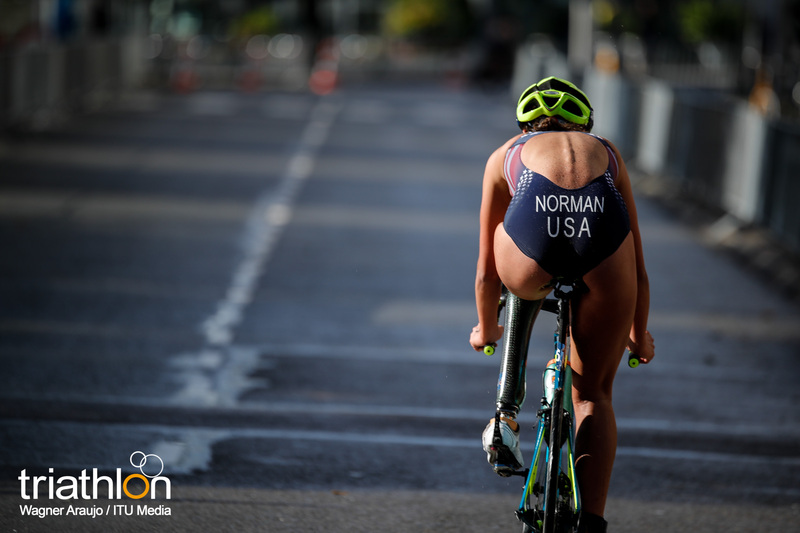 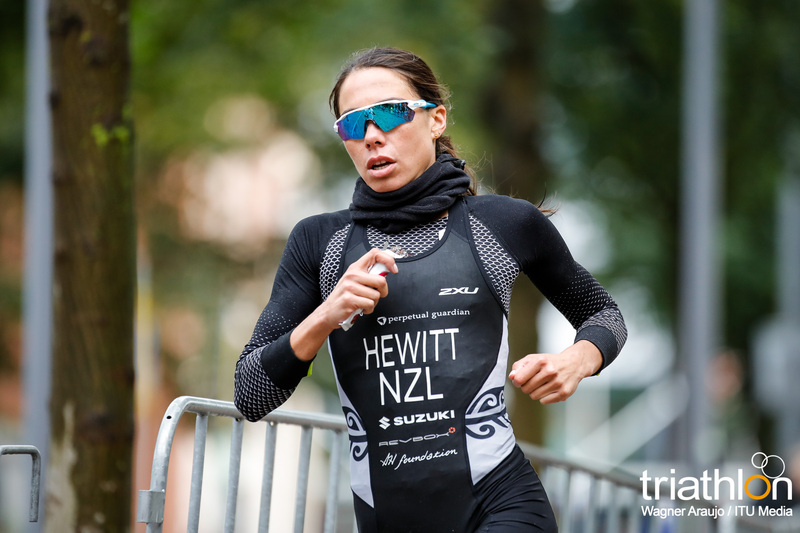 She is still a rising talent for the Aussie team, she started competing in the ITU scene just last year, but debuted in her first WTS race in the Gold Coast this season. 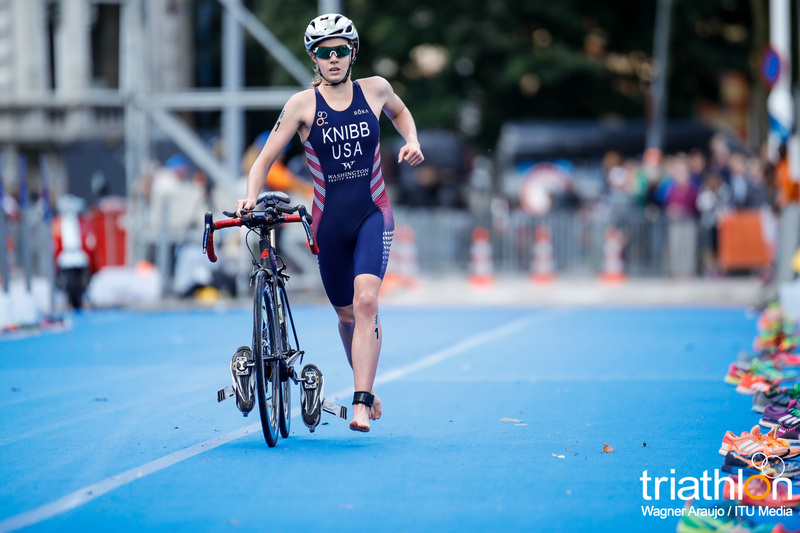 She has yet to make a podium, but she has earned some top ten finishes this year and has proved she is a name to watch out for. 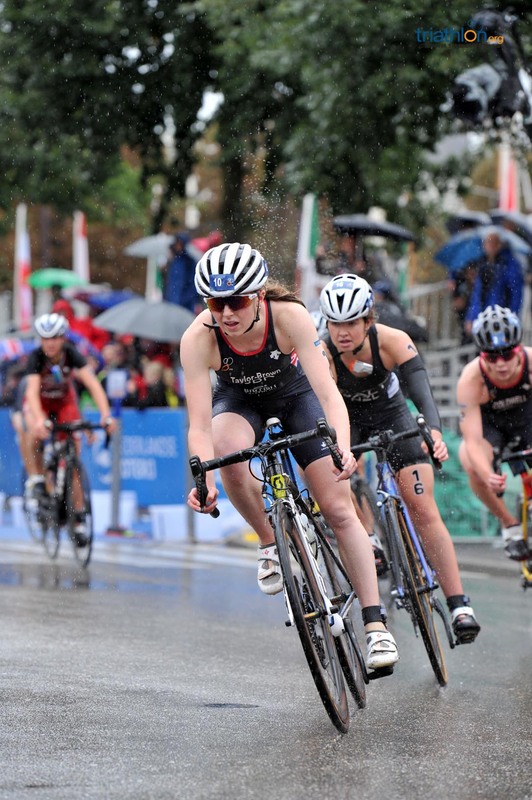 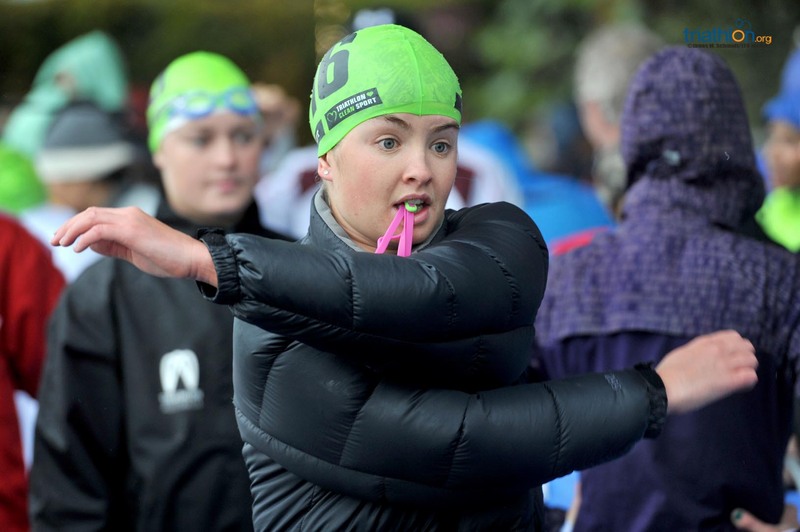 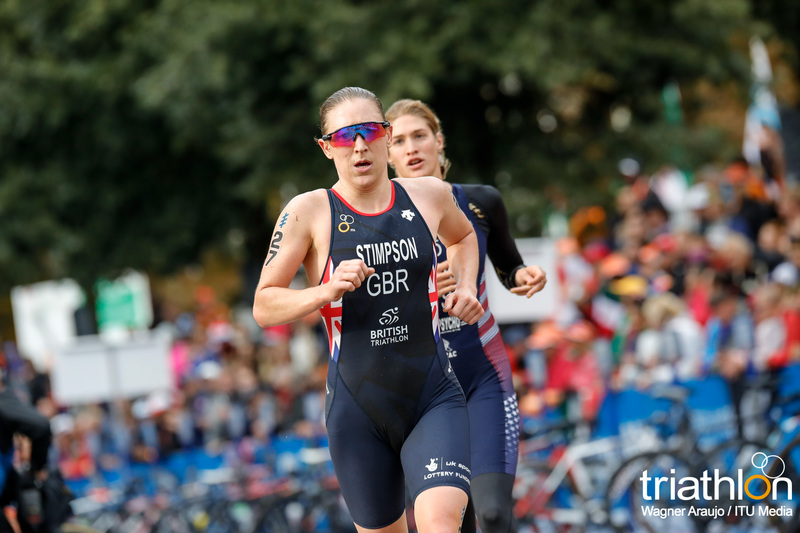 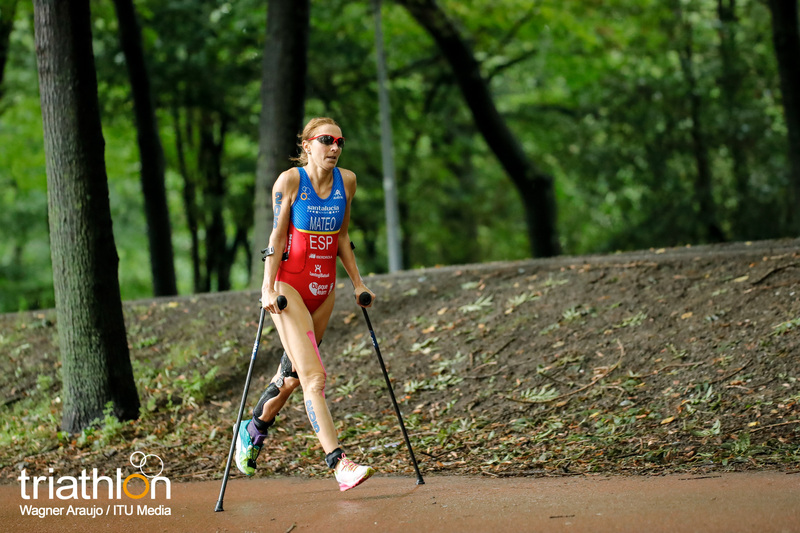 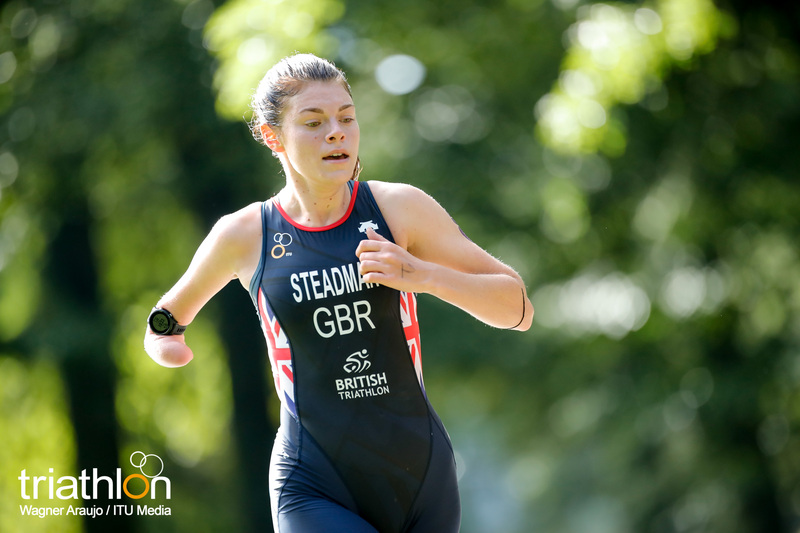 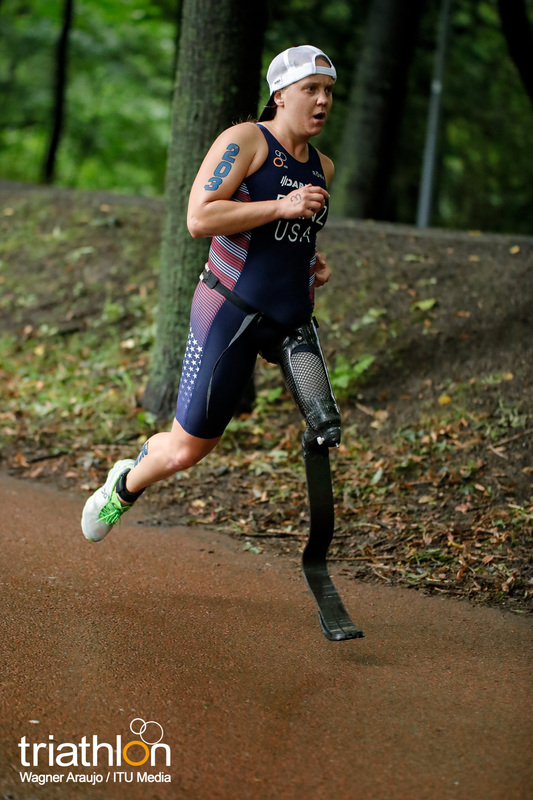 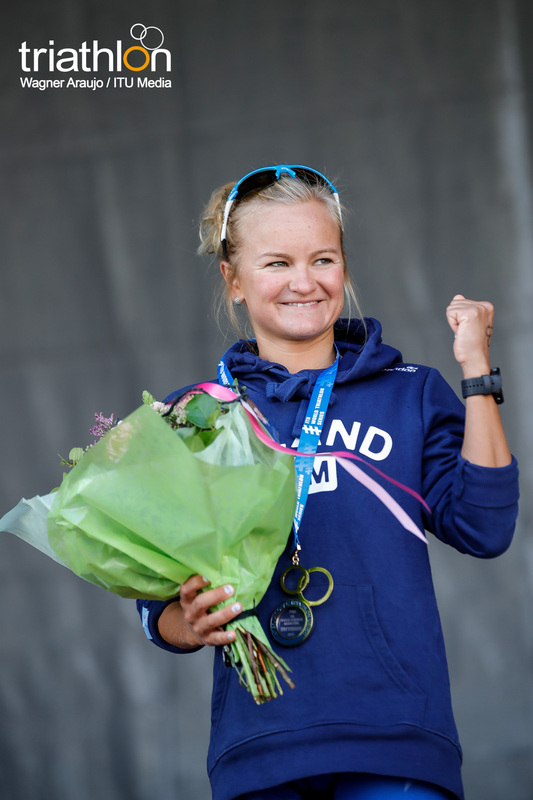 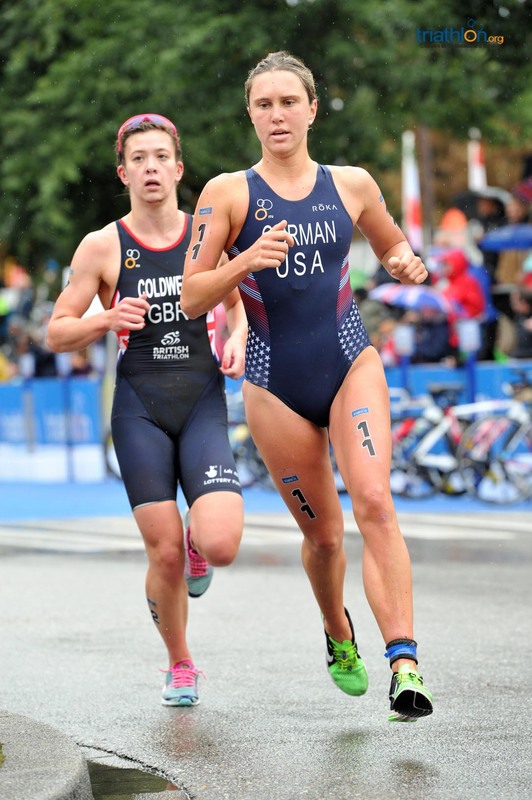 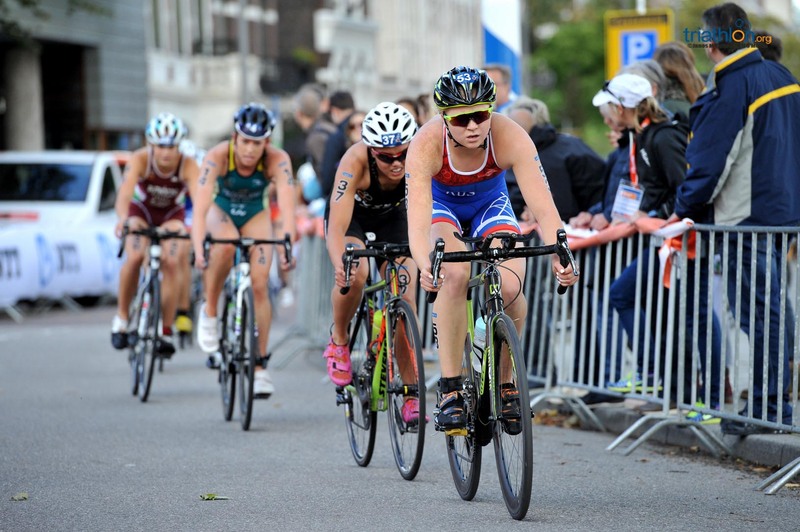 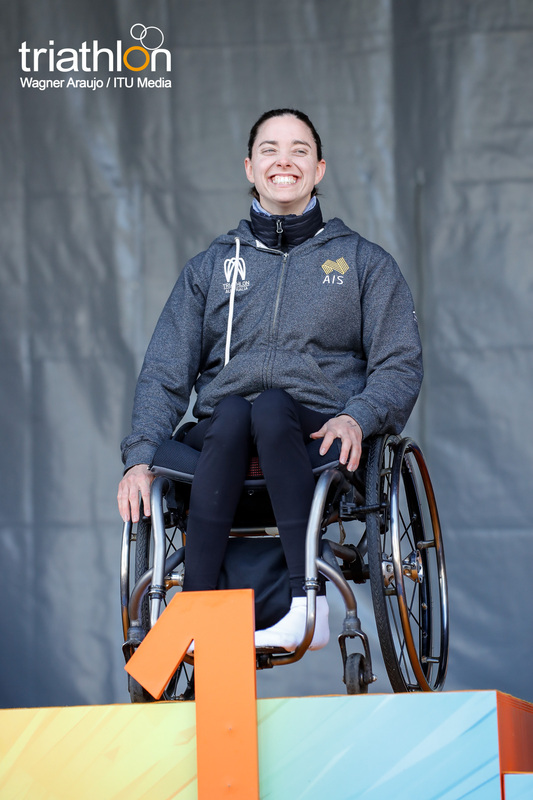 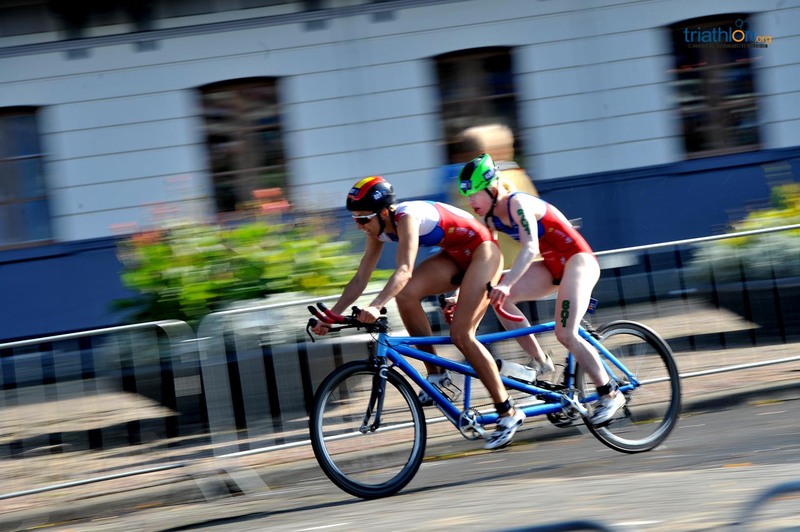 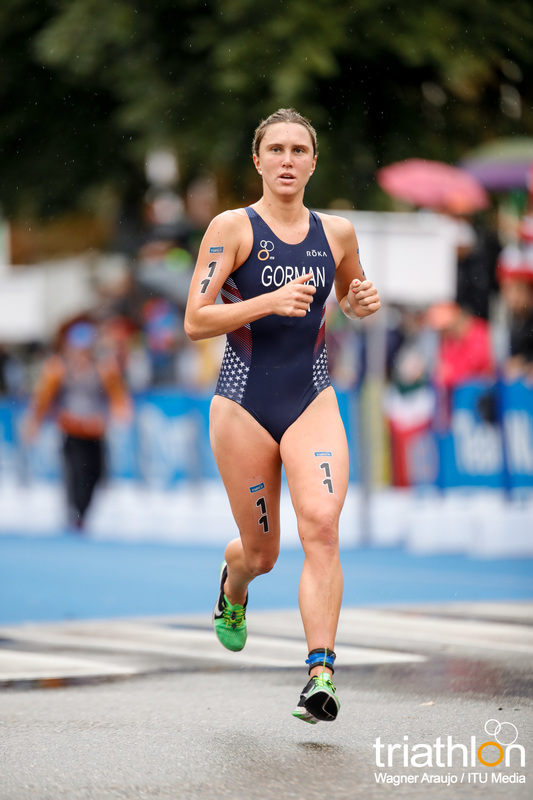 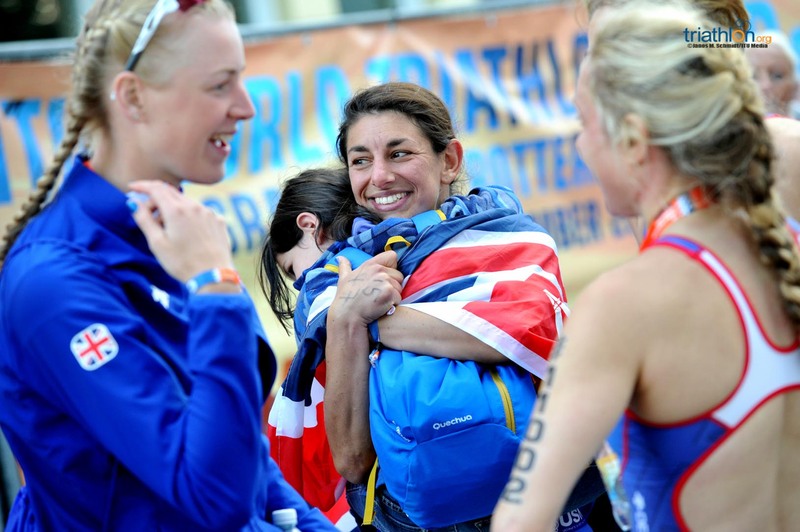 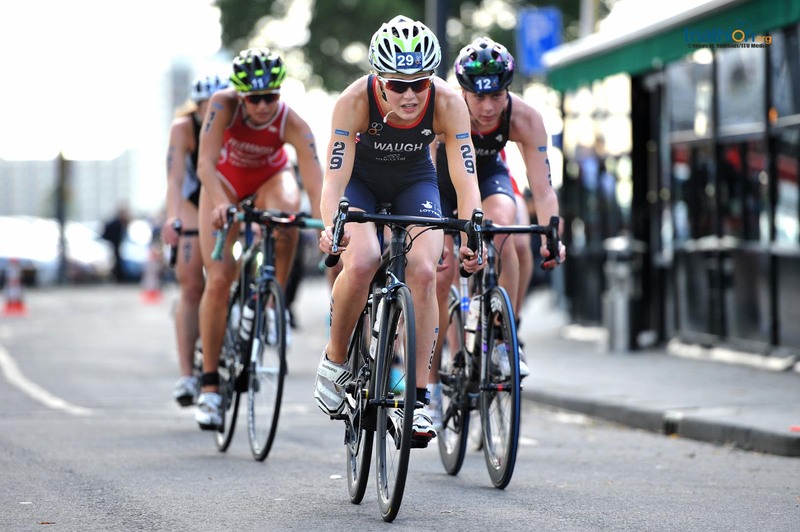 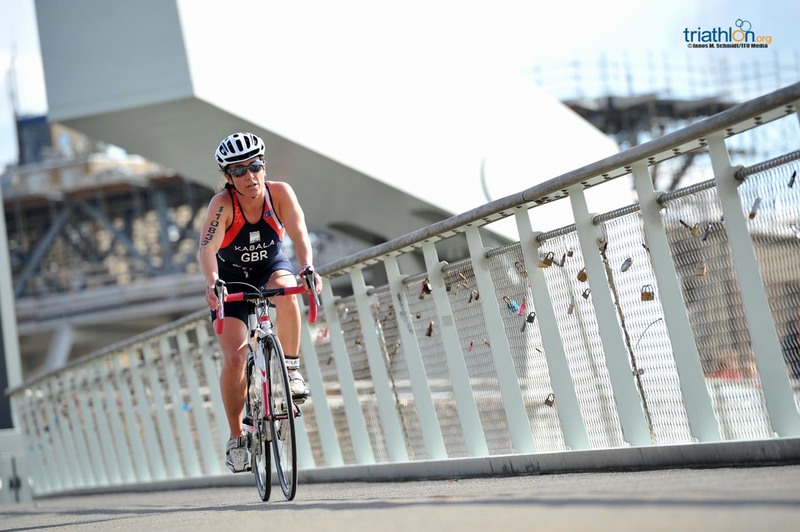 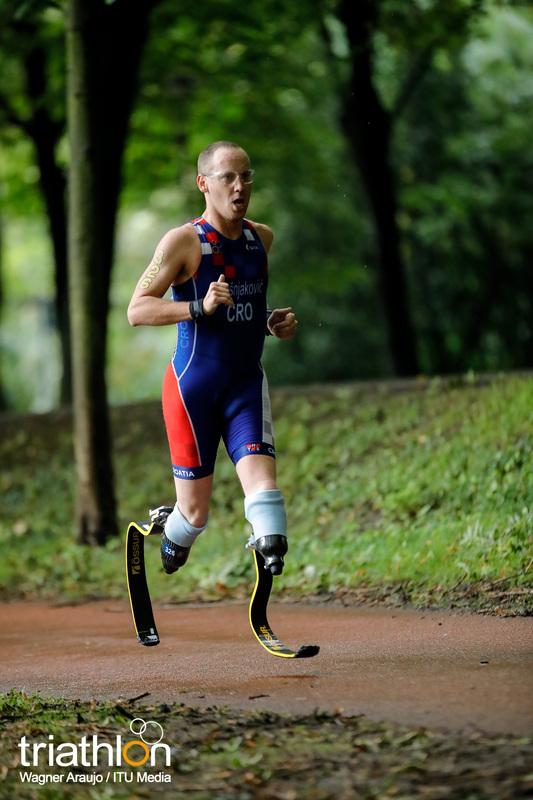 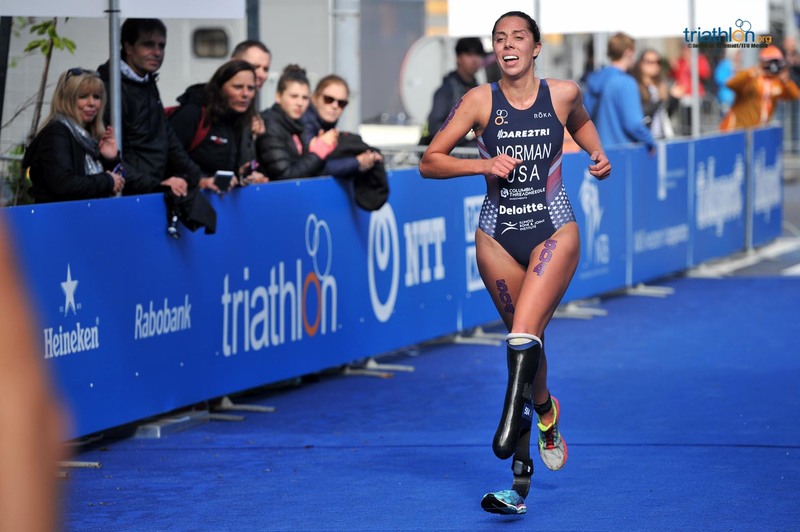 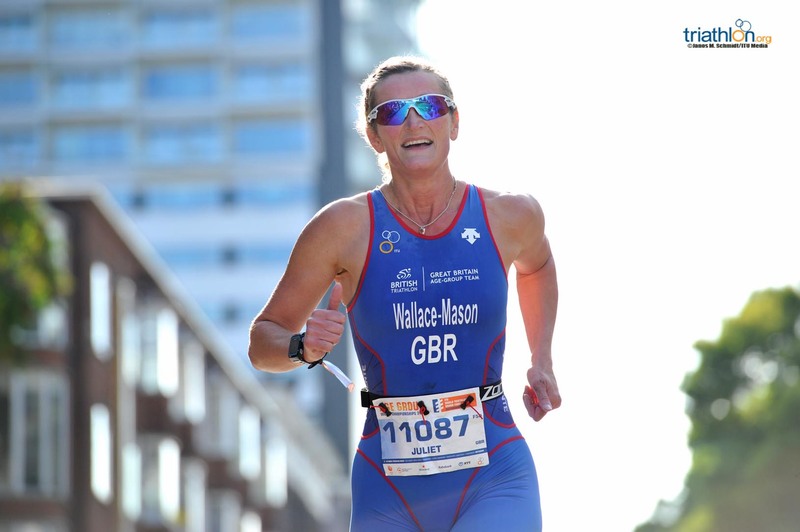 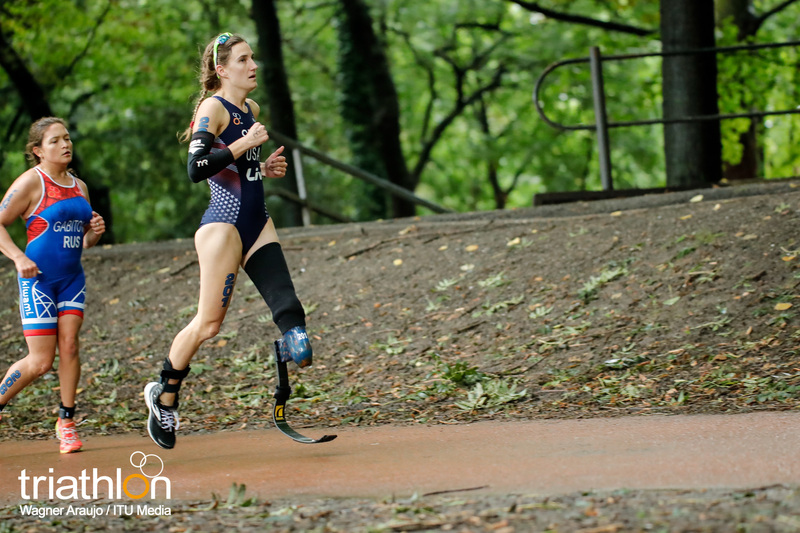 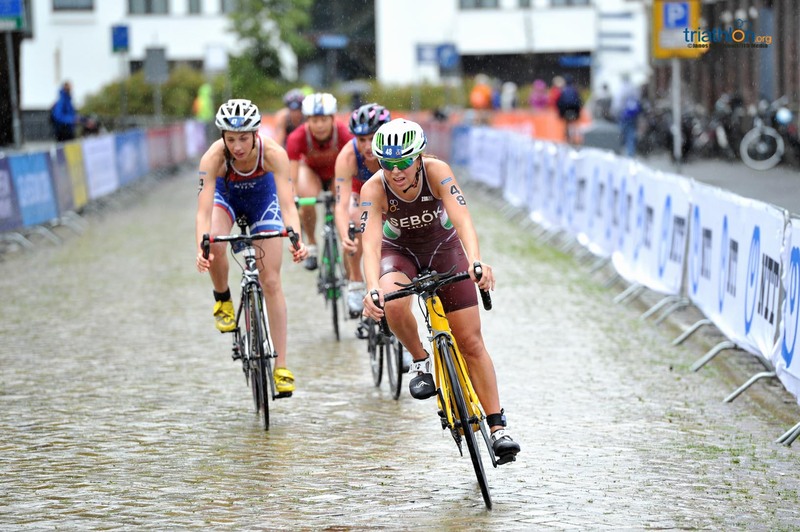 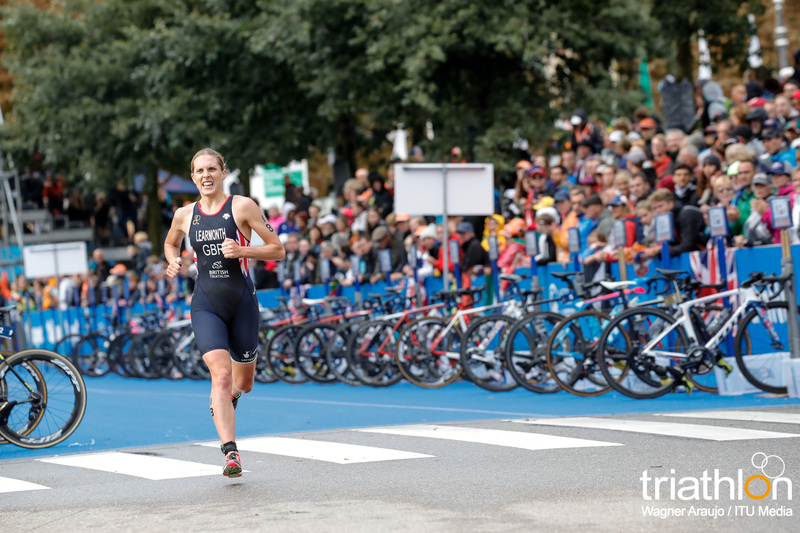 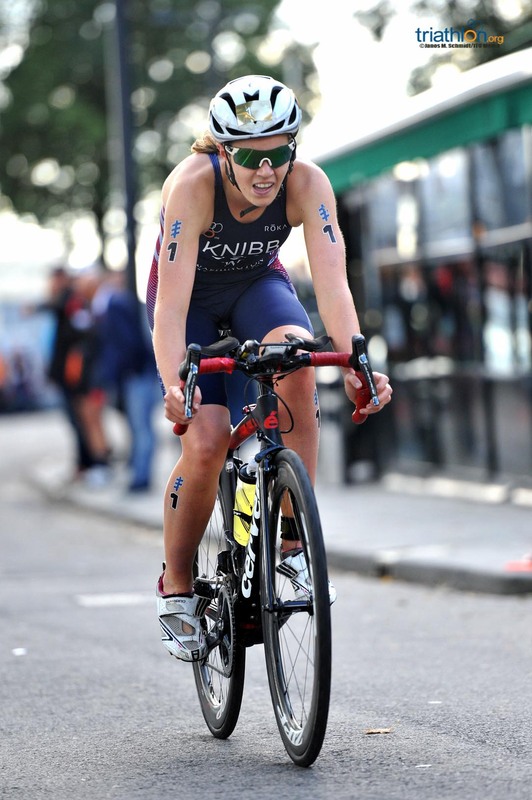 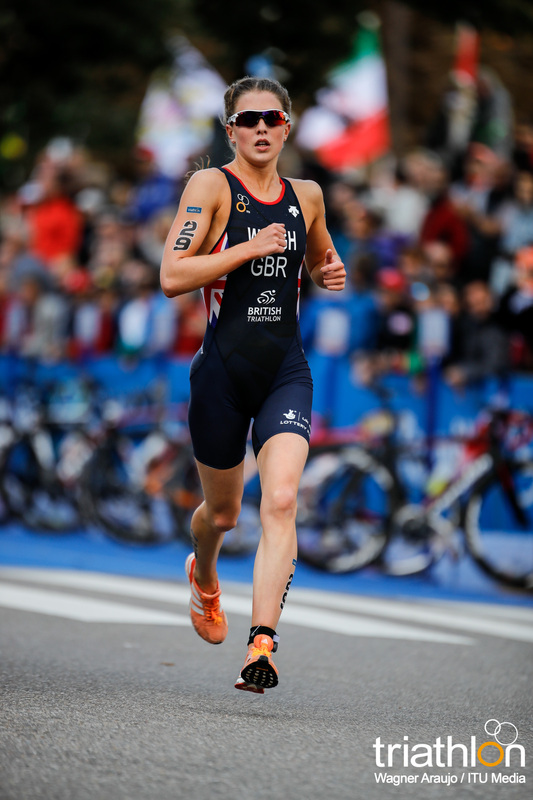 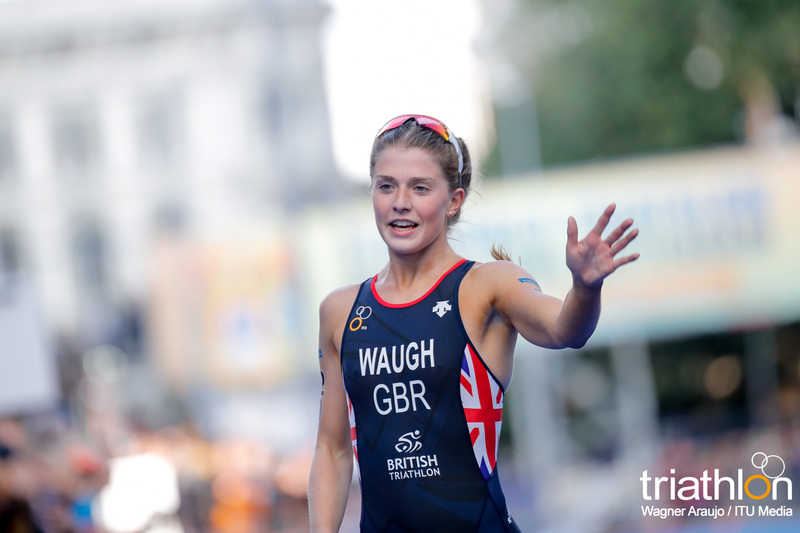 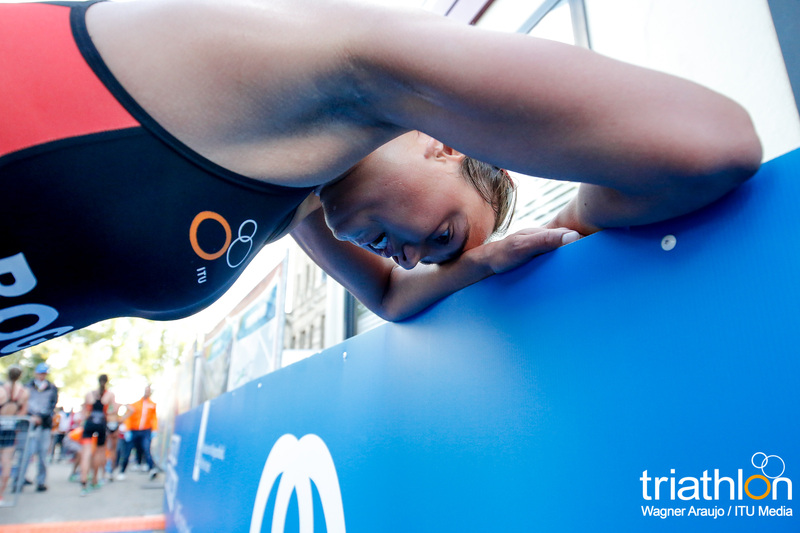 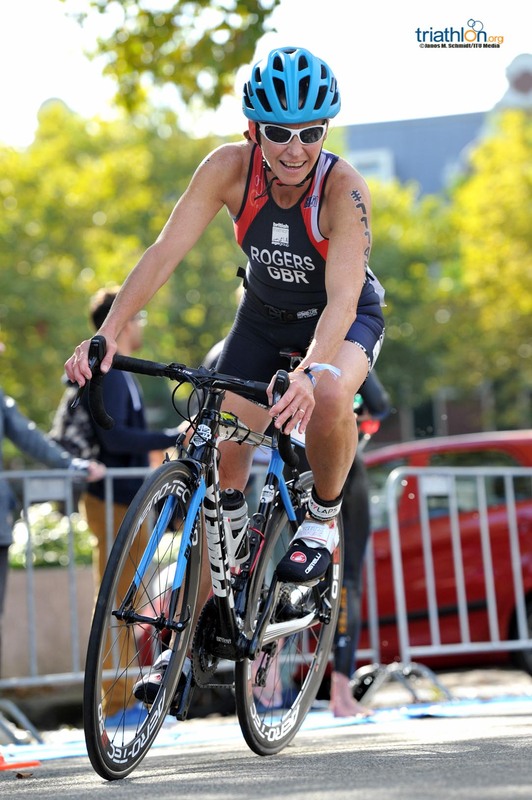 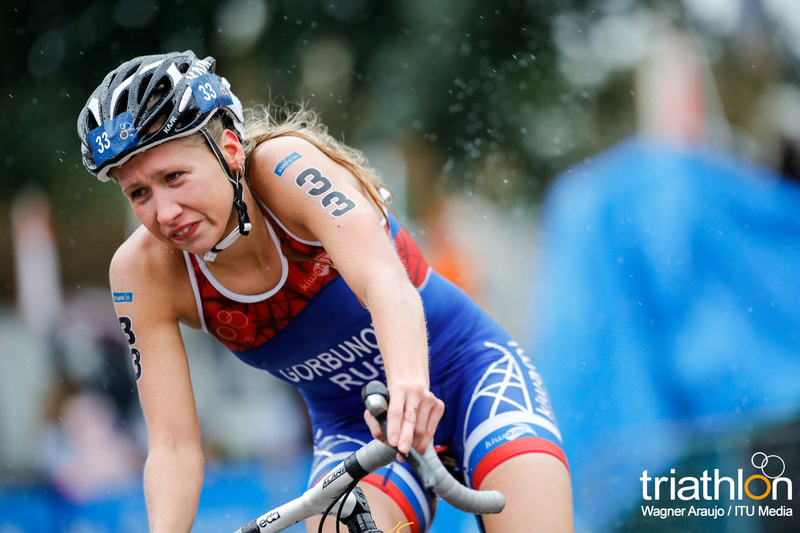 Great Britain’s Sophie Coldwell had a career best finish in WTS Yokohama this year by finishing fourth. 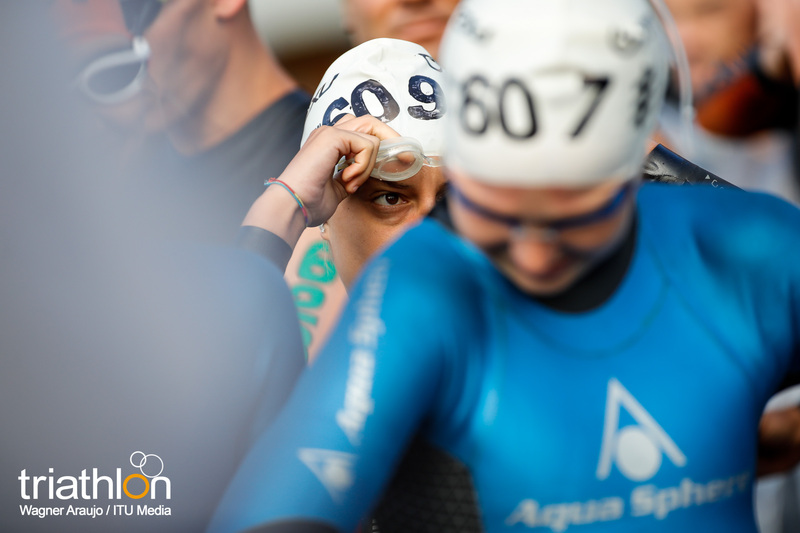 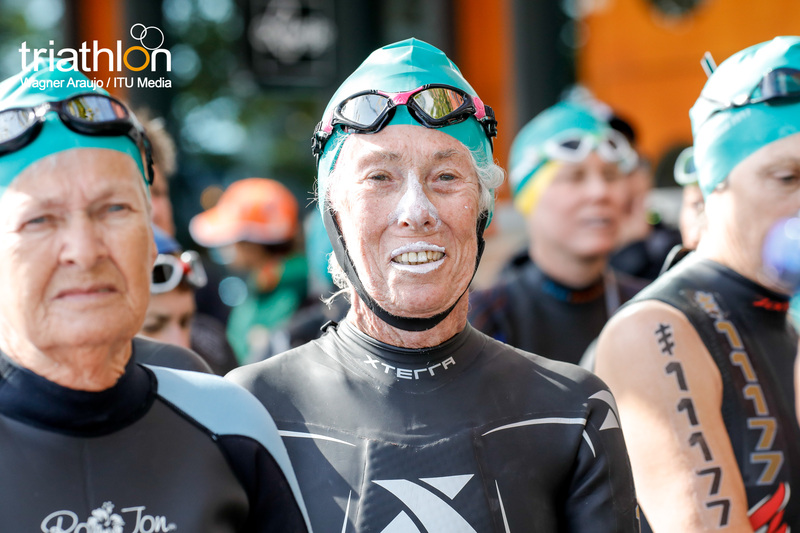 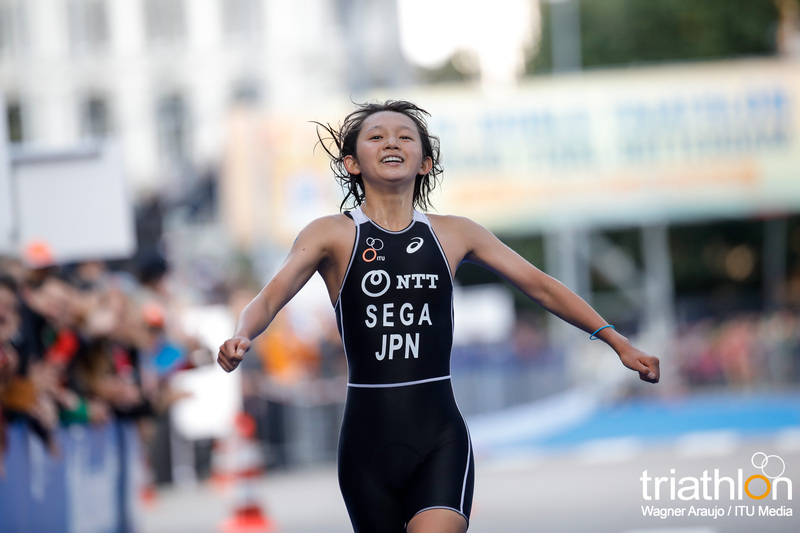 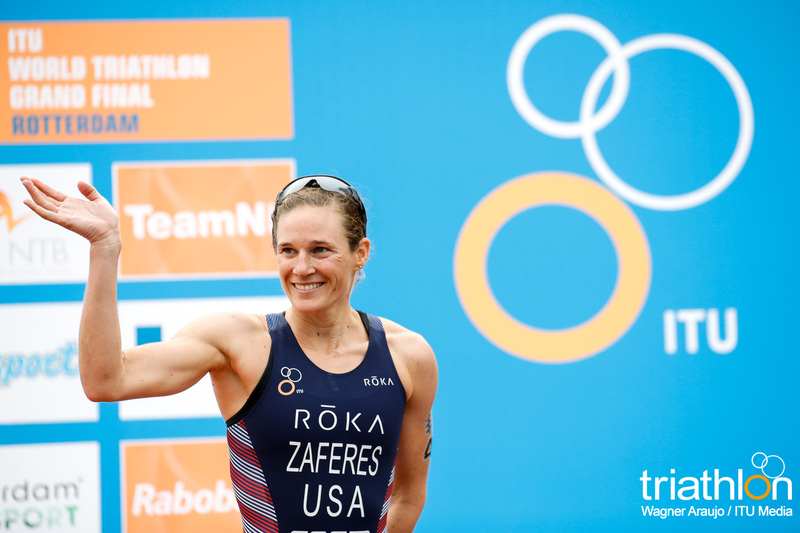 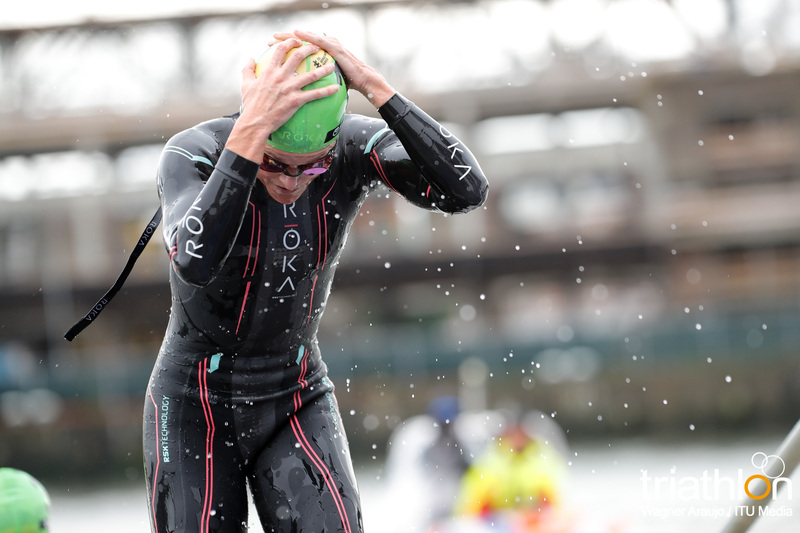 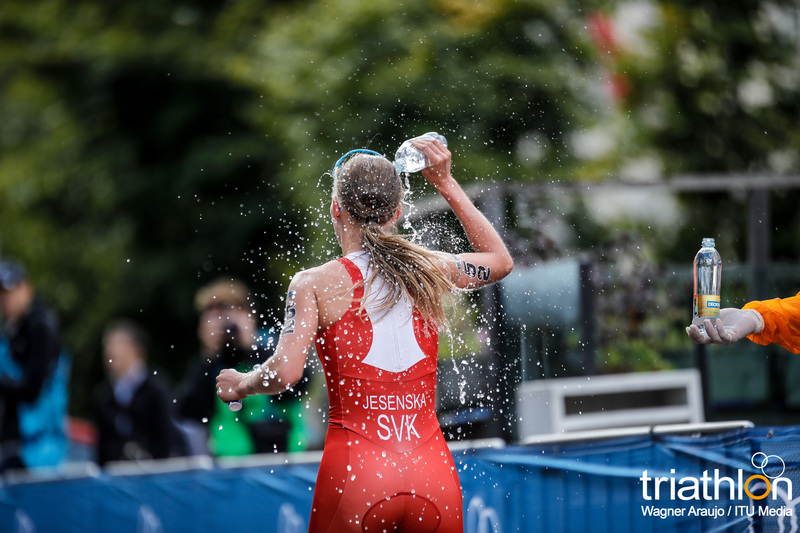 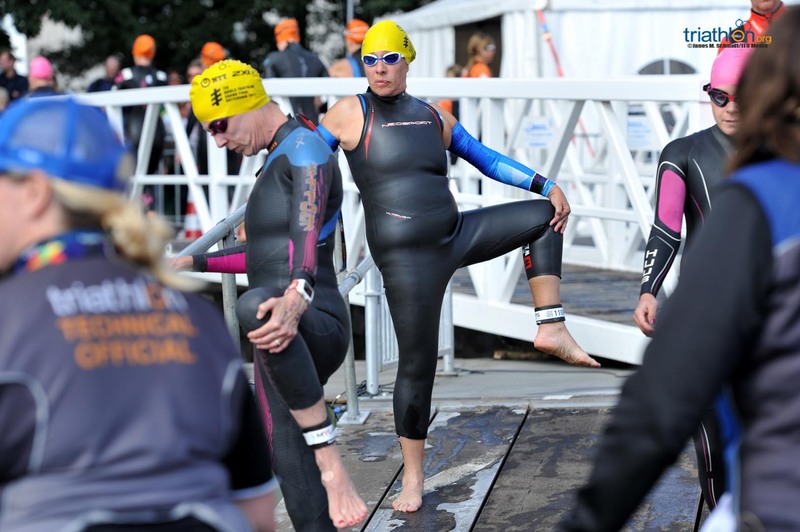 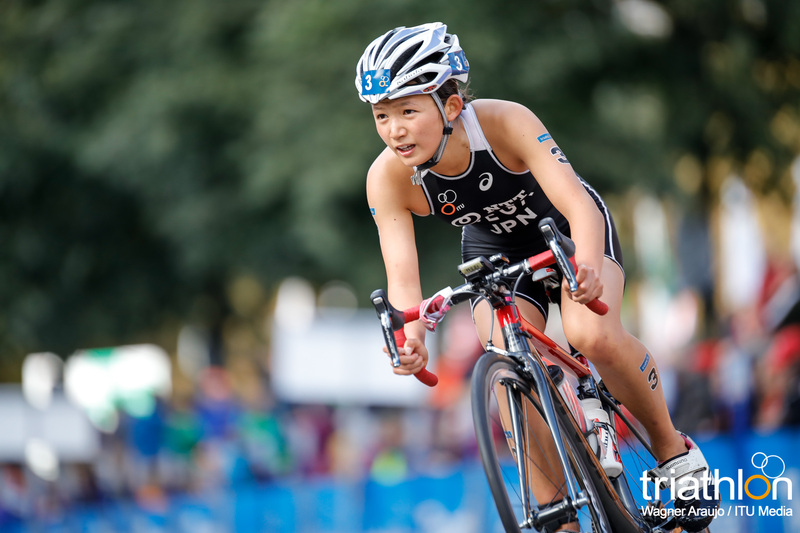 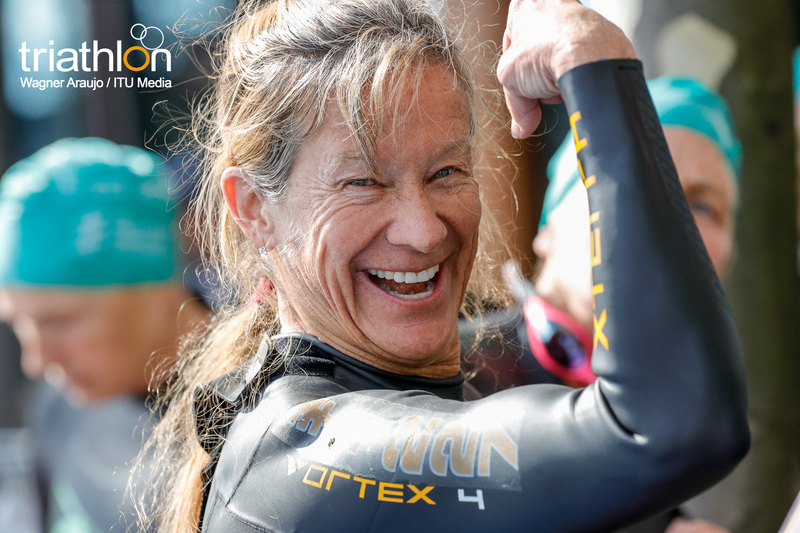 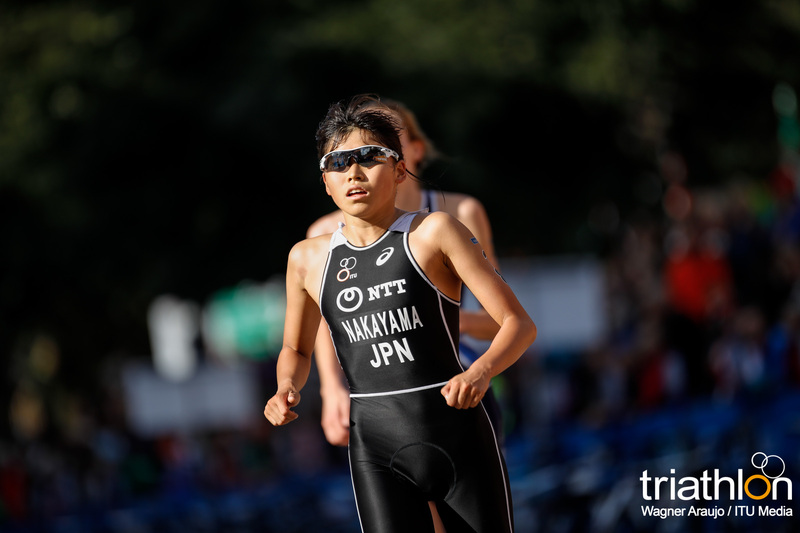 She is a very strong swimmer and usually is near the top of the field in the water, so expect her to make it among the lead bike pack. 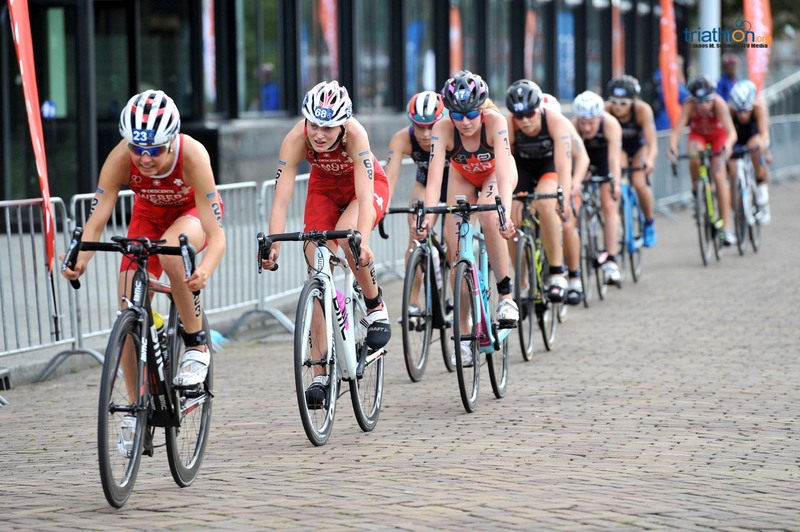 The French women are sporting one of the top national teams for the U23 women’s race. 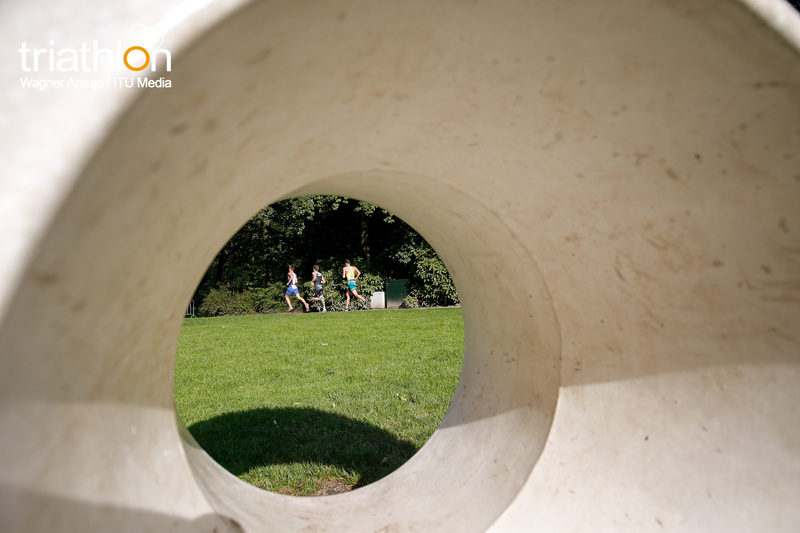 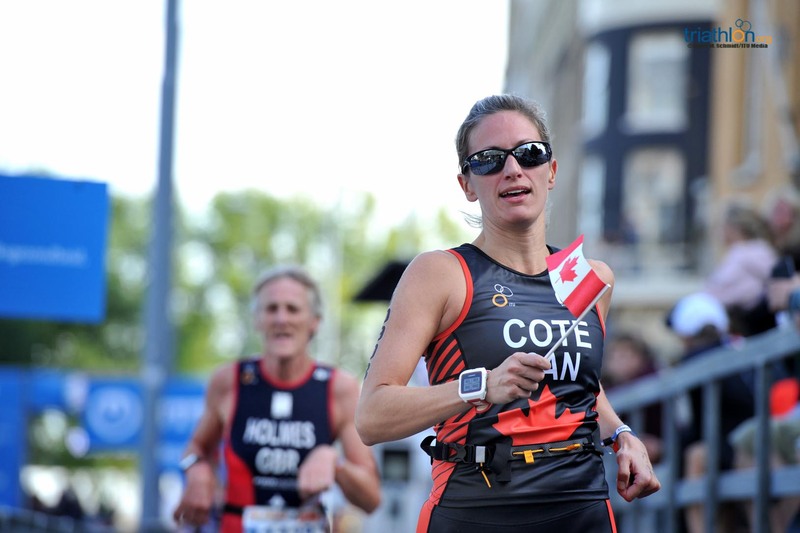 The top contender is Leonie Periault. 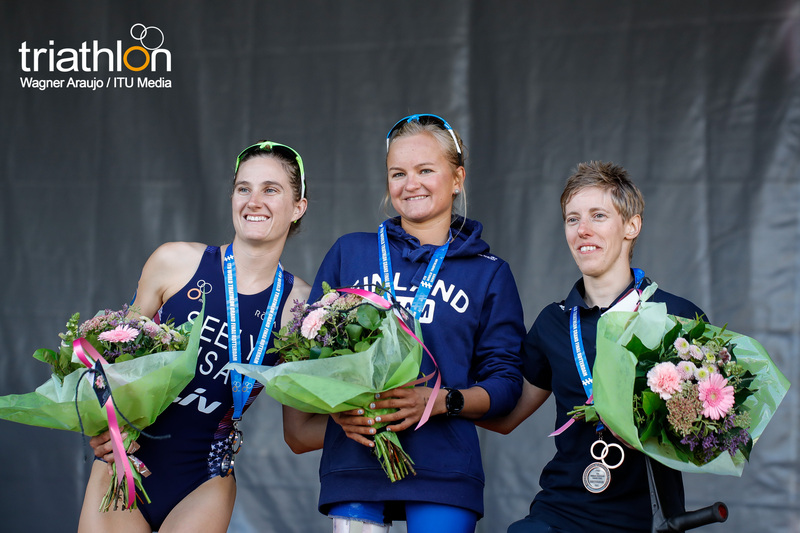 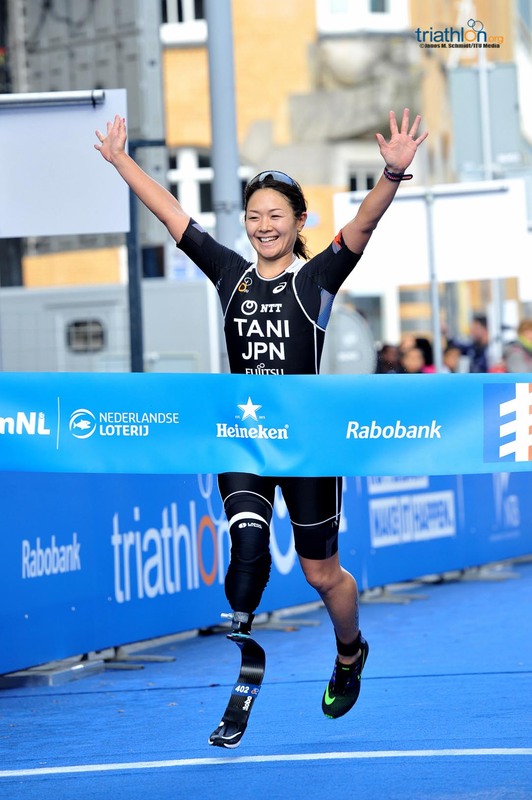 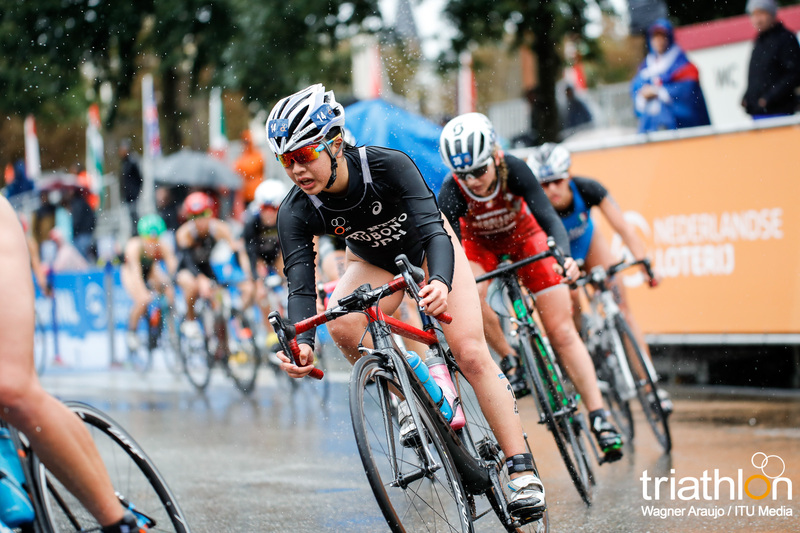 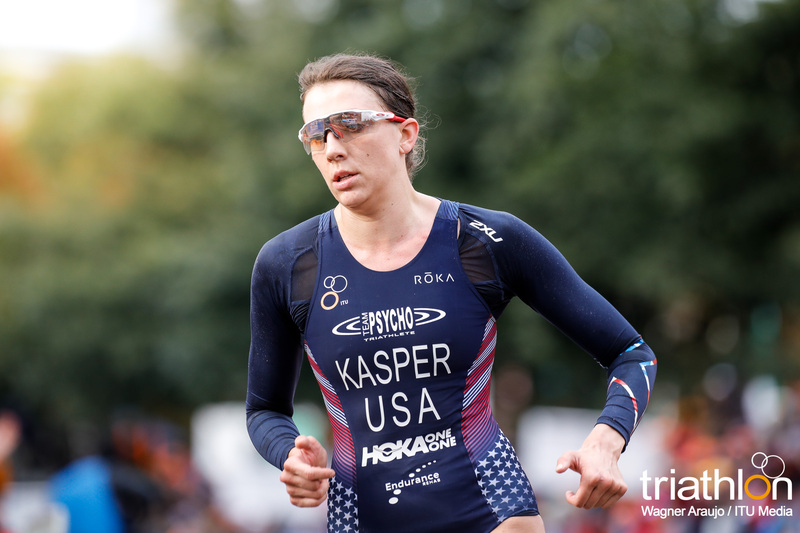 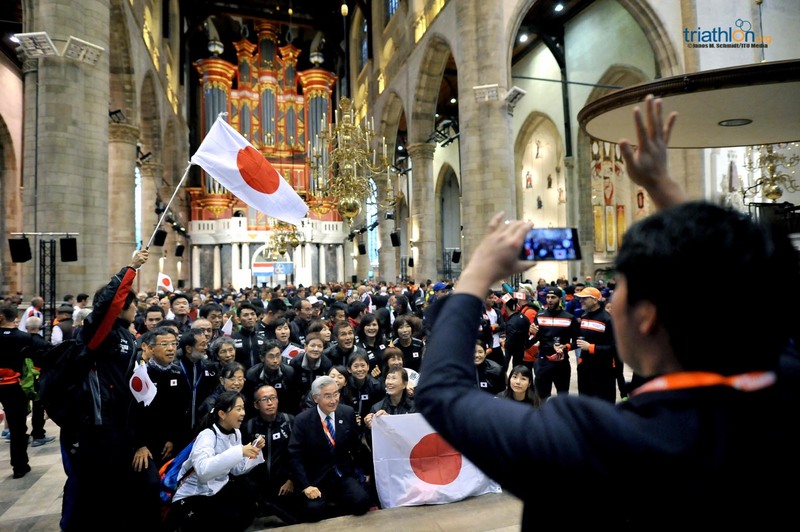 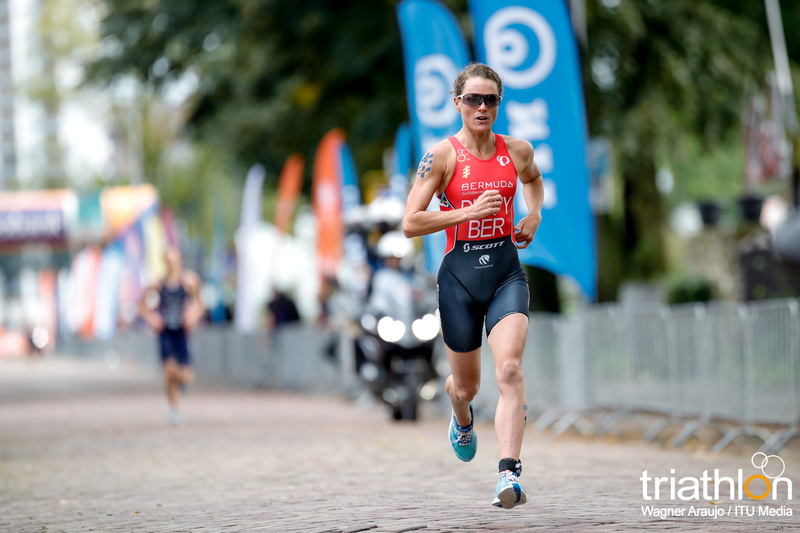 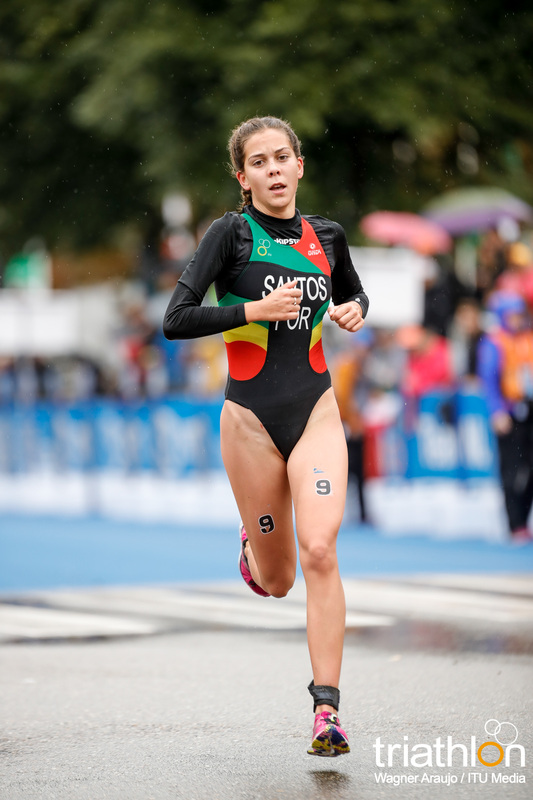 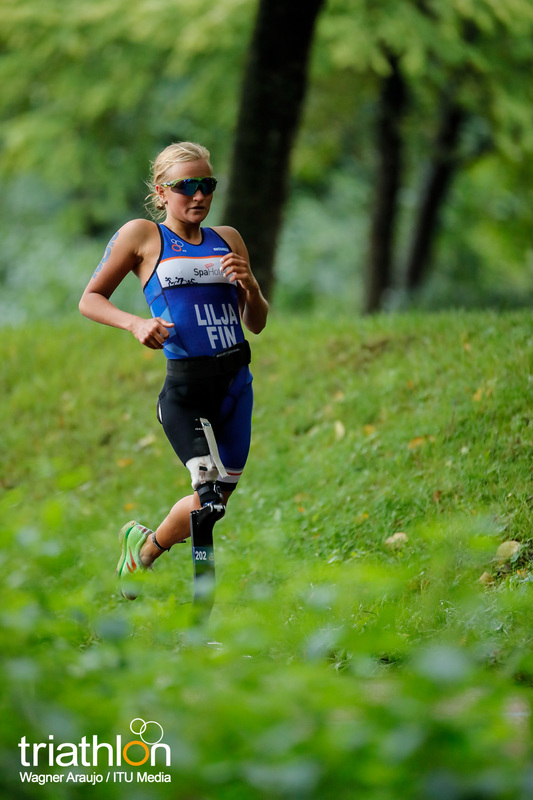 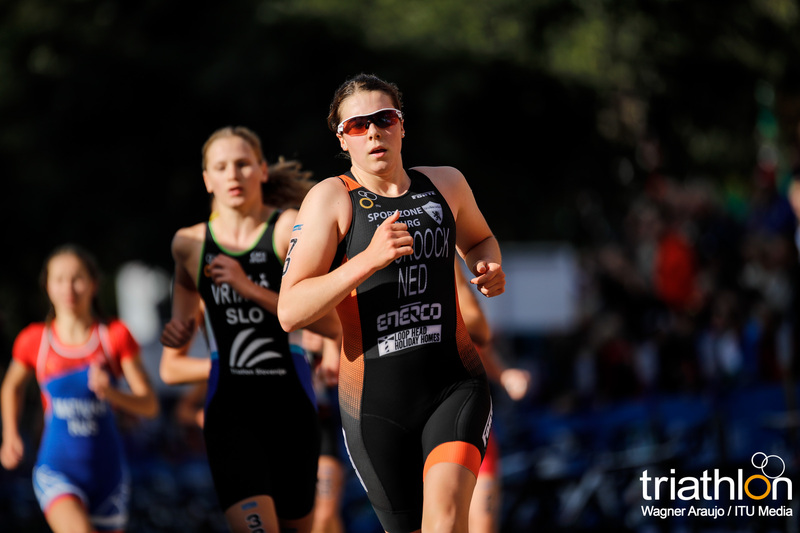 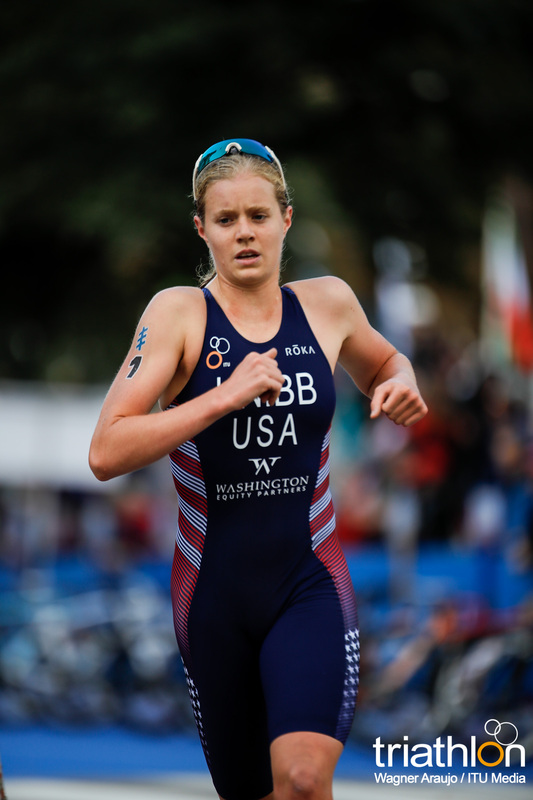 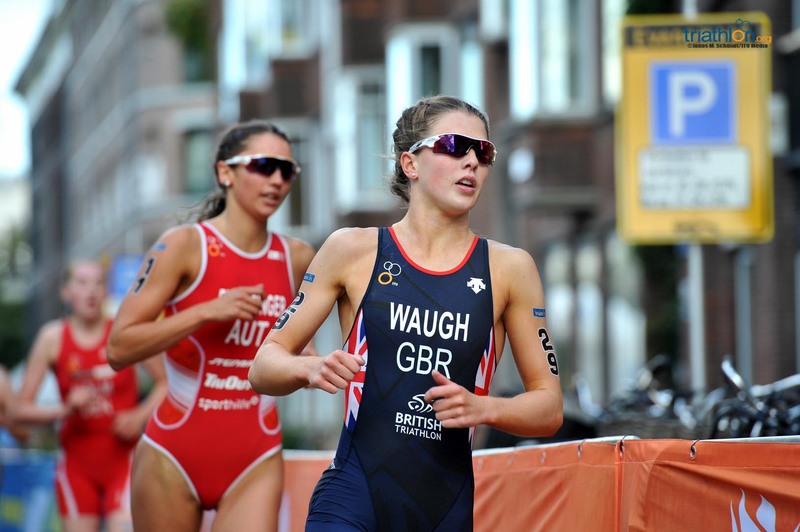 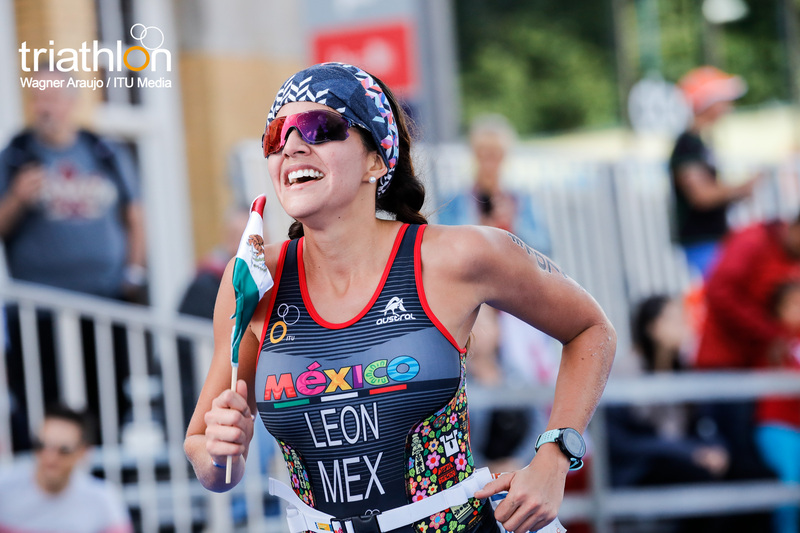 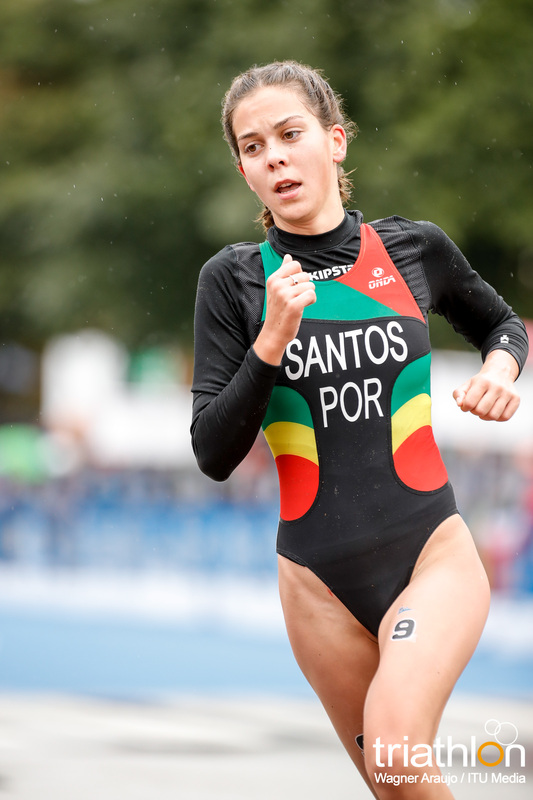 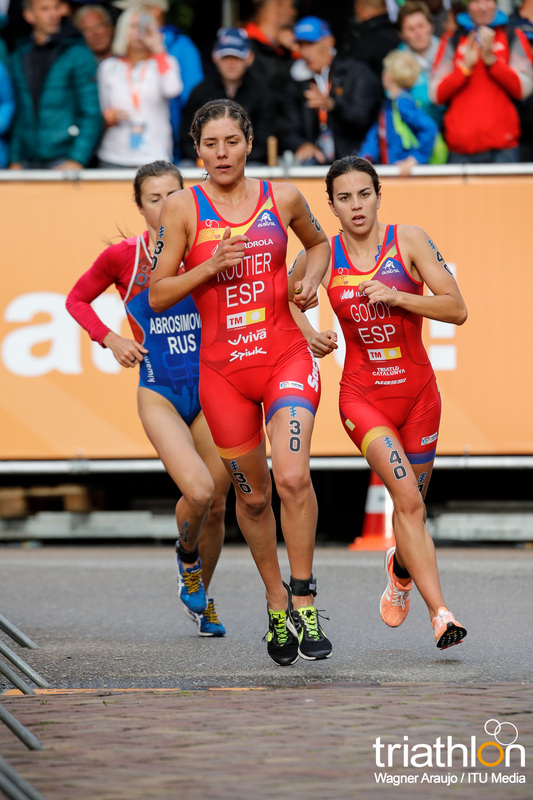 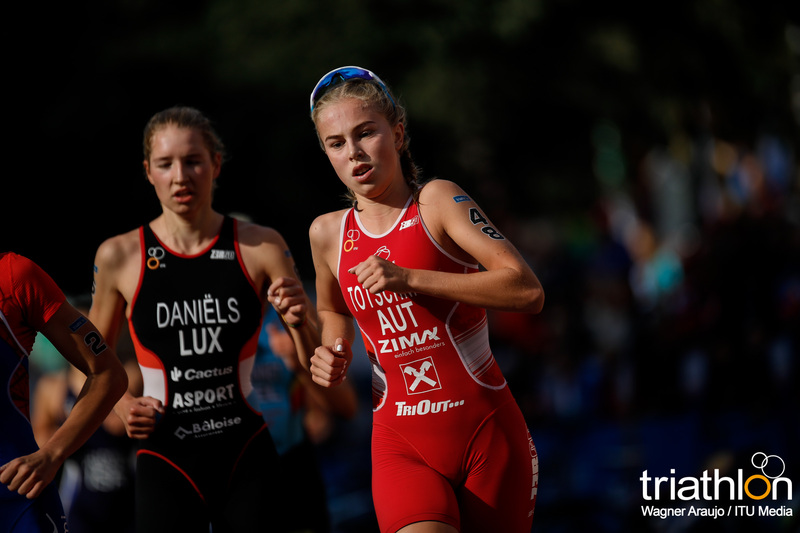 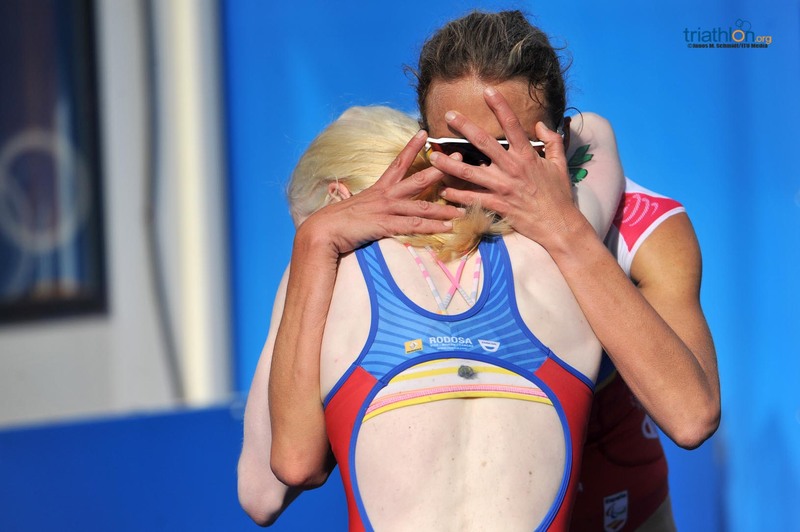 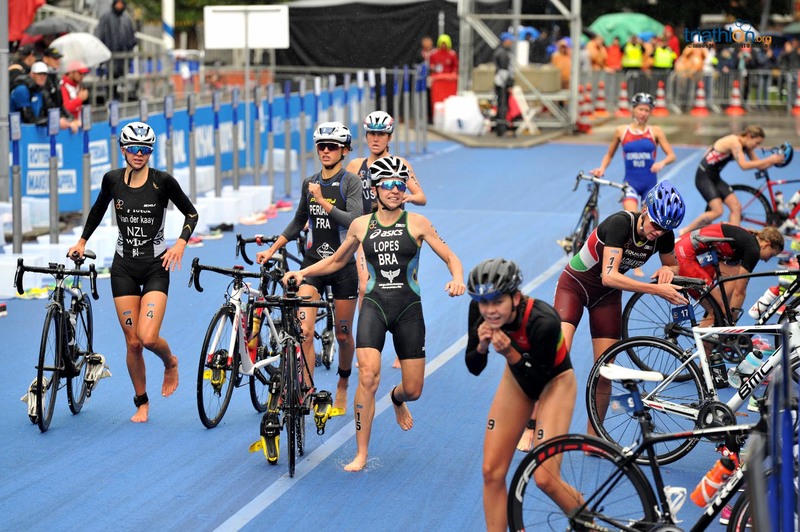 She was the runner-up world champion in the U23 event in Cozumel last year, a race where she missed out on the world title by only a couple of inches in a sprint finish. 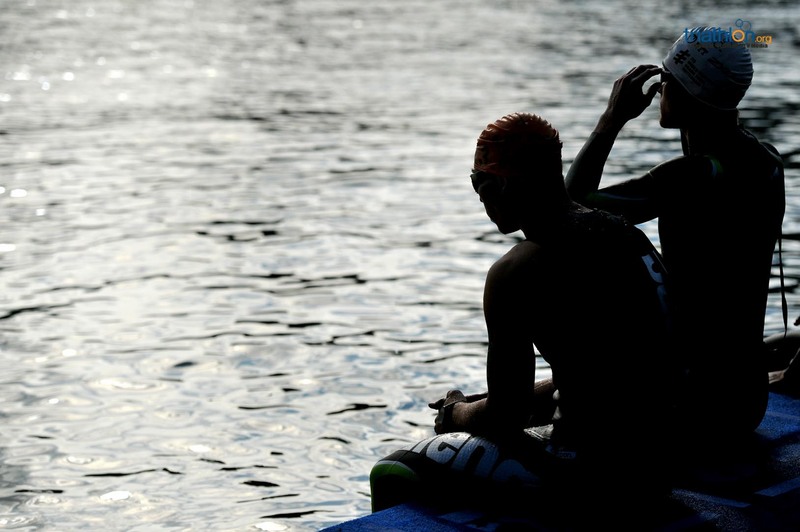 So, she returns this year to get the title for herself. 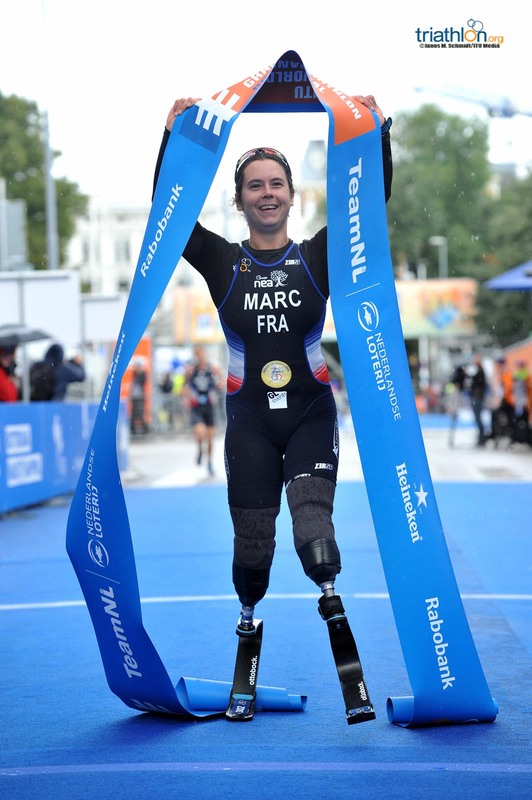 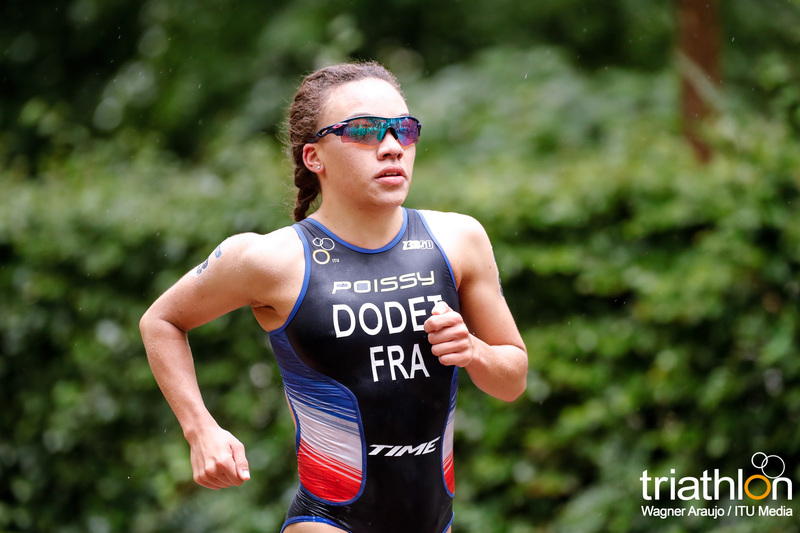 However, her compatriots Cassandre Beaugrand and Sandra Dodet are very tough competition. 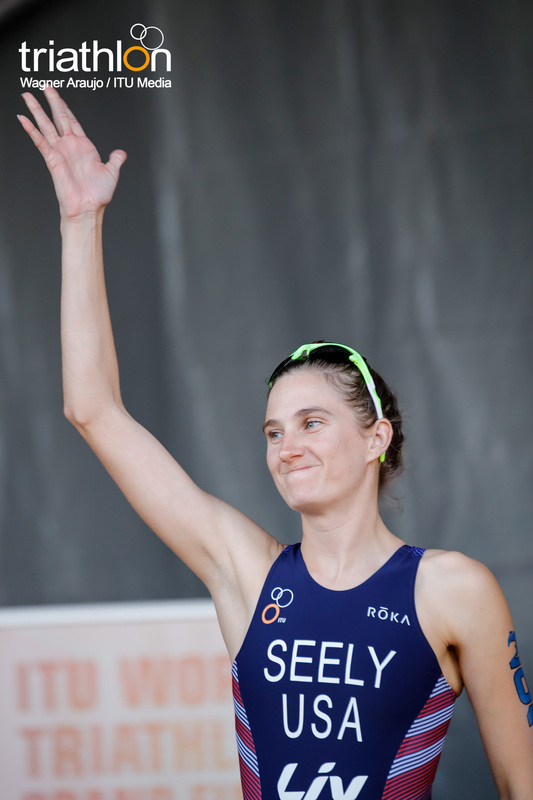 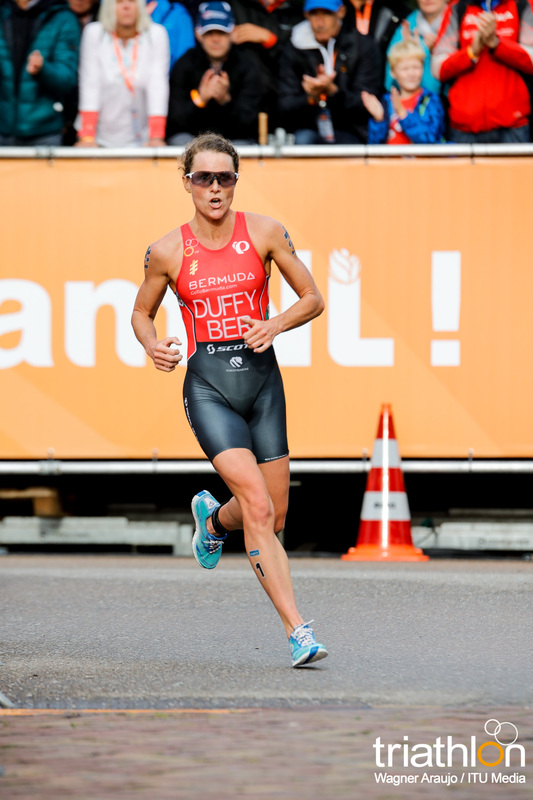 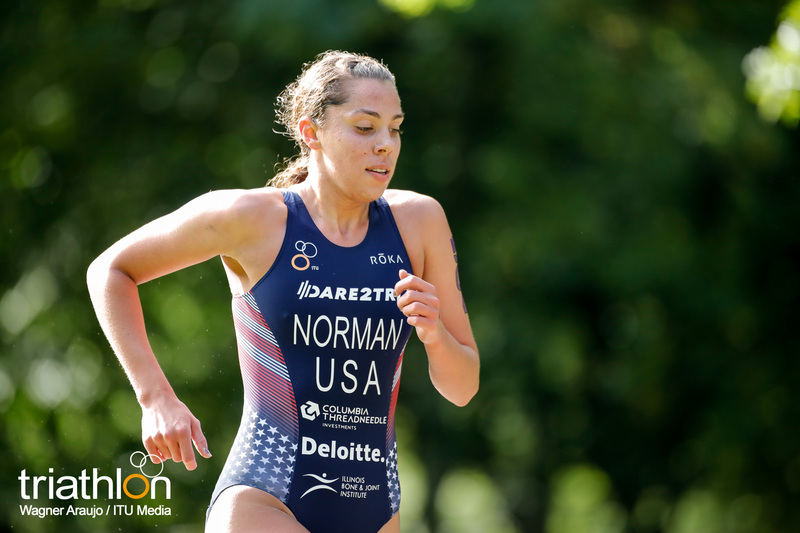 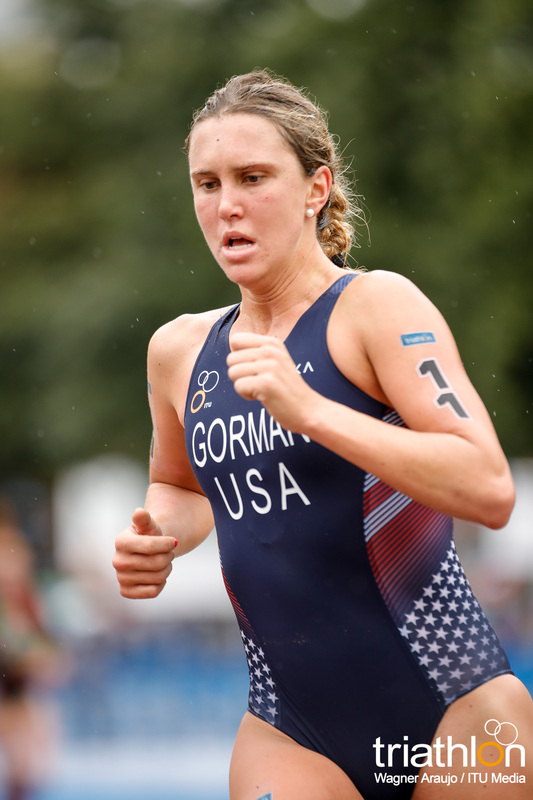 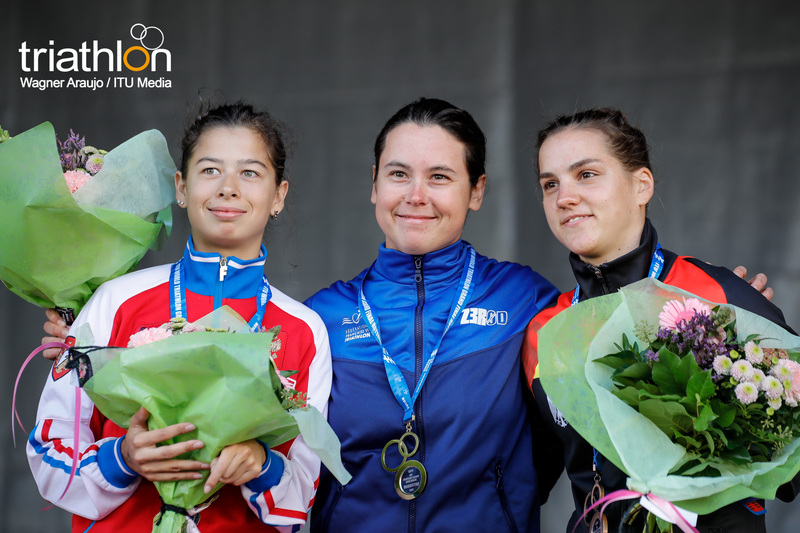 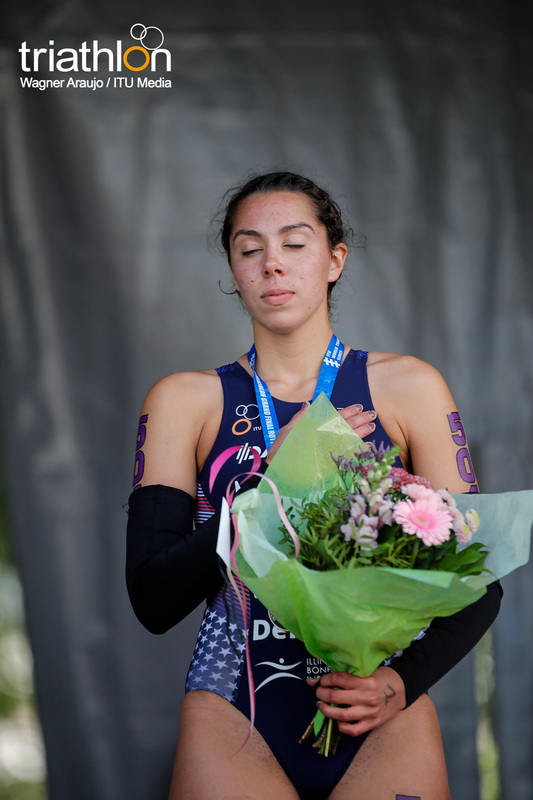 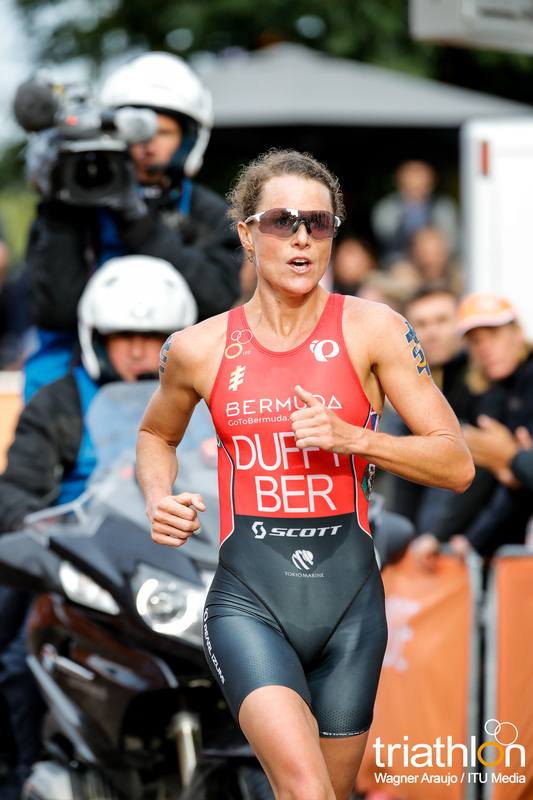 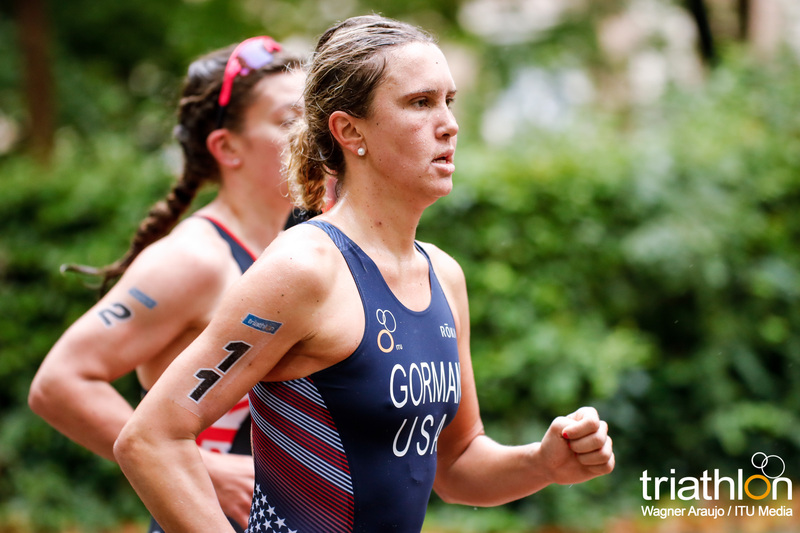 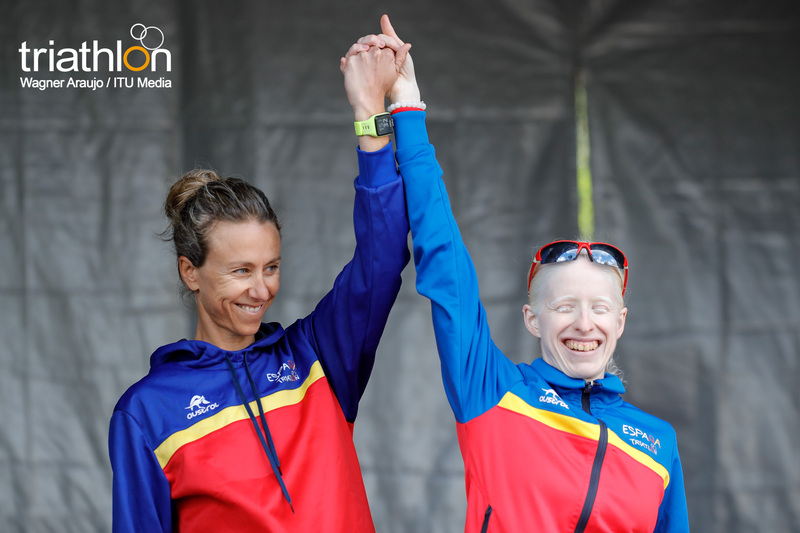 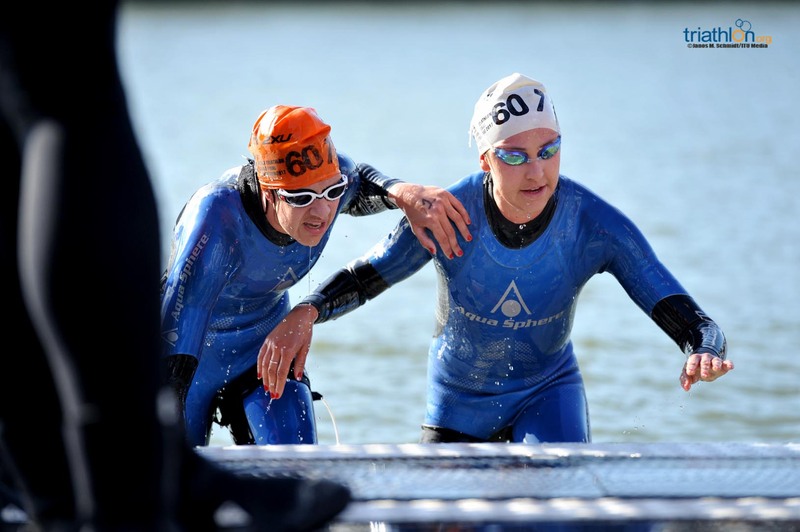 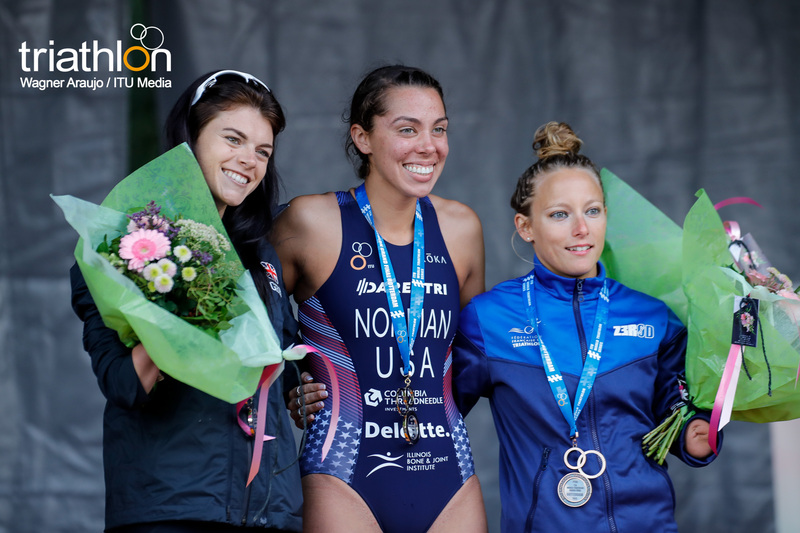 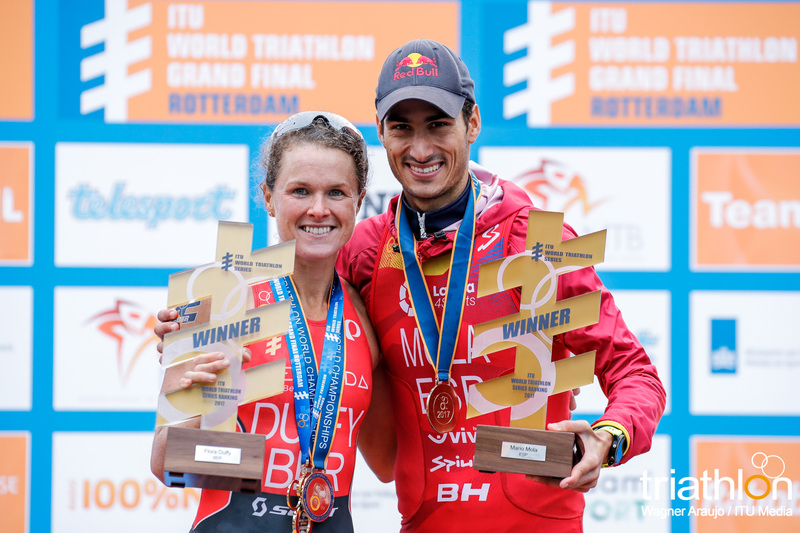 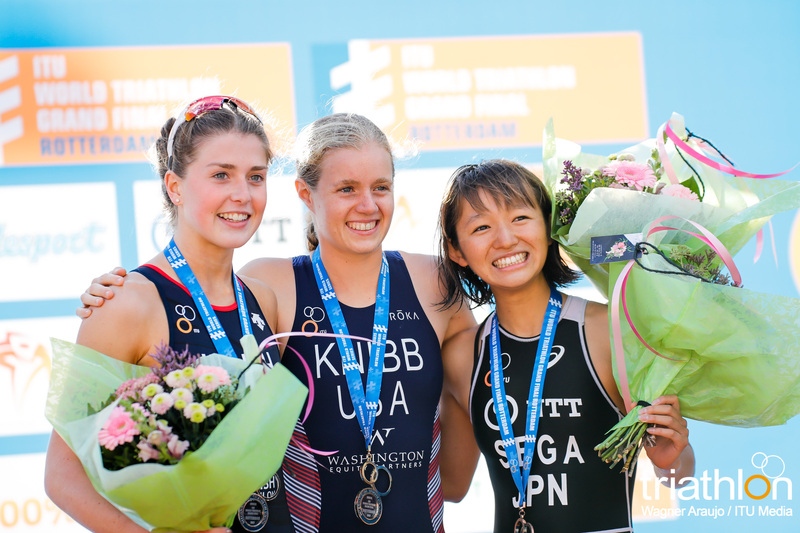 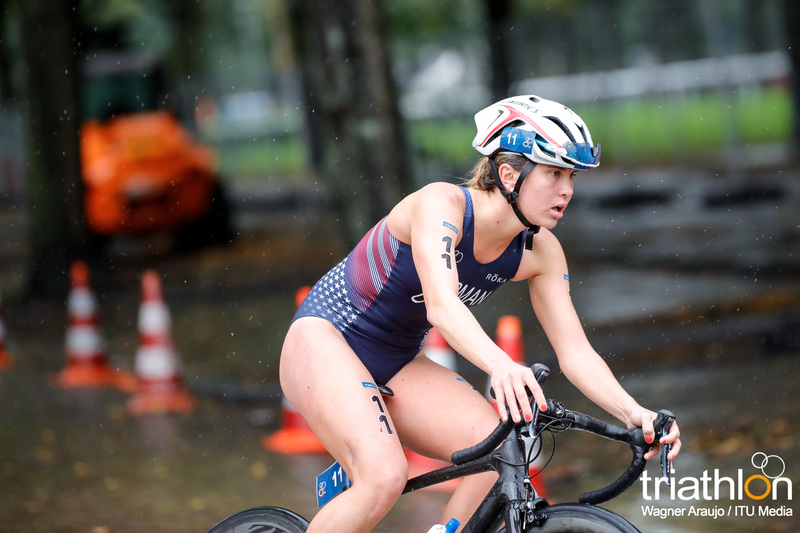 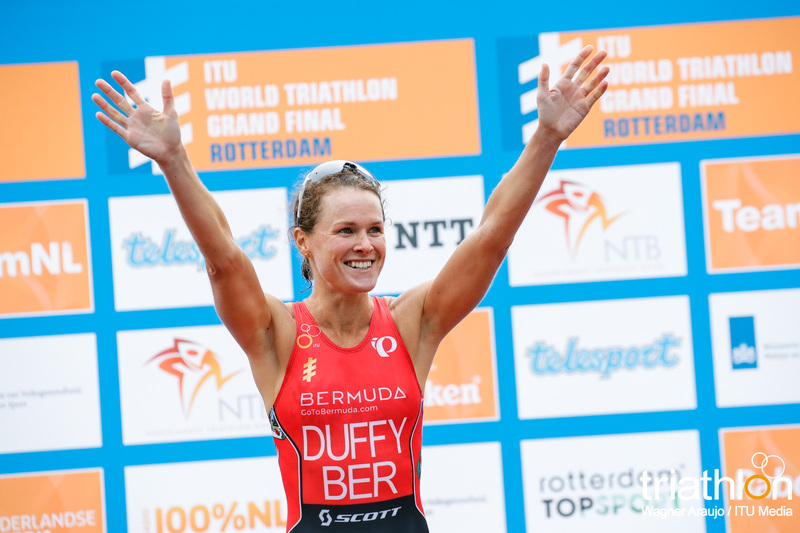 Beaugrand represented France in the Rio Olympic Games and was one of the youngest women on the start list, while Dodet earned the bronze medal in the U23 world championship in Cozumel last year, so is another athlete trying to get a repeat podium. 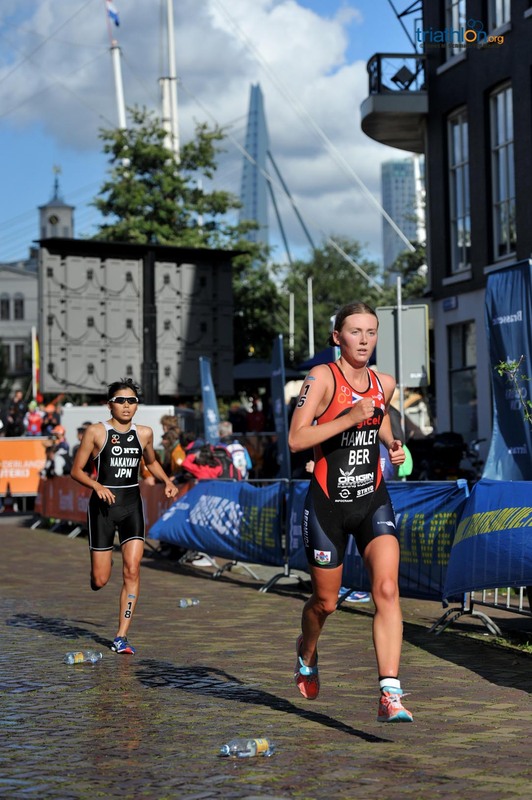 Great Britain’s Georgia Taylor-Brown has had a standout year this season. 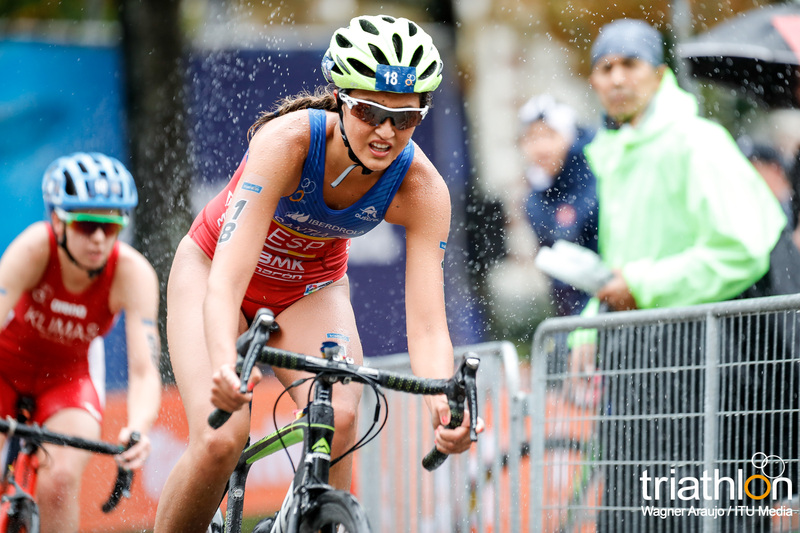 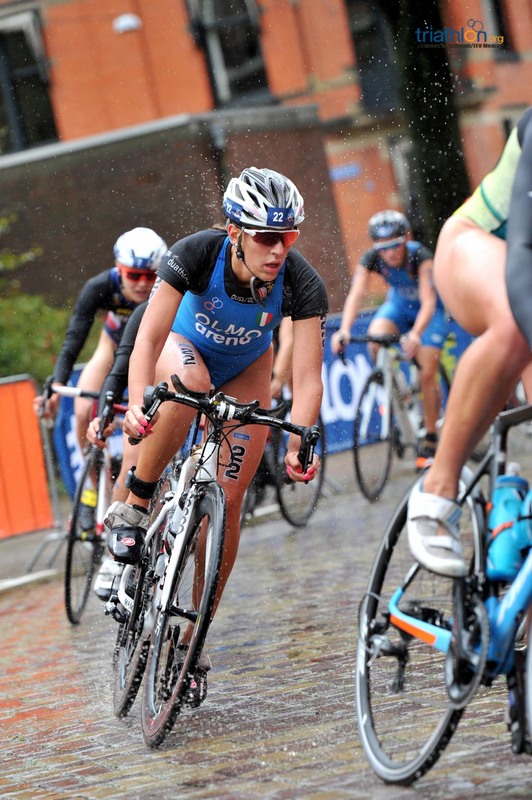 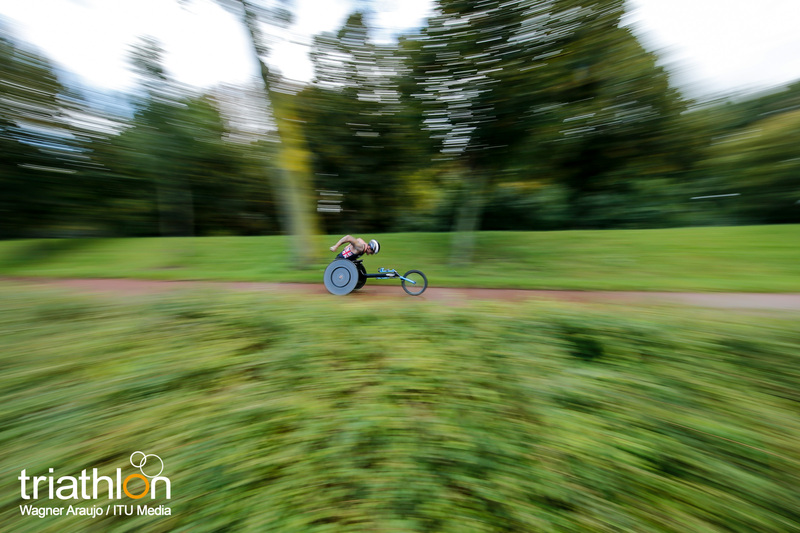 She won her first World Cup event in Madrid and has shown her strength in the bike that makes her a top talent. 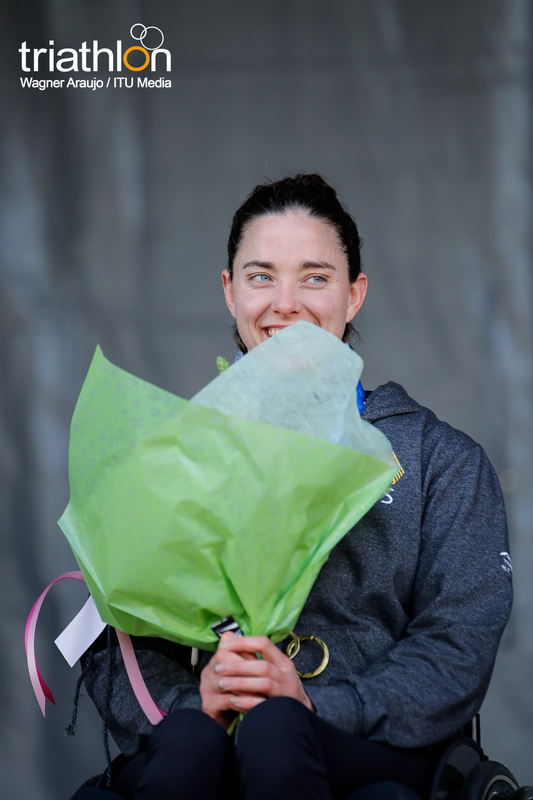 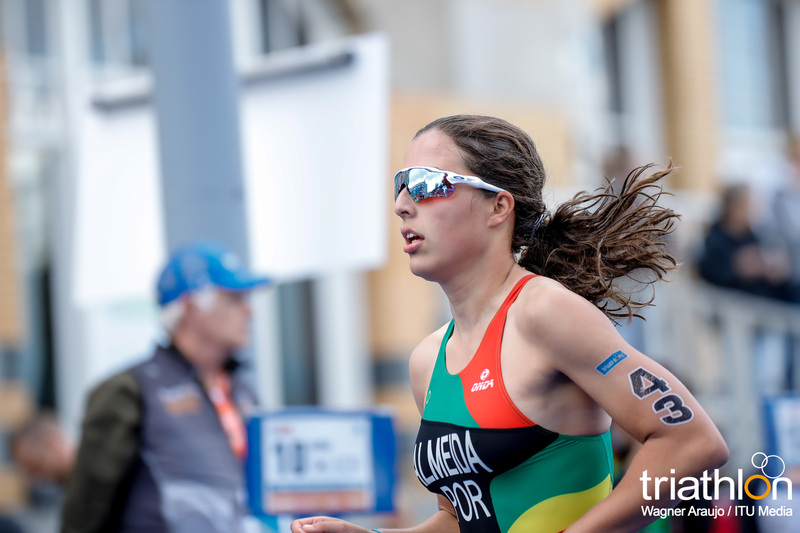 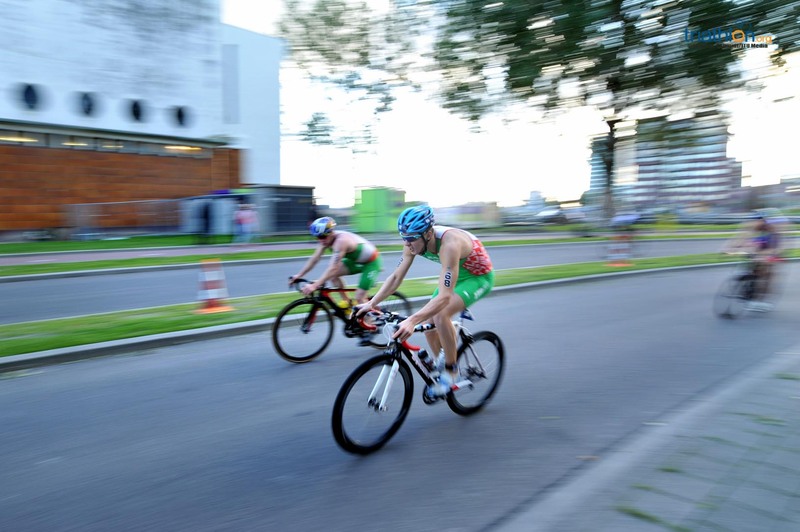 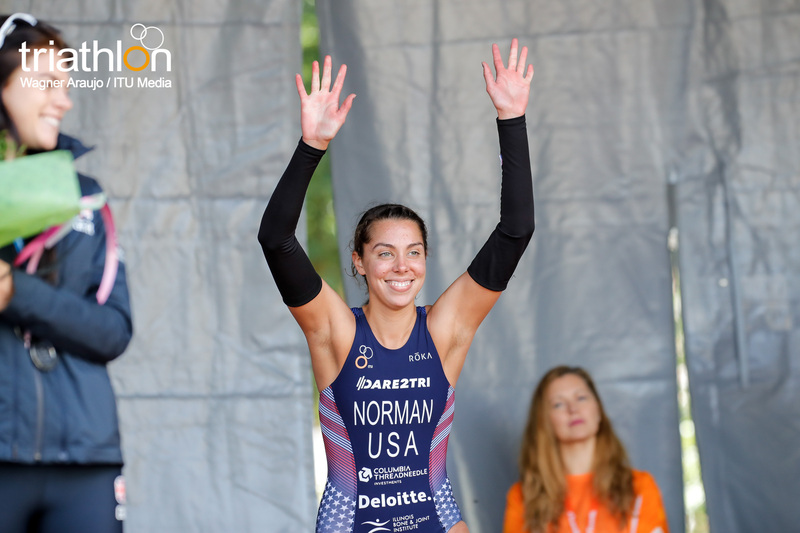 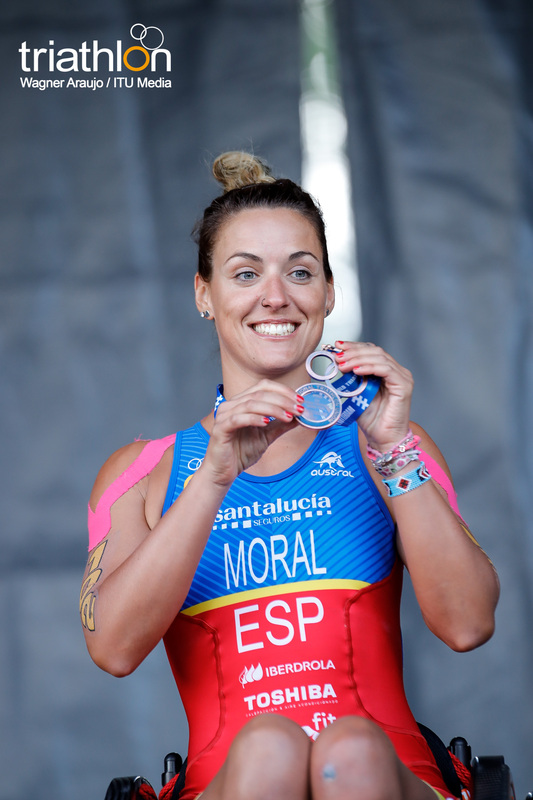 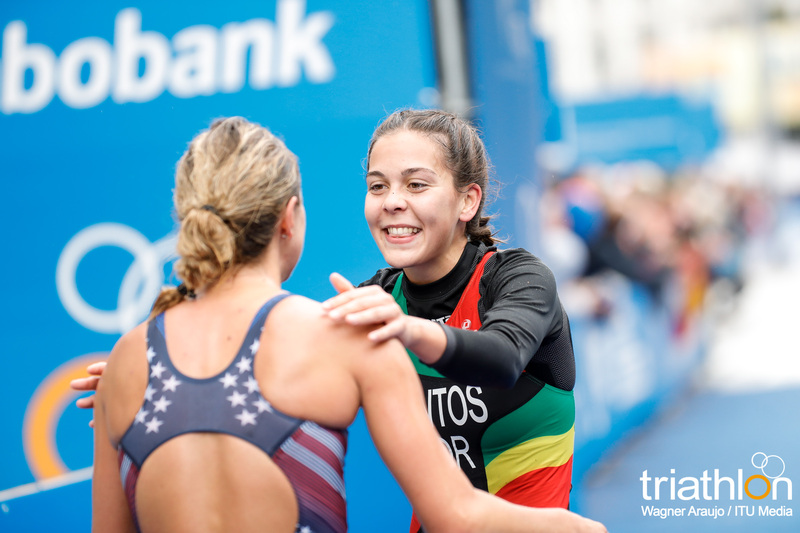 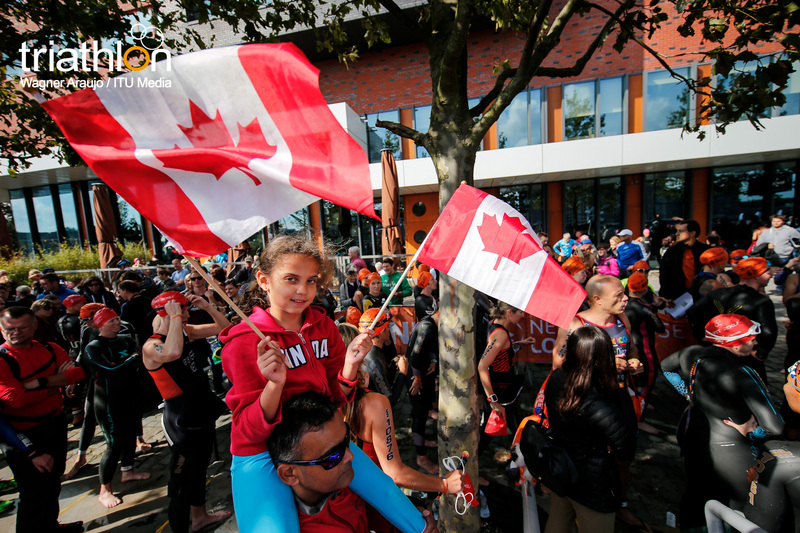 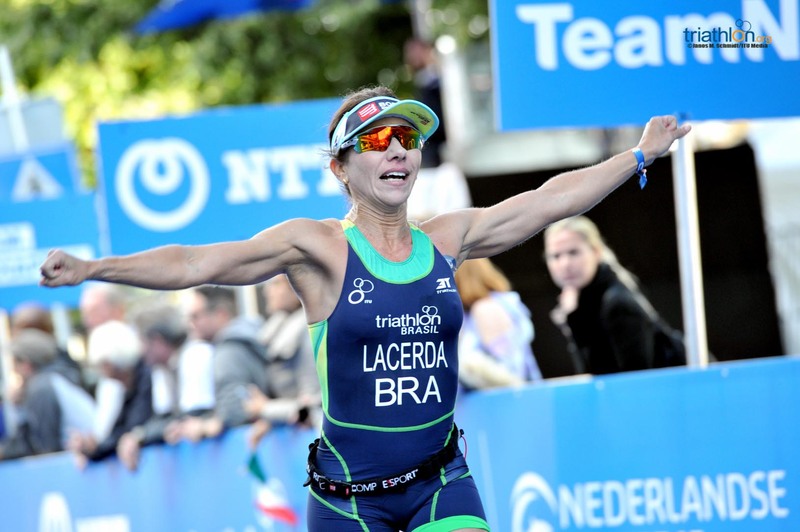 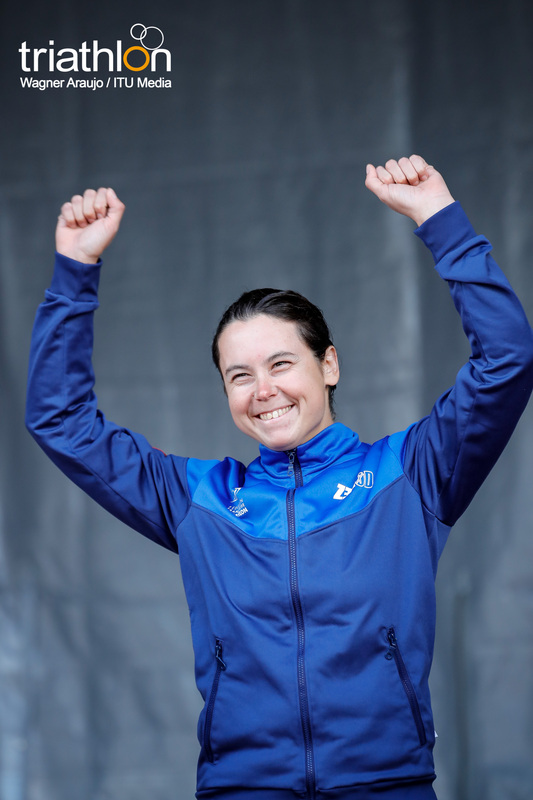 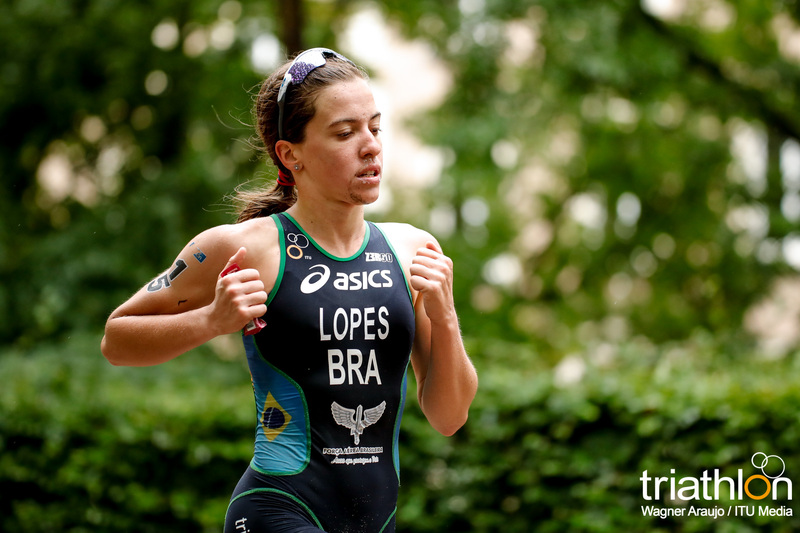 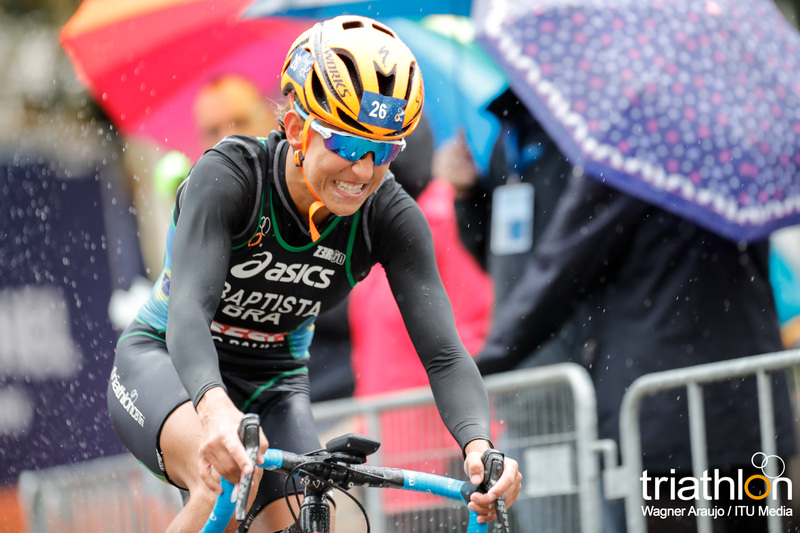 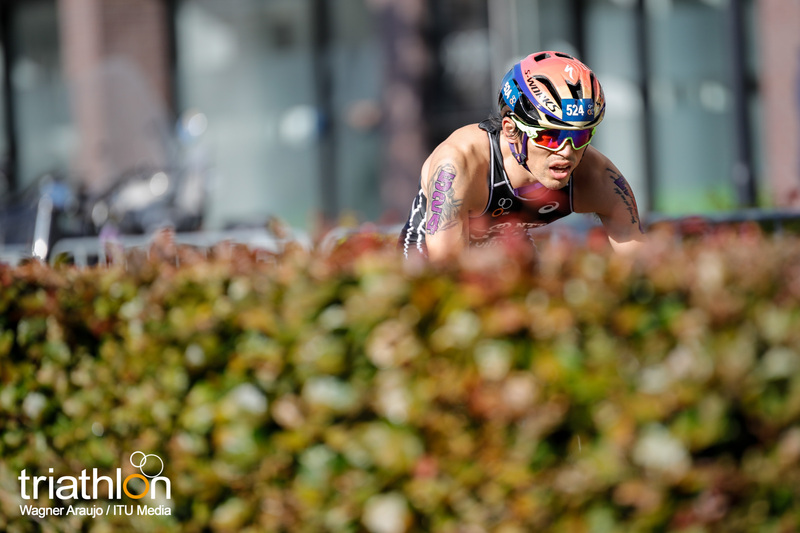 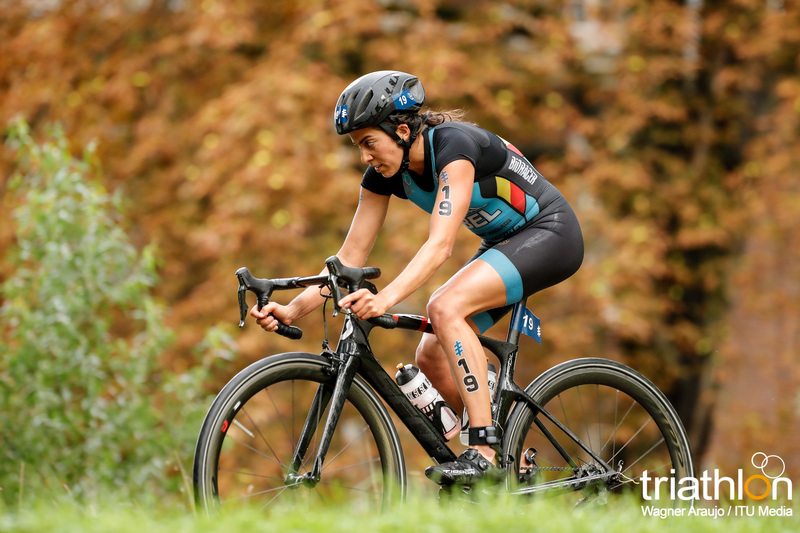 Vittoria Lopes (BRA) has been one of the top swimmers in the women’s elite fields this year and had a standout race in WTS Edmonton when she lead out of the swim and made it into the lead bike pack.